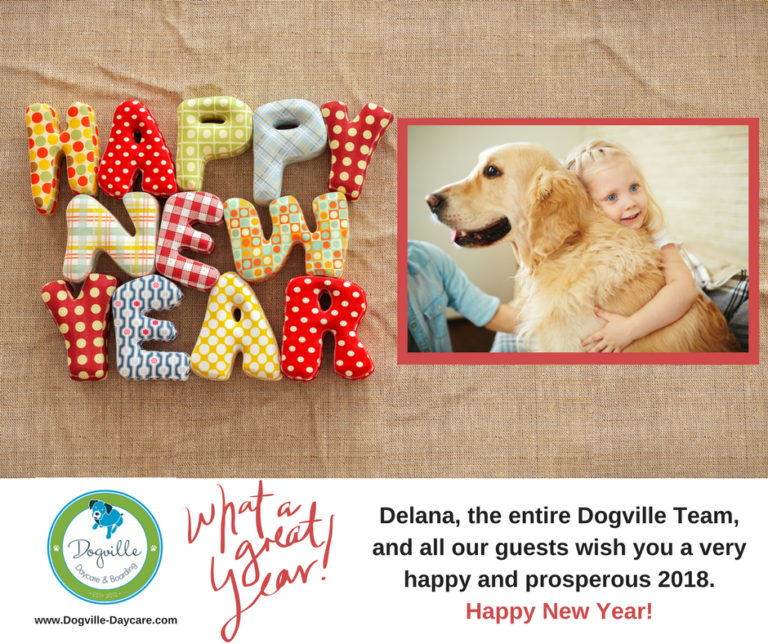 Happy New Year from Delana and the teams here at Dogville & Kitty City! 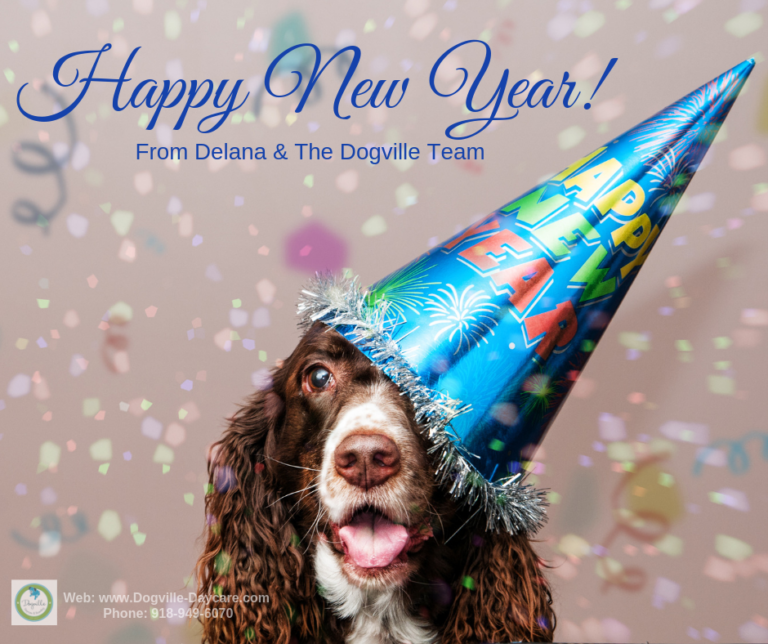 DOGVILLE’S NEW YEAR WEEK SCHEDULE! 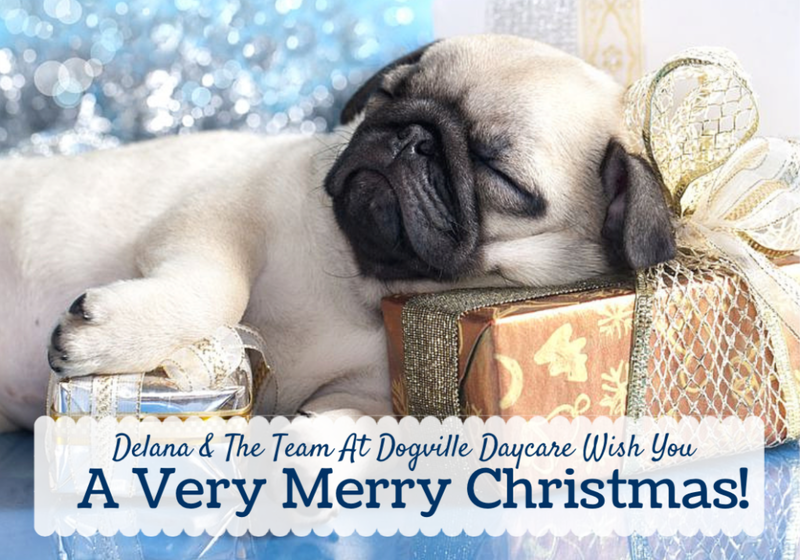 Warm wishes and happy days from the Dogville Daycare & Boarding Family. Merry Christmas! 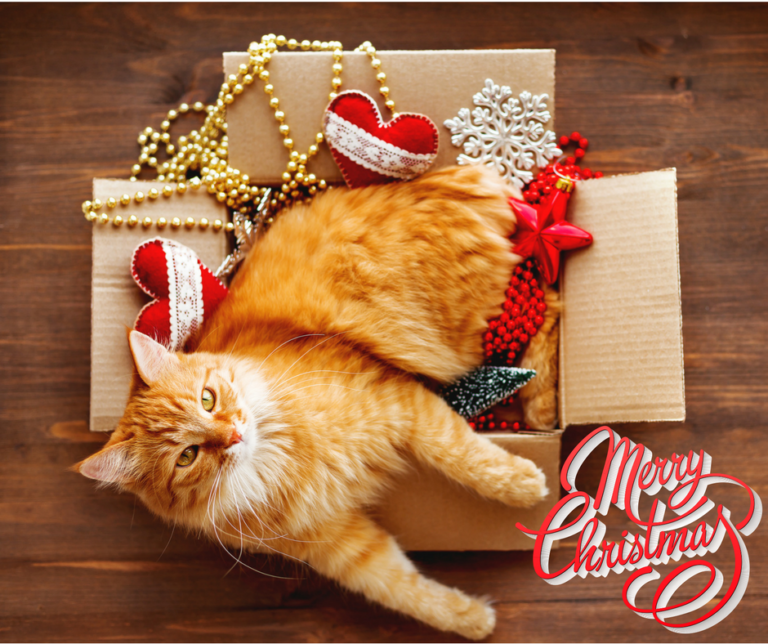 WE WISH YOU SAFE TRAVELS THIS CHRISTMAS WEEKEND! Be safe on your holiday travels this season. 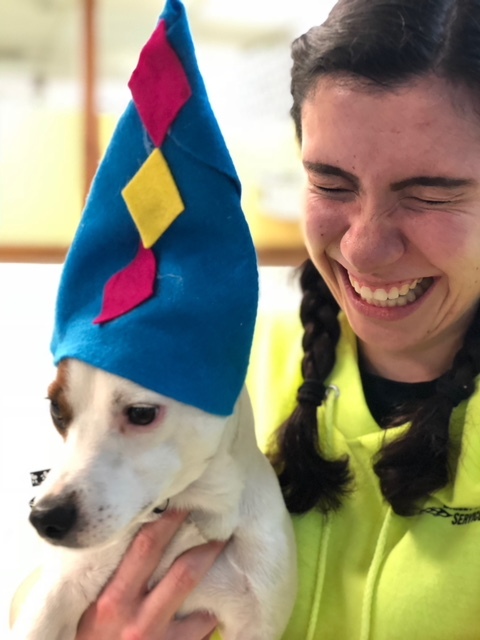 PUP-PHOTO: KENNY ROGERS, THE WIZARD PUP’S BIRTHDAY! ANNOUNCEMENT: Thanksgiving 2018 Week Schedule! 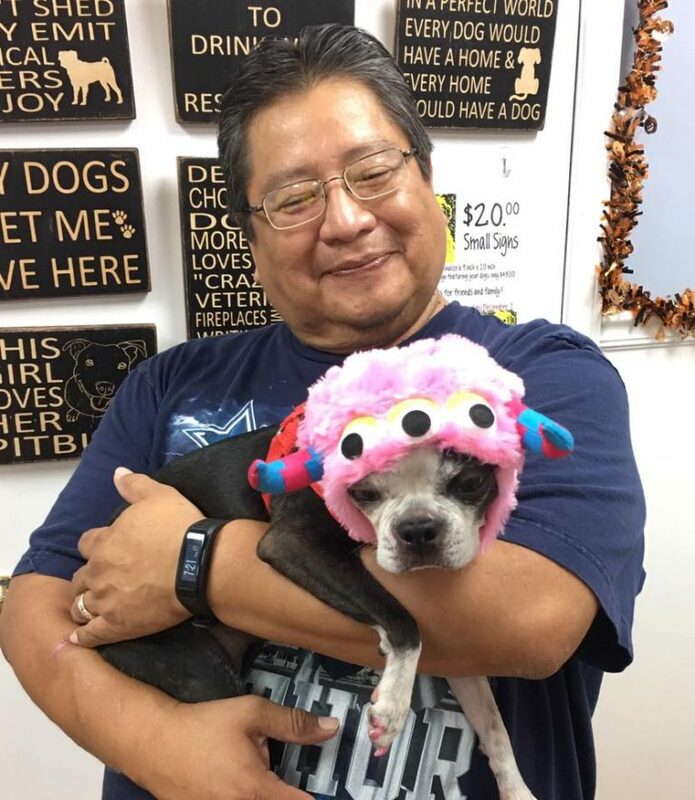 ENJOY THE 2018 HOWL-O-WEEN PAWTIES PHOTOS!! 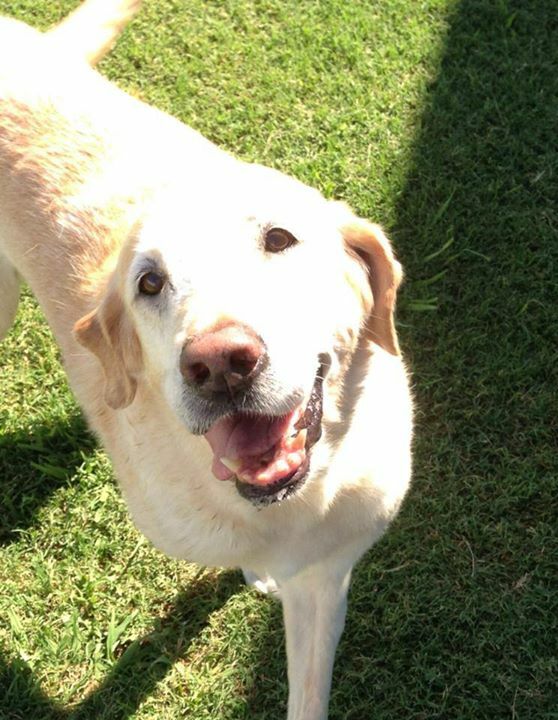 PUP-PHOTO: TOBY IS ALL SMILES! 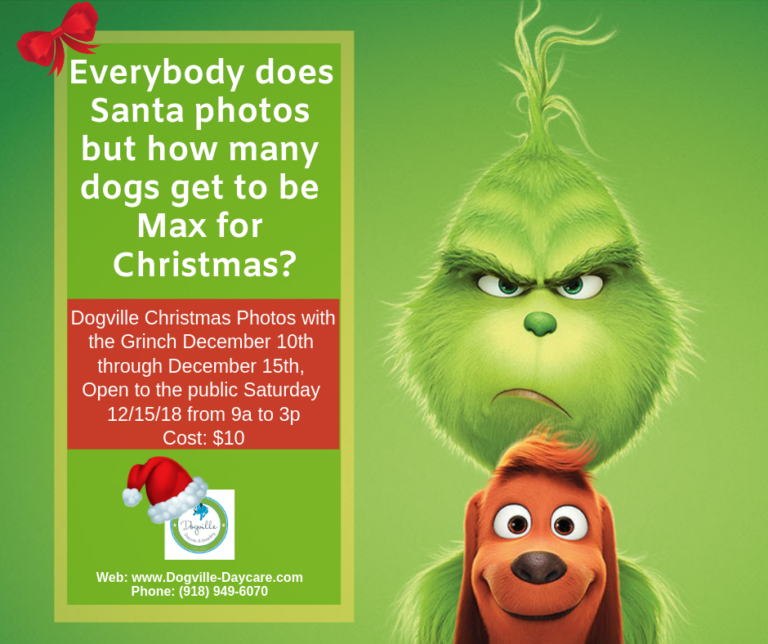 MERRY … GRINCH-MAS? CUTE PHOTO OPPORTUNITY!! 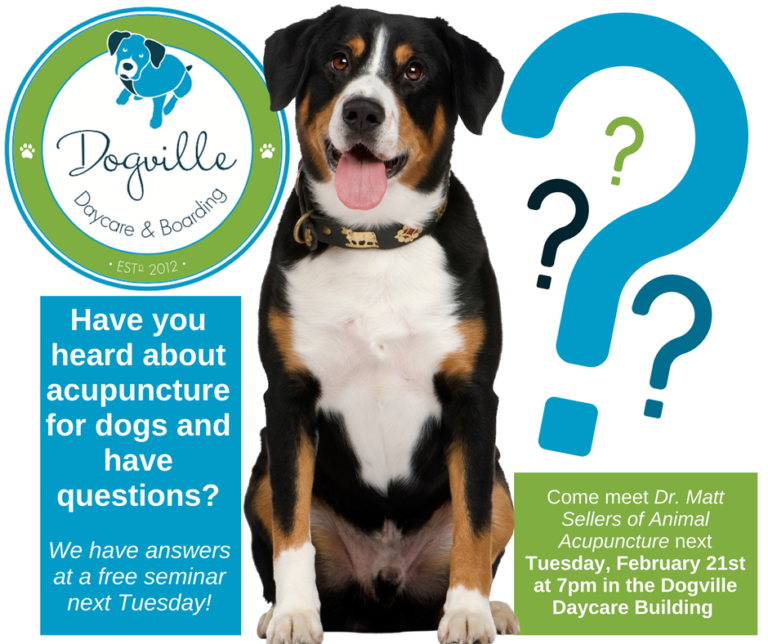 Do you have Dogville Daycare & Boarding Questions? 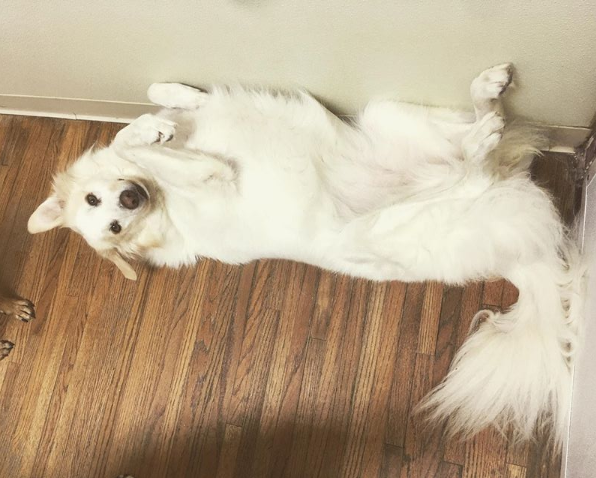 Rebel is always ready for a bedtime belly rub! 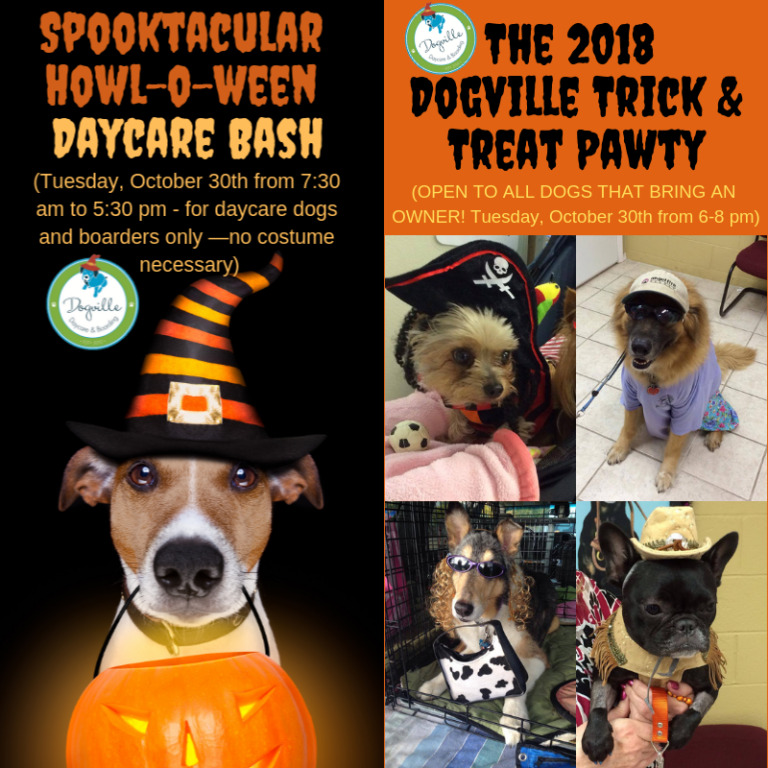 ANNOUNCING: SPOOKTACULAR DAYCARE BASH AND 2018 DOGVILLE TRICK & TREAT PAWTY!!!! CAUGHT ON CAMERA! BRAD & ZERINA PLAYING! DUE TO FALL BREAK WEEK, DAYCARE CLOSED THURSDAY 10/18, FRIDAY 10/19, AND SATURDAY 10/20/2018! PUP-PHOTO: “ATTICUS IS READY TO SET SAIL!”! 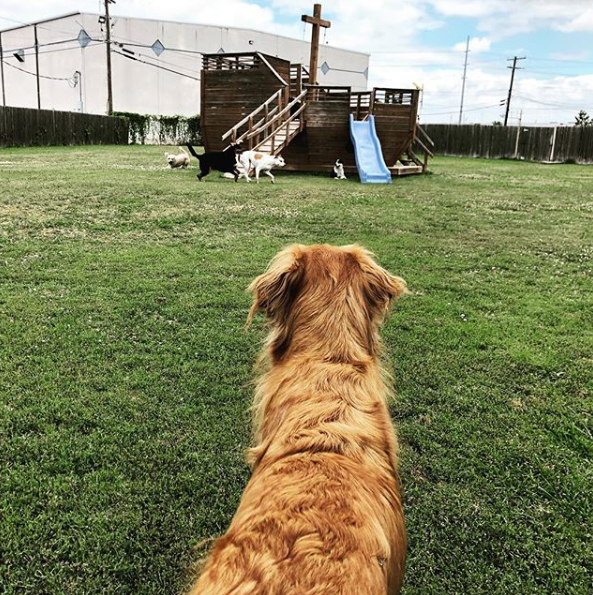 PUP-PHOTO: “PLAY TIME AROUND THE PIRATE SHIP”! 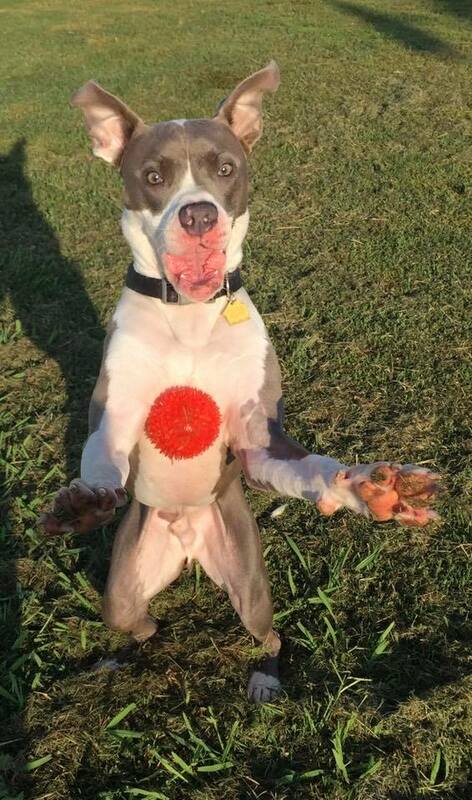 PUP-PHOTO: “THE FACE OF JOY!”! Sophie says ‘Thank goodness it’s Friday!’ ?????????? 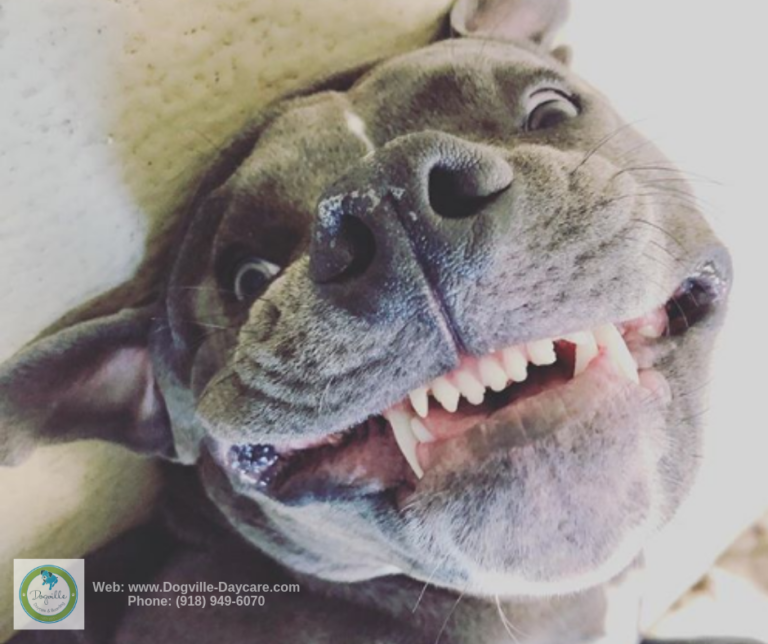 DOGVILLE FUN PHOTO FRIDAY! 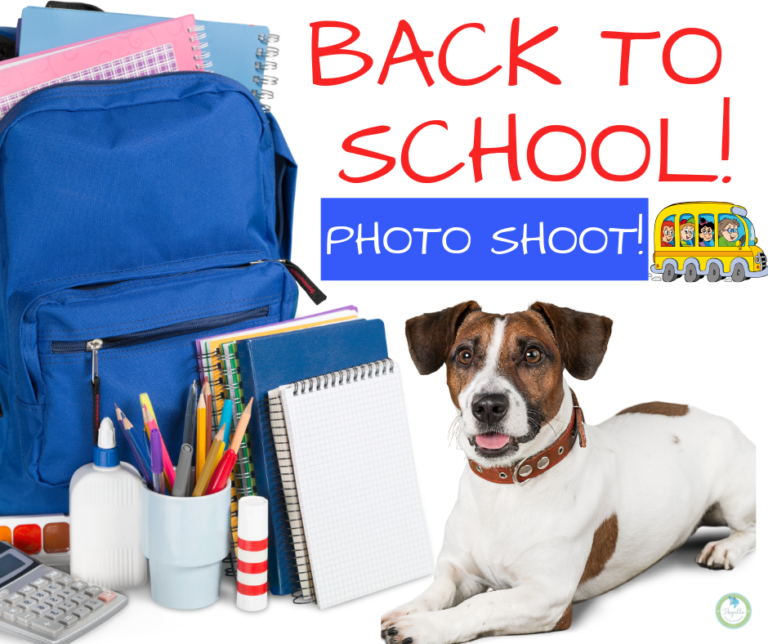 “BACK TO SCHOOL” AT DOGVILLE! FACEBOOK LIVE VIDEOS FROM YESTERDAY’S FIRST ANNUAL ICE CREAM SOCIAL! 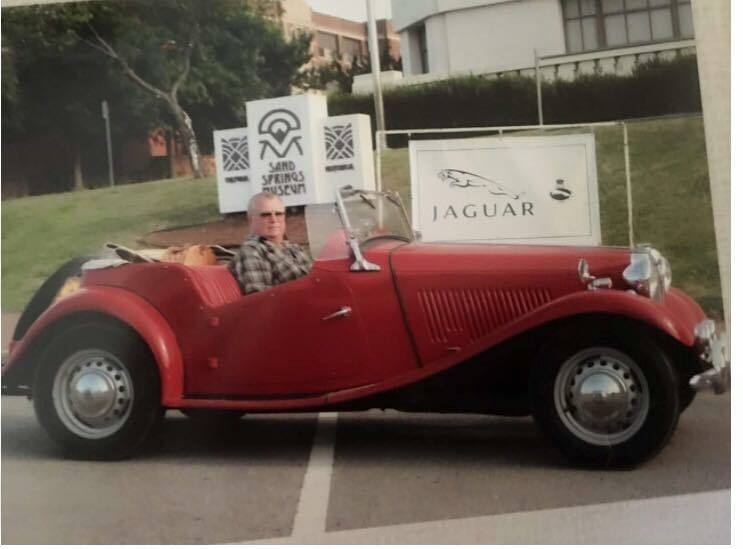 Couldn’t join us yesterday? No worries! Here are the Facebook Live videos (part 1 and 2). 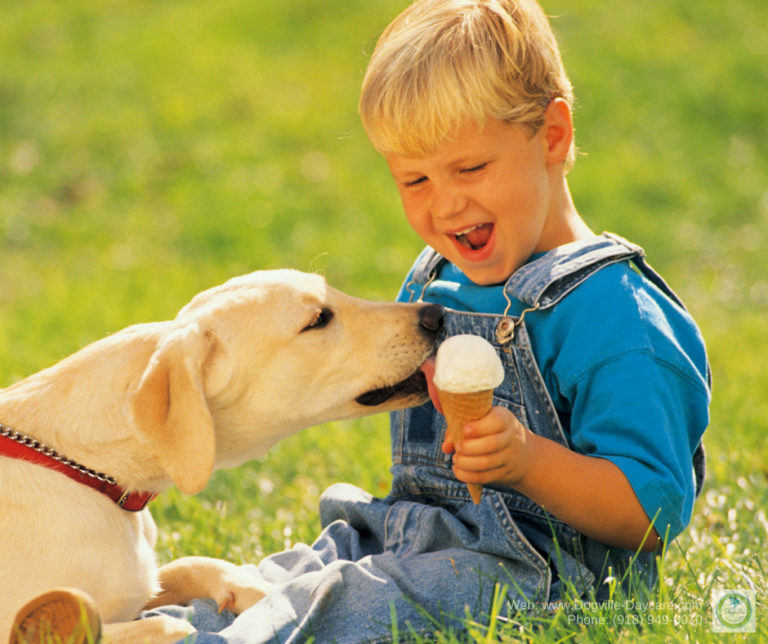 REMINDER: JOIN US THIS WEDNESDAY AUGUST 15TH FOR THE 1ST ANNUAL DOGVILLE ICE CREAM SOCIAL! YOU’RE INVITED! 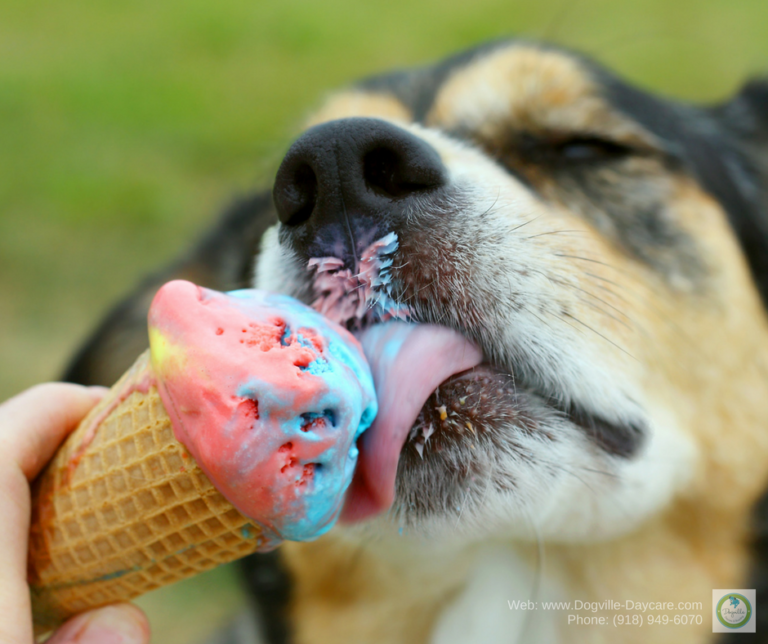 JOIN US AUGUST 15TH FOR THE 1ST ANNUAL DOGVILLE ICE CREAM SOCIAL! PUP-PHOTO: “DOG-PIRATES OF ALL SIZES WELCOME!”! 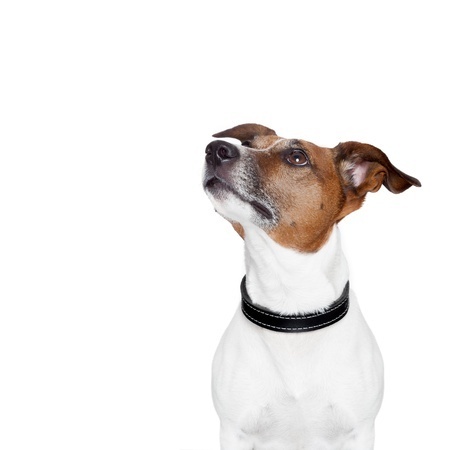 NEW POLICY ON FLEA COLLARS! 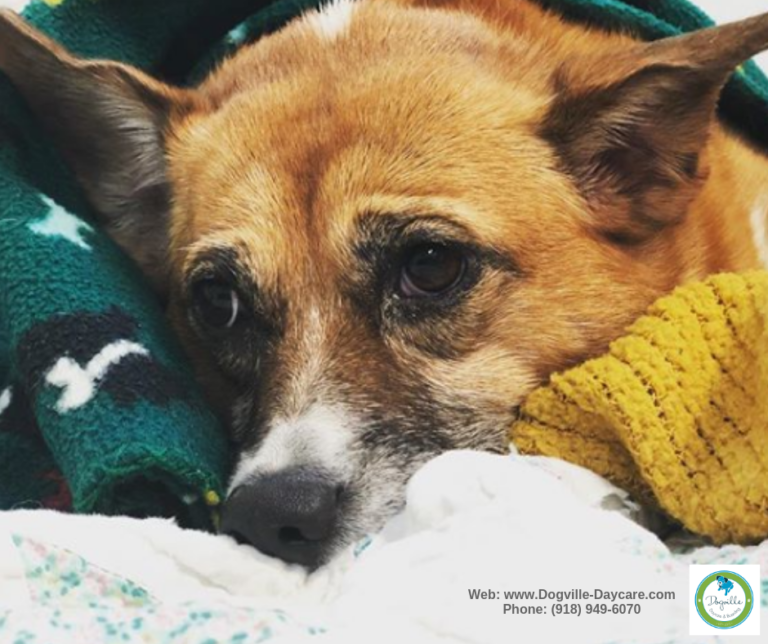 IMPORTANT VACCINATION UPDATE FOR DOGVILLE! 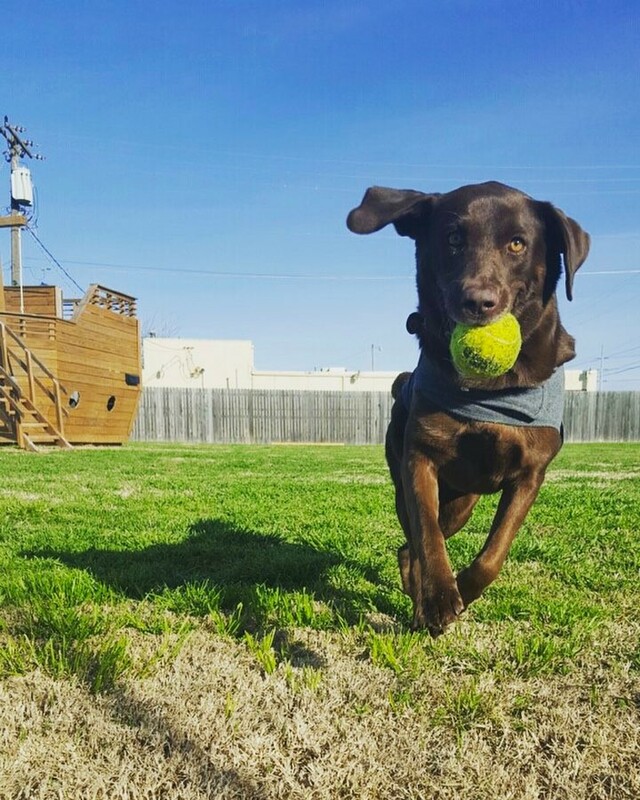 PUP-PHOTO: “HUMP DAY RACE THROUGH THE YARD!”! 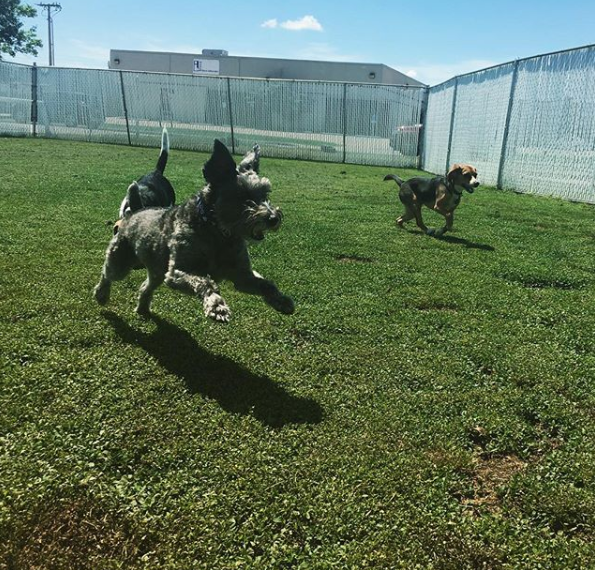 Dosa, Remington, and Ella are flying through the air because it’s #humpday ! Lazy Sunday’s are for dogs too! Jack is snoozing the day away with his elephant and bone ?????????? 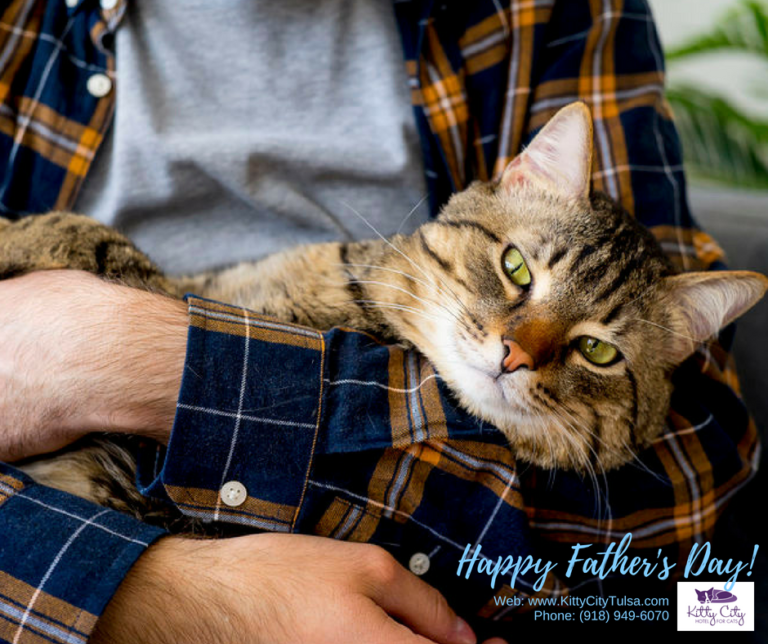 Happy Father’s Day from all the fur-kids and staff at Dogville & Kitty City! 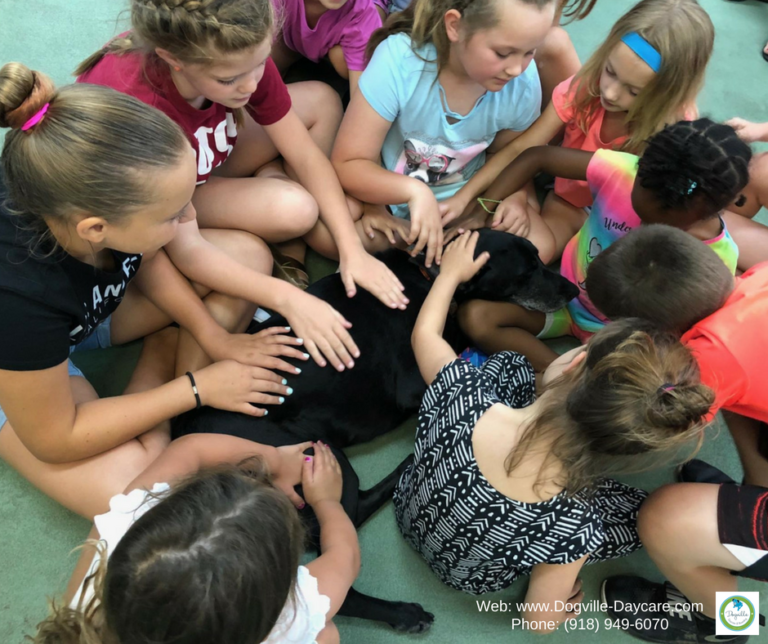 JACK BLACK MCNAC & THE HOLLAND HALL’S CAMP KINDNESS KIDS!! CAUGHT ON CAMERA! DELIGHTED SERVICE DOGS AT DISNEYLAND…! 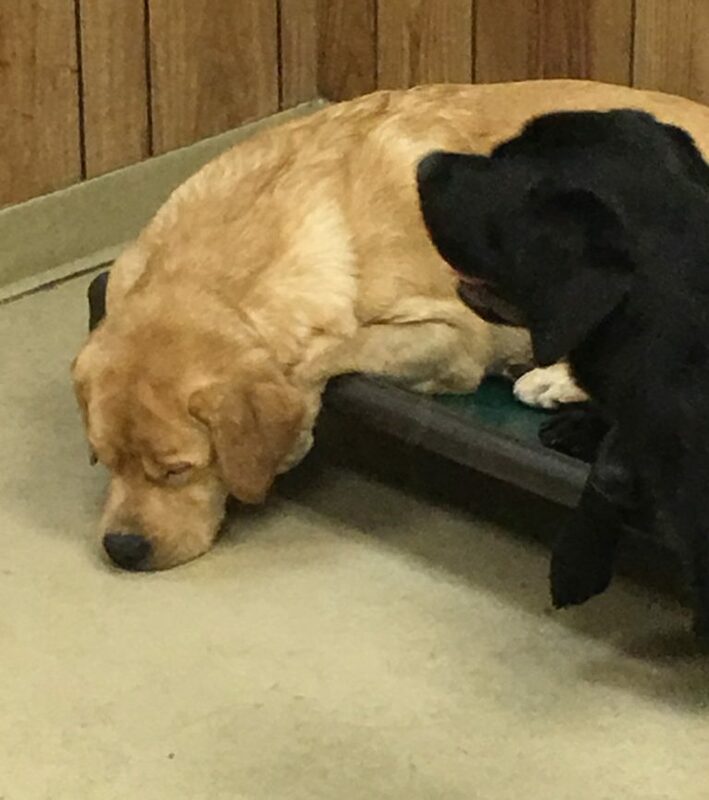 Not only is this adorable, it’s a great idea to help train these service dogs! Enjoy! 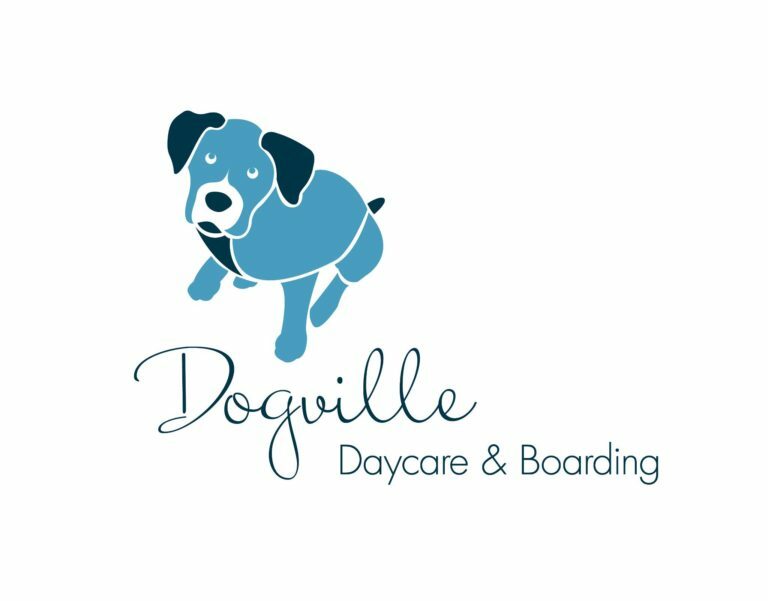 CHECK OUT THESE GREAT ADD-ON SERVICES FOR YOUR DOGVILLE DAYCARE PACKAGE!! 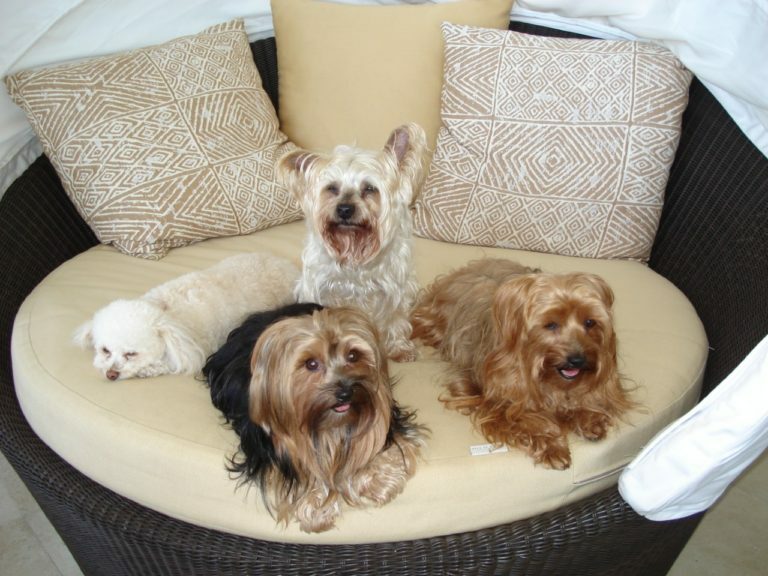 PUP-PHOTO: “SAIL THE 7 SEAS… IN OUR BACK YARD!”! 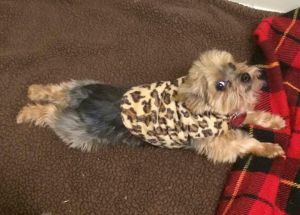 PUP-PHOTO: “HERMIONE IS READY FOR THE SLUMBER PARTY!"! 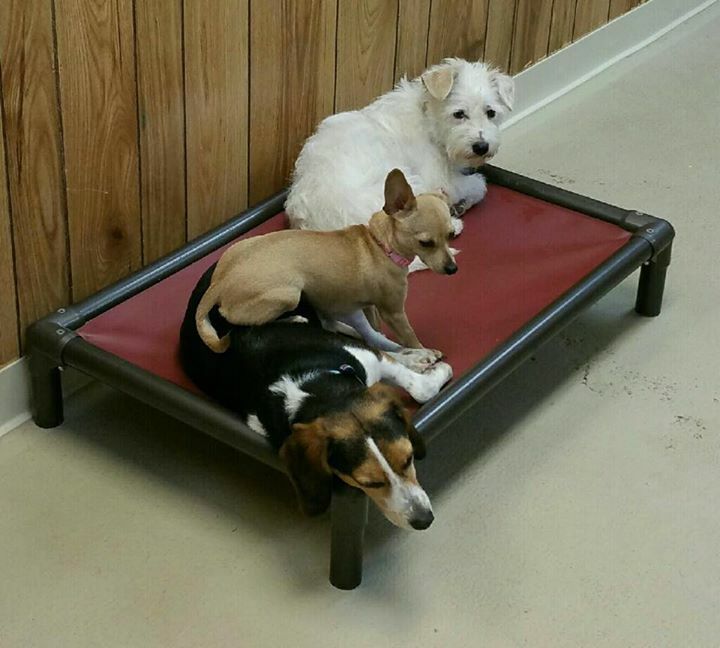 PUP-PHOTO: “GROUP SITS ARE FUN!”! PUP-PHOTO: “FRENCH TOAST WITH RAW SUGAR”! 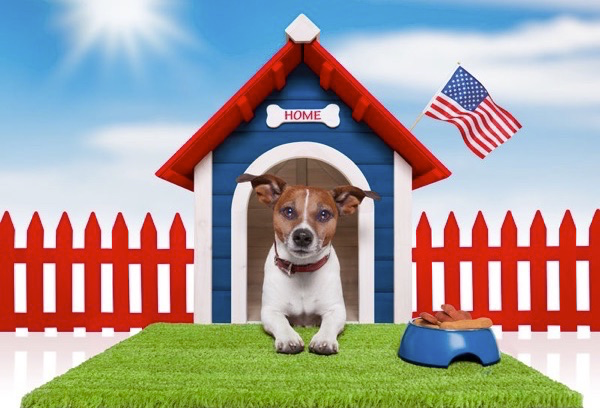 DOGVILLE & KITTY CITY PRICING CHANGES EFFECTIVE 5/25/18! PUP-PHOTO: MISS HILDI LETS LOOSE!! HAPPY MOTHER’S DAY FROM DOGVILLE & KITTY CITY!! 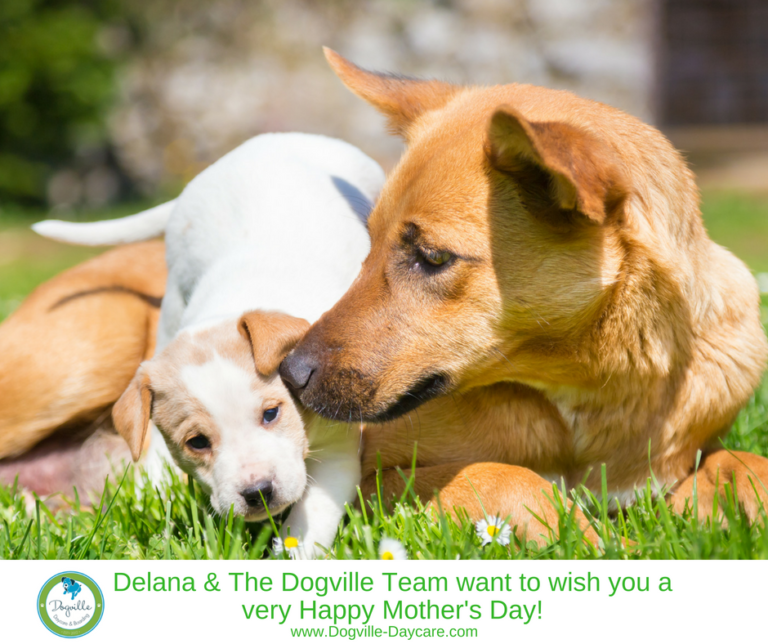 Delana and The Dogville & The Kitty City staff want to wish you a very Happy Mother’s Day! WE’RE PROUD TO BE A WINNER!! 72 HOUR FLASH SALE ON SPRING DAYCARE SPECIALS!! 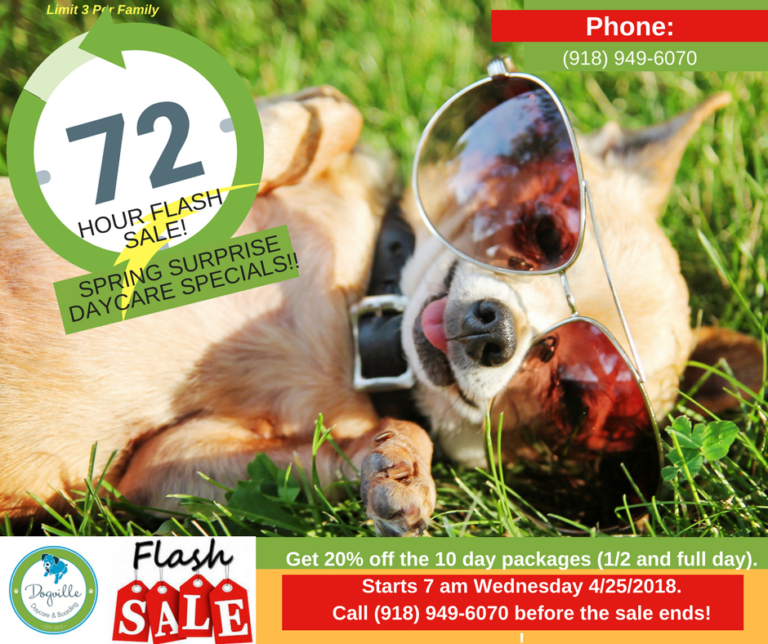 72 HOUR FLASH SALE ON SPRING DAYCARE SPECIALS! – Get 20% off the 10 day packages (1/2 and full day). 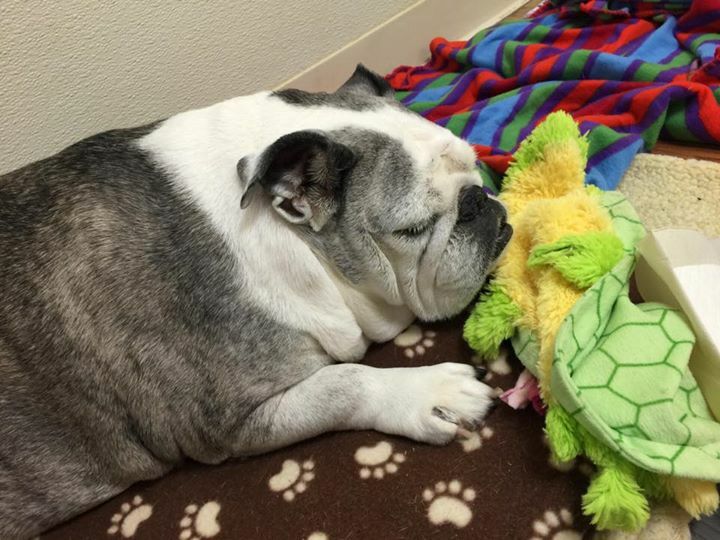 COPING WHEN A BELOVED PET DIES! 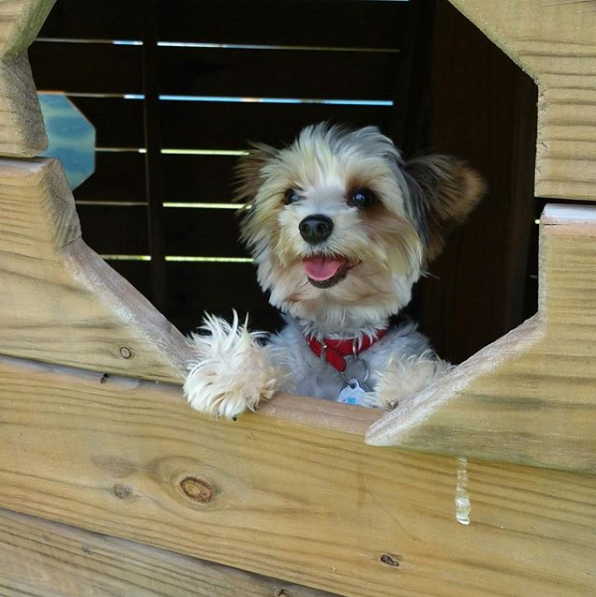 PUP-PHOTO: “KHUMO’S FIRST TIME ON THE PIRATE SHIP, ‘NO CATS ALLOWED.'”! 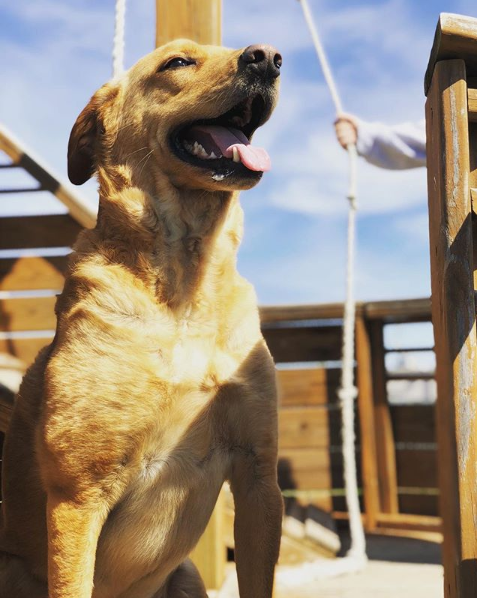 Khumo’s first time on the pirate ship, “No Cats Allowed.” We think he likes it! 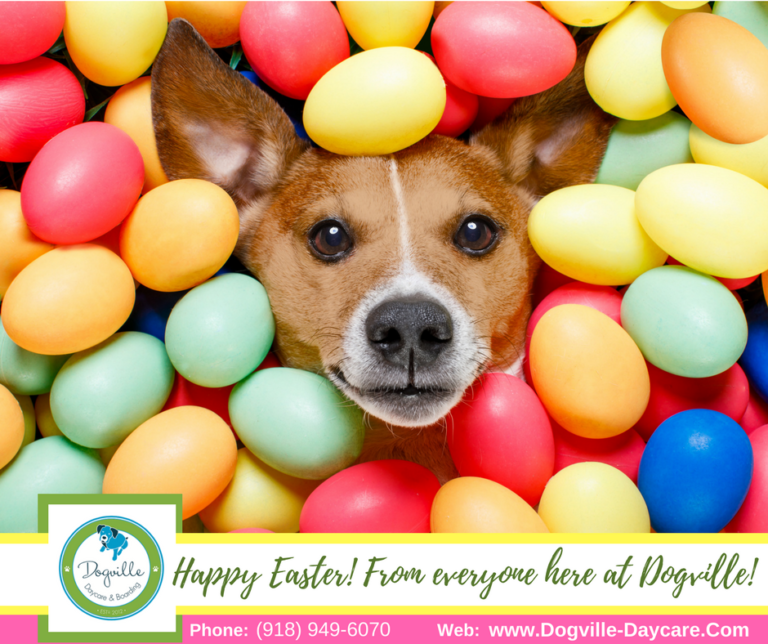 Delana and the entire team here at Dogville & Kitty City wish you a very Happy Easter! 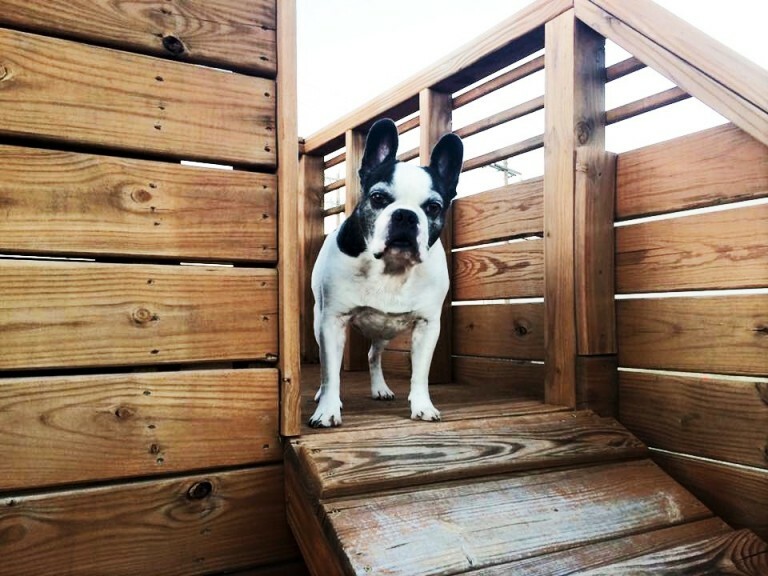 PUP-PHOTO: “RYLEIGH SAYS HI MOM!…”! Spring Break is here! 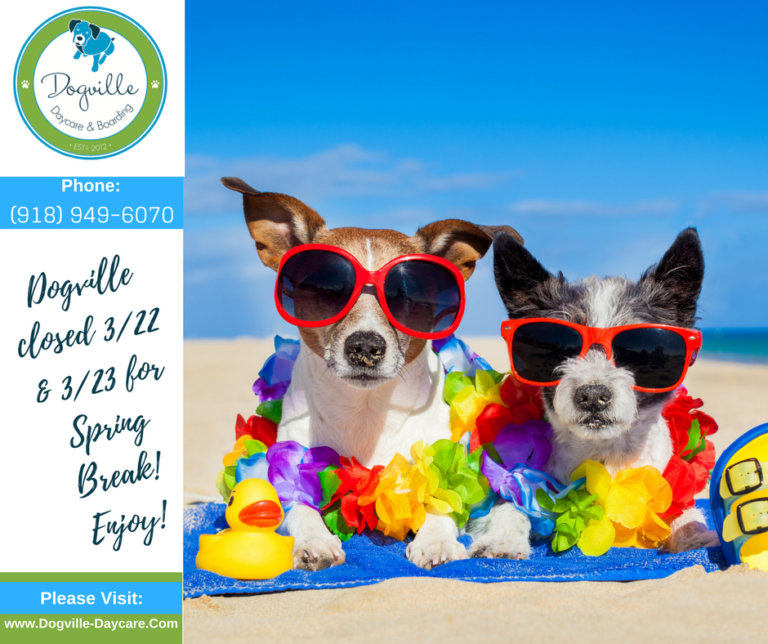 Dogville will be closed today 3/23 and tomorrow, Friday the 24th for Spring Break! Enjoy! 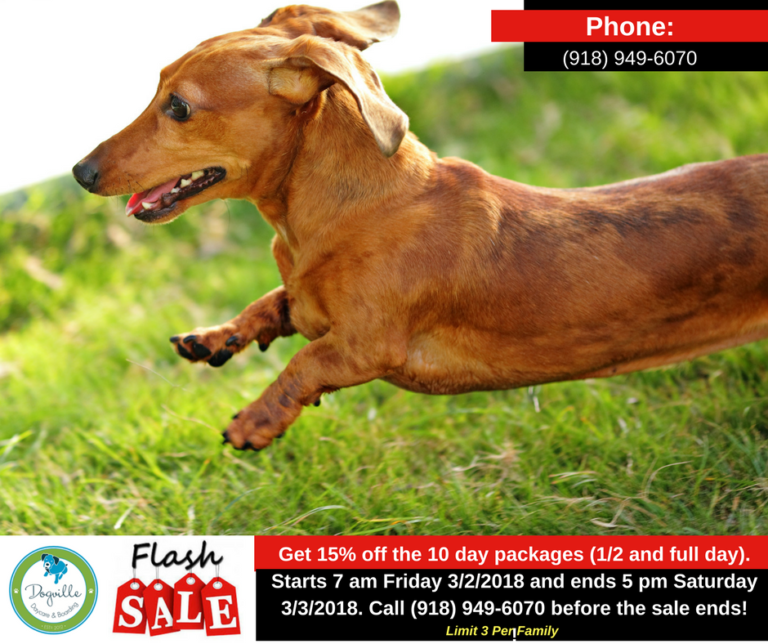 DOGVILLE FLASH SALE! 7AM FRIDAY 3/2/2018 TO 5PM SATURDAY 3/3/2018! ANOTHER WAY TO BRING BEAUTY INTO THE WORLD! 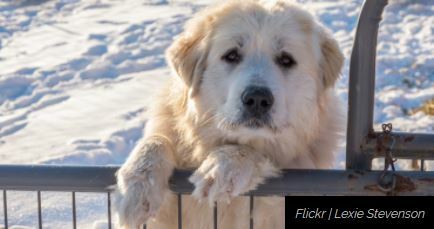 15 DOG BREEDS MOST LIKELY TO RUN AWAY (FEATURED ARTICLE)! 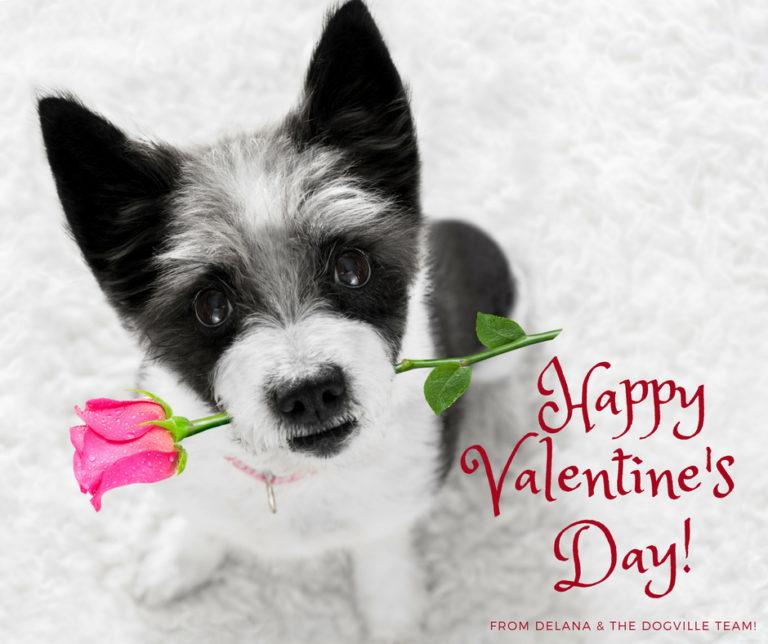 Everyone here wishes you joy and love filled Valentine’s Day! PLAY TIME WITH THISTLE & SEELEY! MOLLY & DAPHNE SAY, “HELLO!”! 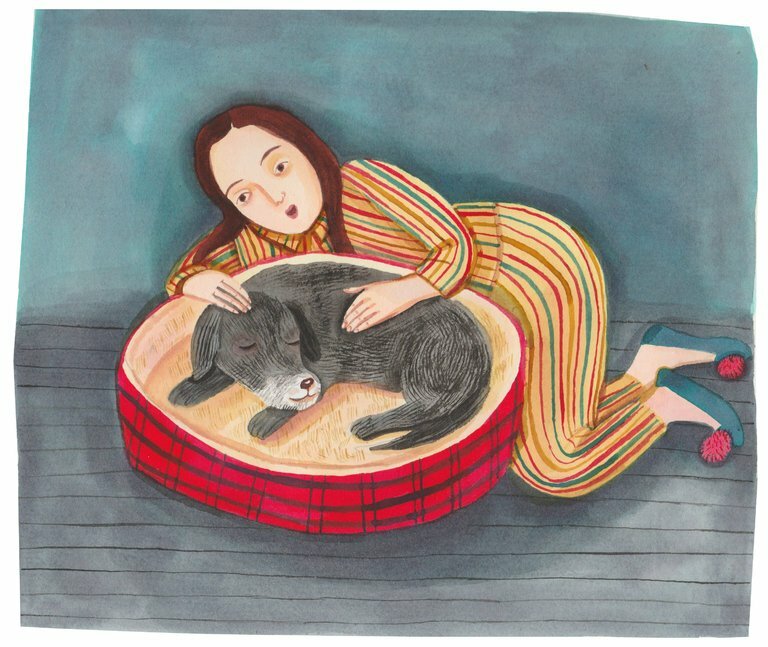 FEATURED NYT ARTICLE: “WE WERE SNUBBED BY OUR DEAD DOG. TWICE.”! 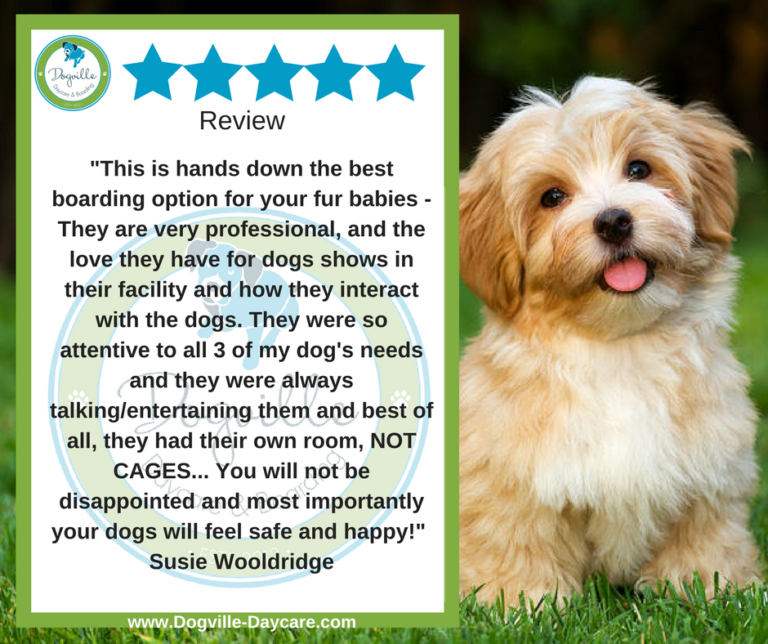 5 STAR REVIEW – “… HANDS DOWN THE BEST BOARDING OPTION FOR YOUR FUR BABIES.”! 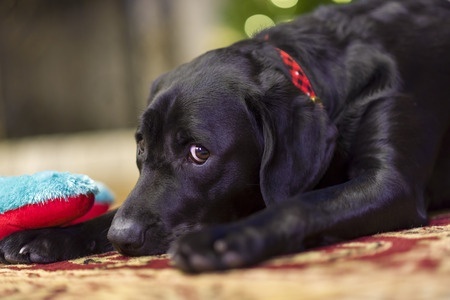 POST-HOLIDAY BLUES… FOR DOGS? YES! We want to wish you a very Happy New Year! 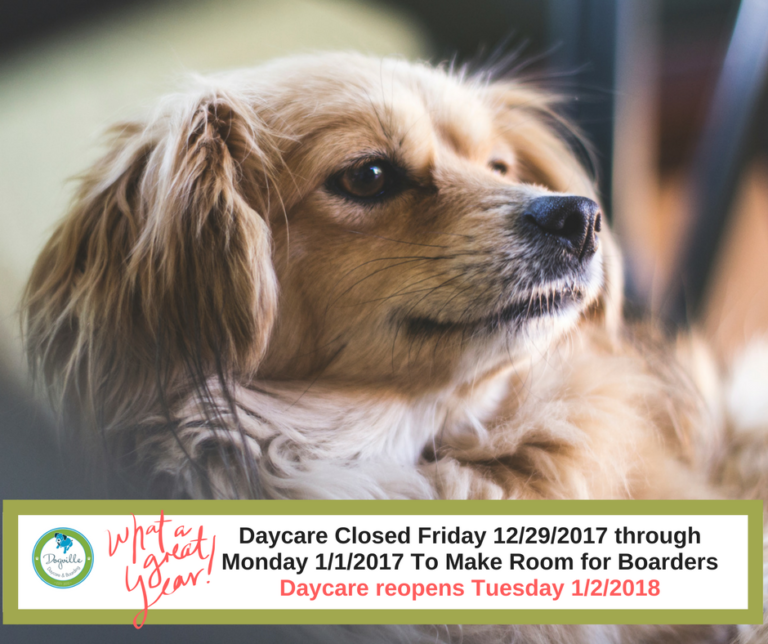 DAYCARE CLOSED THIS FRIDAY 12/29/17 THRU MONDAY 1/1/18 FOR NEW YEAR’S BOARDERS! 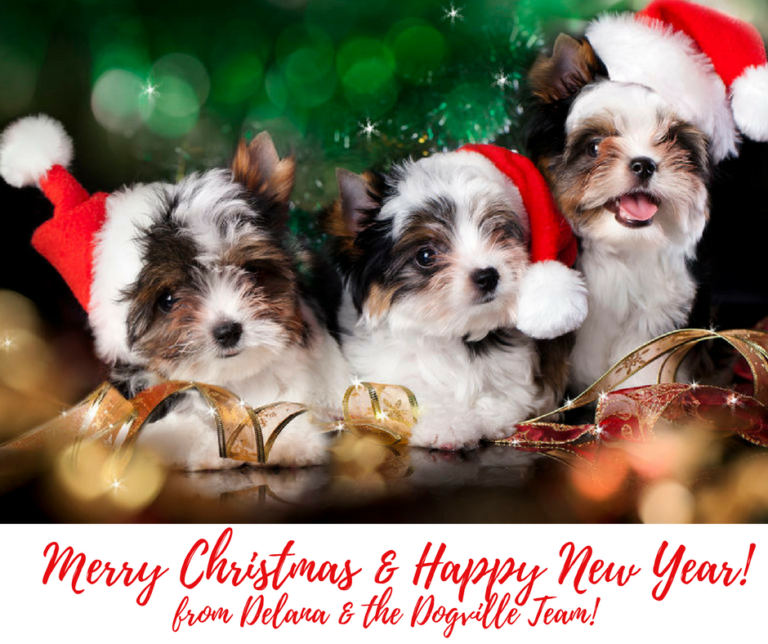 Delana and the teams at Dogville & Kitty City wish you a very Merry Christmas! 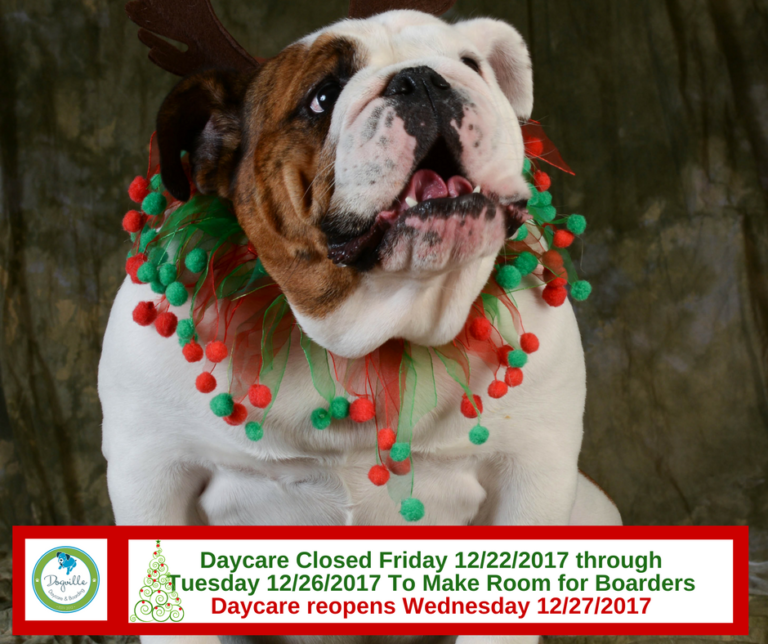 DAYCARE CLOSED THIS FRIDAY 12/22/17 THRU TUESDAY 12/26/17 FOR CHRISTMAS BOARDERS! 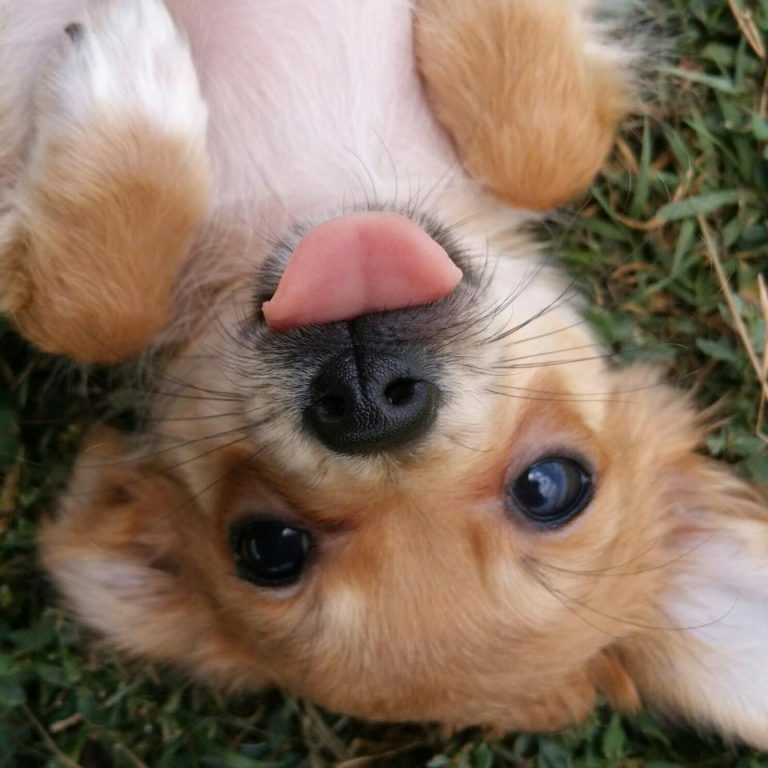 PUP-PHOTO: “THE RESPONSIBLE SUZIE QUE”! Designated driver with her friend that’s had too much to drink…. (foster dog Suzie Que). AU REVOIR, DEAR BORIS! WE LOVE AND WILL MISS YOU…! COSMO SAYS GOOD MORNING FROM KITTY CITY!! Just a friendly morning hello from Cosmo! PUP-PHOTO: HERE, HAVE A DOG-TINI!! Ha! 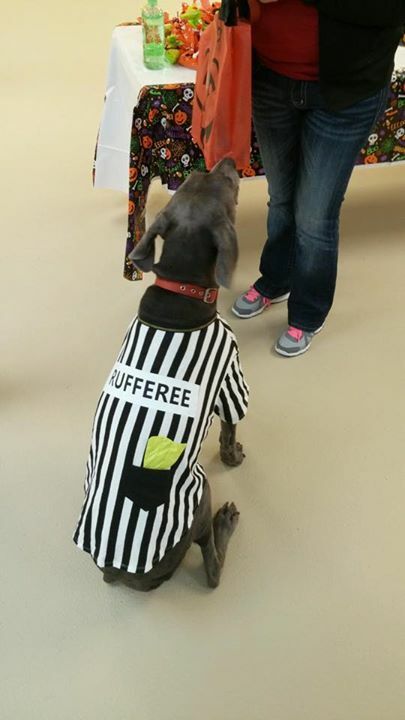 From our recent Howl-O-Ween Paw-ty. Everyone here at Dogville Daycare & KITTY CITY wish you a very Happy Thanksgiving. We are so thankful for you! ANNOUNCEMENTS: THANKSGIVING WEEK SCHEDULE & BLACK FRIDAY DEALS! 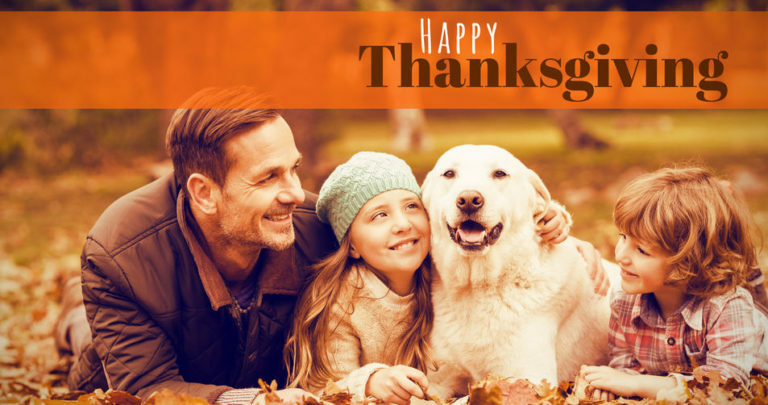 FEATURED RESOURCE: THANKSGIVING PET SAFETY! 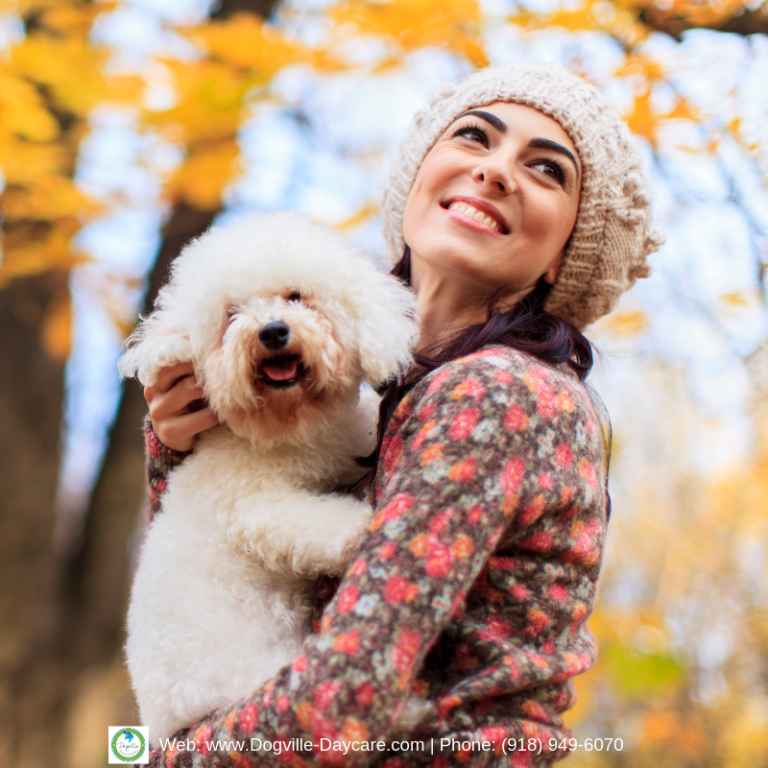 “Thanksgiving is a special holiday that brings together family and friends, but it also can carry some hazards for pets. Everyone needs someone to cuddle with. Look at that sweet face! 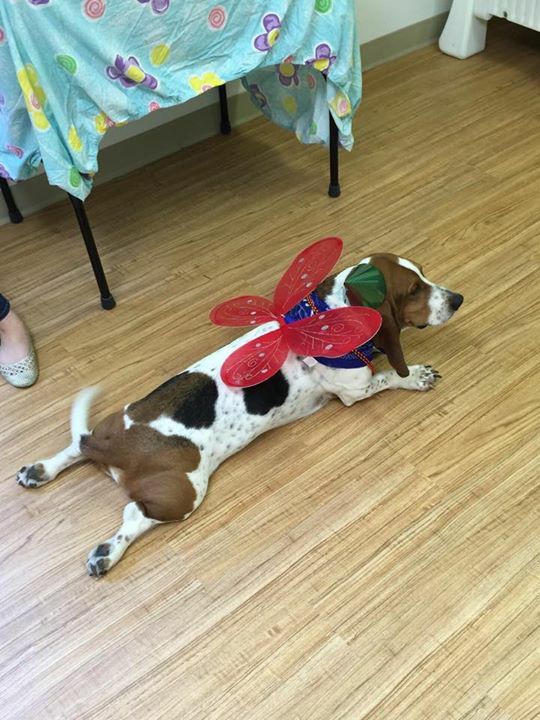 CHECK OUT THE 5TH ANNUAL HOWL-O-WEEN PAW-TY PHOTOS!! 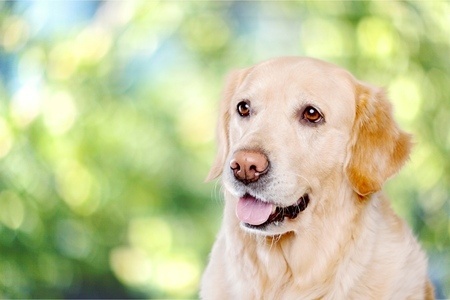 NEW STUDY PROVES YOUR DOG REFLECTS & RESPONDS TO FACIAL EXPRESSIONS! DOUGLAS DEDICATES 2ND BIRTHDAY CELEBRATION TO HIS FRIEND CHARLIE!! 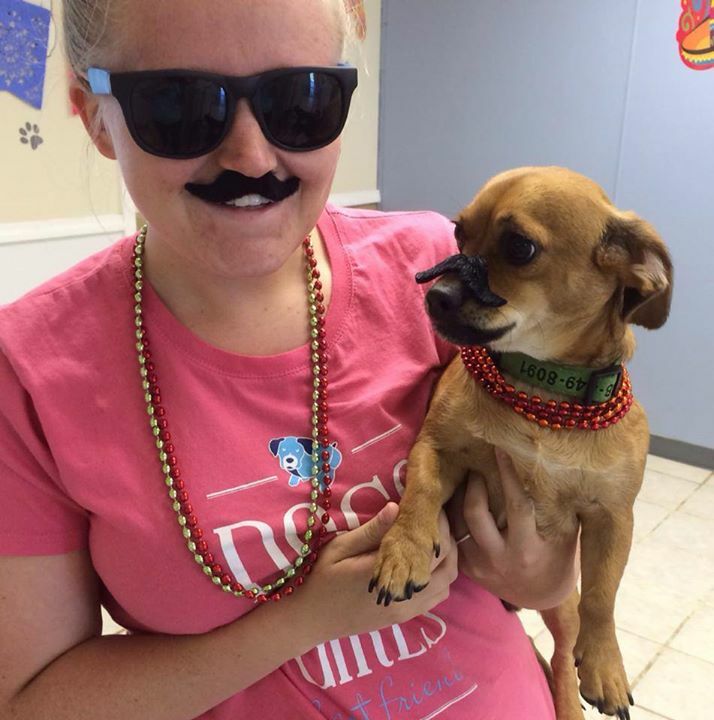 UPDATED: 5TH ANNUAL HOWL-O-WEEN PAW-TY (FULL DETAILS)! 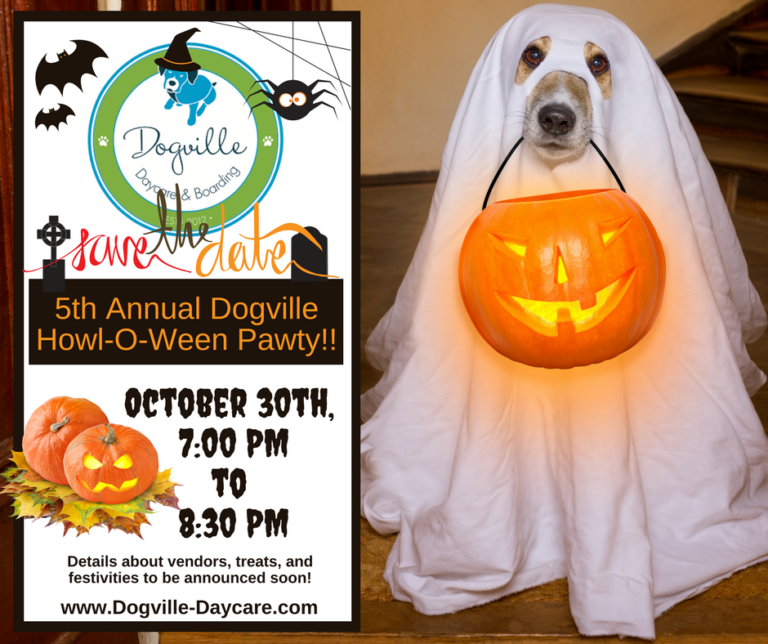 REMINDER: 5TH ANNUAL DOGVILLE HOWL-O-WEEN PAWTY IS OCTOBER 30TH!! PUP-PHOTO: AHOY, MATEY! 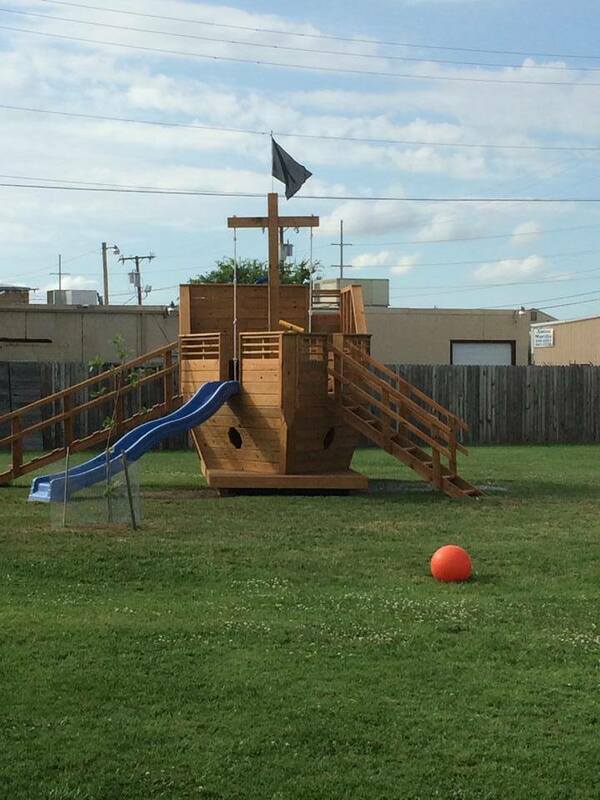 COME ABOARD THE “NO CATS ALLOWED!” PIRATE SHIP! THROWBACK THURSDAY: HOWL-O-WEEN PAWTY 2016! 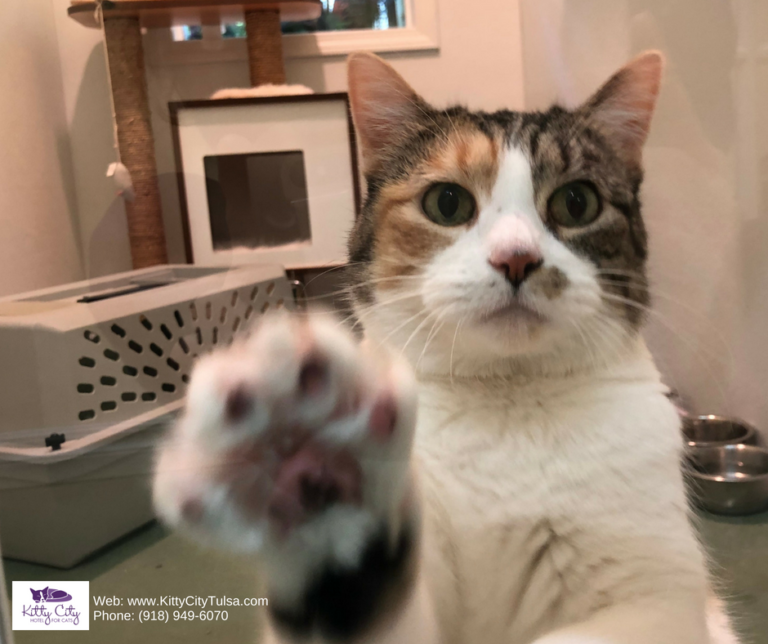 KITTY CITY PROVIDES SAFETY, COMFORT, & LOVE! 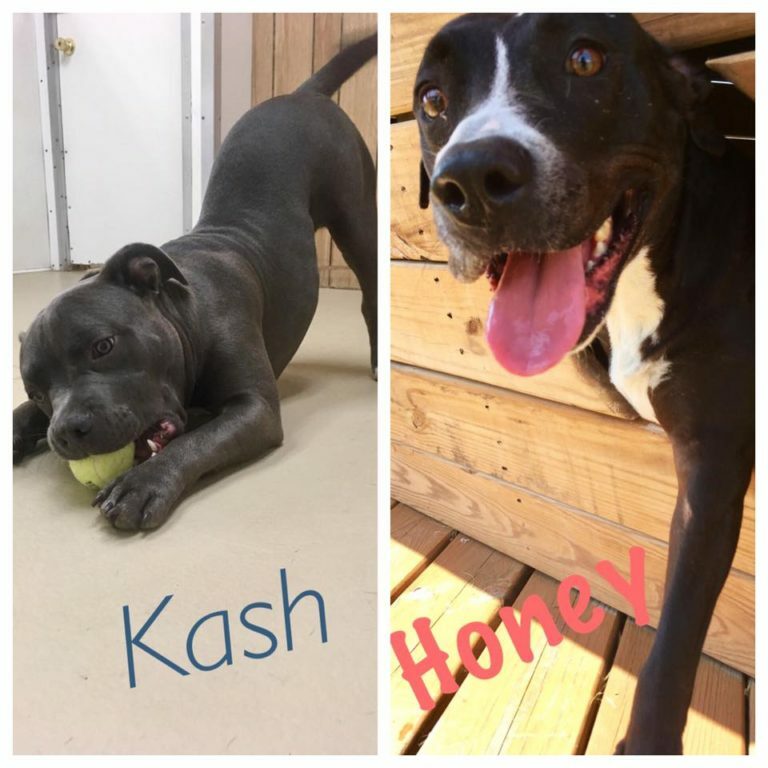 PUP-PHOTO: WHO DOESN’T LOVE A GOOD DOSE OF KASH & HONEY?! 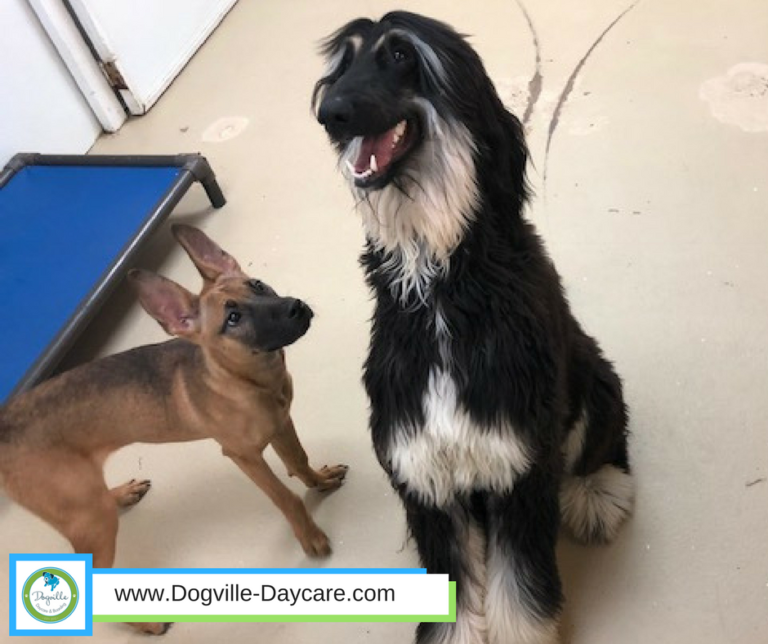 Whether inside or out, our daycare regulars love to have fun! 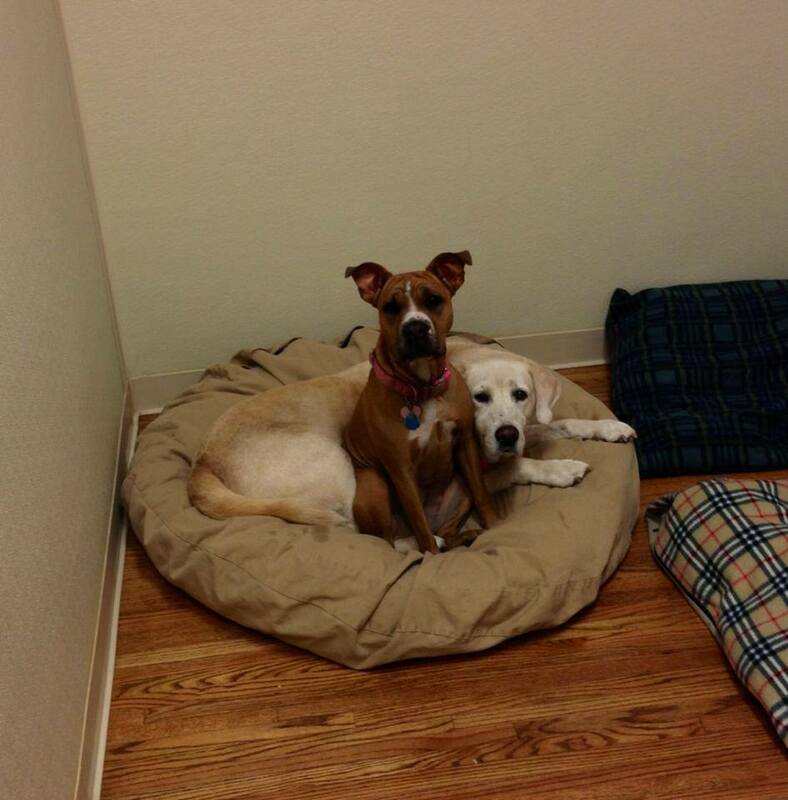 PUP-PHOTO: DOGVILLE CELEBRITY POWER COUPLE – GUNNER & EMMIE! 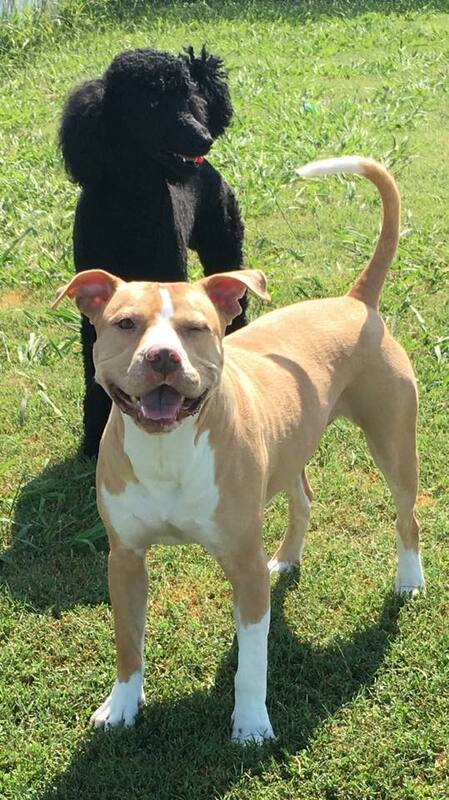 Gunner and his French girlfriend, Emmie, otherwise known as the Beyoncé and JayZ of Dogville. See him winking? 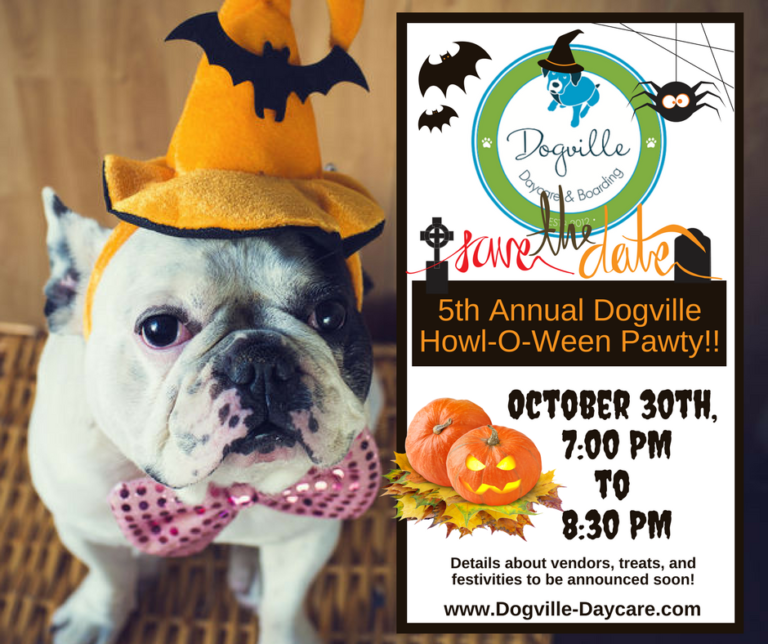 ANNOUNCING THE 5TH ANNUAL DOGVILLE HOWL-O-WEEN PAWTY!! 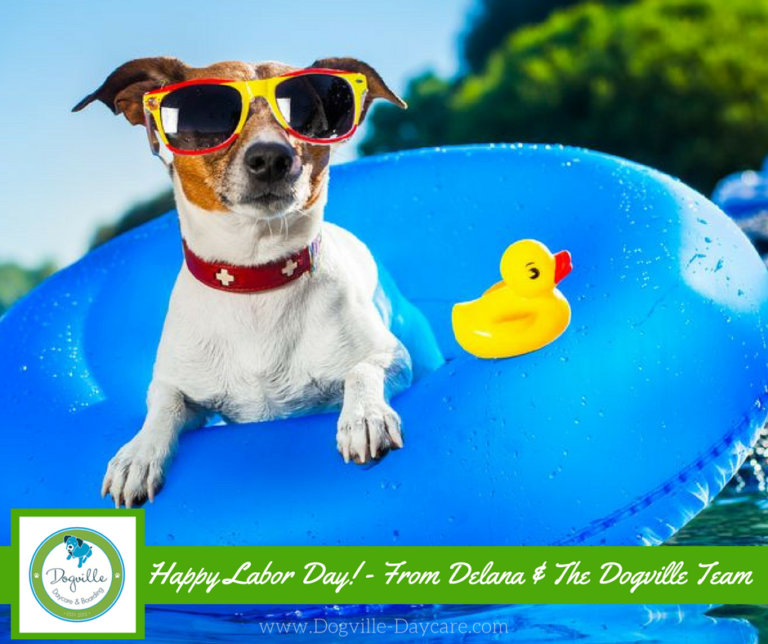 Hey, Dogville family! Have a great weekend! PUP-PHOTO: DRESSED FOR BALL PLAYING SUCCESS!! 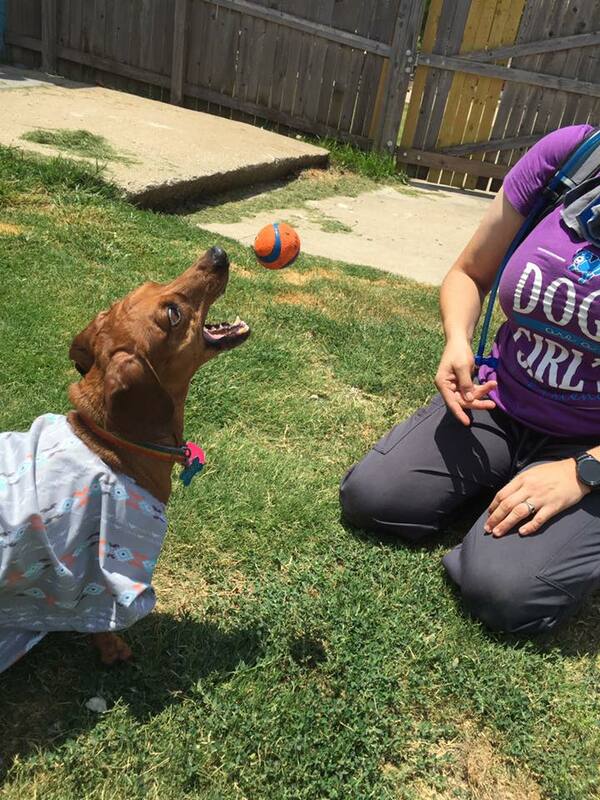 At Dogville, if your dog wants to dress up to play ball … ok! 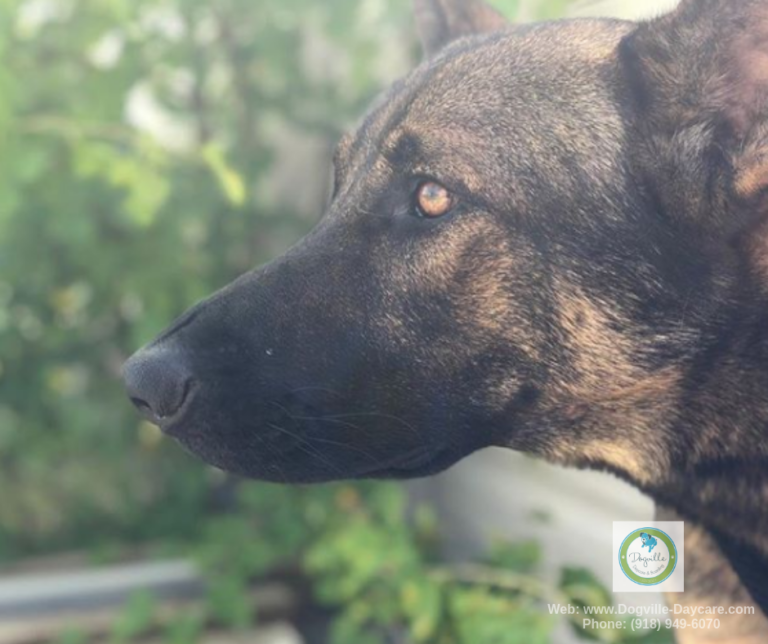 Yadi playing ball in the back yard one morning– Love the look on his face and those ears! CAUGHT ON CAT CAMERA! BEAU TIME…! MERRY MONDAY & HAVE A GREAT WEEK!! CAUGHT ON CAMERA! SURELY HE ISN’T THE ONLY ONE…! 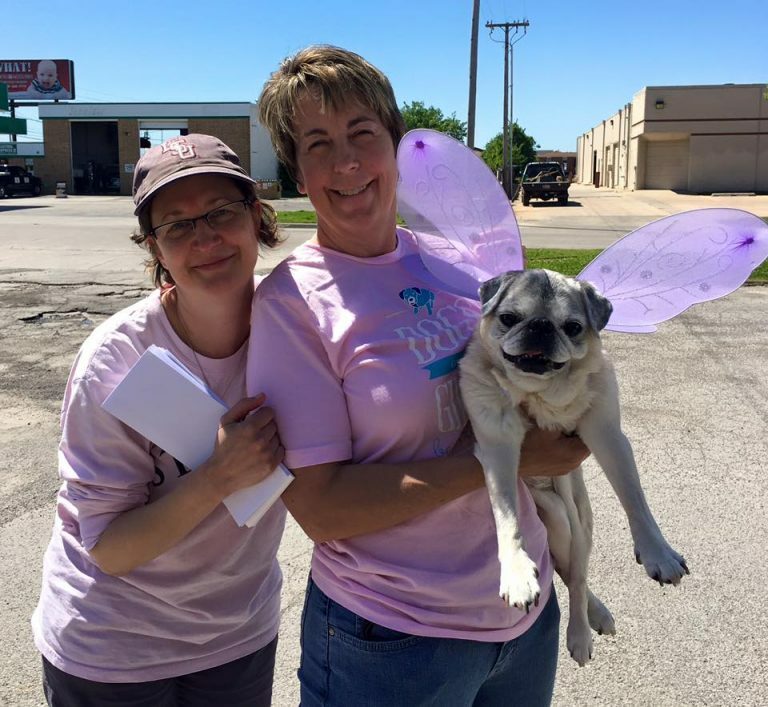 DOGVILLE SUPPORTS OKLAHOMA ANIMAL ALLIANCE IN HELPING HOUSTON FLOOD VICTIMS! 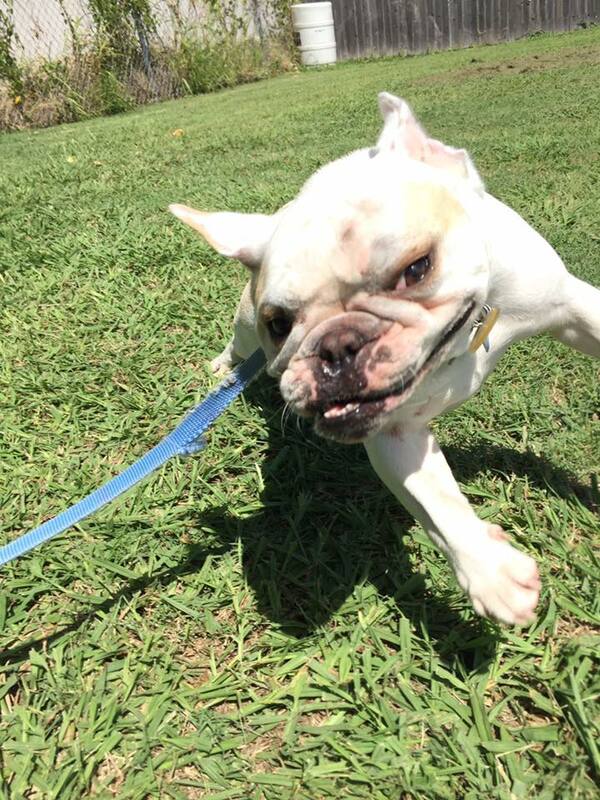 PUP-PHOTO: SPEEDY SULLIVAN HAVING A BLAST!! 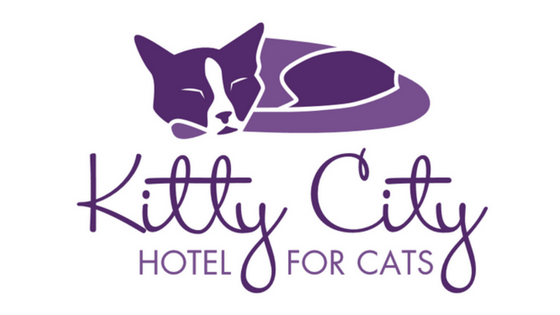 EXCITING ANNOUNCEMENT: KITTY CITY IS NOW OPEN FOR BUSINESS!! 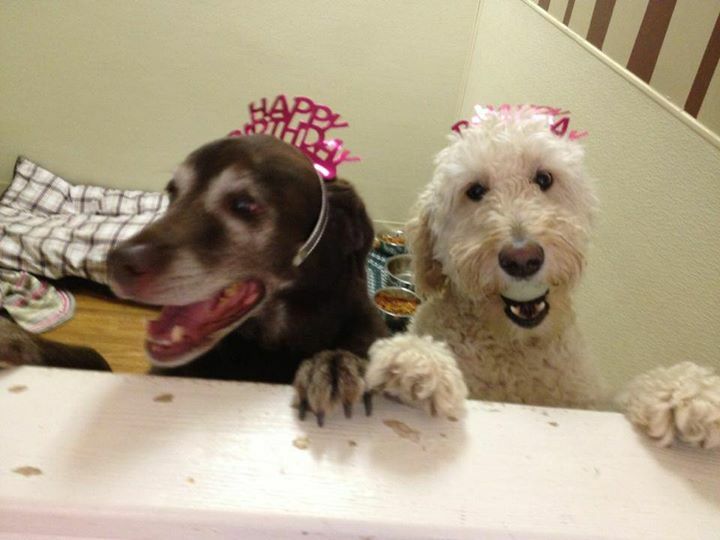 PUP-PHOTO: WE LOVE A GOOD BIRTHDAY PAWTY!! So sweet! 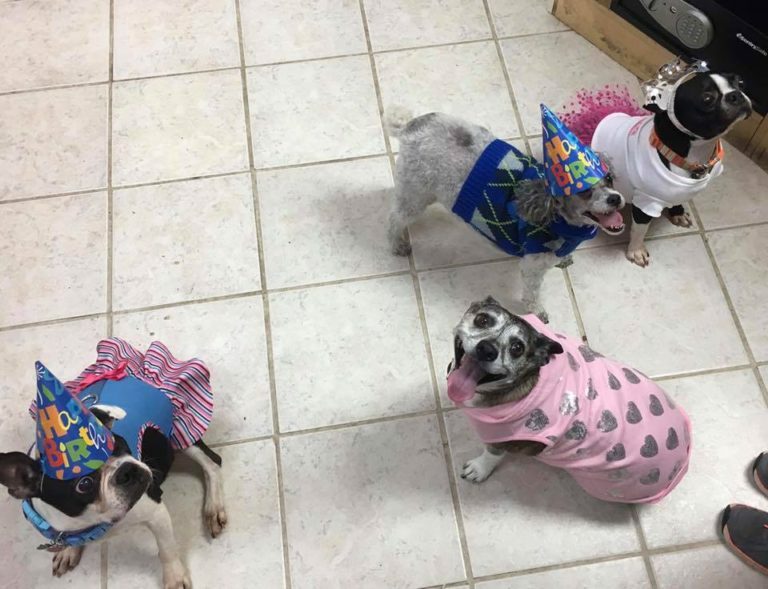 The Cute Overload Crew at a recent Birthday Pawty! 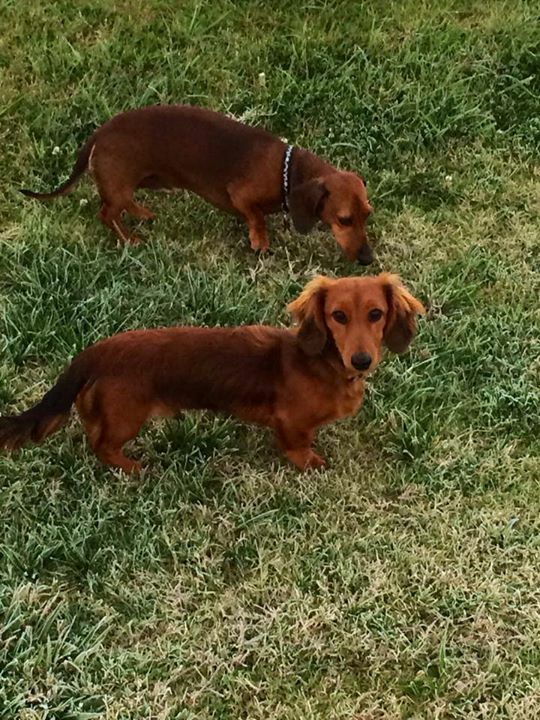 AFTER TORNADO UPDATE: THE TAILS ARE ALL WAGGING, ALL IS WELL! 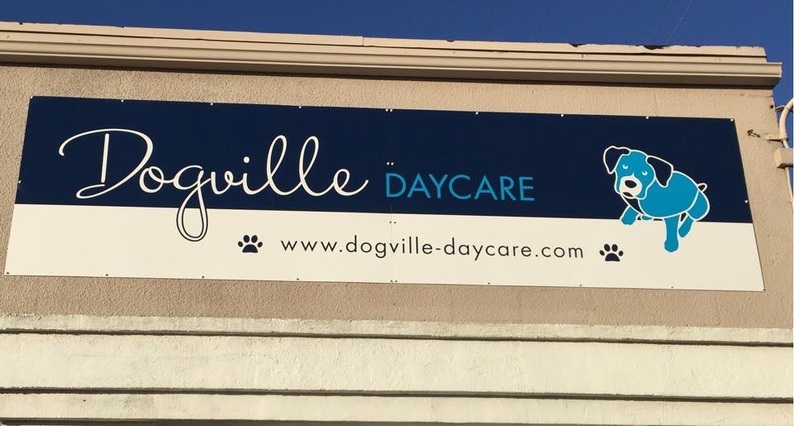 DOGVILLE DAYCARE AFFECTED BY SEVERE STORM BUT EVERYONE IS SAFE! CAUGHT ON CAMERA! FEELING RIGHT AT HOME…! CAUGHT ON CAMERA! THE FANTASTIC FIERO!! 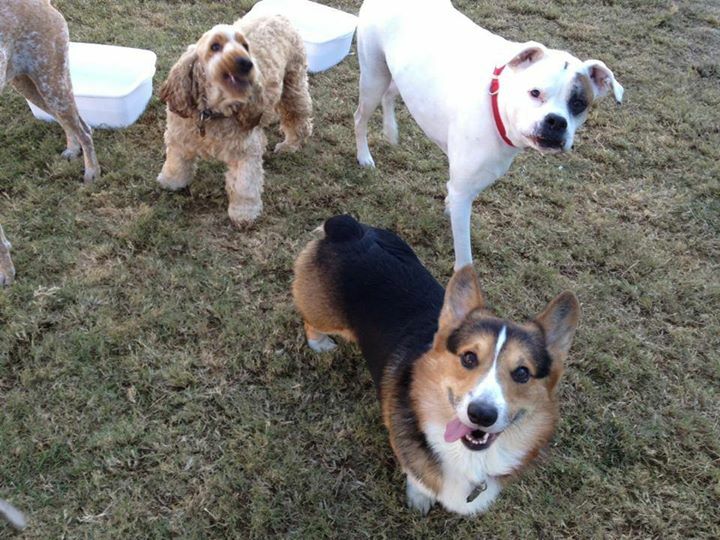 PUP-PHOTO: SUZIE QUE AND FRIENDS…! CAUGHT ON CAMERA! 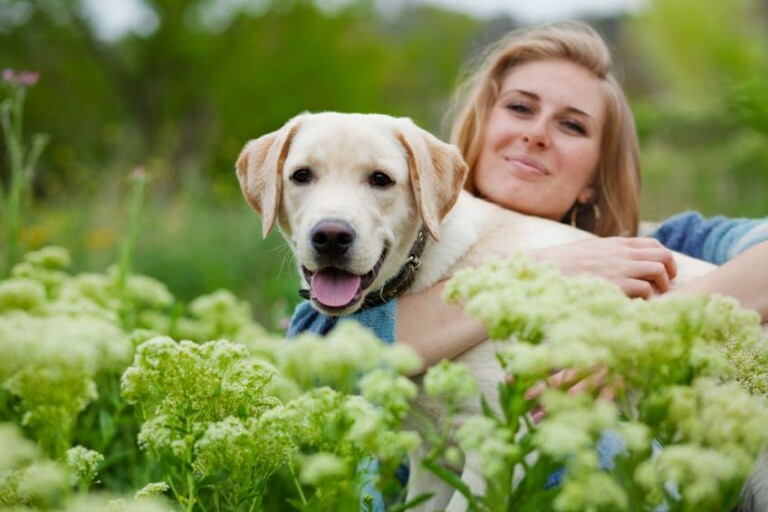 A DOG IS NOT JUST MAN’S BEST FRIEND…! A dog is man’s, and a horse’s, best friend! Check out this fun video ???? 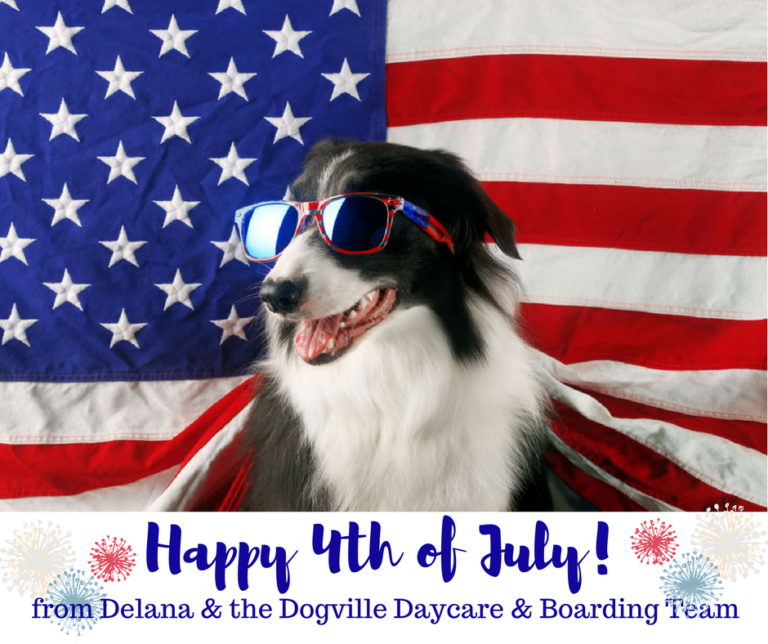 Happy 4th of July from Delana and the Dogville Daycare & Boarding Team! 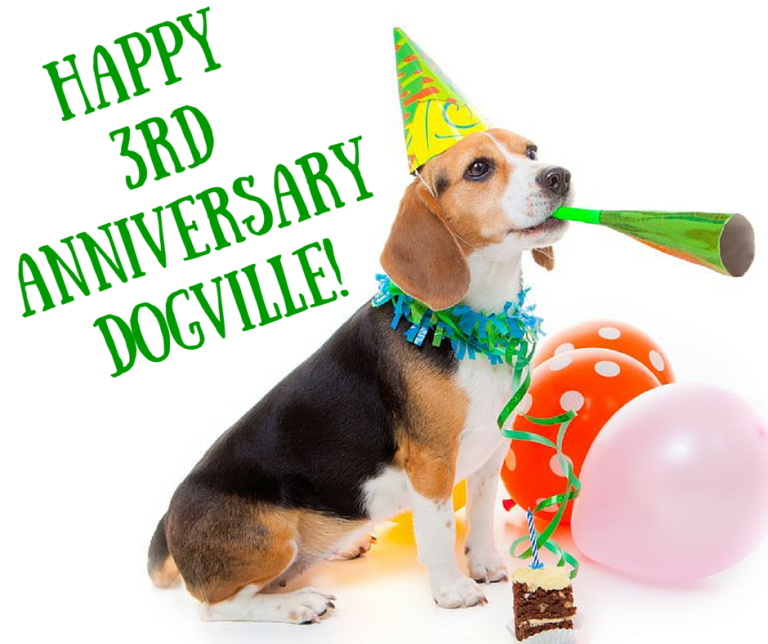 IMPORTANT ANNOUNCEMENT FOR DOGVILLE GUESTS JULY 1ST THROUGH 4TH! PUP-PHOTO: EDWARD & HELEN BRAVE THE STORM! CAUGHT ON CAMERA! MEET ANNIE!! 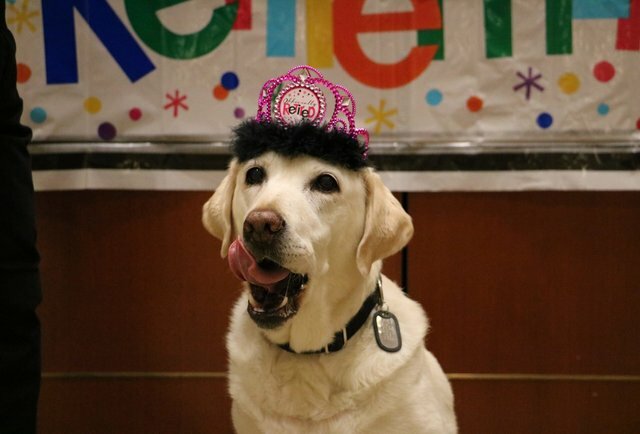 ORLANDO AIRPORT HONORS SERVICE DOG GEMA WITH RETIREMENT PARTY!! 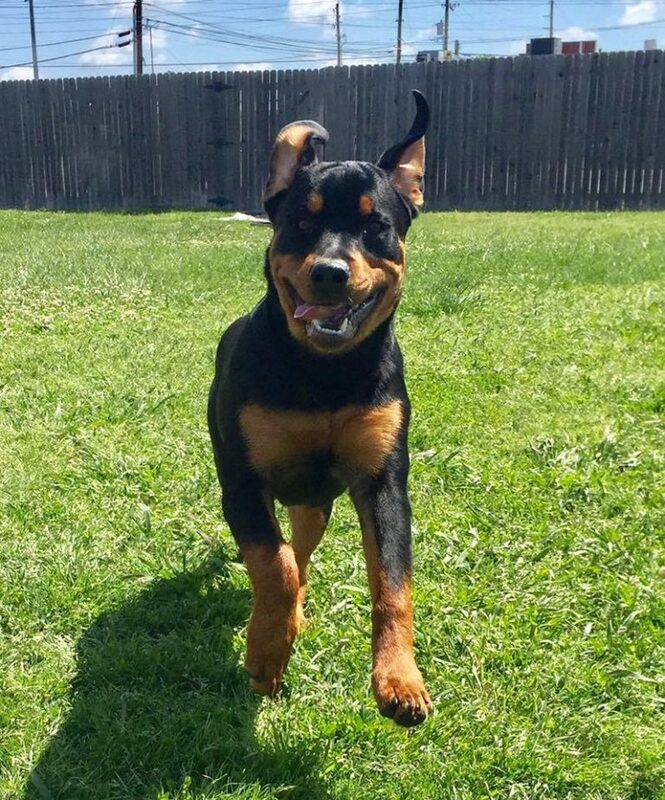 PUP-PHOTO: “SHILOH IS ONE HAPPY PUPPY!”! Shiloh had a great time playing in the big yard! That’s one happy puppy! CAUGHT ON CAMERA! BIRTHDAY PAWTY SHENANIGANS!! 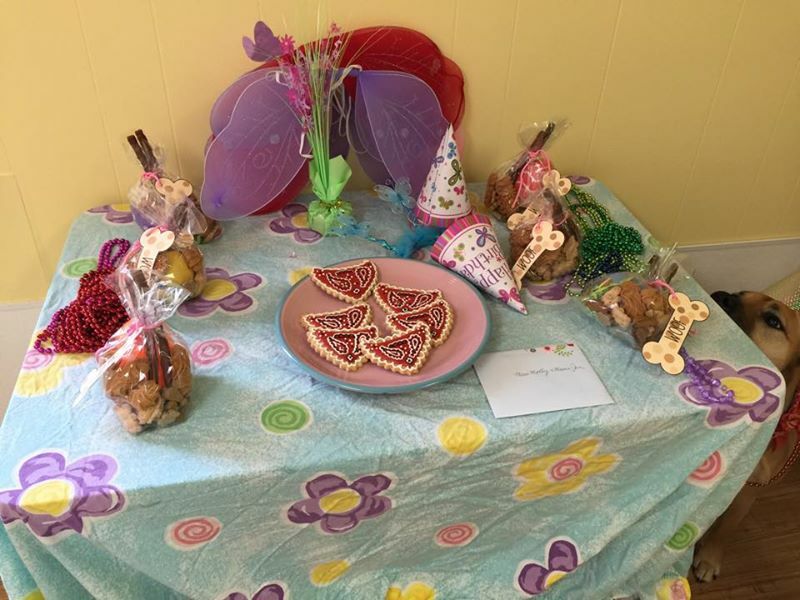 We love a good birthday party around here! 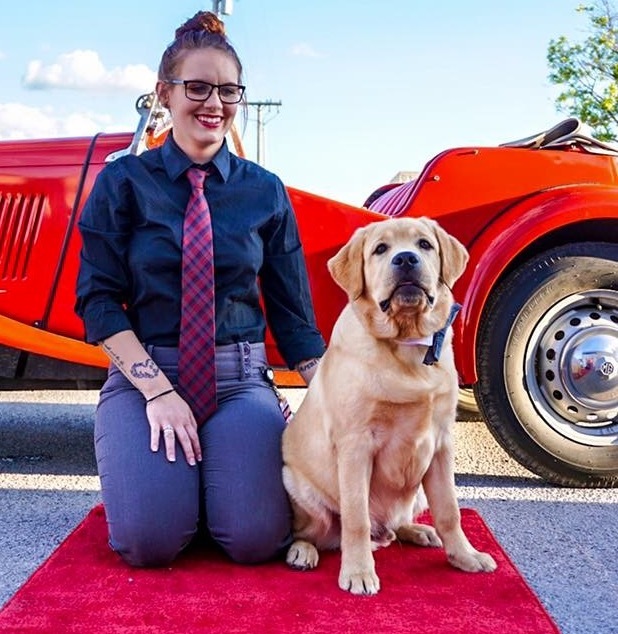 PUP-PHOTO: JT, OUR 2017 DOGVILLE PROM KING, TAKES THE RED CARPET! 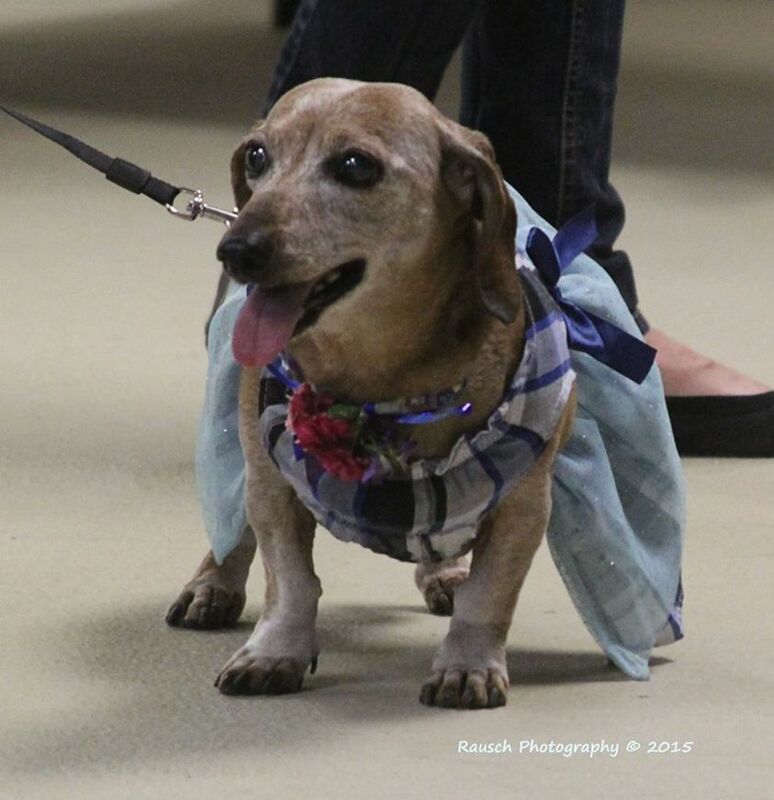 JT brought style and class to the 2017 Dogville Prom and was crowned our Prom King! Congrats JT! 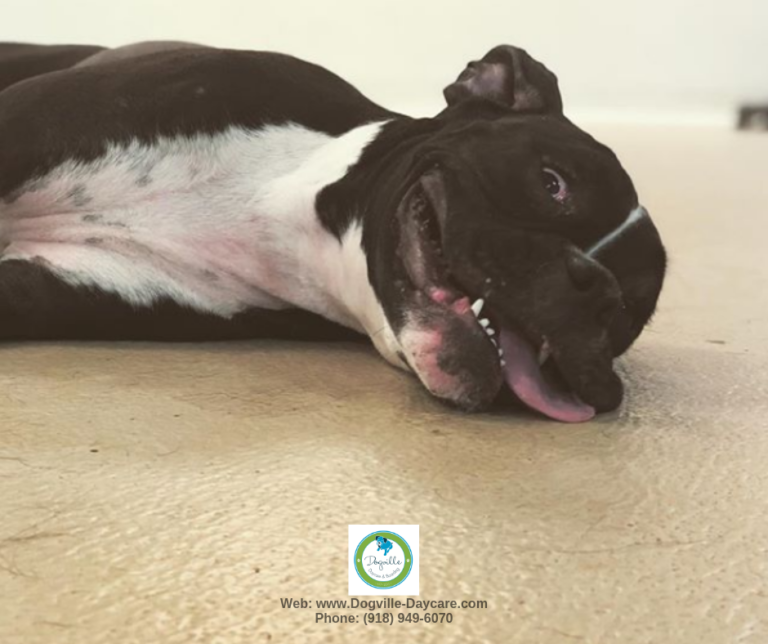 CHANGE IN VACCINATION PROTOCOL FOR DOGVILLE DAYCARE & BOARDING! PUP-PHOTO: A MOST EXCELLENT AFTER BREAKFAST BACK SCRATCH! Foster dog Helen having an after breakfast back scratch. 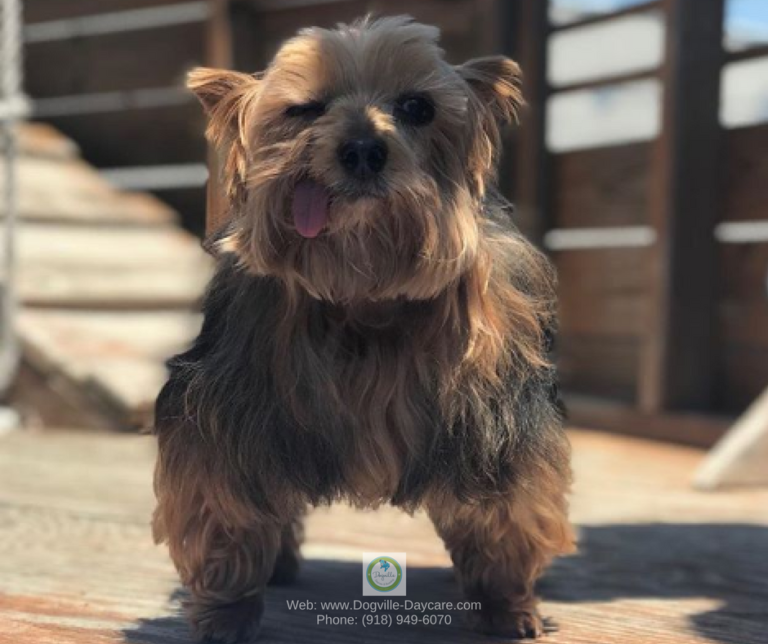 CONCERNED ABOUT CANINE COUGH? 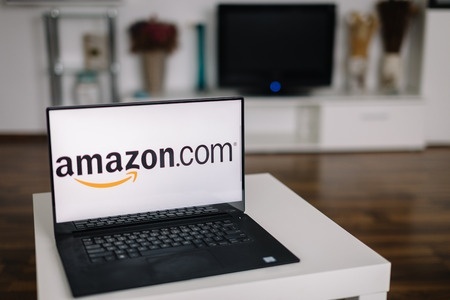 THIS HELPFUL ARTICLE HAS ANSWERS! 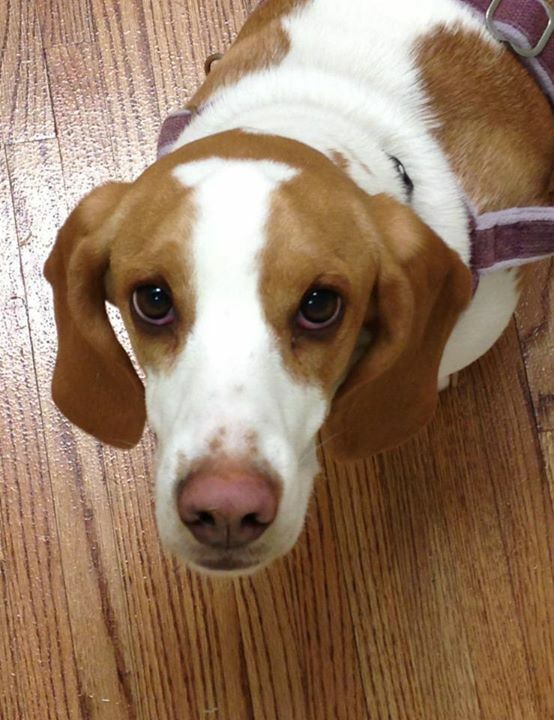 PUP-PHOTO: DAPHNE STRIKES A POSE!! Who owns that red carpet?! Daphne of course! 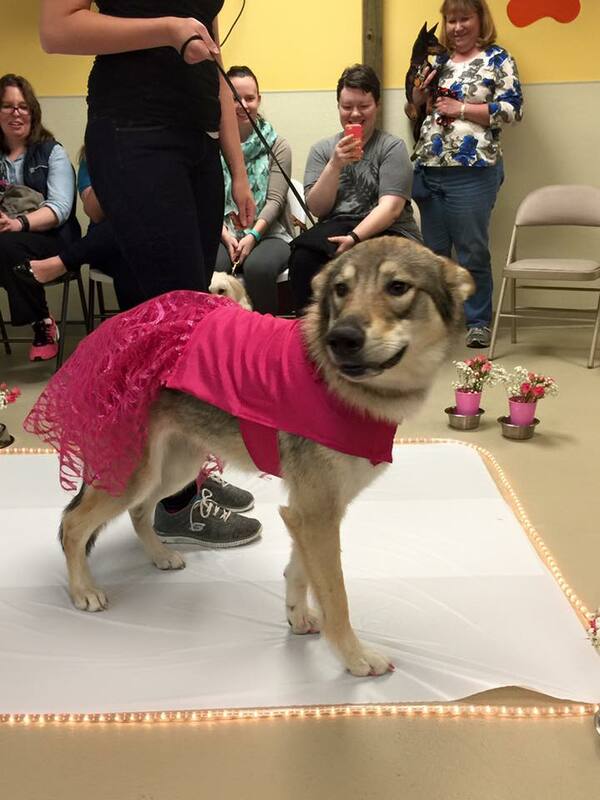 lol This was taken in April at the Dogville Prom! 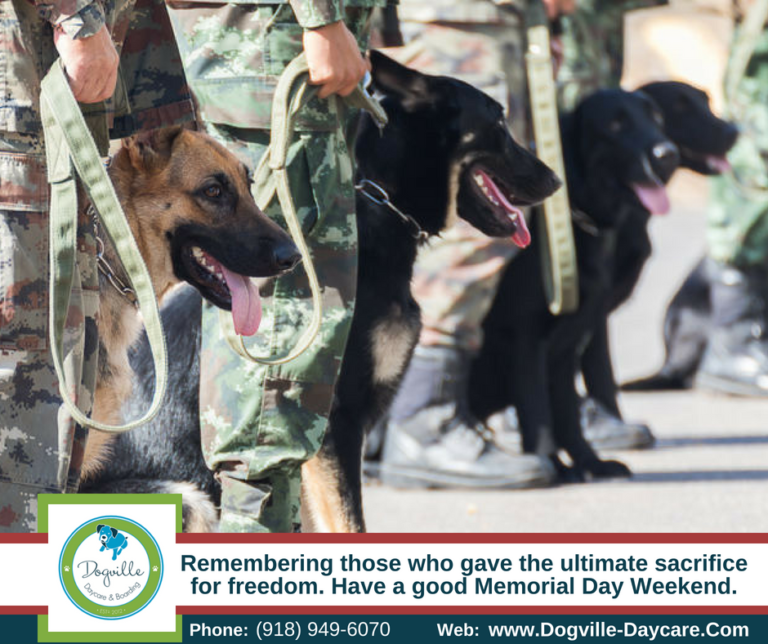 Delana and the Dogville Team want to wish you a good Memorial Day weekend. 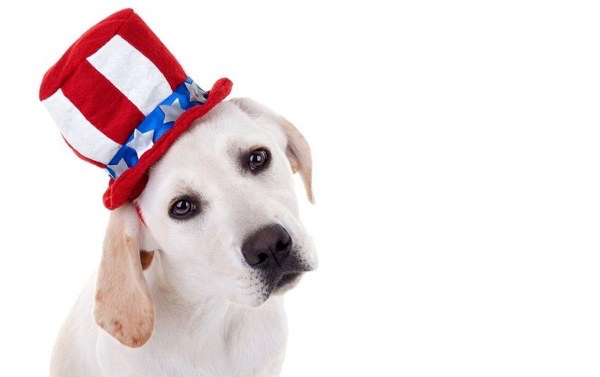 DAYCARE CLOSED FOR MEMORIAL DAY WEEKEND BOARDING DOGS! 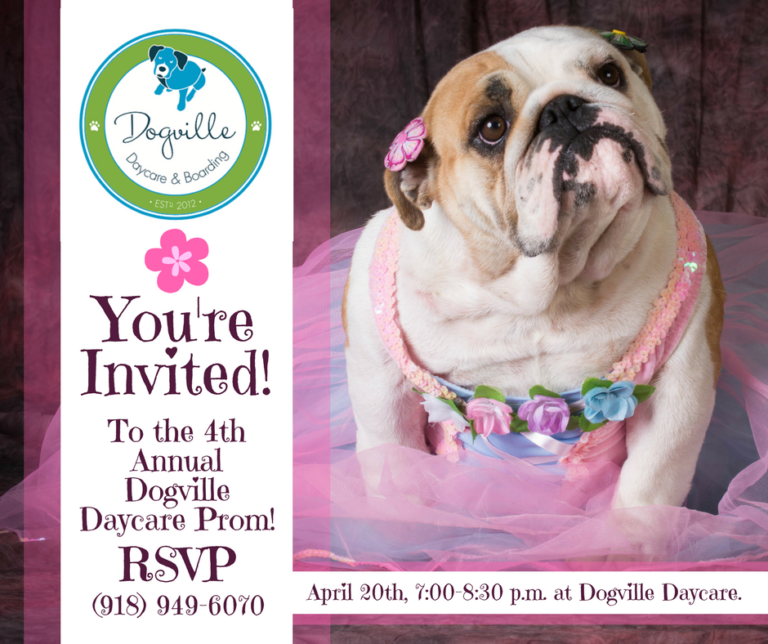 THE DOGVILLE PROM IS TOMORROW!! 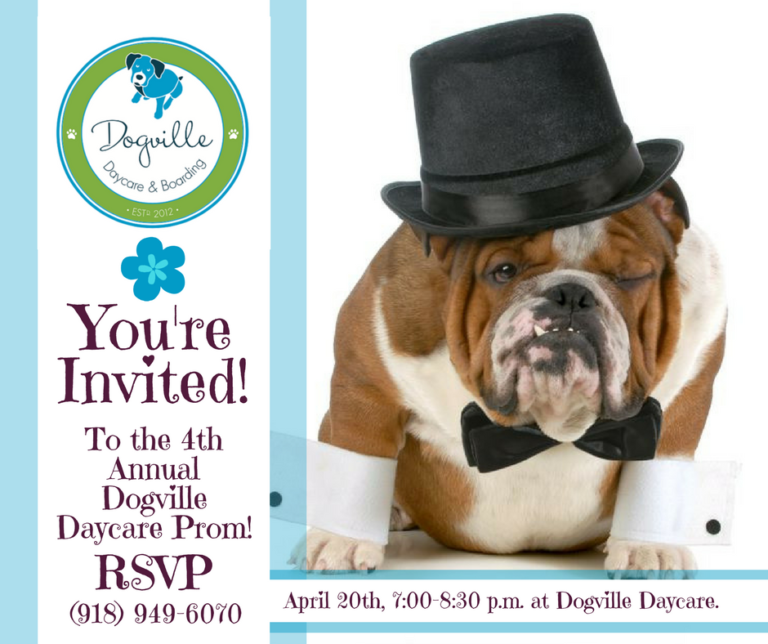 REMINDER: FOURTH ANNUAL DOGVILLE PROM “MIDNIGHT IN PARIS” IS THURSDAY, APRIL 20TH!! Awwwww! I think Ranger is blushing ???? YOU’RE INVITED! 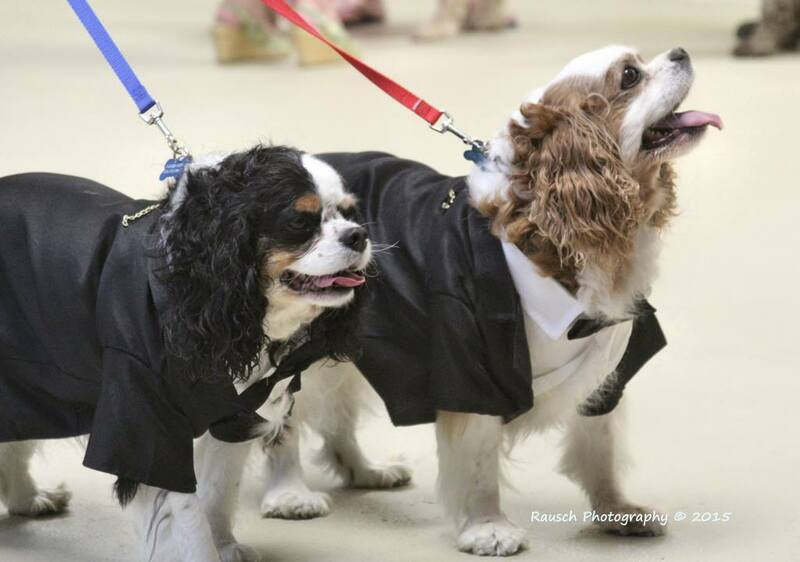 FOURTH ANNUAL DOGVILLE PROM “MIDNIGHT IN PARIS”! 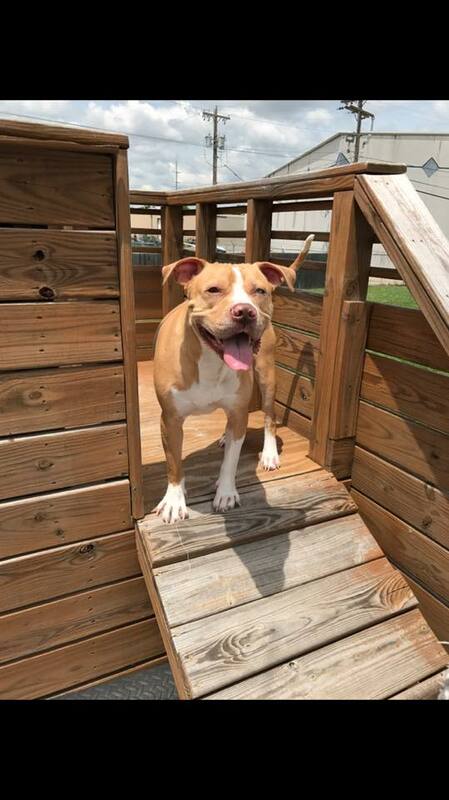 PUP-PHOTO: LATIFAH TAKES THE WALKWAY… I MEAN, YARD…! CAUGHT ON CAMERA! BRAD THE FRENCHIE AND ZERINA PLAYING! 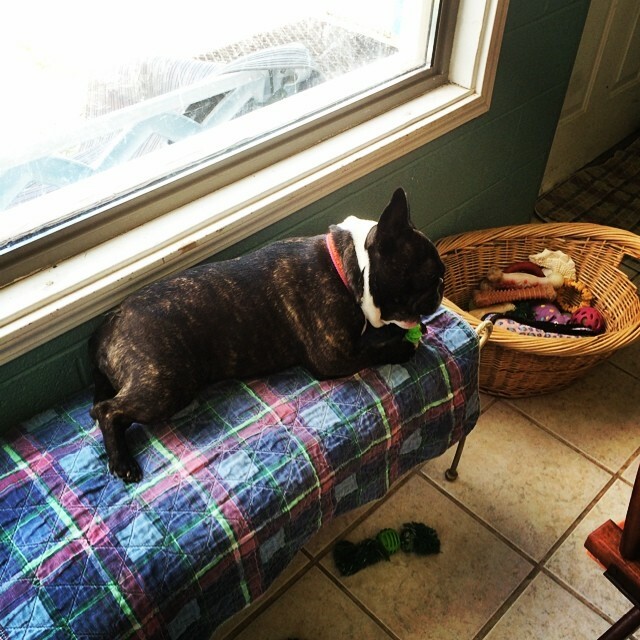 Brad the Frenchie and Zerina playing in daycare. 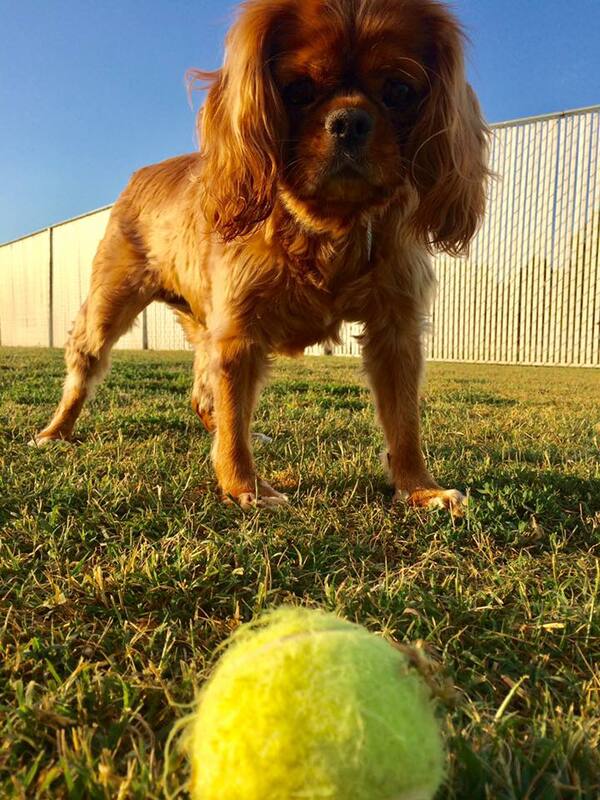 Gracie, along with our other guests LOVE the huge Dogville yard… and tennis balls! Go Gracie go! 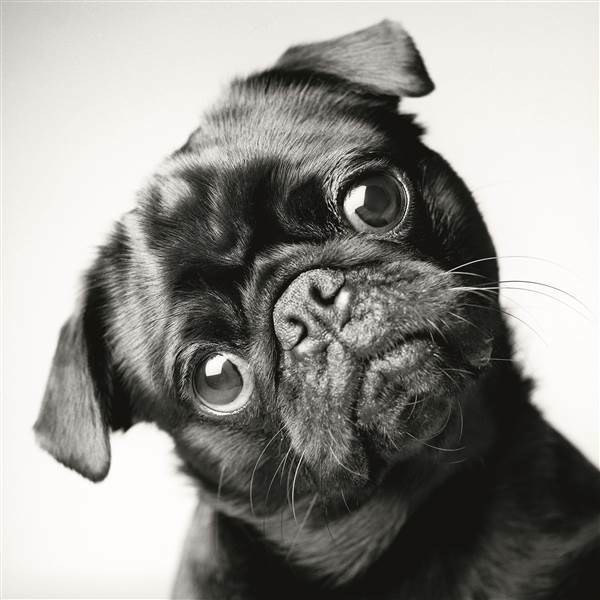 FEATURED VIDEO: “BEAUTY AND THE PUG”! 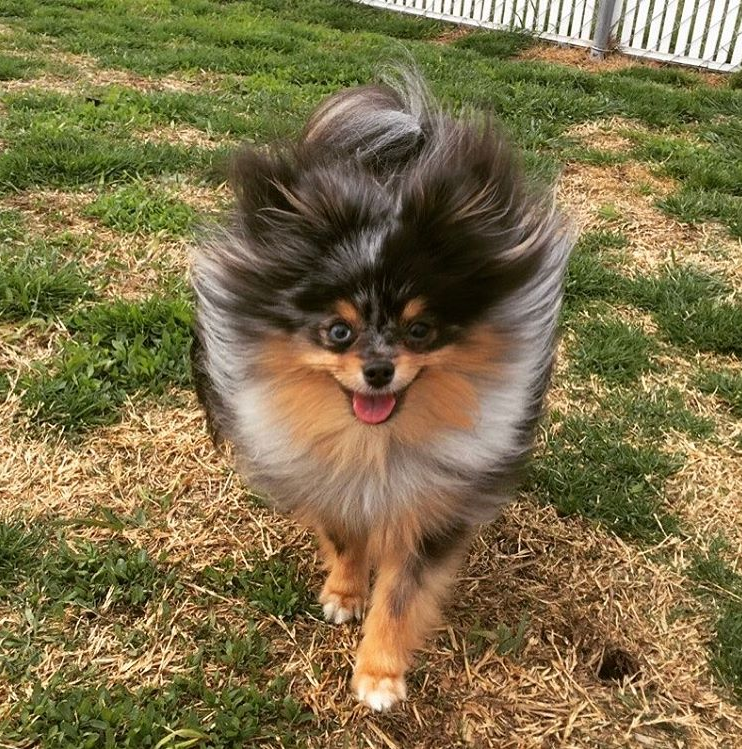 PUP-PHOTO: GRAYSON ON A BLUSTERY DAY…! Grayson says it is a blustery day at Dogville! 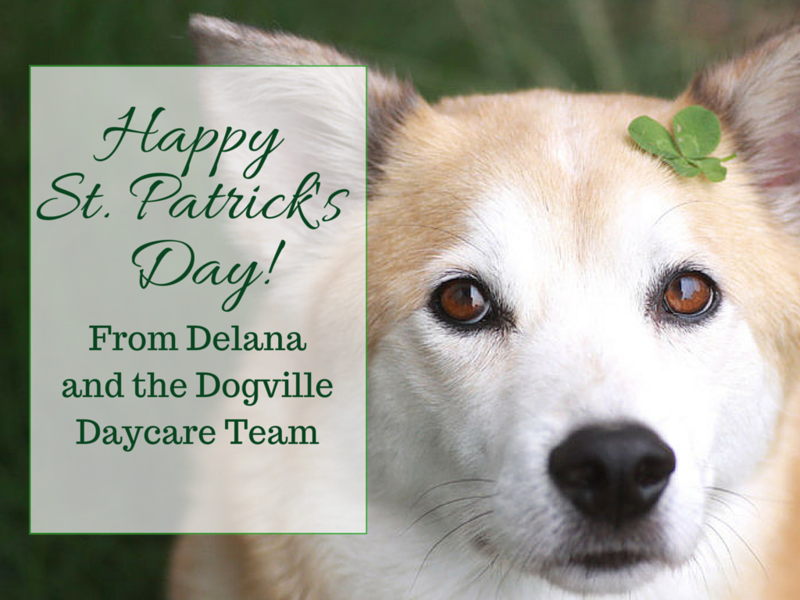 Happy St. Patrick’s Day from Delana and the Dogville team! CAUGHT ON CAMERA! BEDTIME FOR BORIS…! 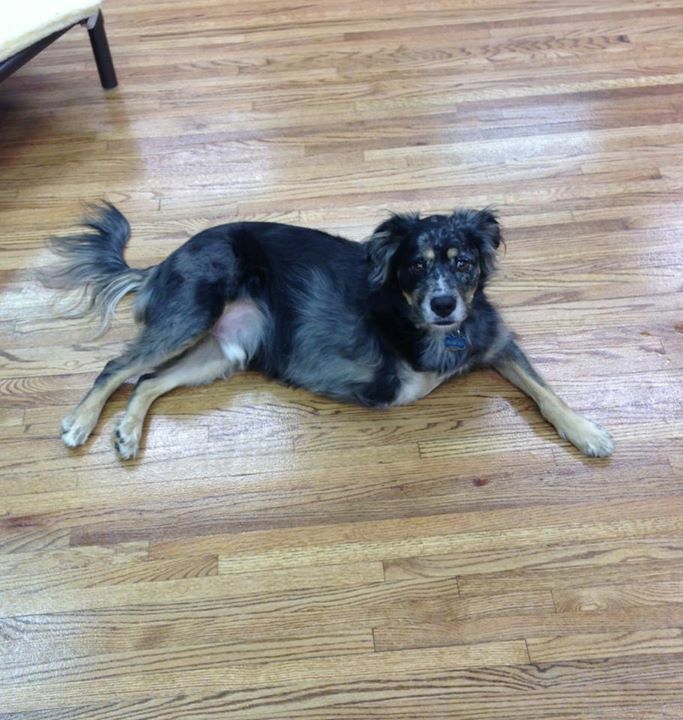 PUP-PHOTO: DIXIE IS PATIENTLY WAITING… SORT OF…! CAUGHT ON CAMERA! 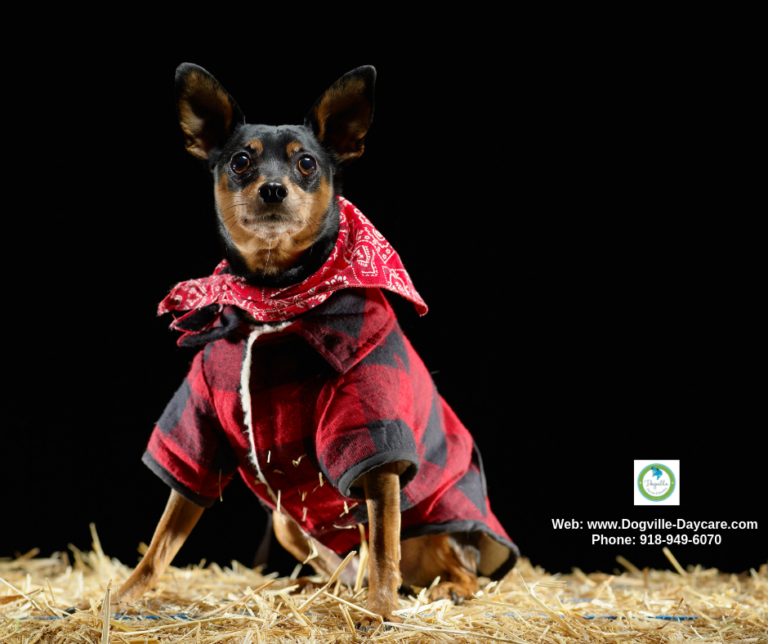 A DOGVILLE COWBOY!! 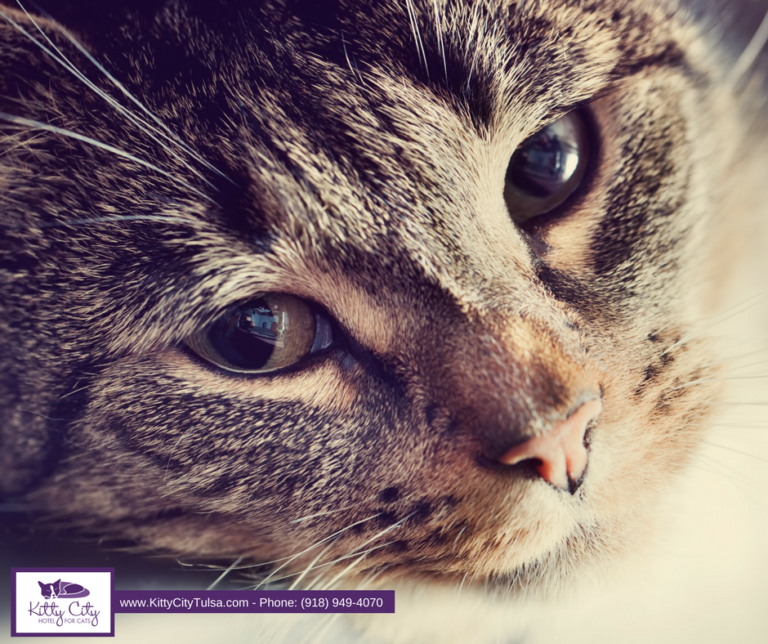 PROVIDING SENIOR PET CARE IS PART OF OUR PRIMARY PURPOSE! 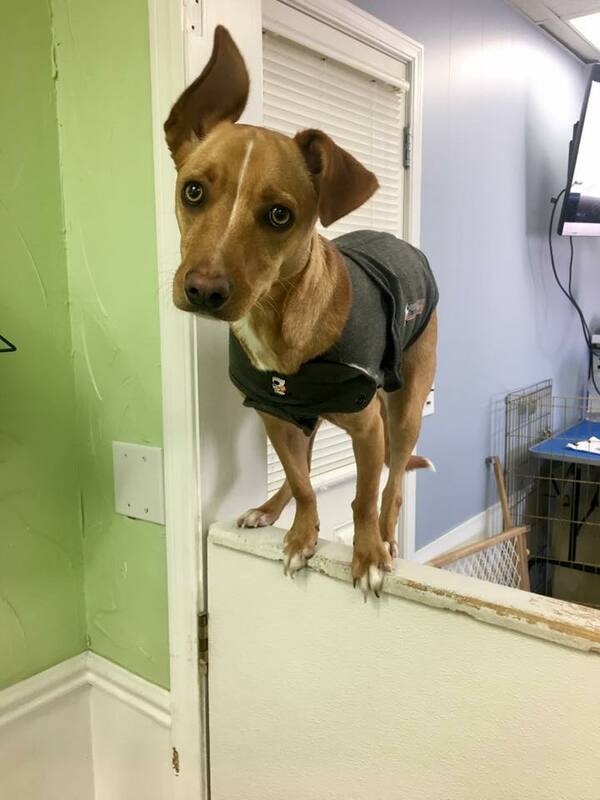 PUP-PHOTO: THE EXPERT ESCAPE ARTIST DOGE DE ACROBAT, DAISY MAY! CAUGHT ON CAMERA! VIVA LA FRANCE!! ACUPUNCTURE? …FOR DOGS? (FREE SEMINAR)! CAUGHT ON CAMERA! 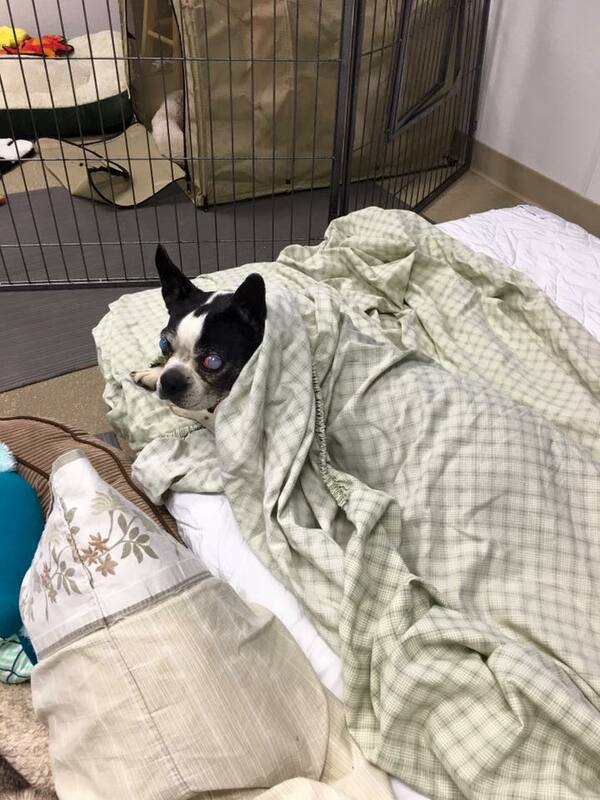 BORIS IN A BLANKET…! 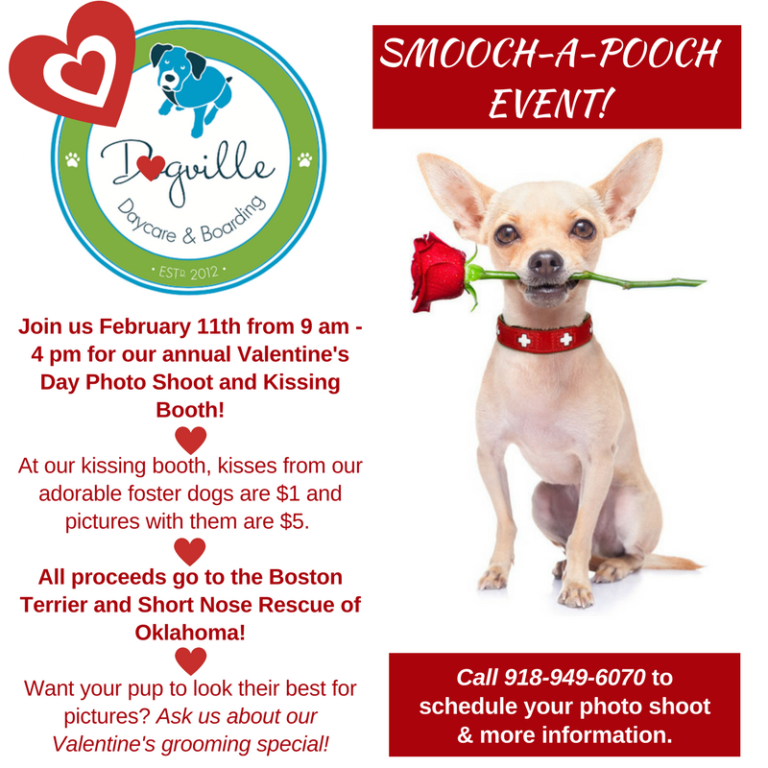 YOU’RE INVITED TO DOGVILLE’S 2017 SMOOCH-A-POOCH EVENT!! 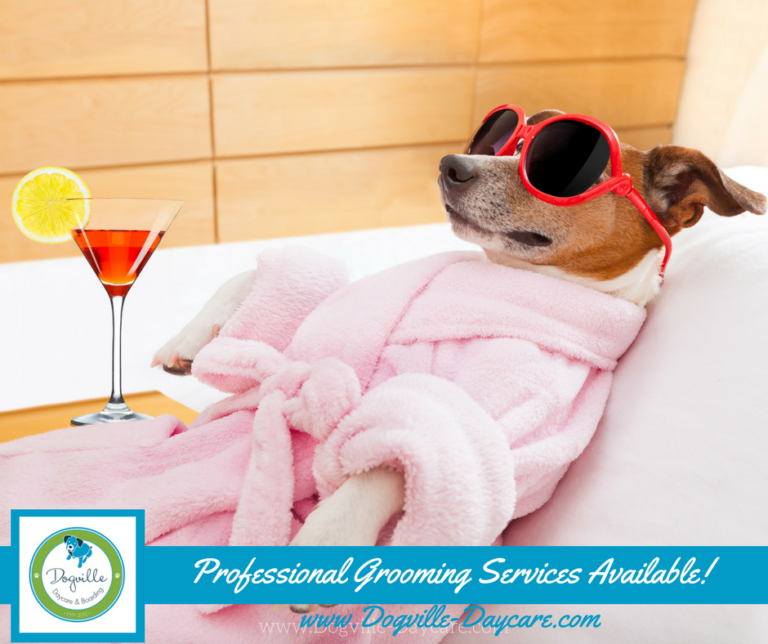 PAMPER YOUR PUP WITH PROFESSIONAL GROOMING SERVICES AT DOGVILLE! Isn’t Emmy adorable?! 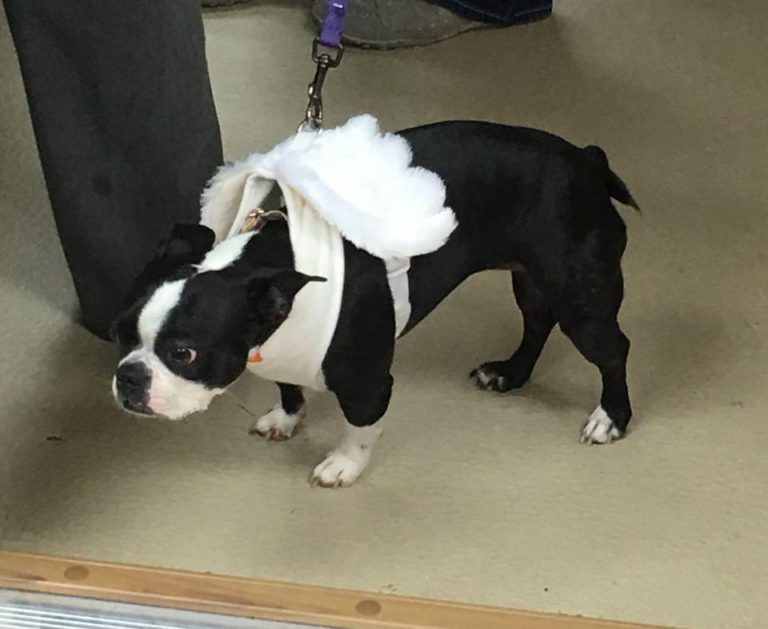 She was our guardian angel at last year’s Howl-O-Ween Pawty. WE DID IT! 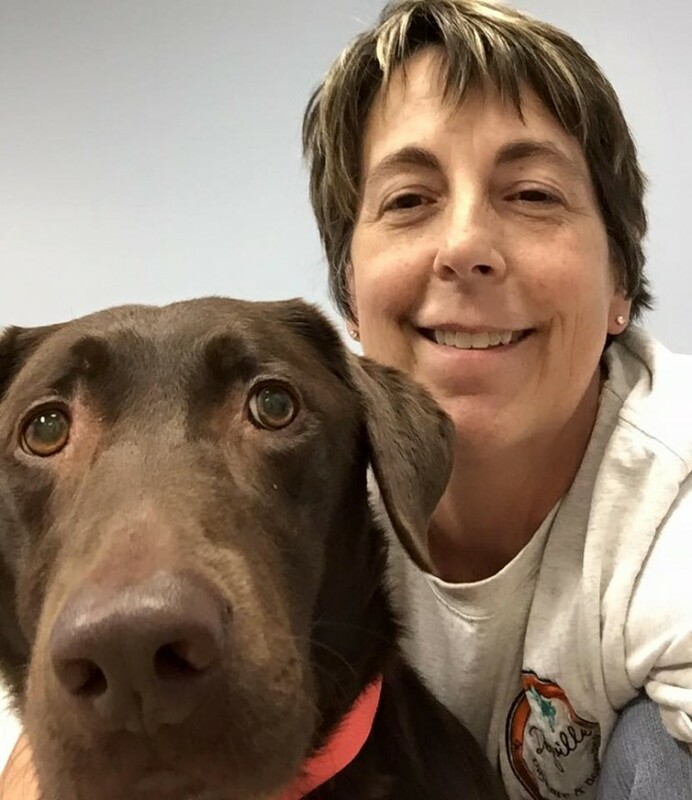 MAGGIE’S FUNDRAISING UPDATE! We posted this on Facebook and wanted to share the great news here, too! Thank you! 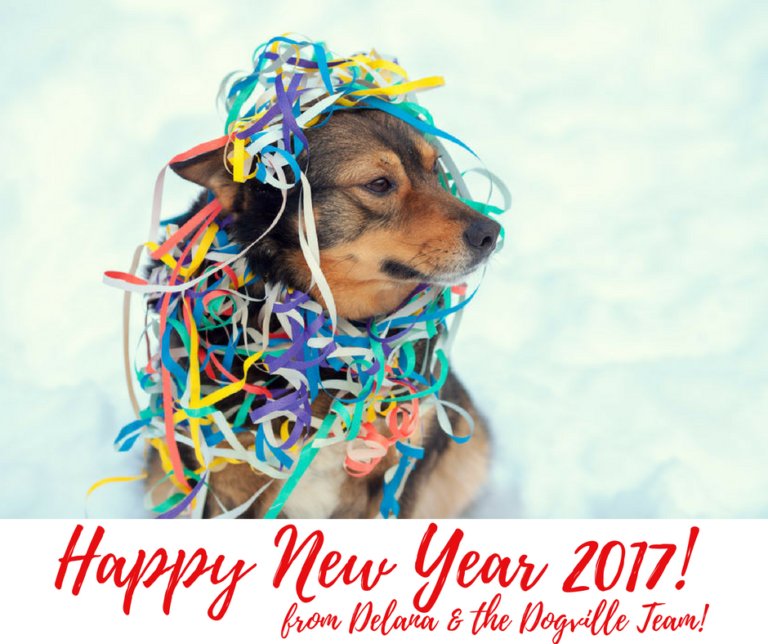 HAPPY NEW YEAR FROM DOGVILLE!! CAUGHT ON CAMERA! HOW MUCH IS THAT DOGGY IN THE WINDOW? 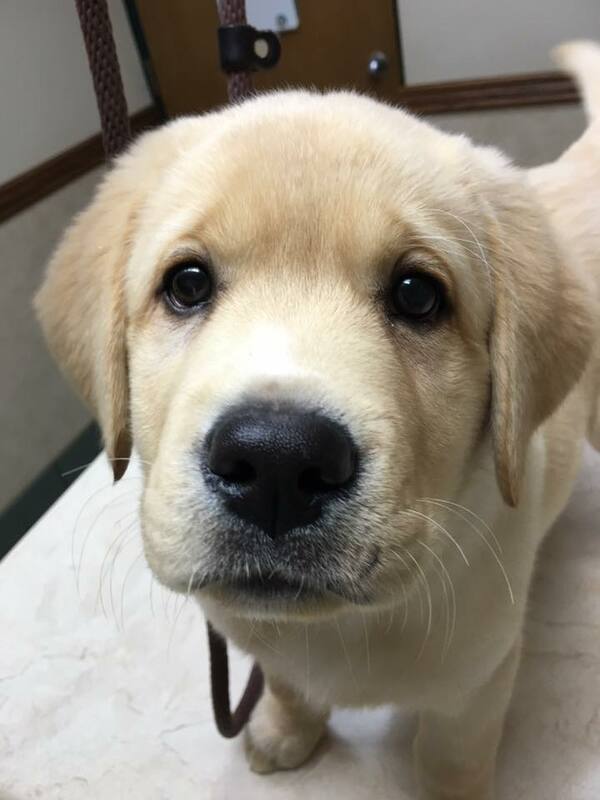 MEET COOPER…! DAYCARE CLOSED THIS FRIDAY 12/23/16 THRU TUESDAY TO 12/27/16 FOR CHRISTMAS BOARDERS! CAUGHT ON CAMERA! WELL, THAT’S ONE WAY TO DRY LAUNDRY…! Sometimes a dog’s preferred way of drying laundry might be a bit different, and a lot more energetic! 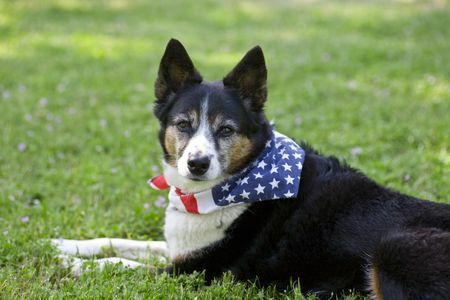 WHY SENIOR DOGS MAKE THE BEST COMPANIONS! PUP-PHOTO: MICKEY & ALIEN EMMY! CAUGHT ON CAMERA! MY LITTLE HELPER …?! 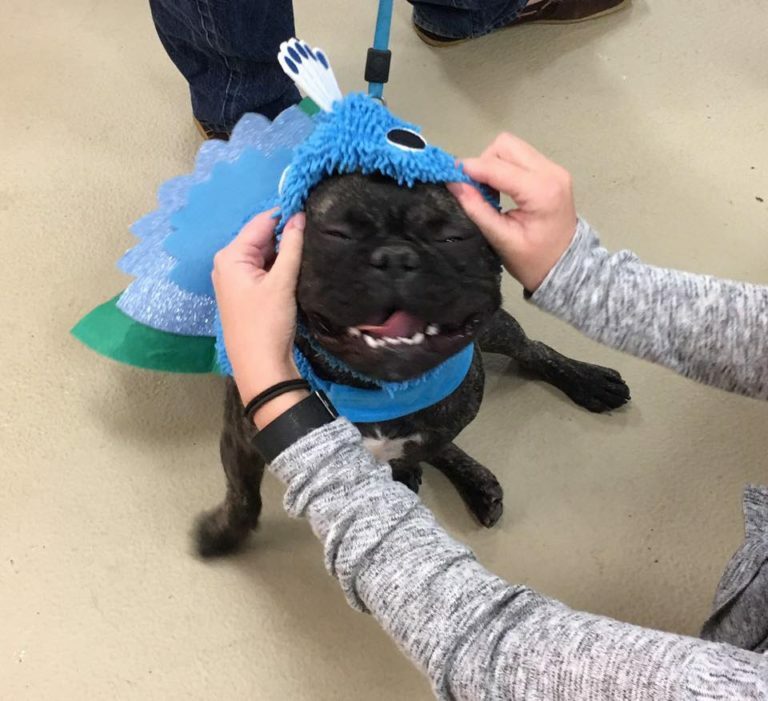 PUP-PHOTO: LOUIE THE HAPPY PEACOCK!! Here’s a fun memory for Monday. 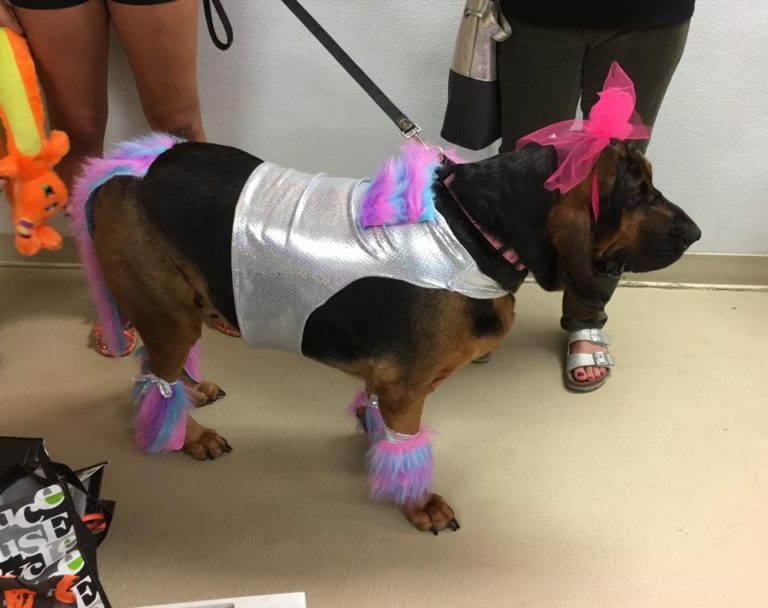 Louie at the Howl-O-Ween Pawty dressed as a proud (and obviously happy) Peacock! 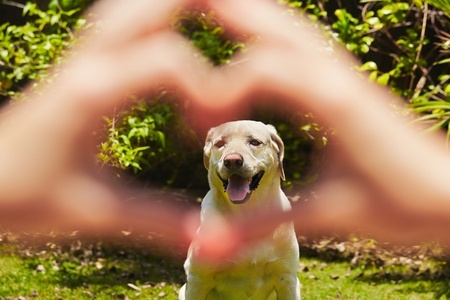 11 WAYS DOGS TELL YOU THEY LOVE YOU (FEATURED ARTICLE)! 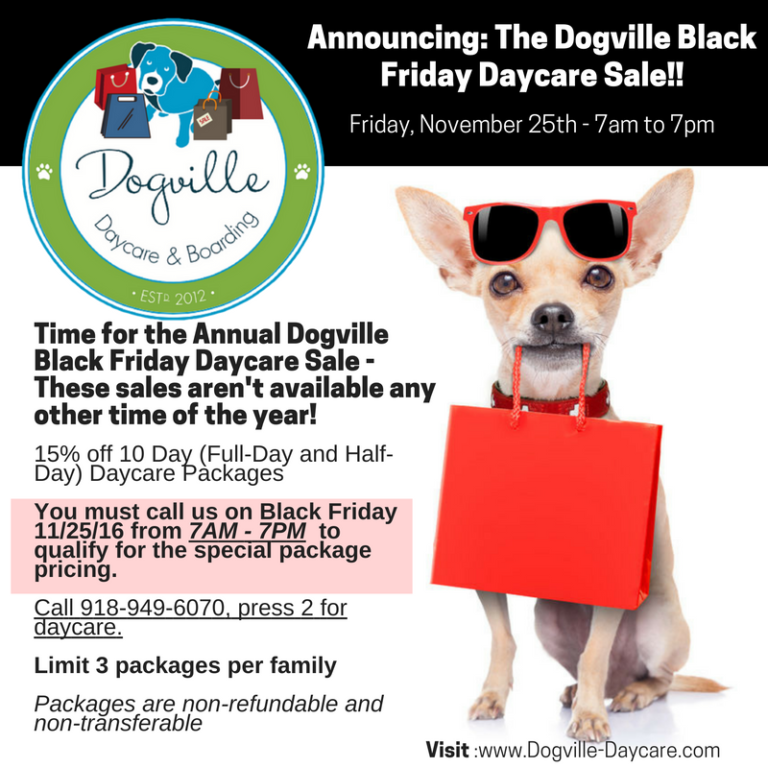 ANNOUNCING DOGVILLE’S ANNUAL BLACK FRIDAY SALE!! 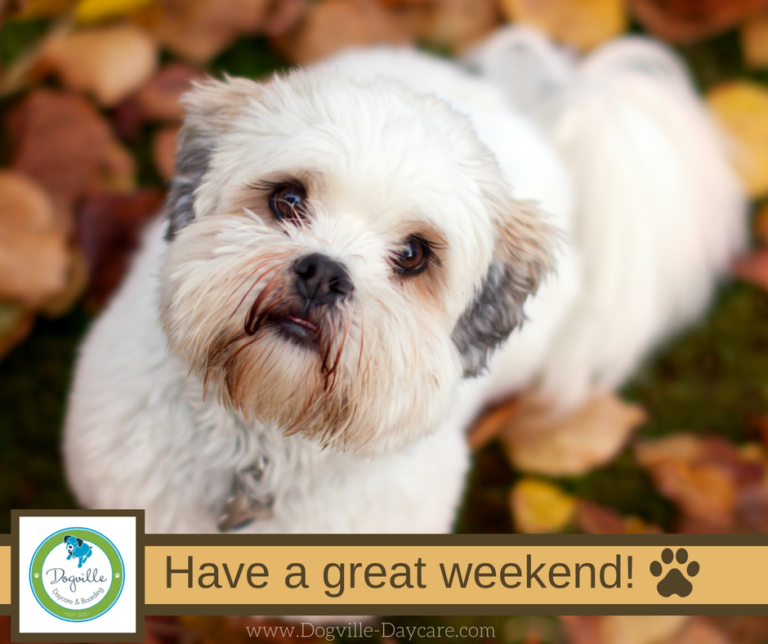 DAYCARE CLOSED THIS WEDNESDAY THRU SATURDAY 11/23/16 TO 11/26/16 FOR BOARDING DOGS! We will be closed for daycare this Wednesday thru Saturday 11/23/16 to 11/26/16, to make room for our boarding dogs. CAUGHT ON CAMERA! 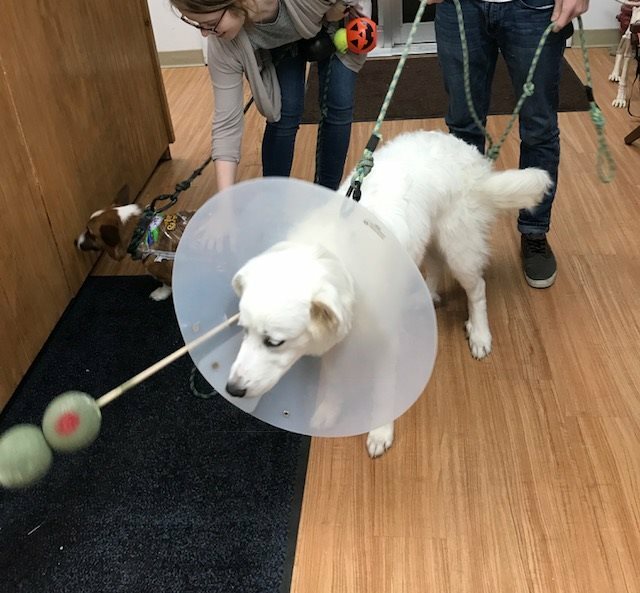 COWBOY IS UP AND ABOUT!! 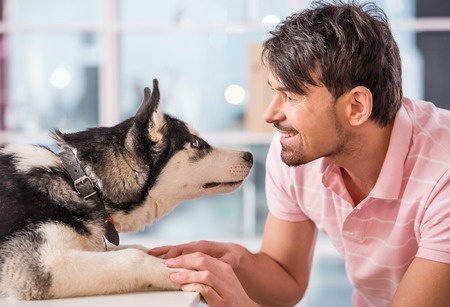 FEATURED ARTICLE: SHARING YOUR LIFE WITH A DOG CAN IMPROVE YOUR LIFE! 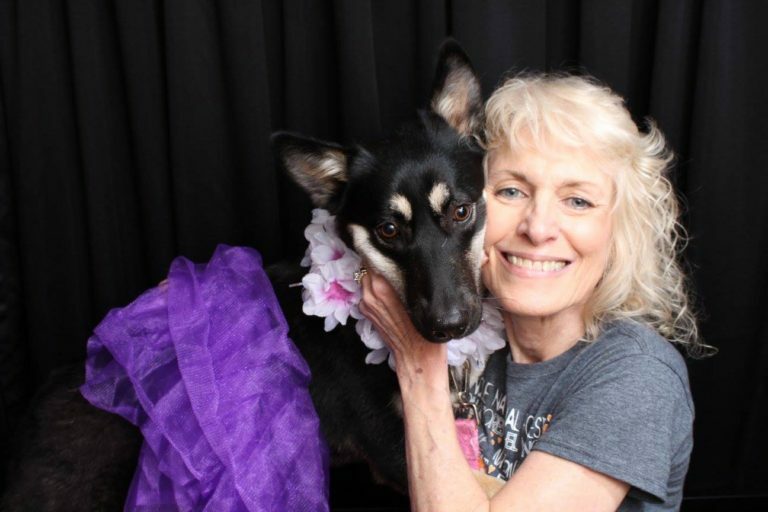 This amazingly beautiful photo was taken at our Dogville Prom earlier in this year. This is a truly precious photo. CAUGHT ON CAMERA! TOBY AND MARSHALL FROLICKING IN THE SNOW! 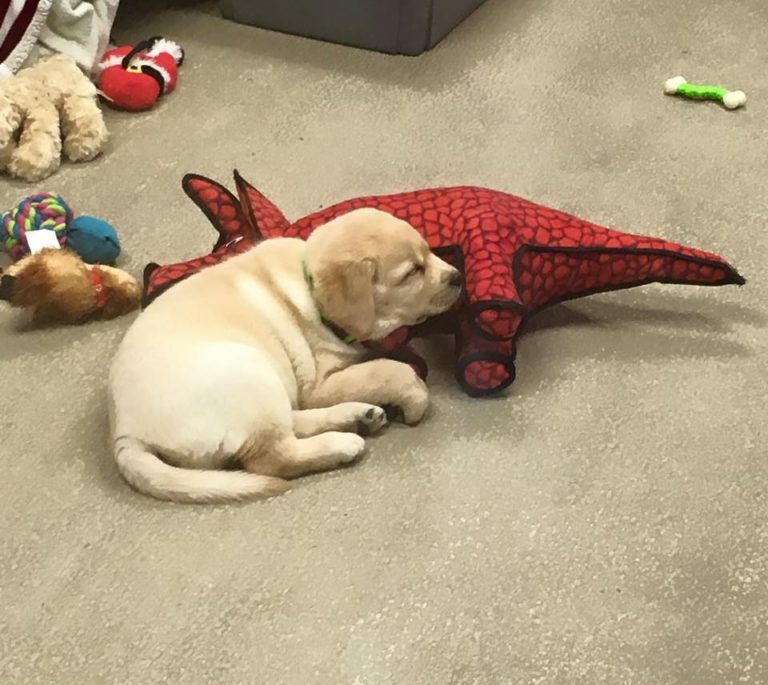 PUP-PHOTO: BABY DOUGLAS TAKES A NAP…WITH A DINOSAUR! We recently celebrated DOUGLAS’ FIRST BIRTHDAY, but here is a super cute photo of him at around 2 months old. DOUGLAS AND IVY CELEBRATE THEIR FIRST BIRTHDAY!! 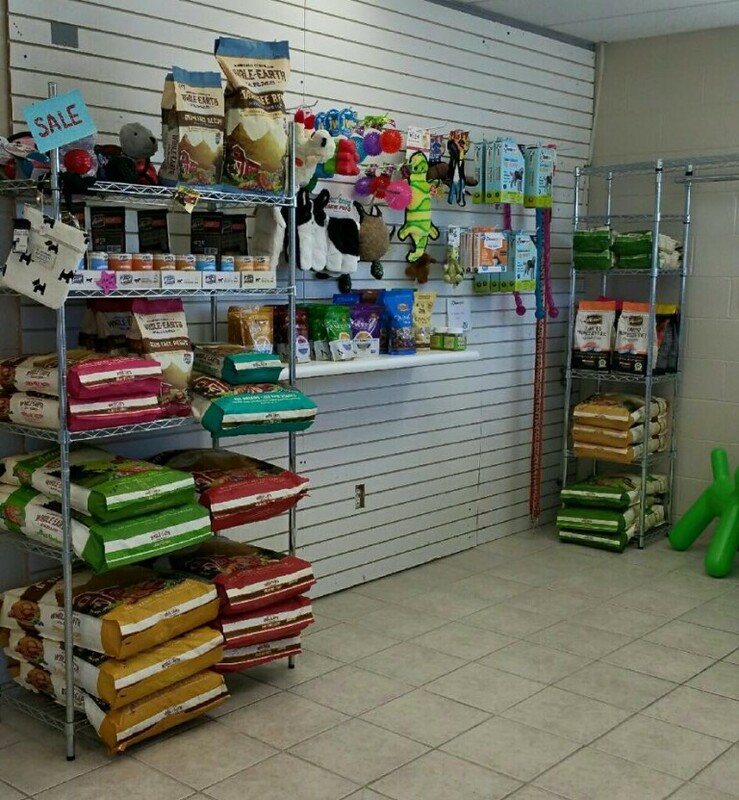 COME BY DOGVILLE AND WISH DOUGLAS A HAPPY FIRST BIRTHDAY!! 4TH ANNUAL HOWL-O-WEEN PAWTY IS TONIGHT!! 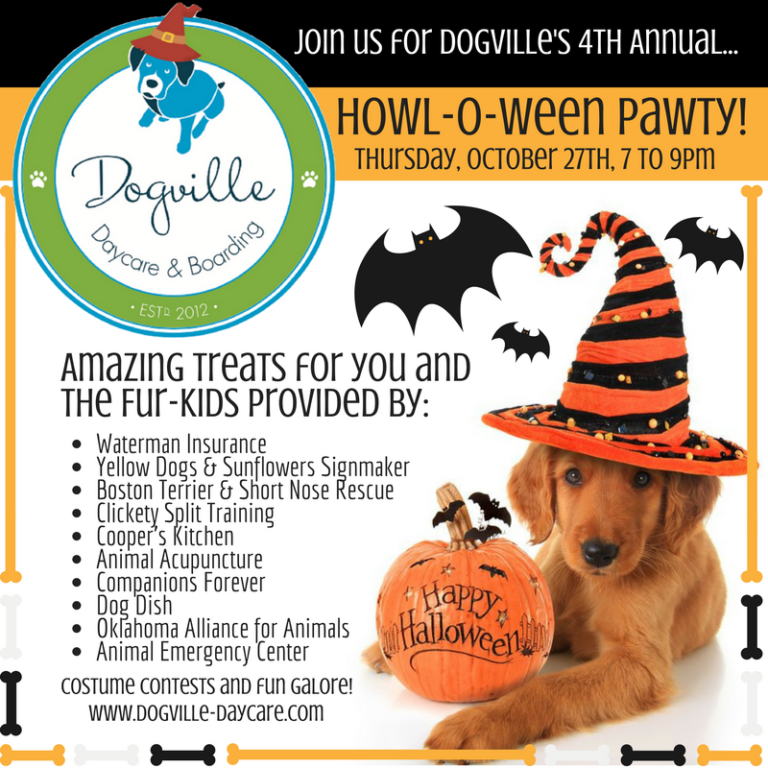 DOGVILLE’S 4TH ANNUAL HOWL-O-WEEN PAWTY IS THIS THURSDAY!! CAUGHT ON CAMERA! SAMMY AND SADIE! 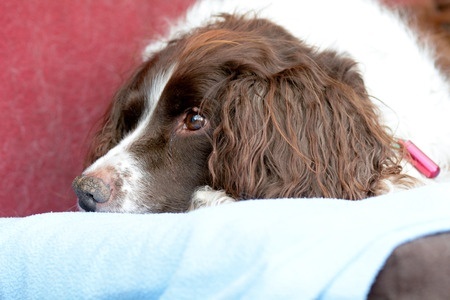 CARING FOR THE GRIEF CARRIED BY YOUR SURVIVING DOGS! 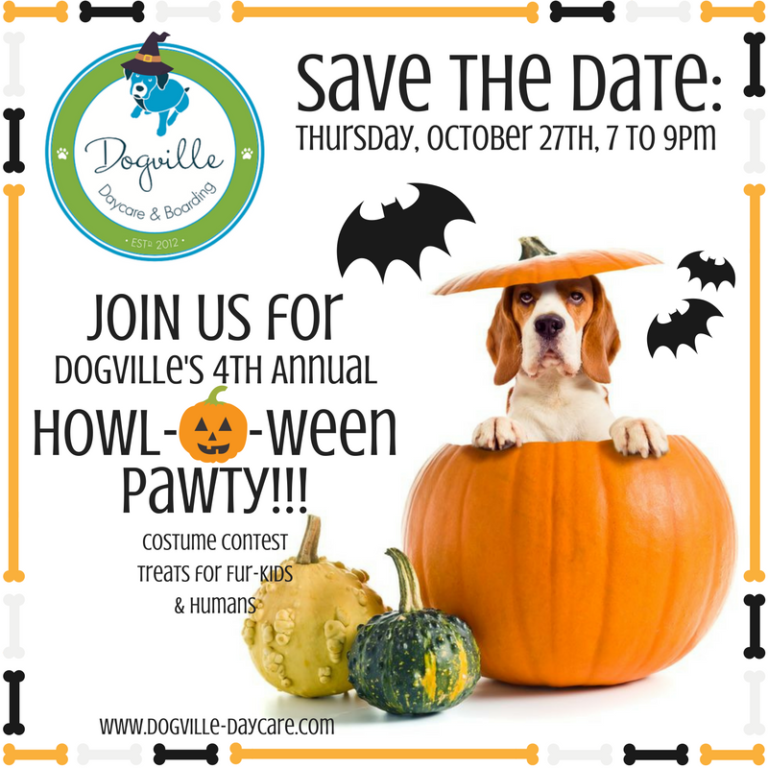 REMINDER: DOGVILLE’S 4TH ANNUAL HOWL-O-WEEN PAWTY IS AROUND THE CORNER!! CAUGHT ON CAMERA! SLICK ‘N SLIDE!! Slick decides that sliding is pretty fun! 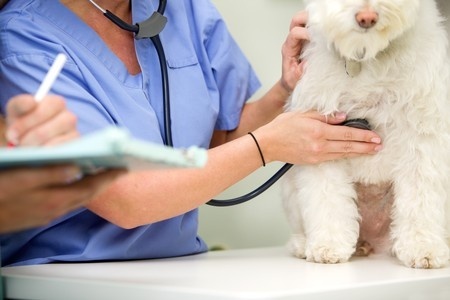 OBESITY IN PETS A GROWING PROBLEM! 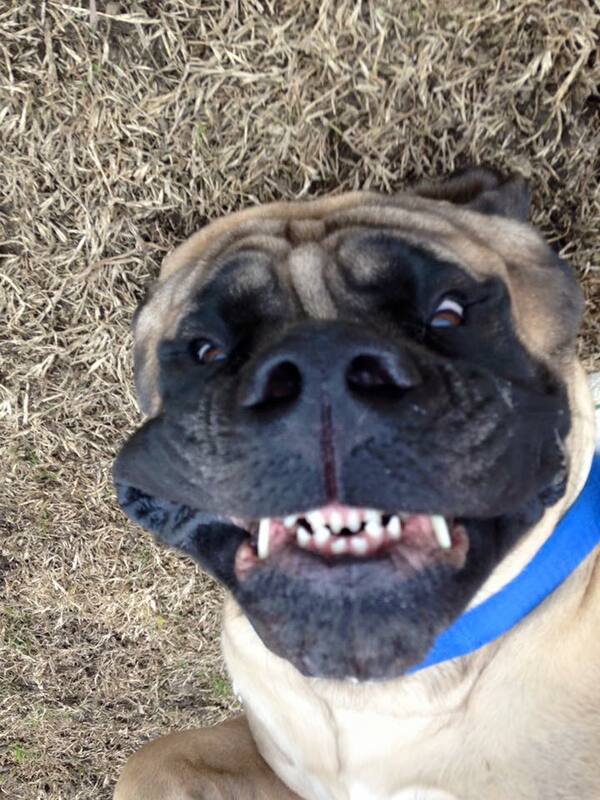 PUP-PHOTO: DRAYK IS A PLAYFUL MASTIFF!! 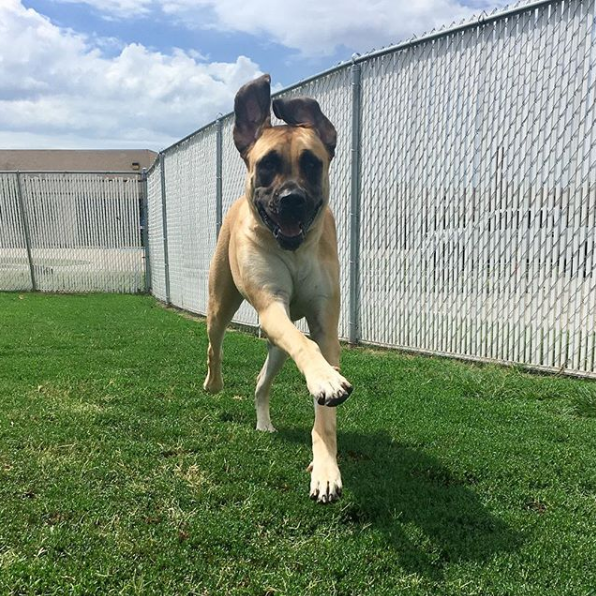 Drayk the Mastiff wanted us to tell you that he loves our 1/2 acre back yard!! CAUGHT ON CAMERA! NEW FRIENDS HAVING FUN!! 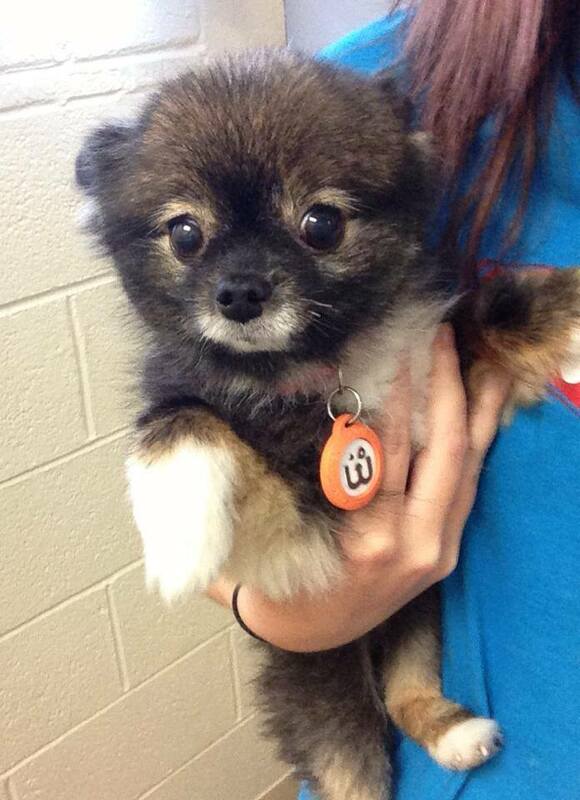 PUP-PHOTO: HER NAME IS LOLA, SHE IS… ADORABLE!! 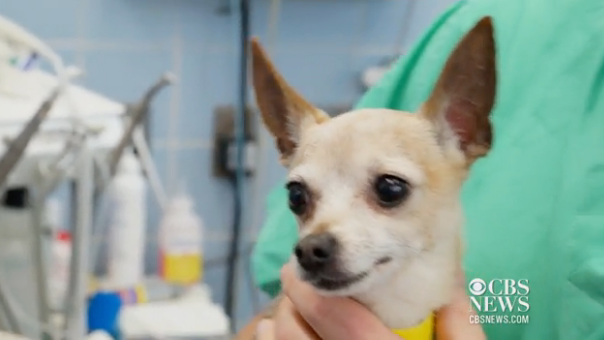 From giant to tiny, we care for all sizes and shapes of dogs–meet Lola! DOGVILLE’S 4TH ANNUAL HOWL-O-WEEN PAWTY IS THREE WEEKS AWAY!! 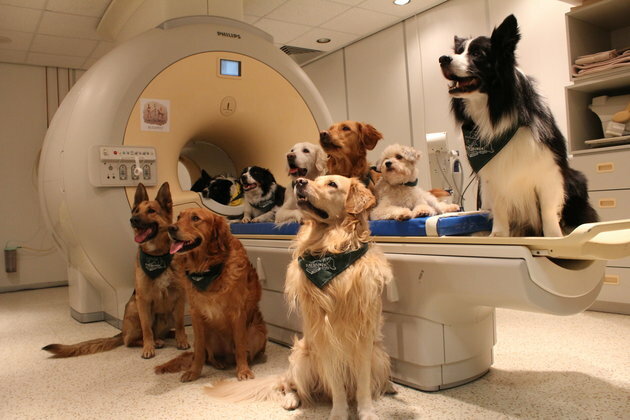 DOG’S CAN UNDERSTAND HUMAN SPEECH A LOT BETTER THAN WE THOUGHT! PUP-PHOTO: SOMETIMES, A HIGHER PERSPECTIVE IS NEEDED…! SAVE THE DATE! 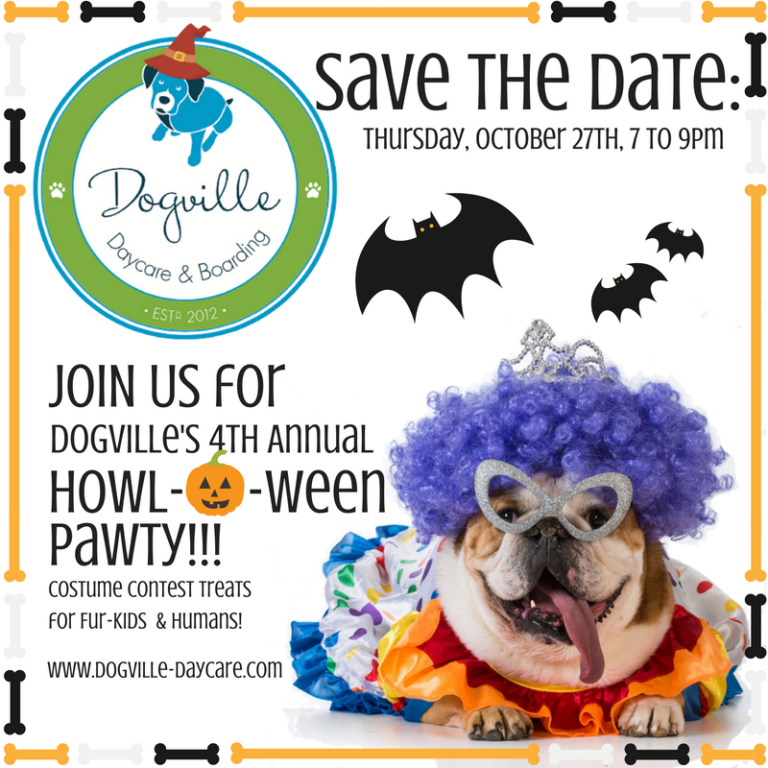 4TH ANNUAL DOGVILLE HOWL-O-WEEN PAWTY!! PUP-PHOTO: SUPER GIRL MAKES AN APPEARANCE!! 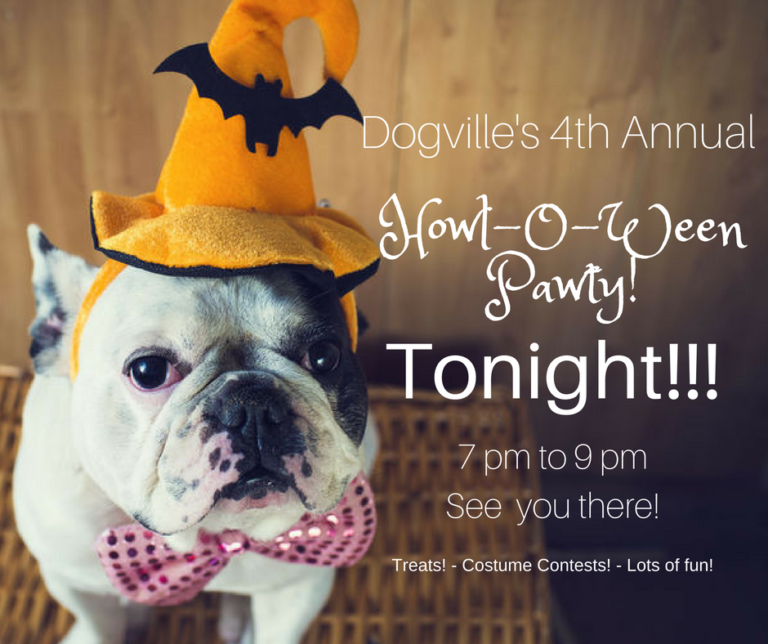 DOGVILLE DAYCARE’S 4TH ANNUAL HOWL-O-WEEN PAWTY!! 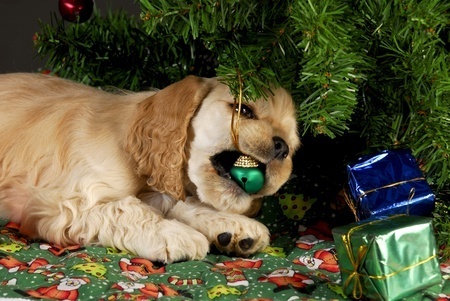 PUP-PHOTO: THIS IS HOW WE ROLL…! 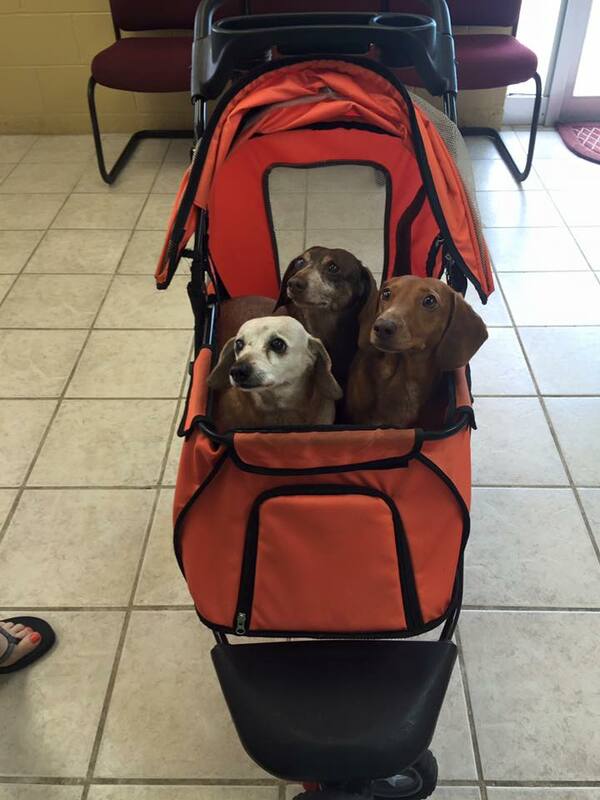 This is how Lucy, Miss Molly and Pistol Pete roll…. aren’t they the cutest crew?! CAUGHT ON CAMERA! ELI’S TURN WITH A NEW TOY!! CAUGHT ON CAMERA! LOVEE LU AND THE WATER TOY! 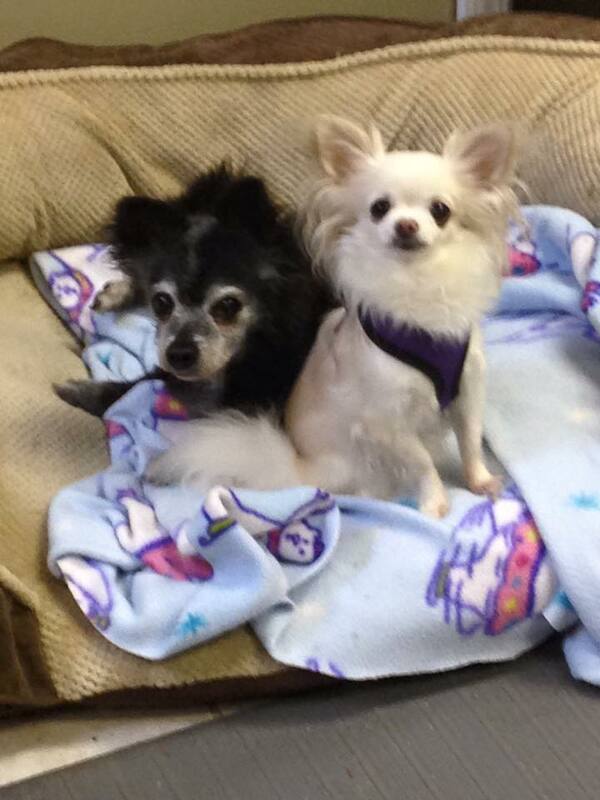 PUP-PHOTO: ANYA IS PRETTY IN PURPLE! Seriously, cute! Anya is very pretty in purple…and all the time! PUP-PHOTO: DOUGLAS FELL ASLEEP ON HIS NOSE FOR A GOOD REASON!! WHY IS DOGVILLE DIFFERENT? 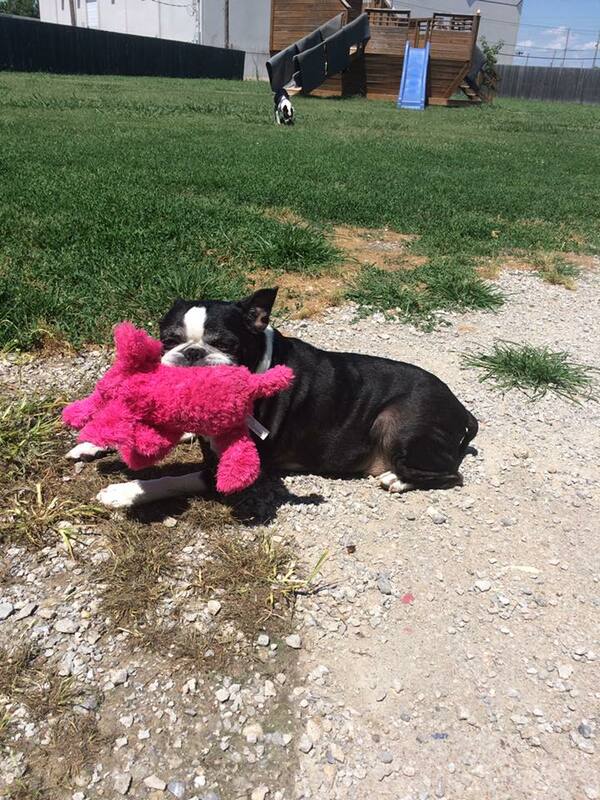 REASON #8: OUR INVOLVEMENT WITH BOSTON TERRIER AND SHORT NOSE RESCUE OF OKLAHOMA! 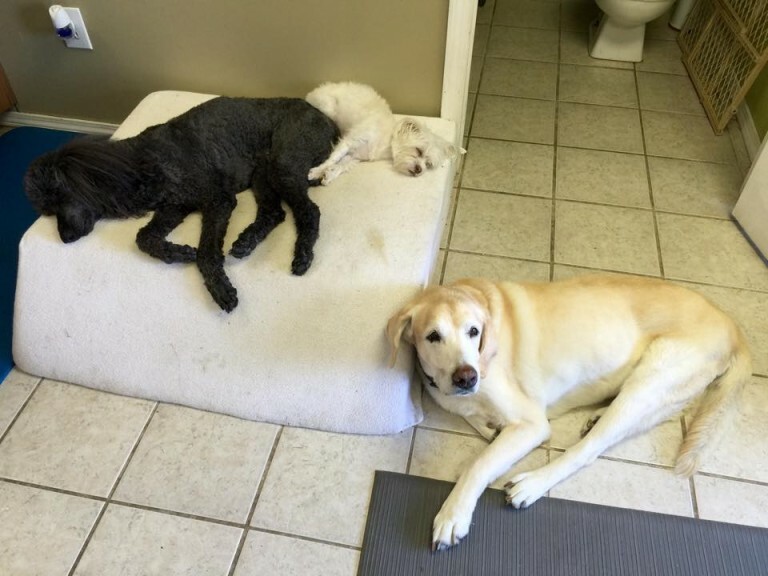 Gus is our 14 year old foster dog–meet his new friend Shalom– Seriously cute! CAUGHT ON CAMERA! SABRA = FISHING PROFESSIONAL! Some summer fun with fishing professional Sabra! 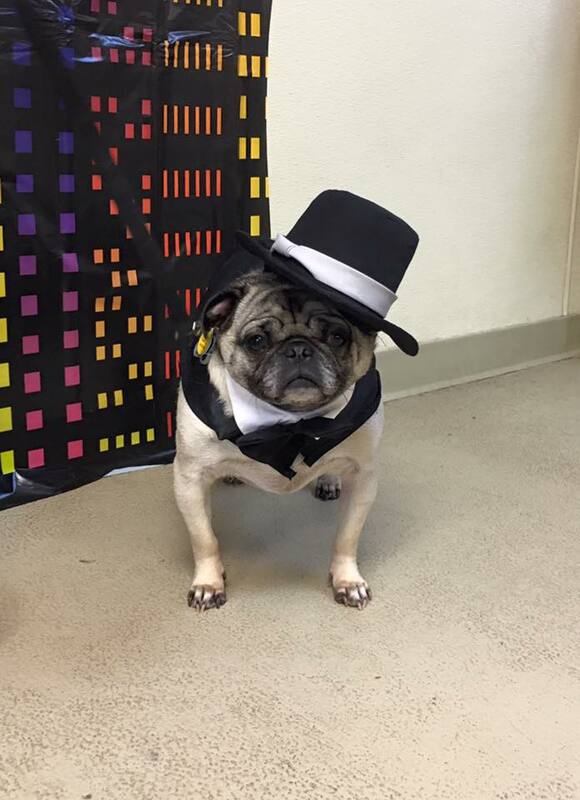 PUP-PHOTO: TUG THE DAPPER PUG! CAUGHT ON CAMERA! A SWARM…OF DOGS…ON A TRAMPOLINE!! 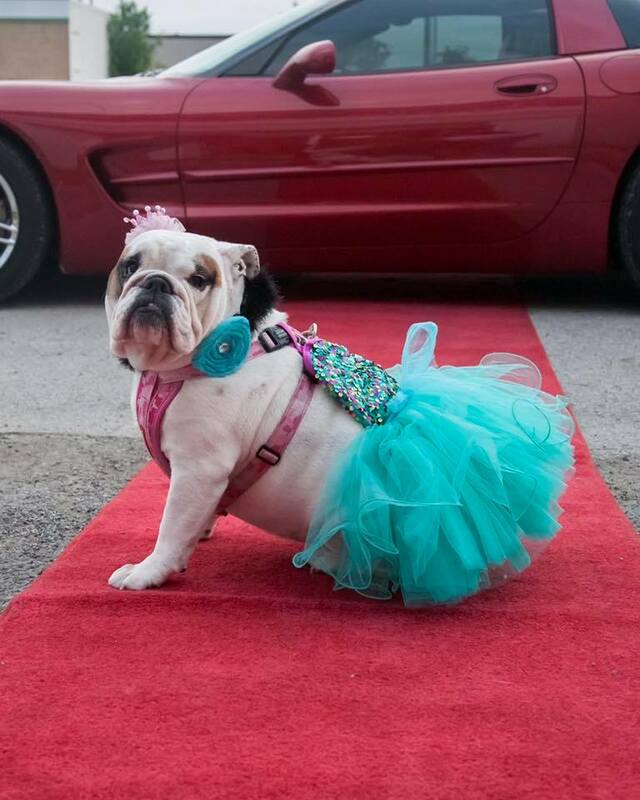 PUP-PHOTO: SWEET GRACIE ON THE RED CARPET! Sweet Gracie came to visit! 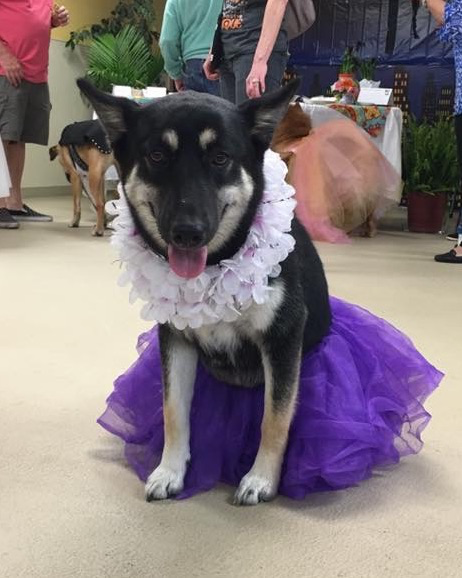 This was taken at our Dogville Prom last year. She is so pretty! CAUGHT ON CAMERA! COULD IT BE LOVE?! WHY IS DOGVILLE DIFFERENT? 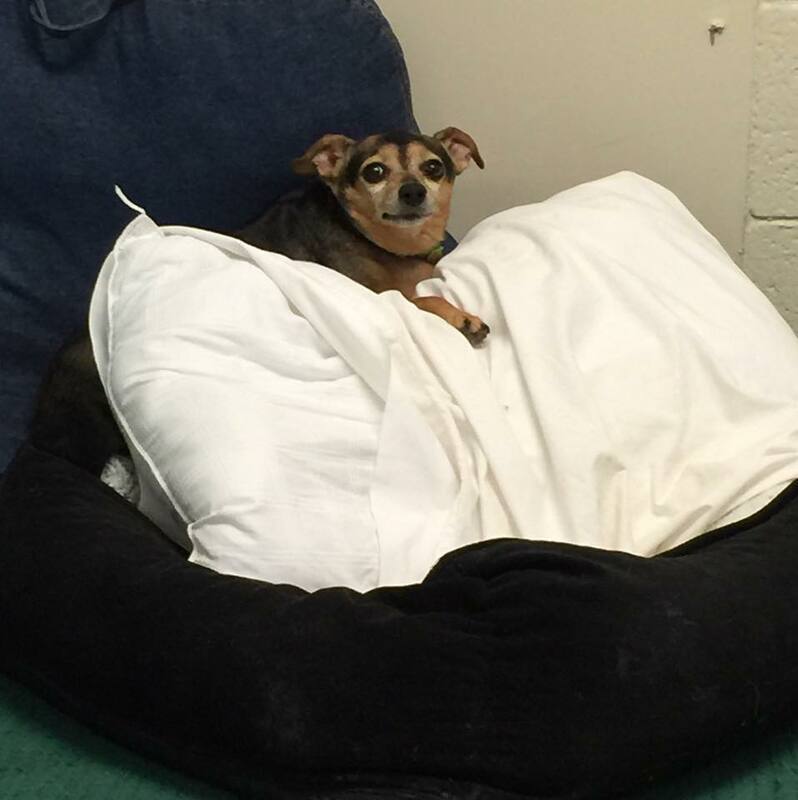 REASON #7: OUR HEART FOR SENIOR DOGS AND SPECIAL NEEDS DOGS! 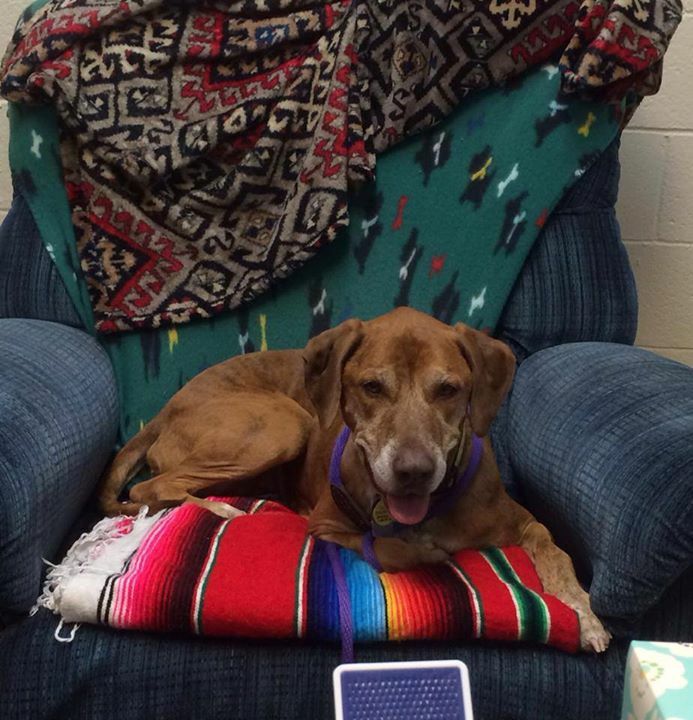 UPDATE ON DOUGLAS: DOGVILLE MASCOT & BELOVED FUR-KID (PUP-PHOTO INCLUDED)! CAUGHT ON CAMERA! BULLDOG SHENANIGANS!! Just having too much fun! Love this video. PUP-PHOTO: GEMMA WANTS TO HELP MAKE THE BED! CAUGHT ON CAMERA! PUPPY SLUMBER PAWTY!! A recent slumber party roll-call! WHY IS DOGVILLE DIFFERENT? 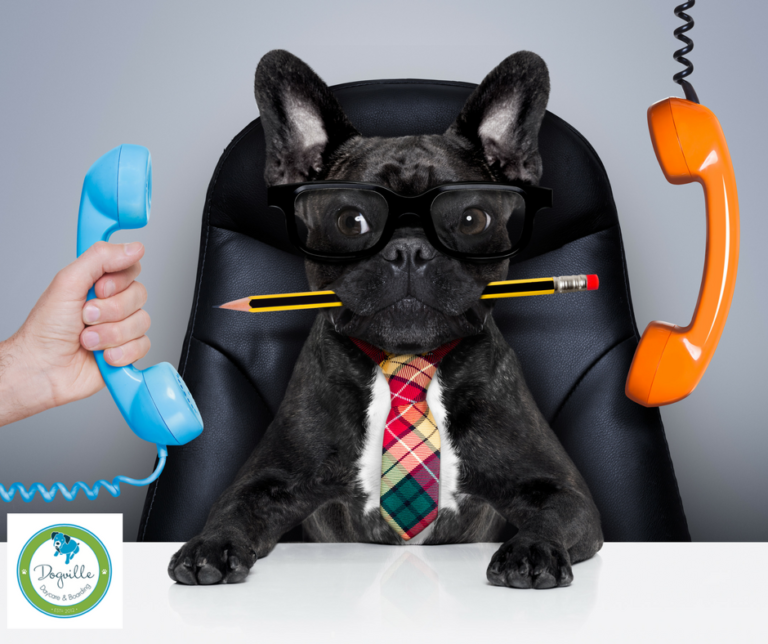 REASON #6: THE VETERINARIAN IS ON SPEED DIAL! 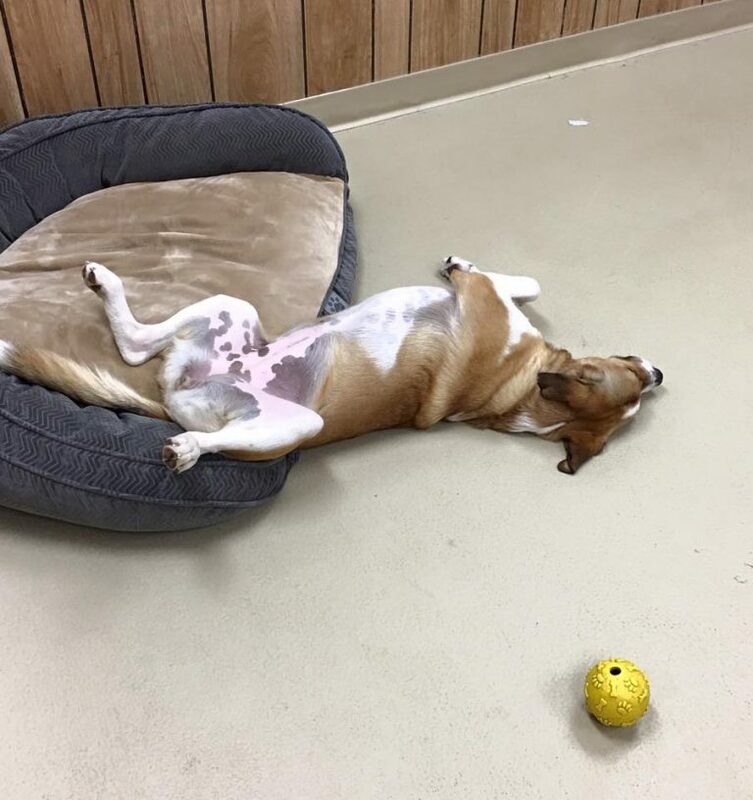 PUP-PHOTO: FLASHBACK TO CHRISTMAS EVE 2015… AVERY IS PASSED OUT!! CAUGHT ON CAMERA! WINSTON CHECKING OUT DOGVILLE’S “COMFORT CARE”! CAUGHT ON CAMERA! HANK SAYS HI!! Hank and I wanted to say hi to his family! 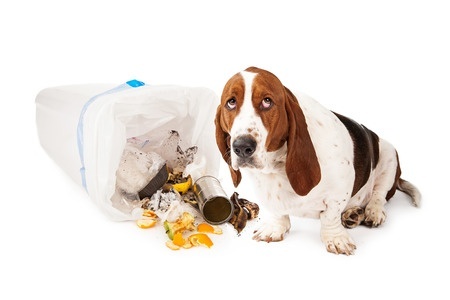 THE 7 FOODS THAT CAUSE THE MOST PET DEATHS! 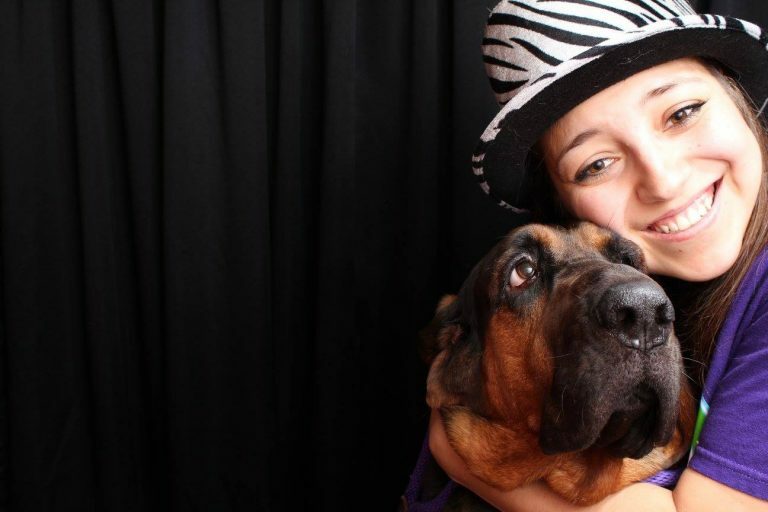 PUP-PHOTO: ELENA & GABBY’S ADORABLE DOGVILLE PROM PHOTO! 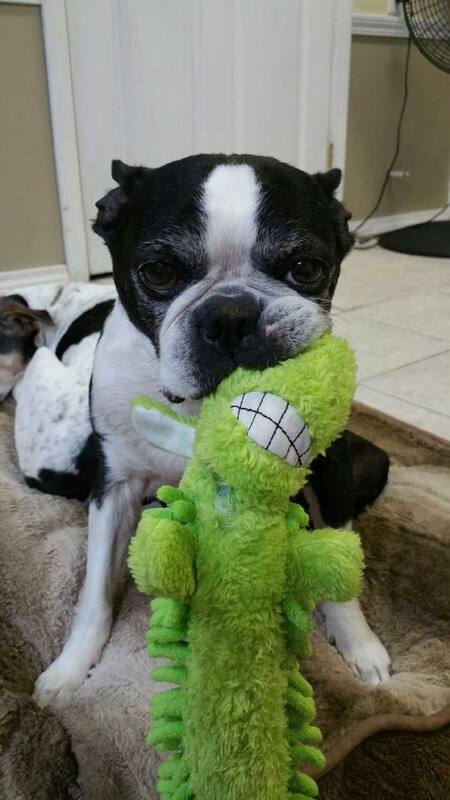 AMAZON WISH LIST FOR BOSTON TERRIER RESCUE OF OKLAHOMA SENIOR PROGRAM! CAUGHT ON CAMERA! PUPPIES DAY OUT! 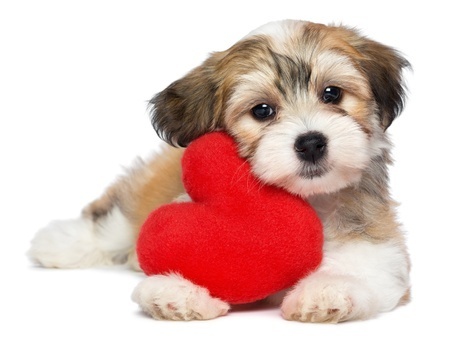 YOUR PET’S HEART IS IN SYNC WITH YOURS! 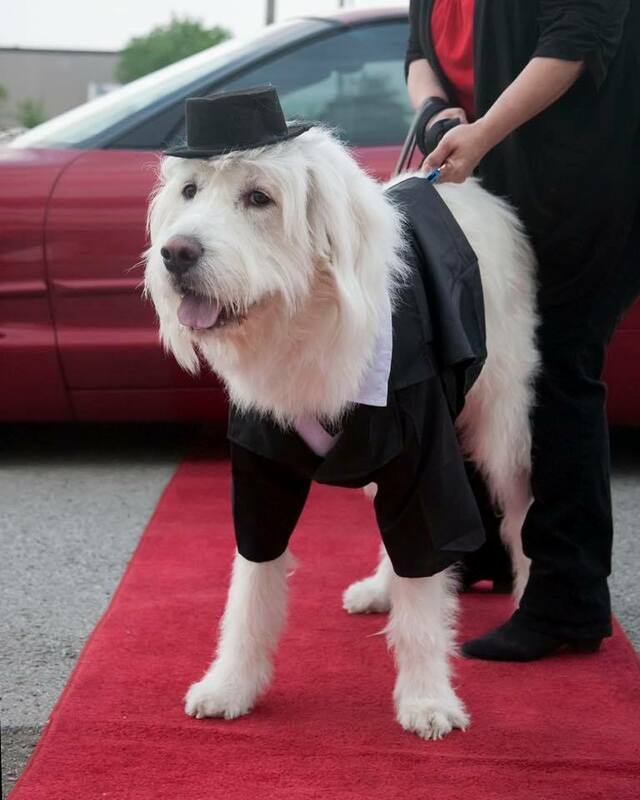 PUP-PHOTO: HANDSOME TOBY ENTERS THE PROM! 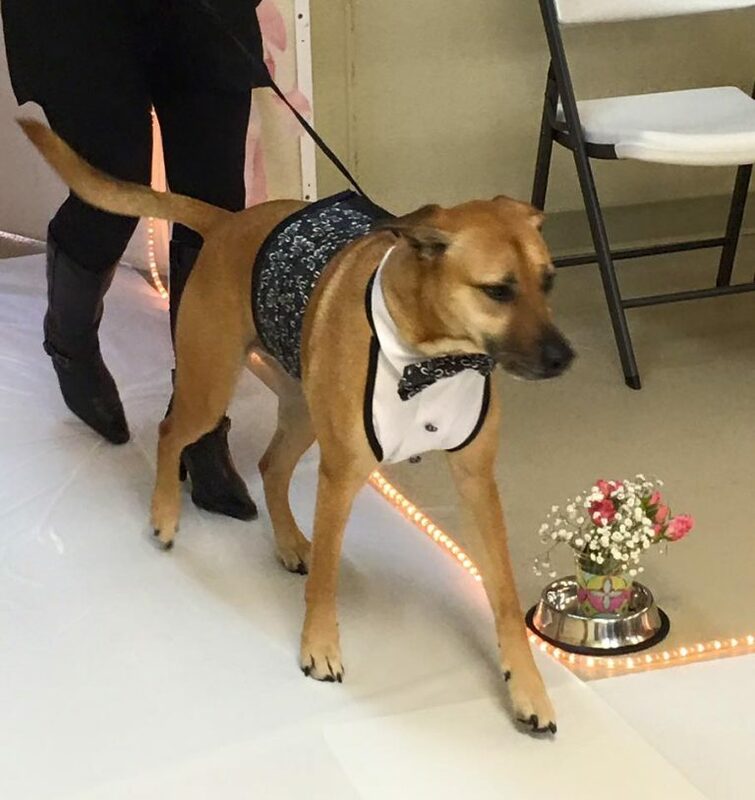 Check out this handsome fella’ entering into last month’s Dogville Prom. Toby knows how to make an entrance! CAUGHT ON CAMERA! PIRATE SHIP SHENANIGANS!! WHY IS DOGVILLE DIFFERENT? REASON #4: ATTENTION TO DETAIL AT DAYCARE! 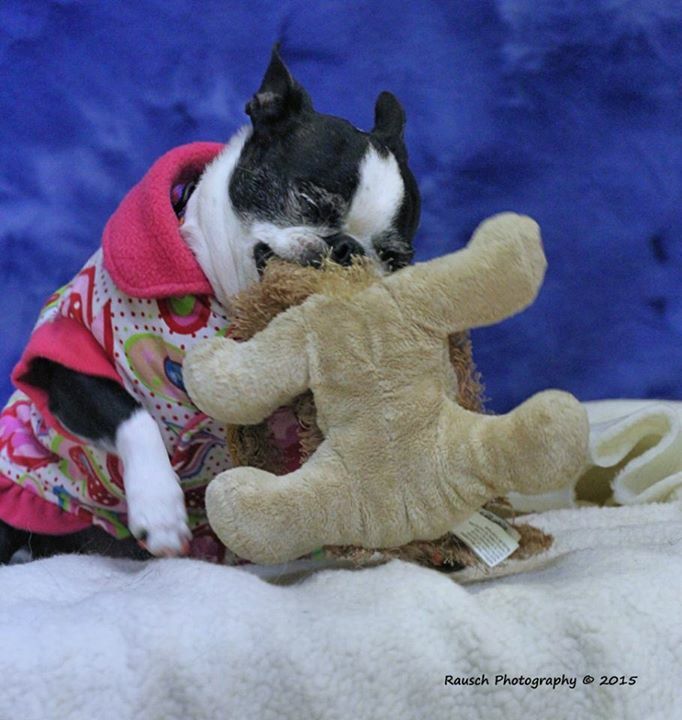 DOGVILLE PARTNERING WITH BOSTON TERRIER RESCUE OF OKLAHOMA SENIOR PROGRAM! CAUGHT ON CAMERA! 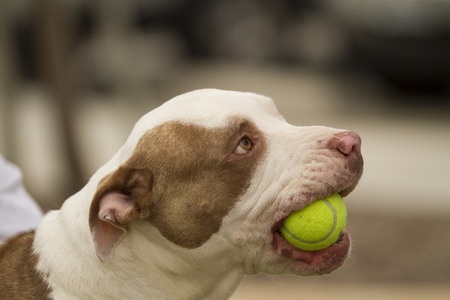 ONE WAY OR ANOTHER, WE WILL BE PLAYING BALL TODAY…! 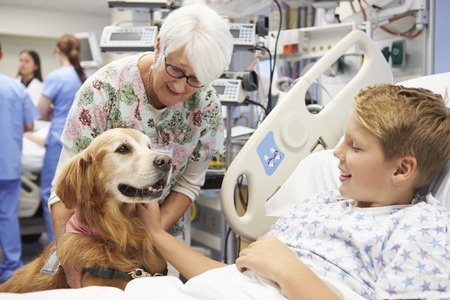 WHAT IS HOSPICE CARE FOR PETS?! 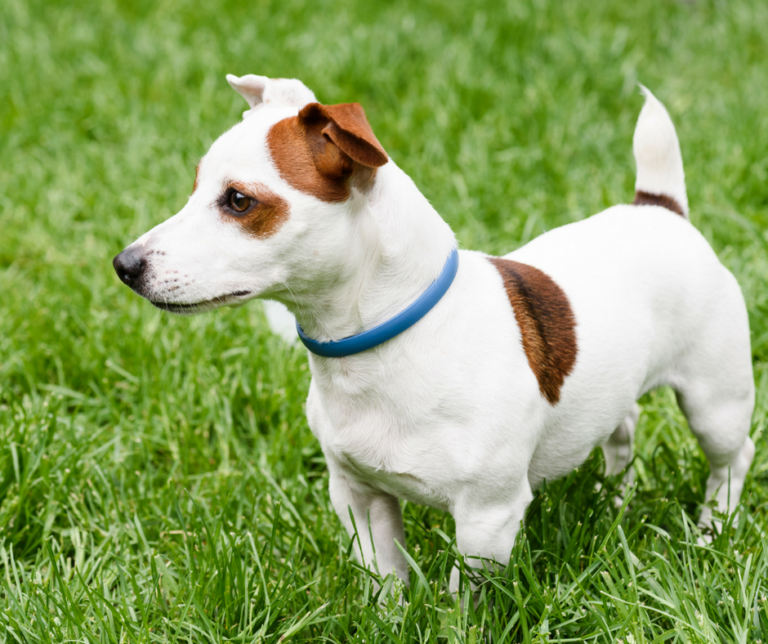 25 POISONS TO KEEP AWAY FROM YOUR PET! WHY IS DOGVILLE DIFFERENT? REASON #3: SPECIAL CARE & SAFETY PROTOCOLS DURING SEVERE WEATHER! 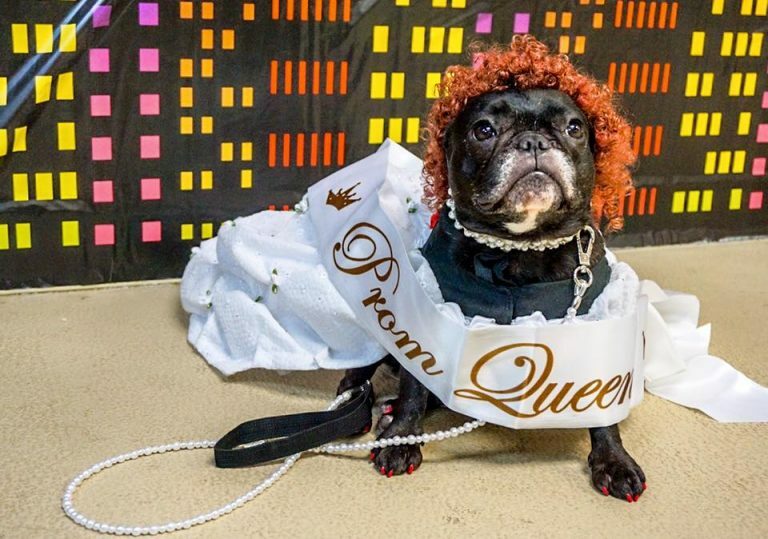 PUP-PHOTO: MEET THE DOGVILLE 2016 PROM QUEEN, BELLA ROSE!! 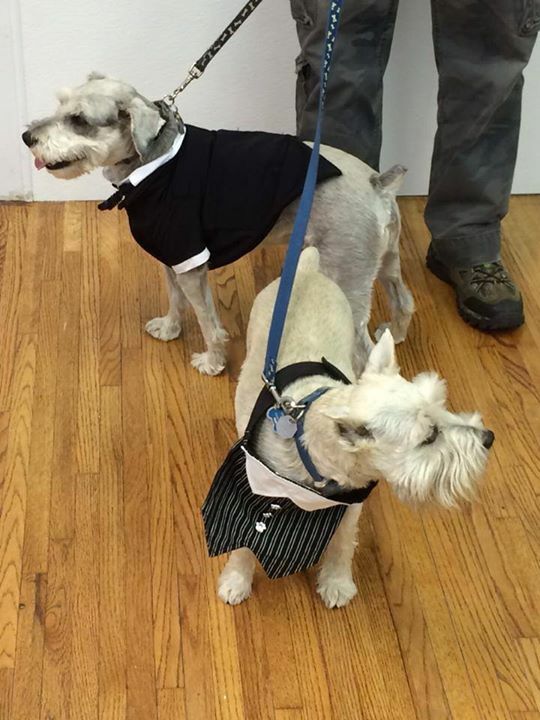 PUP-PHOTO: GETTING PUMPED ABOUT THE THIRD ANNUAL DOGVILLE PROM!! WHY IS DOGVILLE DIFFERENT? REASON #2: STAFF SUPPORT 24/7! 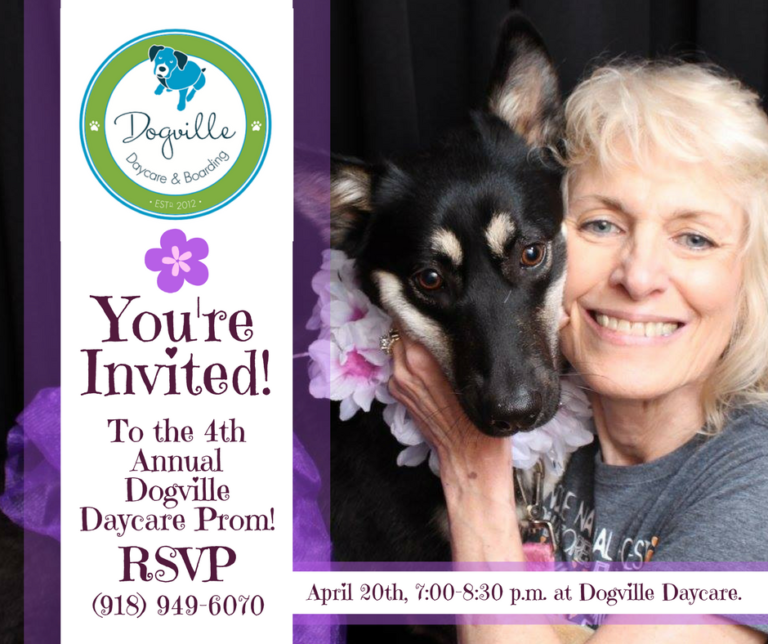 YOU’RE INVITED TO “AN EVENING IN THE GARDEN” – THE THIRD ANNUAL DOGVILLE PROM!! 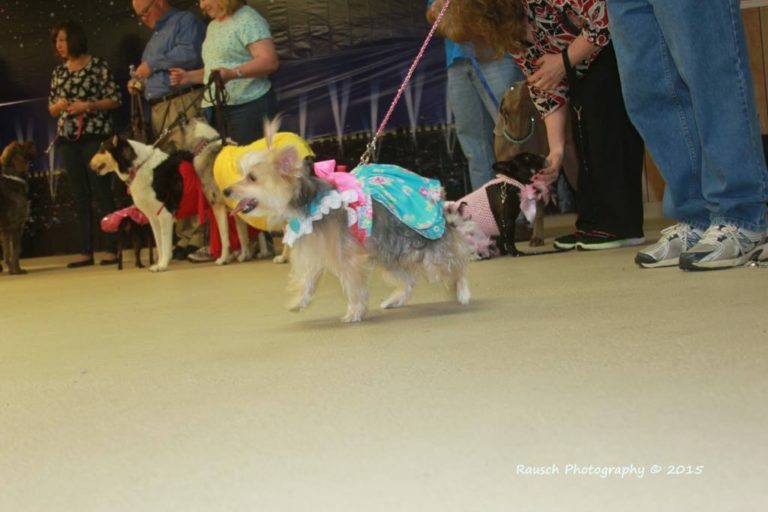 PUP-PHOTO: THE DOGVILLE FASHION SHOW!! CAUGHT ON CAMERA! “MABEL’S HONEST RESPONSE TO ‘DO YOU WANT TO GO TO DOGVILLE?'”! WHY IS DOGVILLE DIFFERENT? REASON #1: DAILY BOARDING ROUNDS! CAUGHT ON CAMERA: FRENCH BULLDOG SLUMBER PARTY! 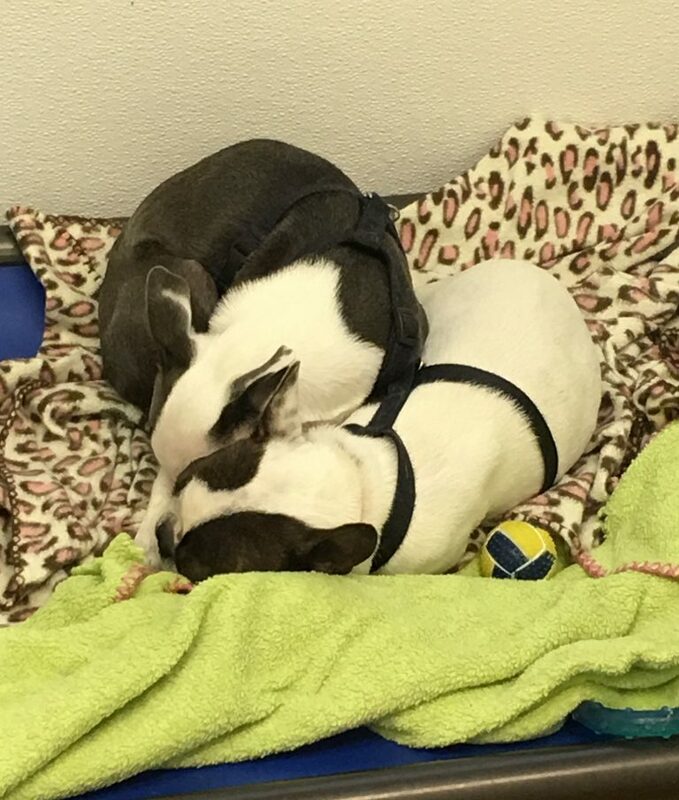 French bulldog slumber party at the daycare…or…Lovee has a boyfriend!! 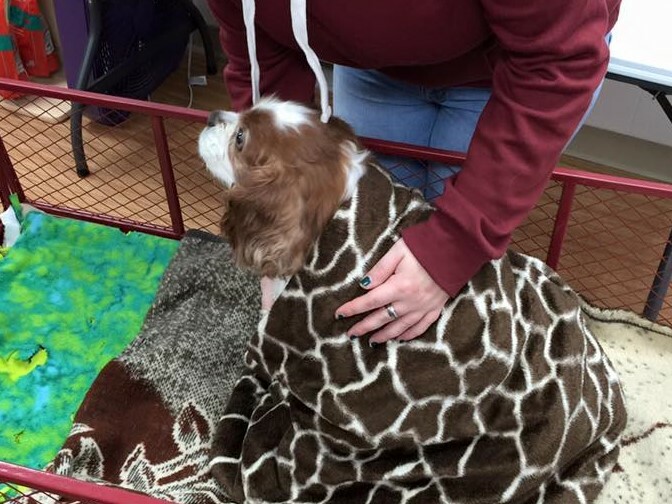 COMPASSIONATE CARE FOR PETS: WHY SOME ANIMAL LOVERS ARE TURNING TO HOSPICE! 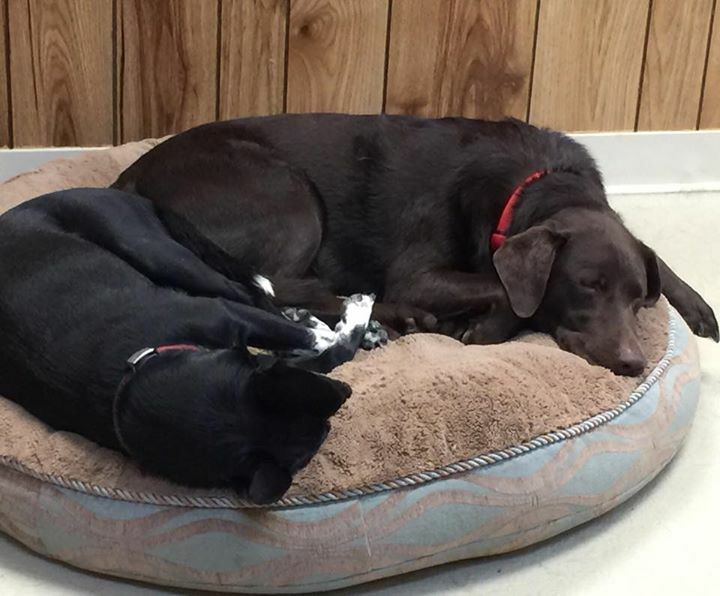 PUP-PHOTO: DAPHNE & RUBY ARE TUCKERED OUT!! Daphne and Ruby after a hard day of playing–no, they aren’t from the same family, but they are BFF’s. 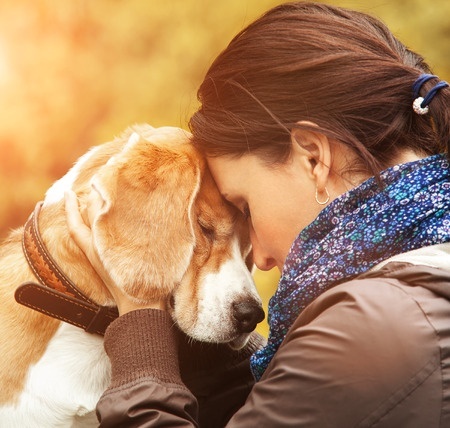 PET BEREAVEMENT DAYS’ NOW OFFERED BY SOME U.S. COMPANIES! 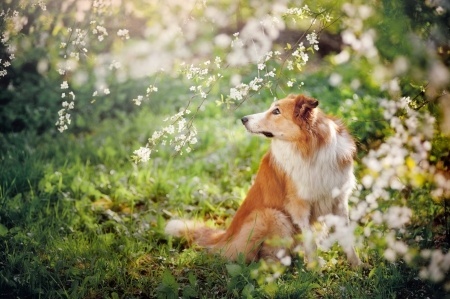 PUP-PHOTO: CUTEST PAIR OF COLLIE-FLOWERS…! 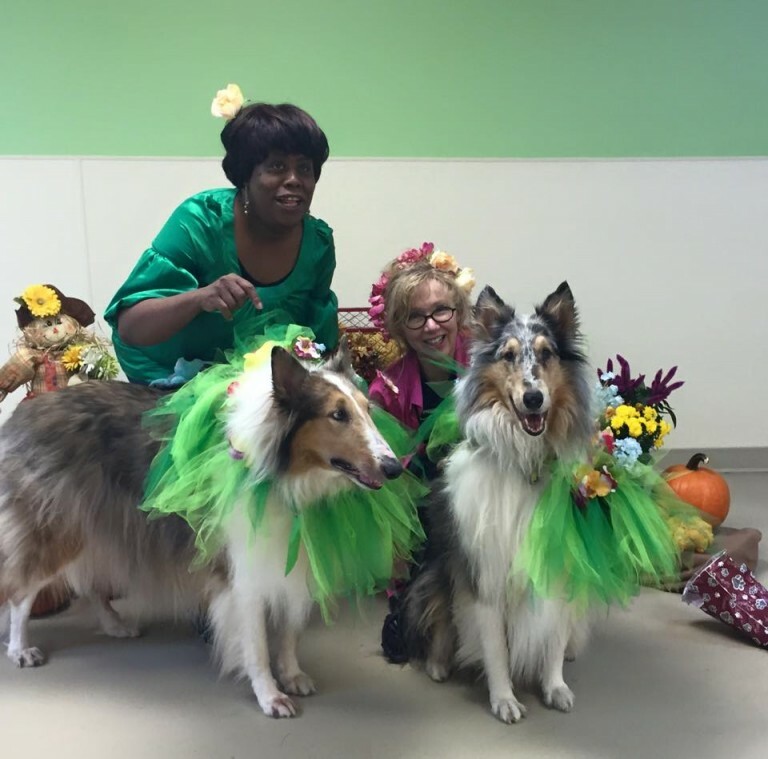 The winner of our Most Beautiful costume contest at last year’s Howl-O-Ween Pawty were these delightful Collie-Flowers!! 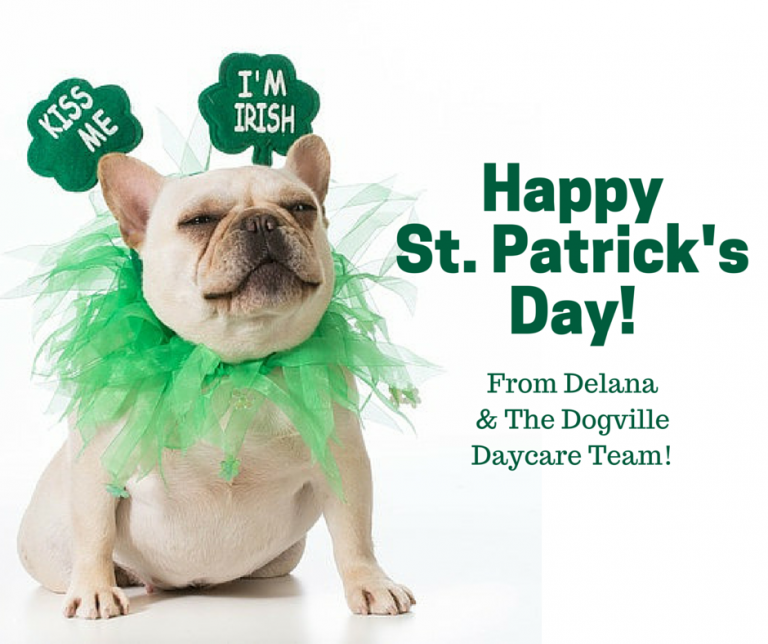 Happy St. Patrick’s Day from Delana and the Dogville Daycare Team! 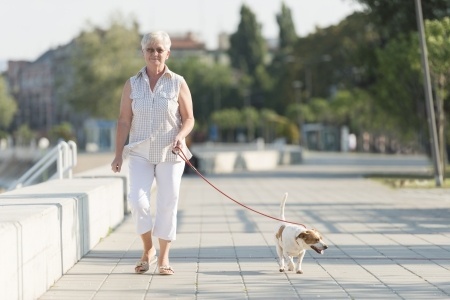 DOG OWNERSHIP CAN LEAD TO BETTER SENIOR HEALTH! 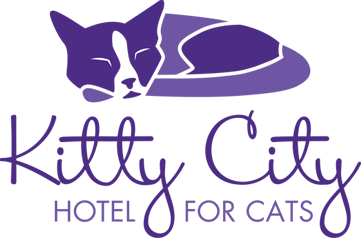 ANNOUNCEMENT: DAYCARE SERVICES ON SPRING BREAK FROM MARCH 12TH TO MARCH 19TH, 2016! 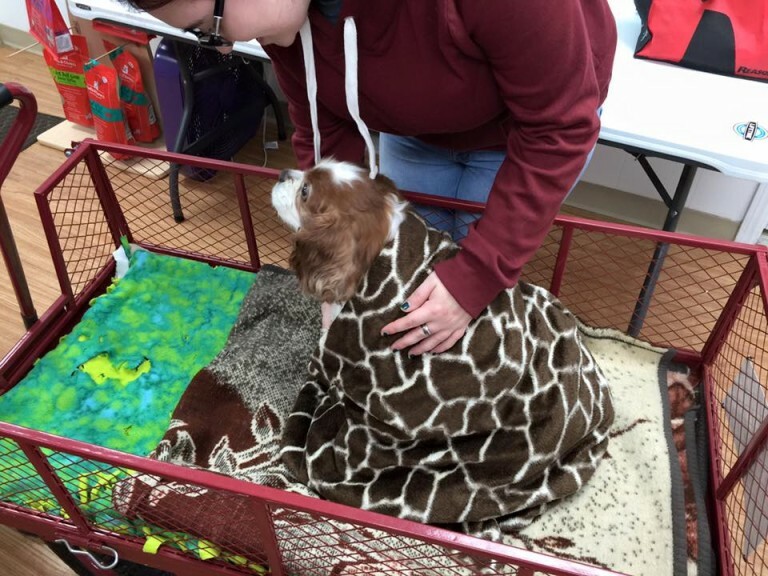 TURNING YOUR PET INTO A THERAPY DOG! 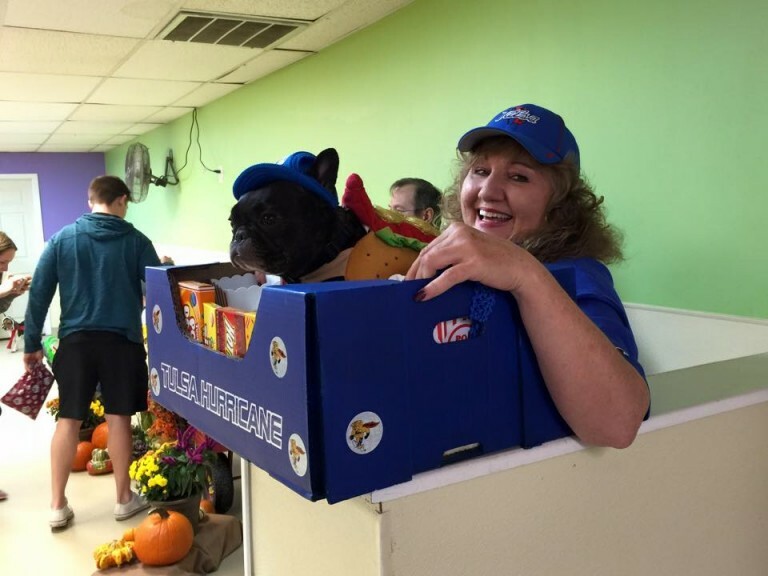 At our Howl-O-Ween Pawty last year Bella Rose came as a hot dog in a ballgame vendor box– So cute! CAUGHT ON CAMERA! SUMMER MEMORIES…! 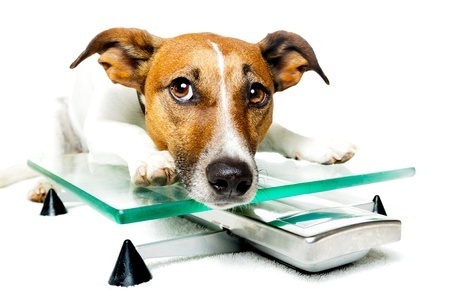 DOES YOUR CAT OR DOG NEED TO GO ON A DIET?! 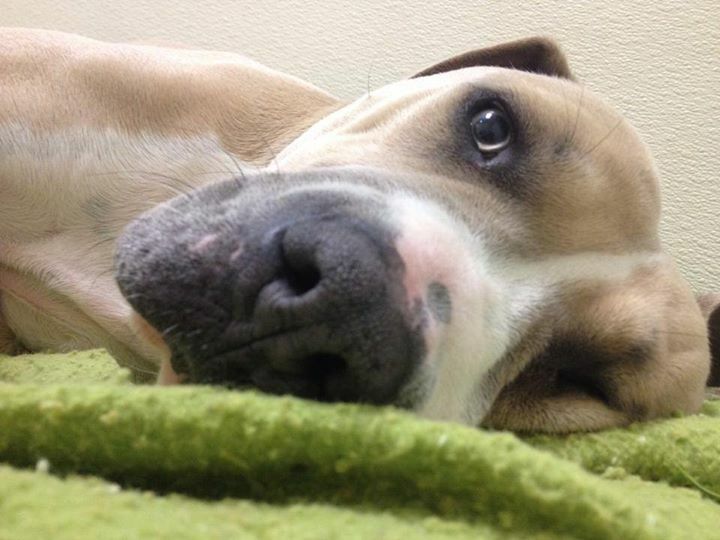 PUP-PHOTO: WHERE DOES DOUGLAS GET HIS BEAUTY & CHARM?! From his Mom Francie of course! Here she is right after welcoming DOUGLAS and his siblings into the world. CAUGHT ON CAMERA! THE CUTEST FEEDING TIME EVER!! 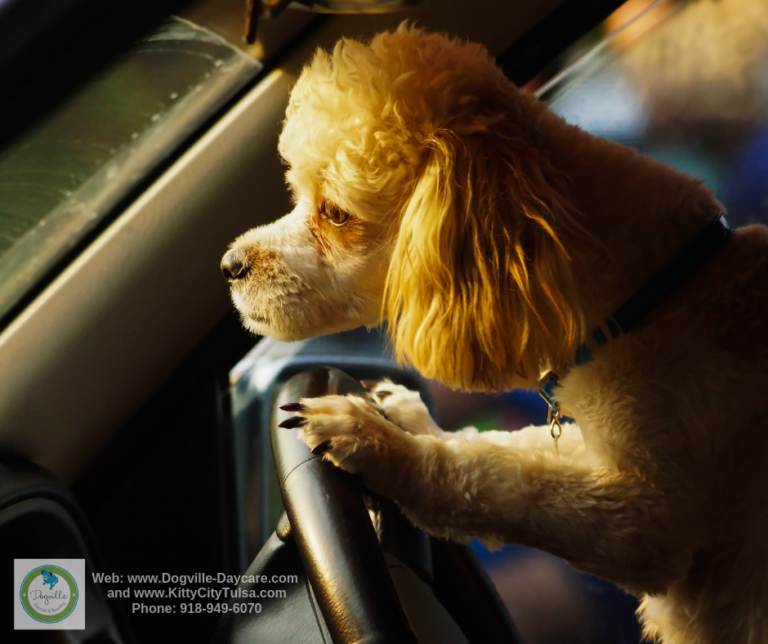 HELPING YOUR DOG CROSS THE BRIDGE: HOW TO ASSESS YOUR DOG’S QUALITY OF LIFE! 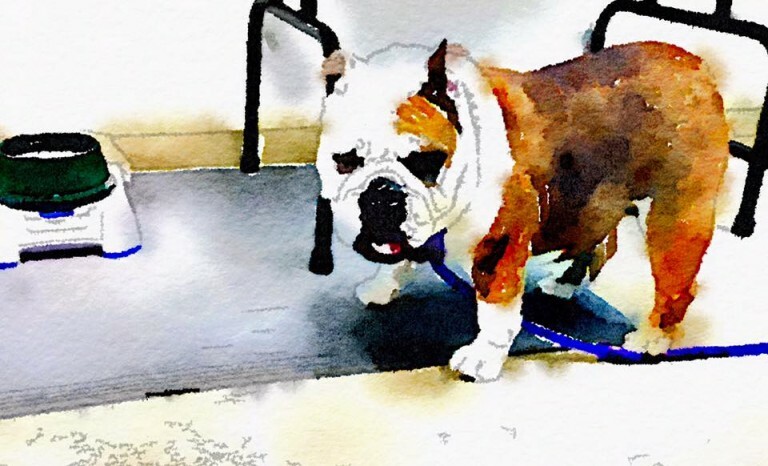 PUP-PHOTO: “BETTY THE BULLDOG IN WATERCOLOR”! CAUGHT ON CAMERA! 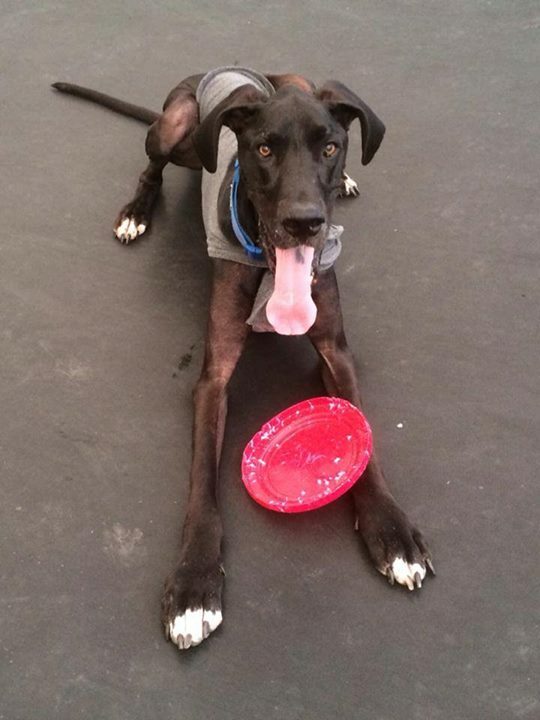 DOUGLAS BEING CUTE IN OBEDIENCE CLASS…! 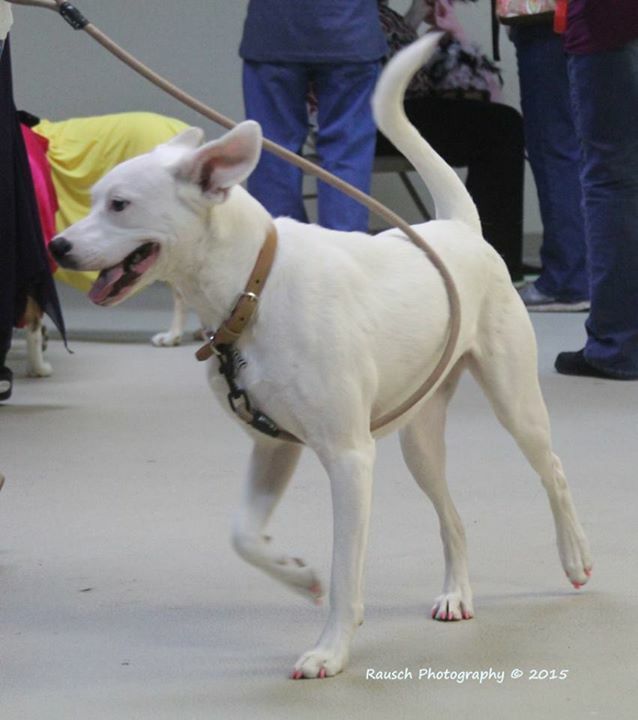 I’m sneaking up on Douglas and Shayla’s first obedience class–they are doing great! CAUGHT ON CAMERA! MADDIE & HANNAH PLAYING…! 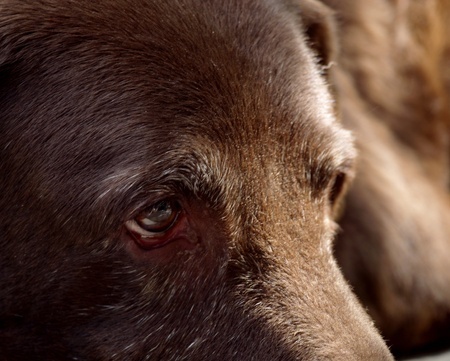 SIGNS OF PAIN AND DISCOMFORT IN OLDER DOGS! PUP-PHOTO: GOING THE EXTRA MILE…! 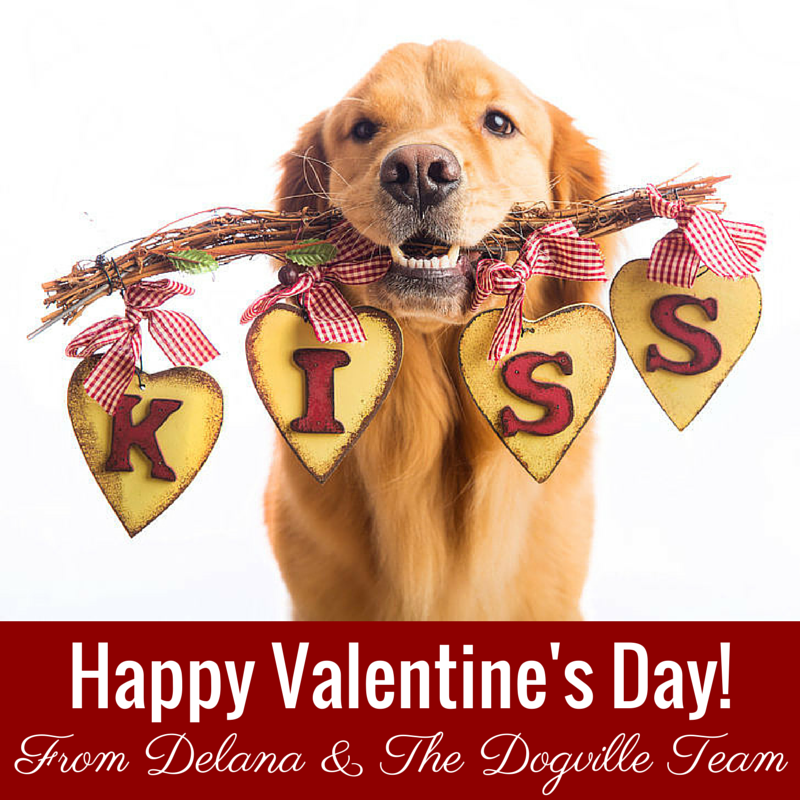 FEBRUARY PROFESSIONAL GROOMING OFFER & VALENTINE’S DAY PHOTO SHOOT!! CAUGHT ON CAMERA! THE CANINE CASANOVA! 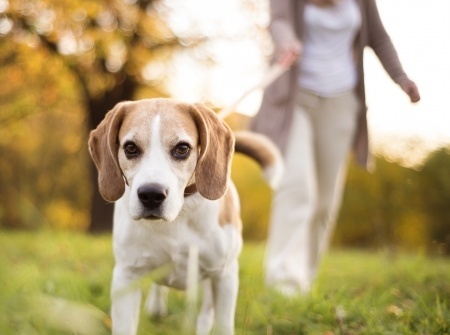 THE TRUTH BEHIND THE “DOG YEARS” FORMULA! 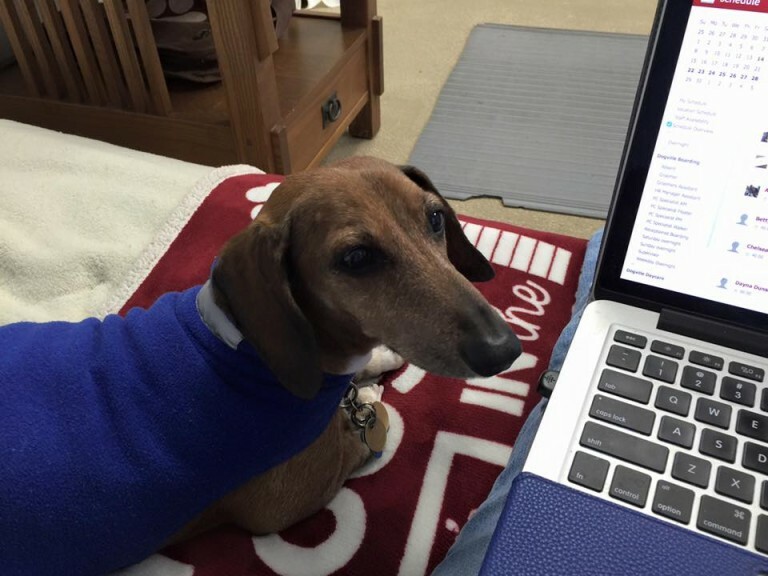 PUP-PHOTO: BECKER THE WONDER DOG’S SUPER POWER…STAFF SCHEDULING! CAUGHT ON CAMERA: PLAYFUL PUPPY!! 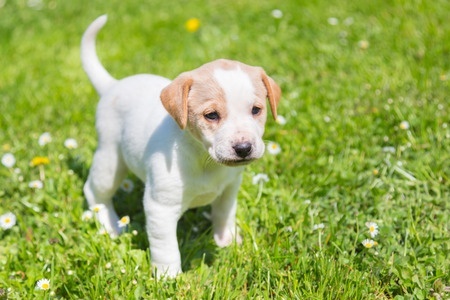 PUPPY BASICS 101 – HOW TO CARE FOR YOUR NEW DOG! 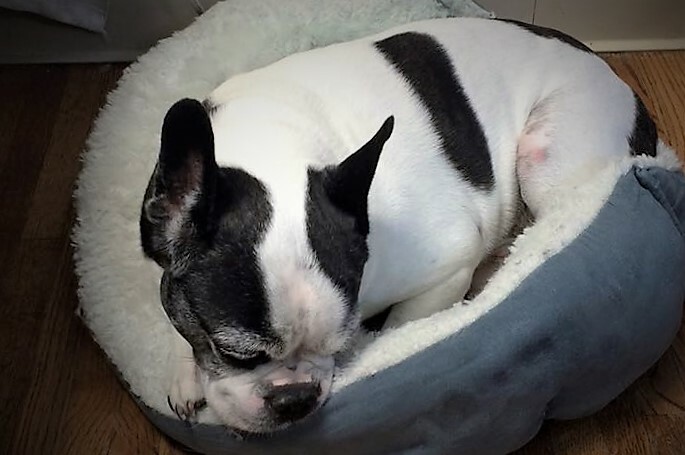 “INSOMNIA IN SENIOR DOGS” BY DR. JULIE BUZBY, DVM! 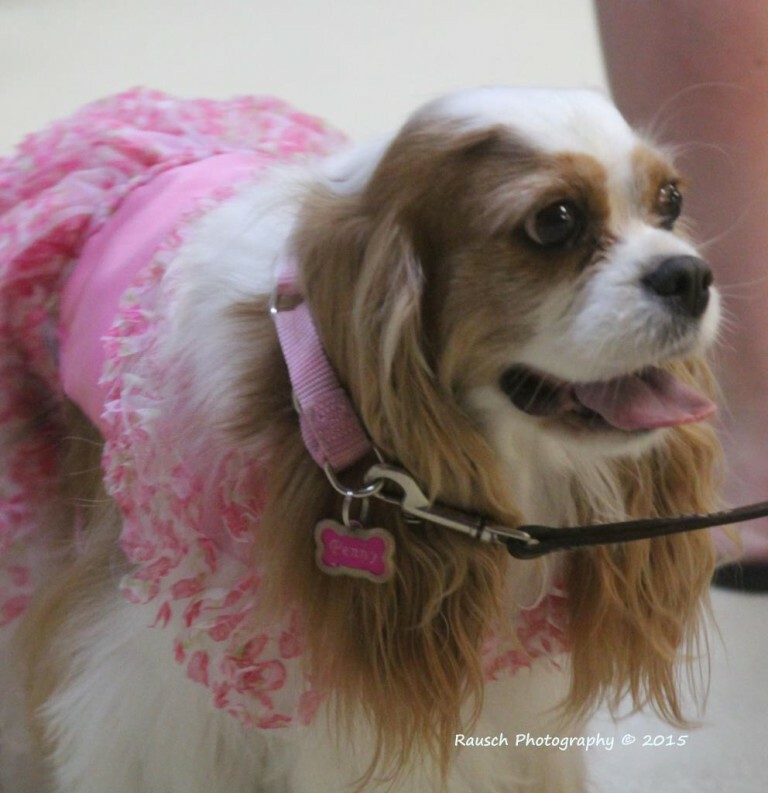 PUP-PHOTO: “PRETTY IN PINK PENNY”! 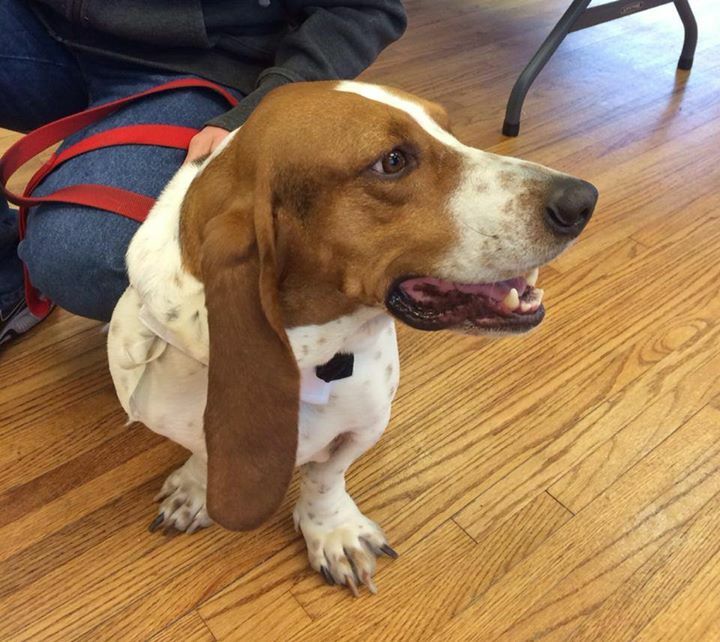 MEET THE NEW DOGVILLE MASCOT, DOUGLAS!! All puppy, all boy and simply adorable! 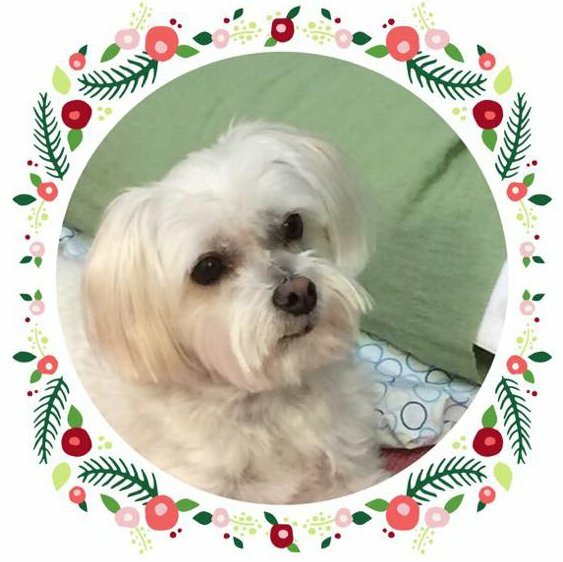 PUP-PHOTO: IT’S A COCO CHRISTMAS!! 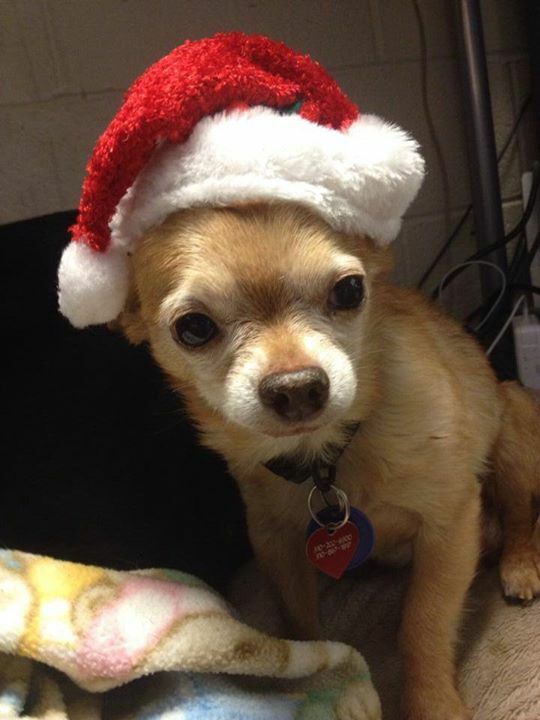 Coco wants to wish his parents and all of you a very Merry Christmas! DOGS PLAYING WITH THEIR SHADOWS (VIDEO)! 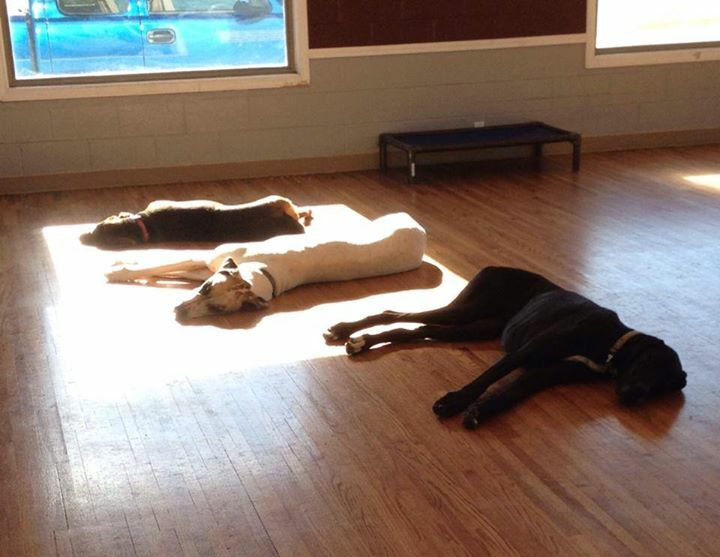 This so cute; dogs playing with their shadows! We wanted to share a bit of fun with you today. Enjoy! 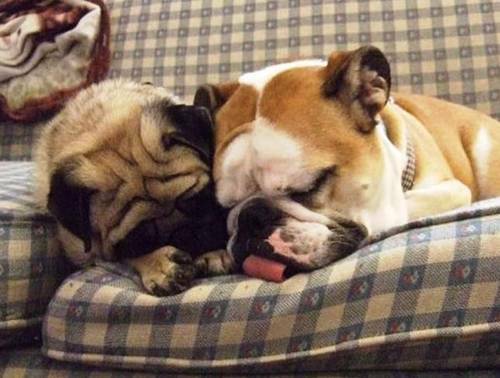 PUP-PHOTO: SHHHHHH… IT’S NAP TIME…! CAUGHT ON CAMERA! JOSIE COULD BE IN THE CIRCUS…! 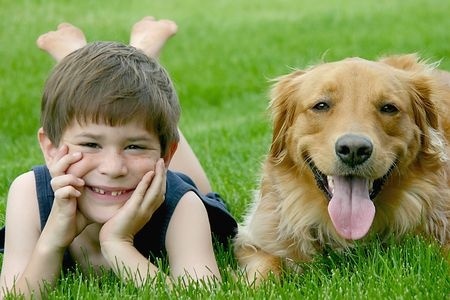 KIDS WITH DOGS ARE LESS LIKELY TO HAVE ASTHMA, STUDY SAYS (FEATURED ARTICLE)! 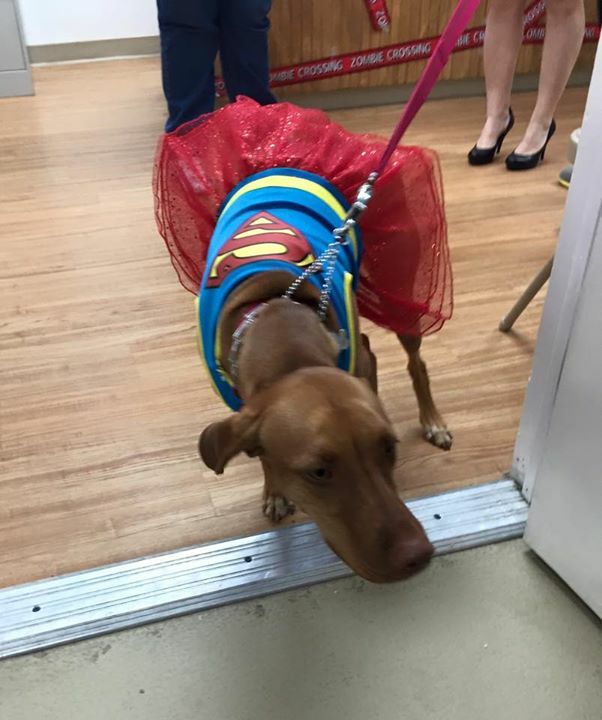 SuperGirl made an appearance at our recent “Howl-O-Ween Pawty.” SuperGirl is super cute! 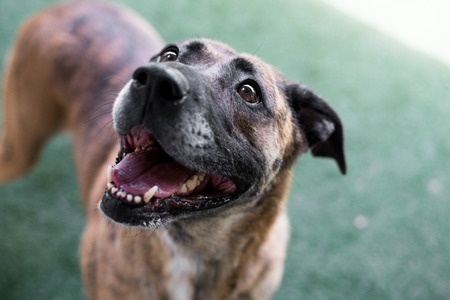 IS AN OLDER ANIMAL THE PERFECT PET FOR YOU?! DOGVILLE DAYCARE SPECIAL ANNOUNCEMENT – CLOSED FOR DAYCARE THIS WEDNESDAY THROUGH SATURDAY 11/25/15 THRU 11/28/15! CAUGHT ON CAMERA! SOFIE + ROXIE = BEST FRIENDS! A WARNING ABOUT PEANUT BUTTER! CAUGHT ON CAMERA! LOVEE LU SHOWS BORIS HOW BALL PITS WORK…! 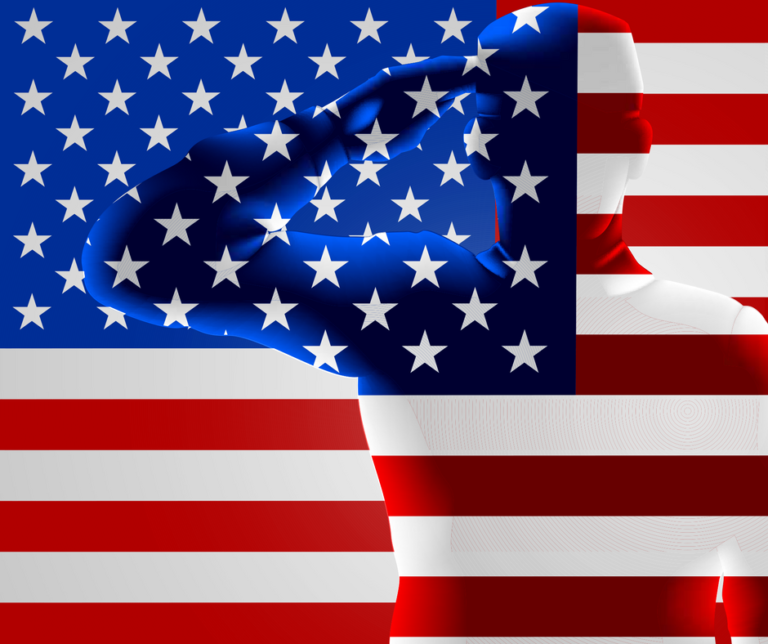 TO ALL VETERANS, THANK YOU!! 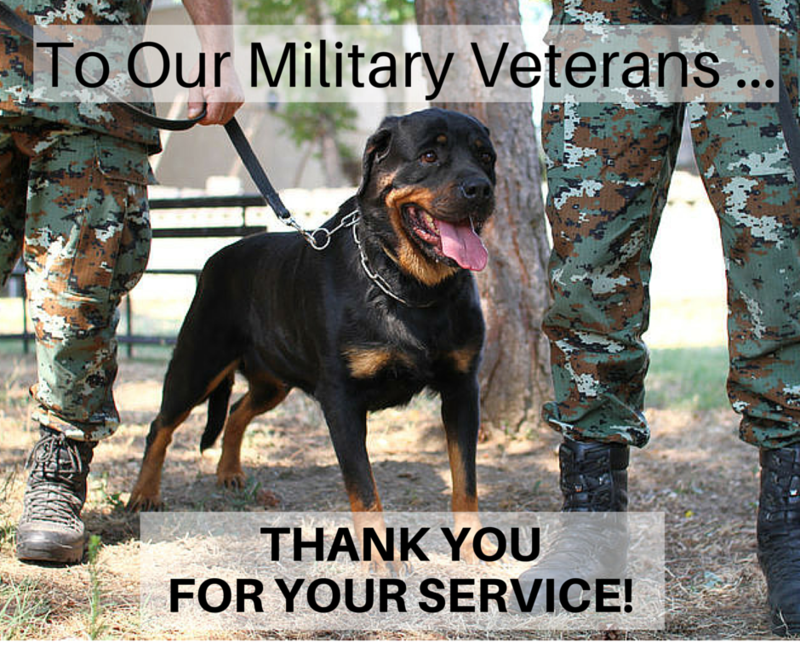 Everyone here at Dogville would like to thank the men and women who have and are serving in the military. 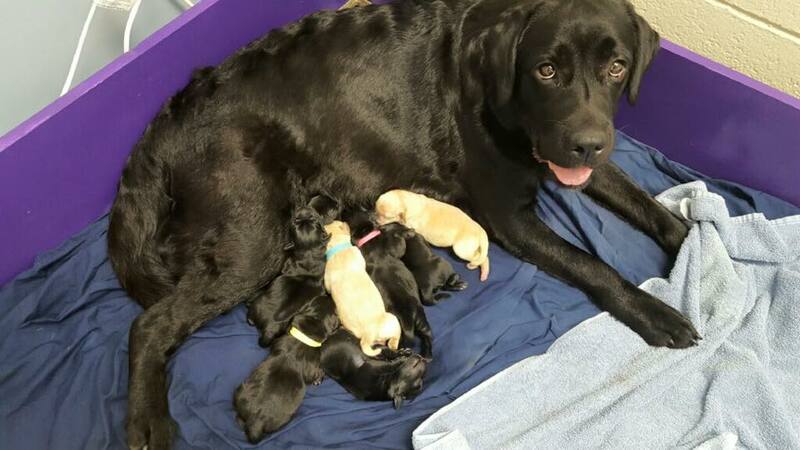 PUP-PHOTO: 9 PUPPIES ARRIVE AT DOGVILLE!! CAUGHT ON CAMERA! 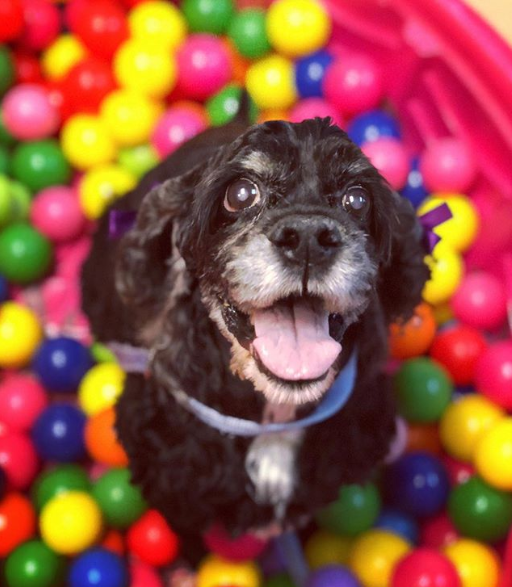 LOVEE LU LOVES THE BALL PIT! 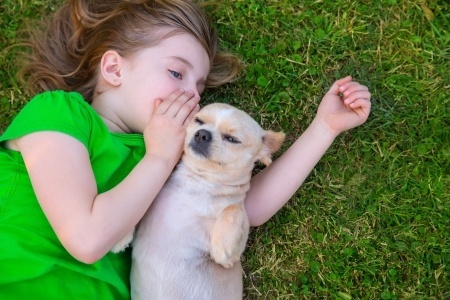 WHAT IS YOUR DOG TELLING YOU?! CAUGHT ON CAMERA! THE LITTLES RUNNING AROUND THE PIRATE SHIP! 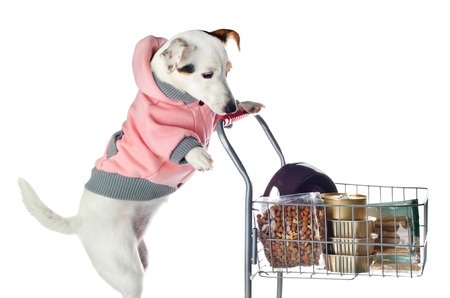 FALL FASHION GOES TO THE DOGS! CAUGHT ON CAMERA! THE INSPIRING CONOR & PIPER! 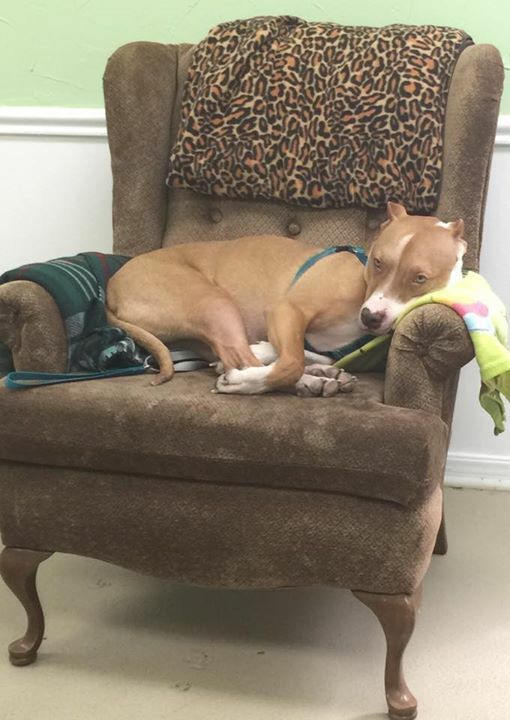 PUP-PHOTO: ROXIE FOUND A COMFY CHAIR, A NAPPING REMINGTON! 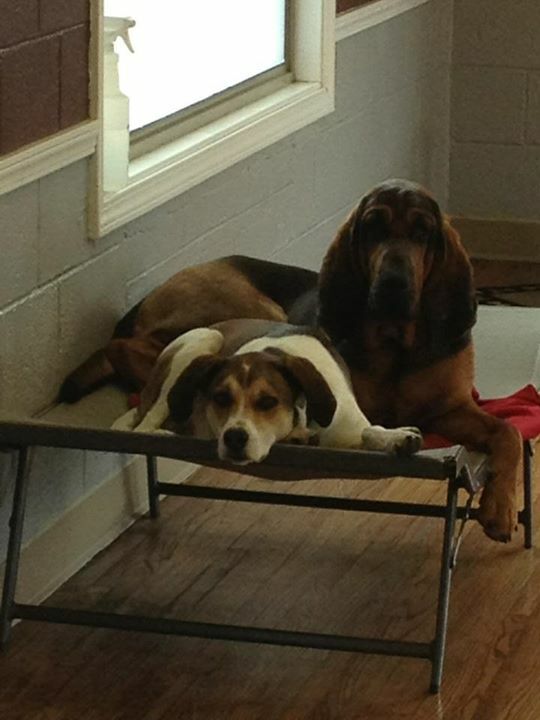 PUP-PHOTO: MARSHALL & LUCY TAKE A BREAK! 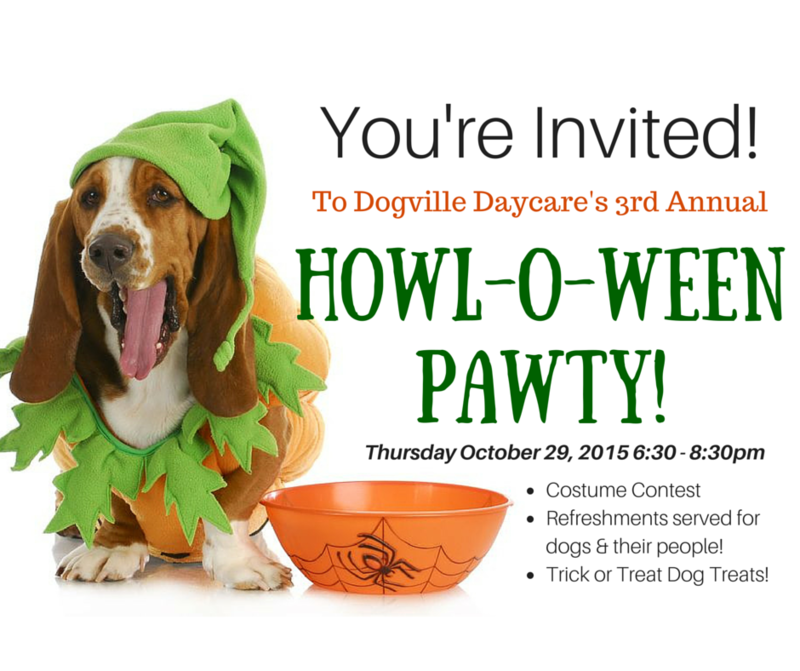 DOGVILLE DAYCARE’S 3RD ANNUAL HOWL-O-WEEN PAWTY!! 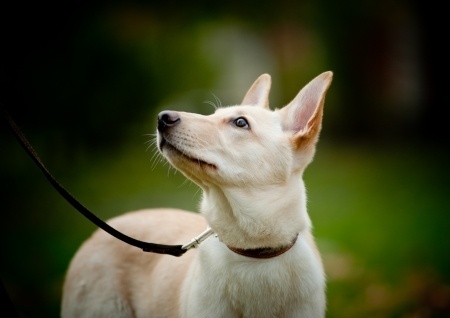 RESEARCHER CROWDSOURCES DOTING DOG OWNERS FOR CANINE INSIGHTS! 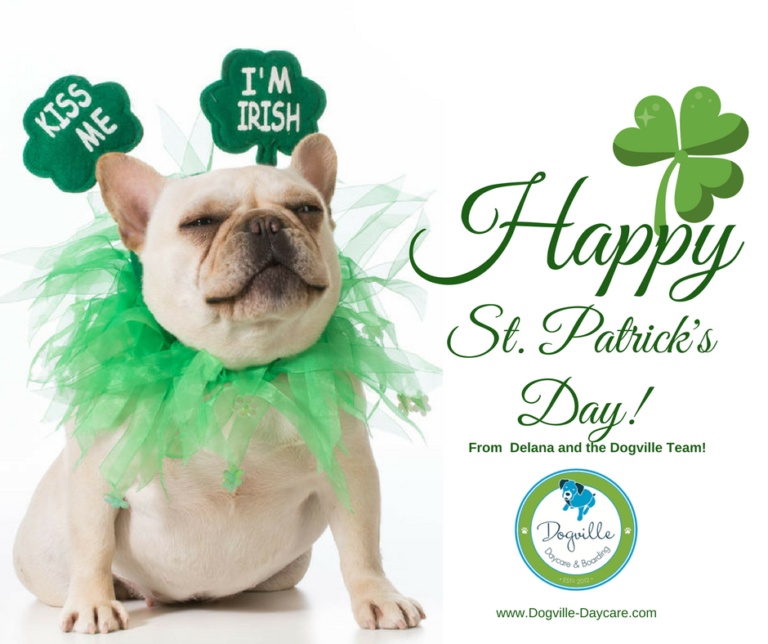 SPECIAL ANNOUNCEMENT FROM DOGVILLE DAYCARE! CAUGHT ON CAMERA! 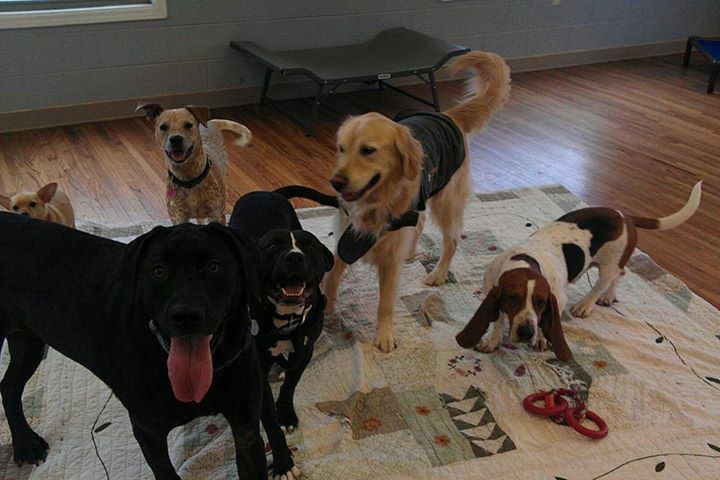 DOGVILLE DAYCARE ROMPER ROOM EDITION! HOW TO READ DOG NUTRITION LABELS! 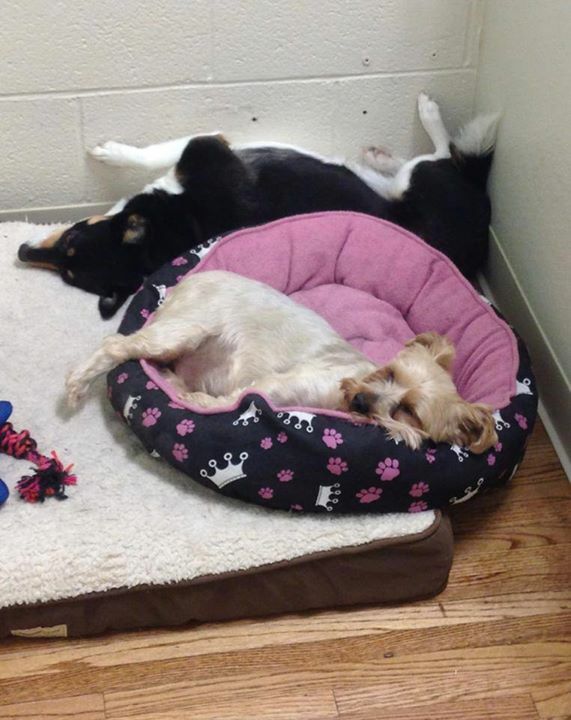 PUP-PHOTO: CUTEST TORNADO DRILL EVER…! CAUGHT ON CAMERA! THE BATTLE OVER ORANGE PIG! 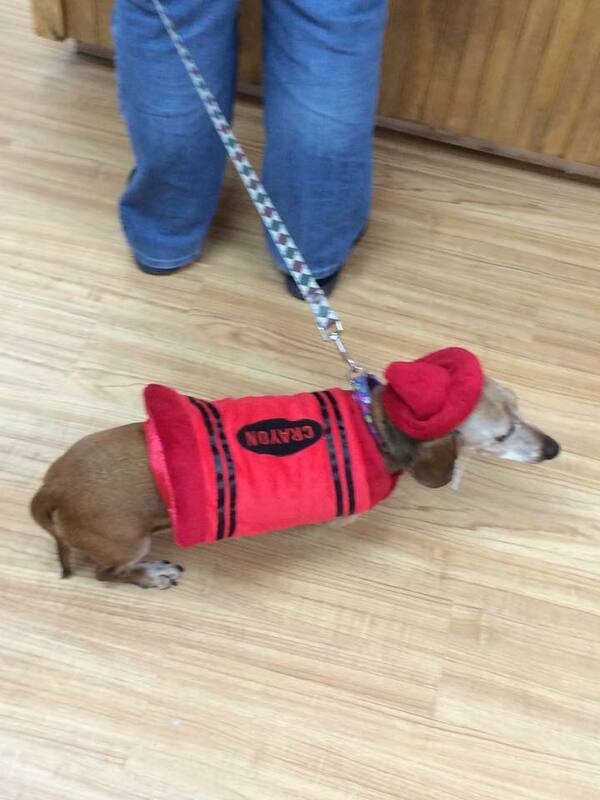 PUP-PHOTO: CHELSEA IN FIRE HYDRANT RED!! CAUGHT ON CAMERA! ELI’S NEW BEST FRIEND HANNAH!! Eli and his new best friend, Hannah! I get tired just watching these two! 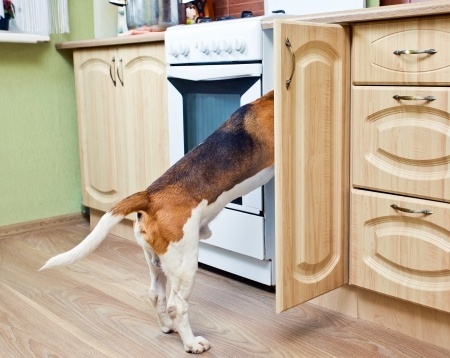 WHAT PEOPLE FOODS ARE HARMFUL TO PETS?! CAUGHT ON CAMERA! ELLIE MEETS THE I-BALL…! 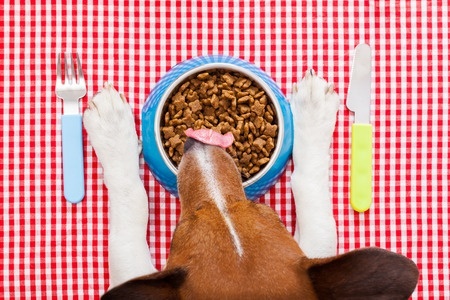 7 WAYS YOU’RE FEEDING YOUR DOG WRONG! We were so glad to see Chelsea again… what a beautiful dress! CAUGHT ON CAMERA! MURPHY & ABBY ON THE TRAMPOLINE! 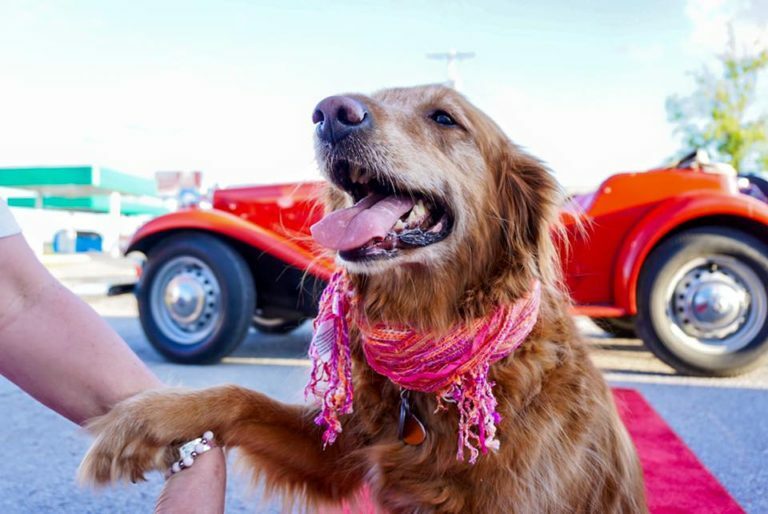 DOG YEARS’ SHOWS PORTRAITS OF AGING PETS THAT TELL SPECIAL STORY OF HUMAN BOND! CAUGHT ON CAMERA! “BORIS! …SERIOUSLY?!”! 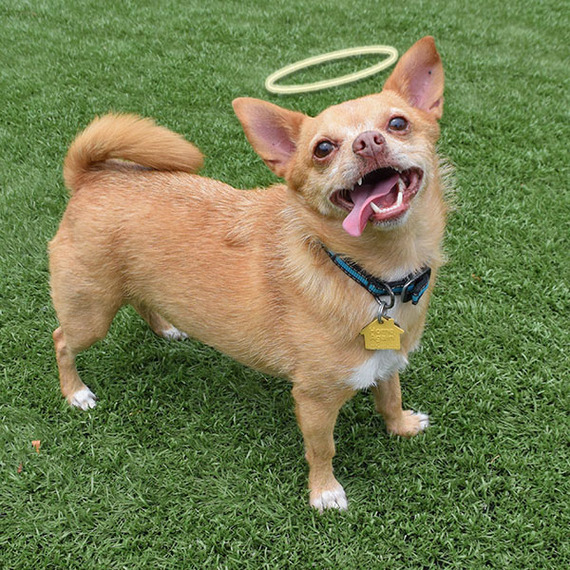 3 LIFE LESSONS WE COULD ALL LEARN FROM EDDIE THE TERRIBLE’S ADOPTION TRANSFORMATION! 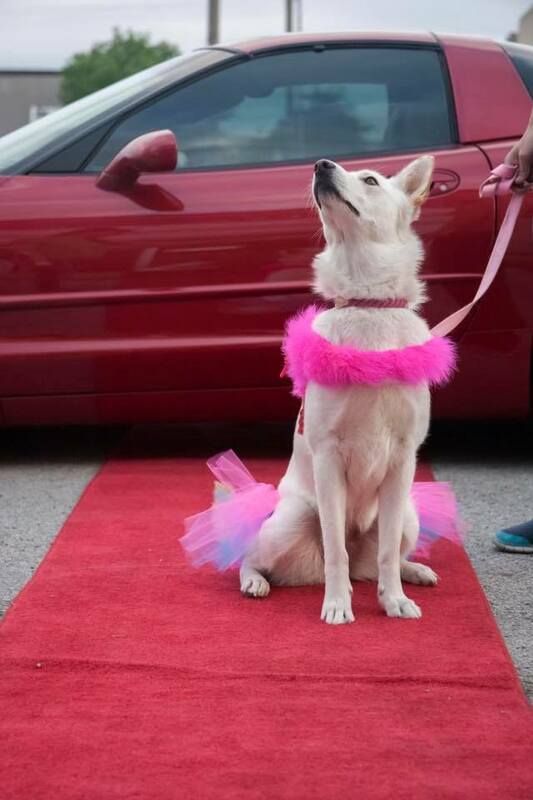 Check out one of our beautiful guests at our Dogville Prom this past spring. CAUGHT ON CAMERA! GABBY & THE YOUNG-UNS…! 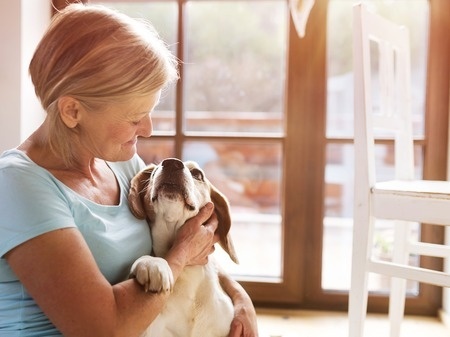 ARTHRITIS AND YOUR PET (VIDEO)! PUP-PHOTO: “I BELIEVE I CAN FLY…”! BRINGING HOME A NEW PUPPY! 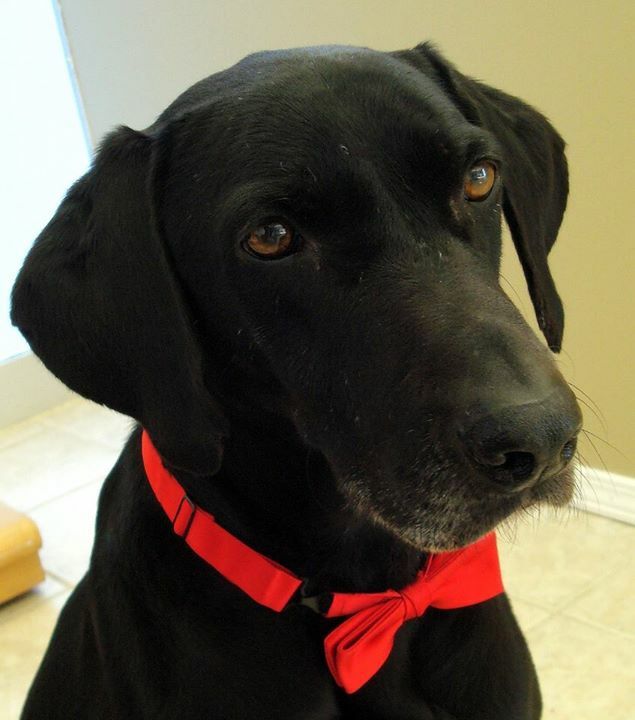 PUP-PHOTO: DRESSED FOR A NIGHT ON THE TOWN! Check out these dapper fellows! CAUGHT ON CAMERA! GRACIE SAYS, “HI MOM!”! Gracie says hi to Mom! 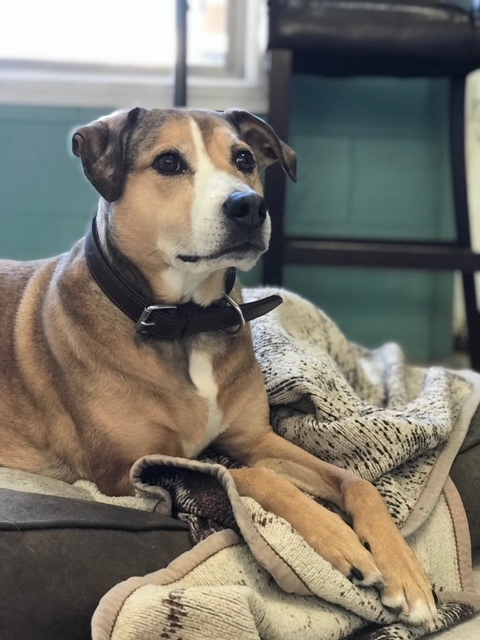 INSIDE A DOG RETIREMENT HOME – NATIONAL GEOGRAPHIC VIDEO! CAUGHT ON CAMERA! BARKING AND BUBBLES…! PUP-PHOTO: WAS IT SOMETHING HE SAID?! CAUGHT ON CAMERA! THE SINGING ROZENES! 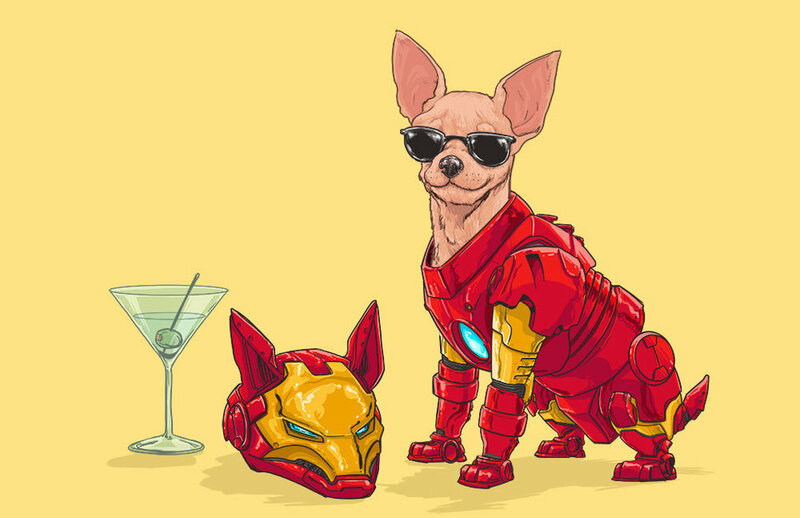 MARVEL’S GREATEST SUPERHEROES RECAST AS DOGS IN THESE CLEVER ILLUSTRATIONS! 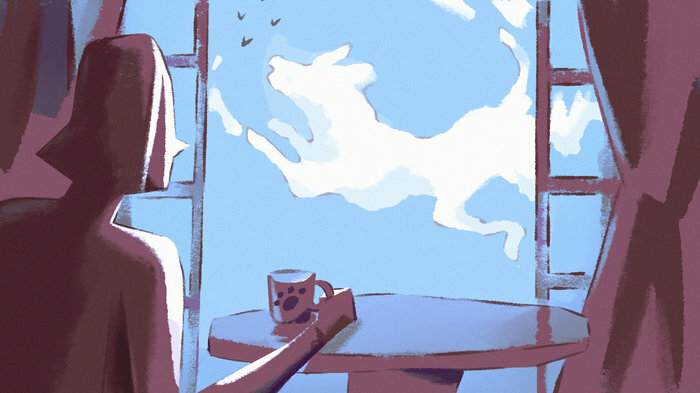 “Man’s best friend is now also man’s last, best hope. 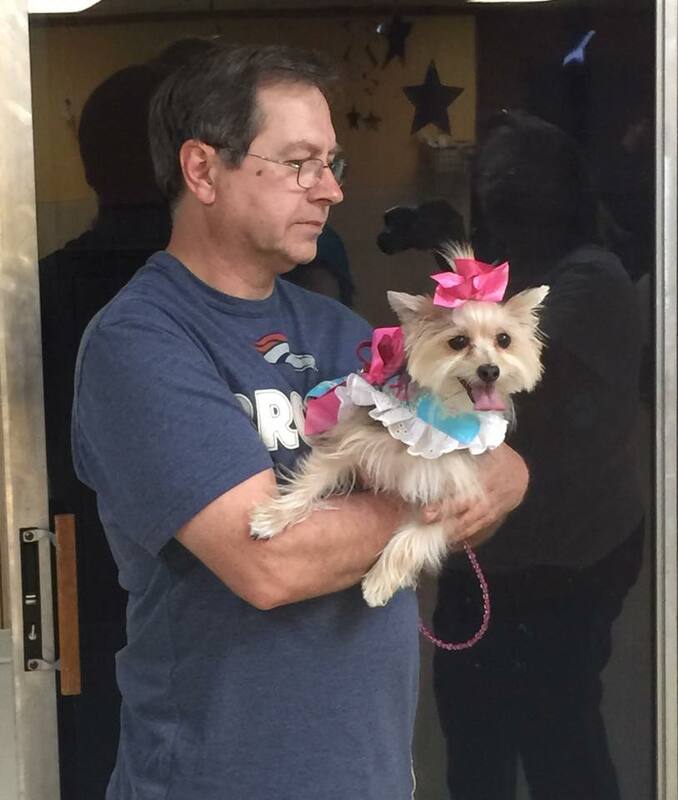 PUP-PHOTO: SOPHIE & HER DAD AT OUR RECENT DOGVILLE PROM! CAUGHT ON CAMERA: EDWARD’S ENTOURAGE! 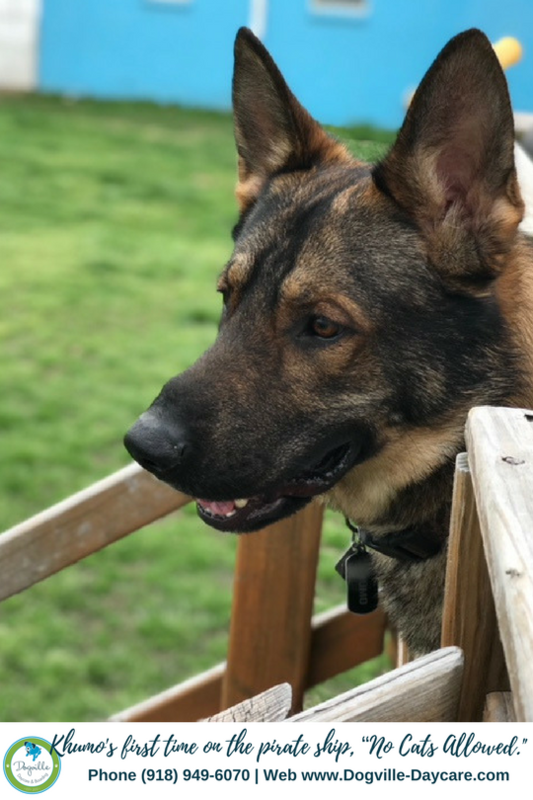 Edward sends video greetings to his mom–he’s spending the day with girl next door Kennedy and retired supermodel Missy today. 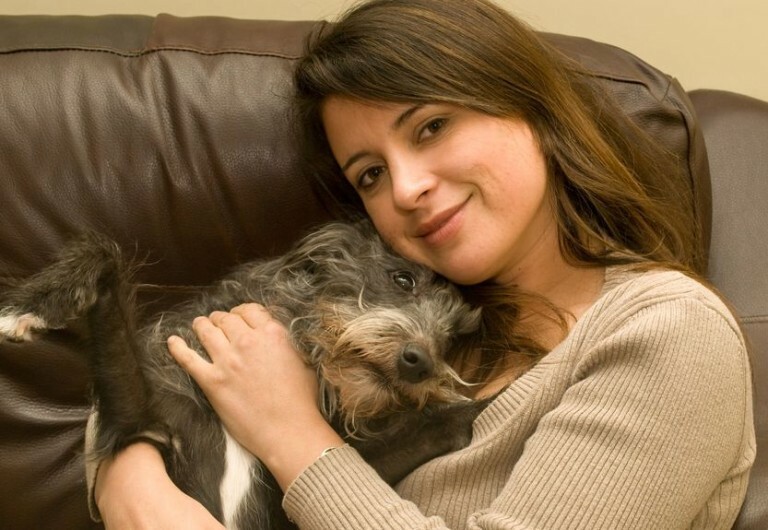 YOUR ENEMY’S ENEMY IS YOUR DOG, SCIENTISTS FIND! CAUGHT ON CAMERA! COMFORTING CHLOE…! TAKE ADVANTAGE OF SUMMER SAVINGS WITH OUR JULY DAYCARE SPECIAL!! 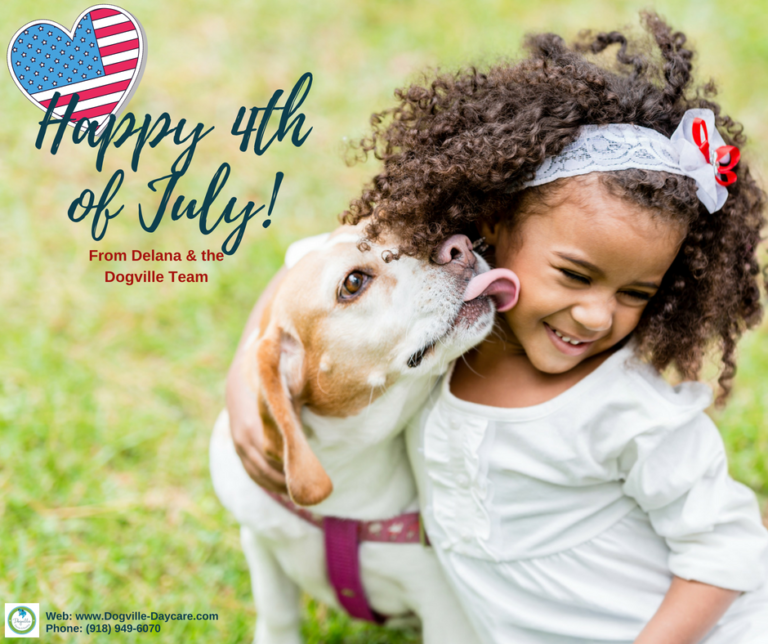 IMPORTANT ANNOUNCEMENT FOR JULY 3RD & 4TH! CAUGHT ON CAMERA! PROM DATE?! 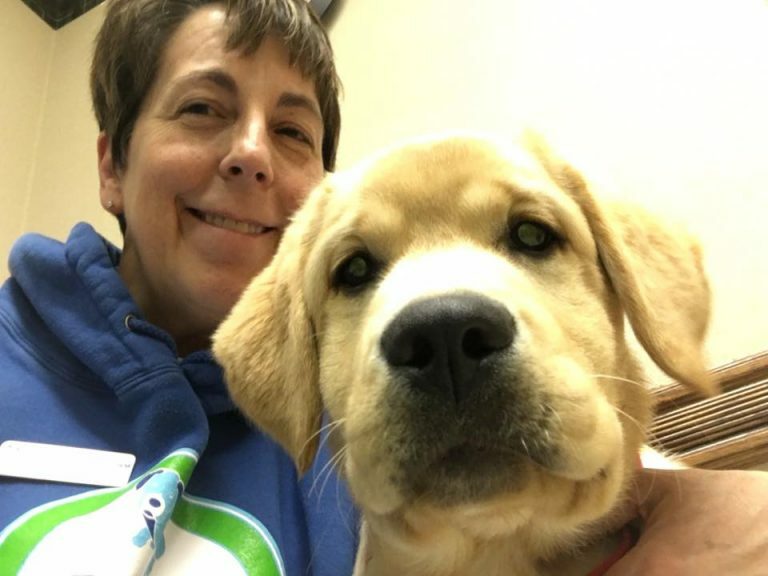 WIDOW FINDS PURPOSE IN RAISING GUIDE DOGS (VIDEO)! 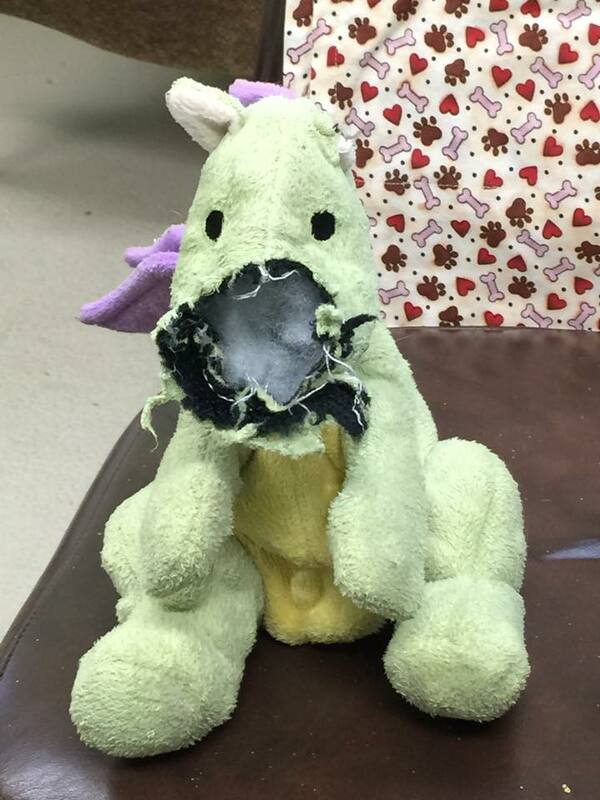 PUP-PHOTO: BARRRRRGGHHH! 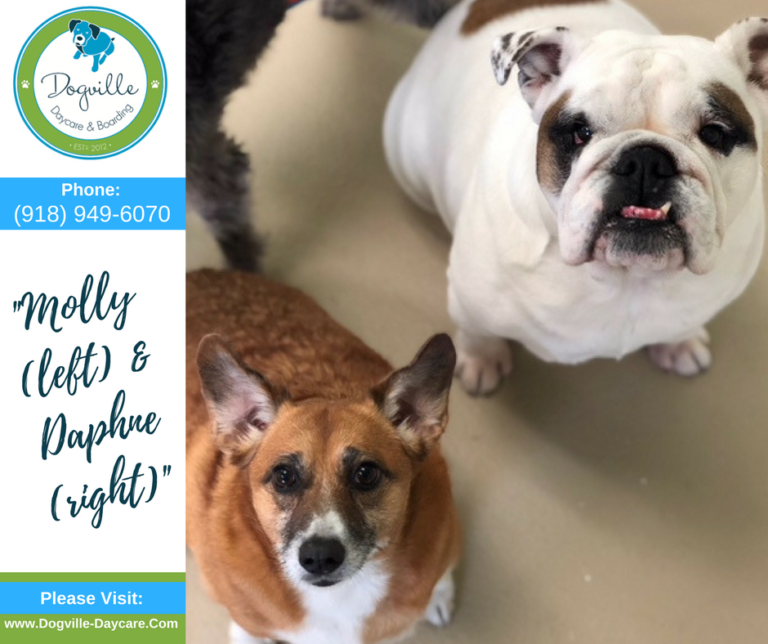 THE DAY TWO PIRATES ARRIVED AT DOGVILLE! 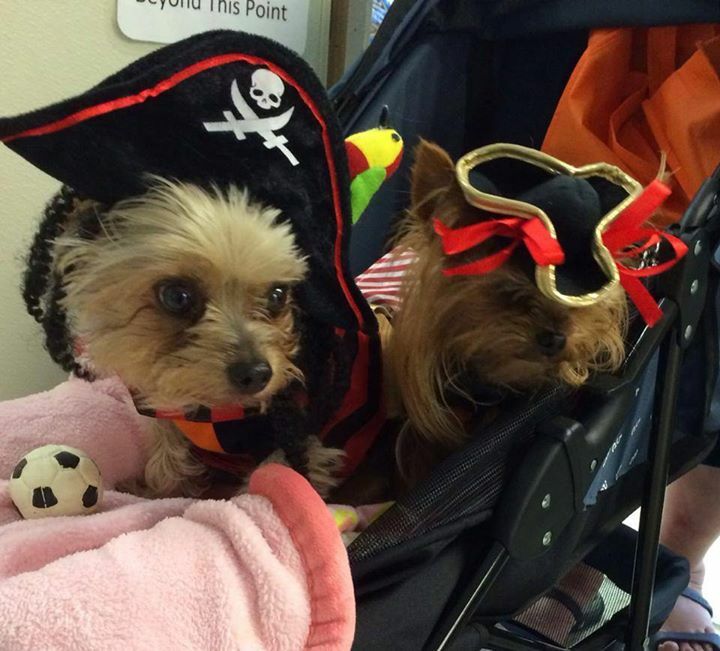 Ok… these are the cutest Pirate puppies ever! CAUGHT ON CAMERA! REMEMBER PLAYING IN THE SNOW?! 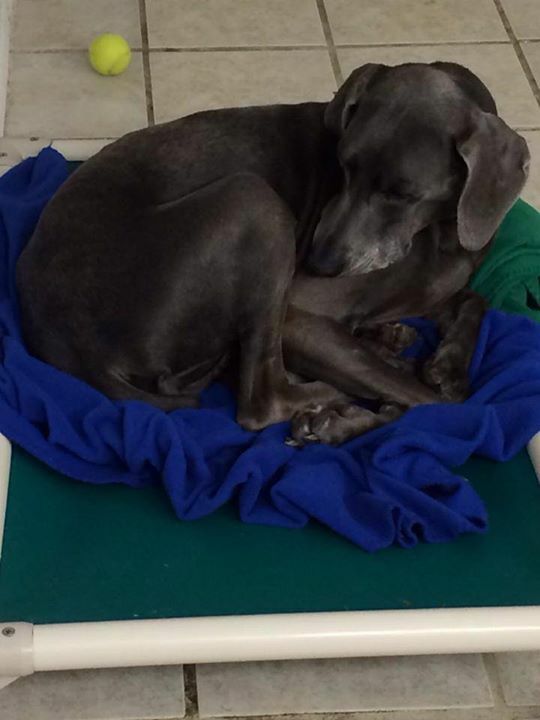 THIS BEAUTIFUL TRIBUTE TO A DOG AND HIS MAN WILL HAVE YOU IN TEARS! 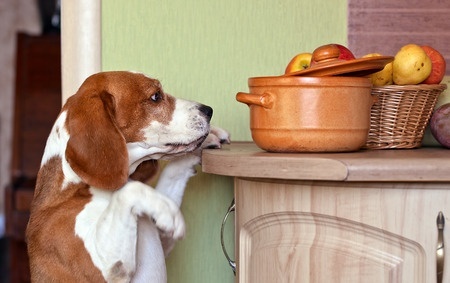 PUP-PHOTO: THE THINGS WE DO FOR TREATS! Boris said that even though this was kinda embarrassing, the treat was worth it! 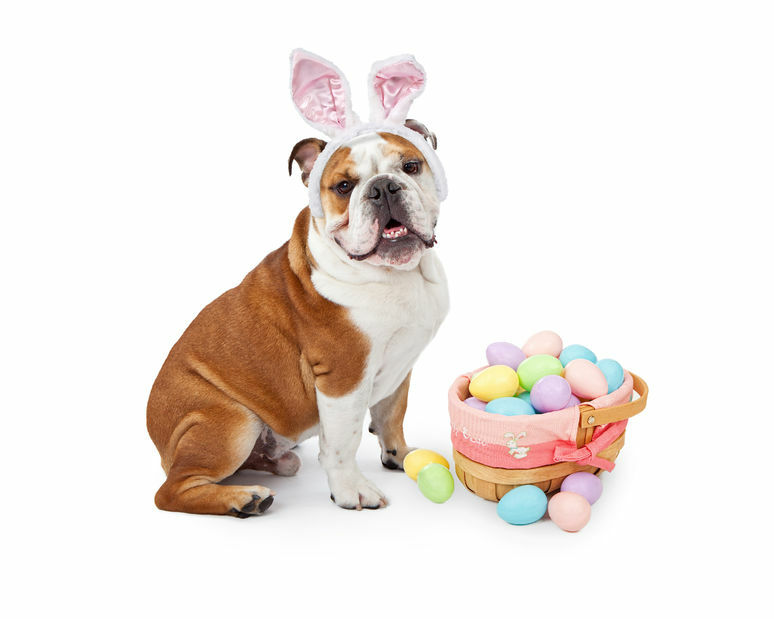 Boris said that even though this was kinda embarrassing, the treat was worth it!! 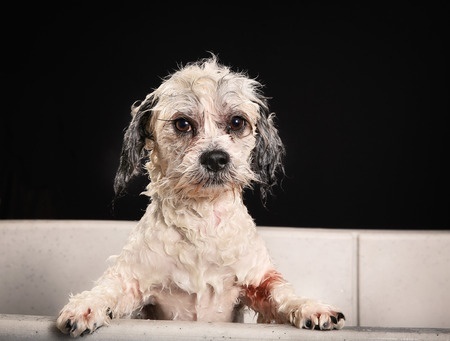 7 MOST COMMON DOG GROOMING QUESTIONS! CAUGHT ON CAMERA! FUR KIDS PLAYING IN THE SUN! HERE’S MORE PROOF THAT WE SHOULDN’T STEREOTYPE DOGS BY BREED! 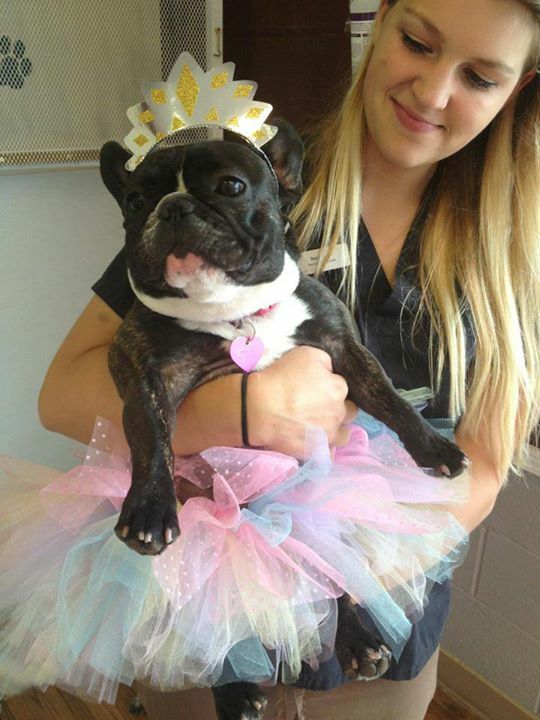 At Dogville, we love birthdays! This is Toby delivering a birthday card to his friend, Molly. 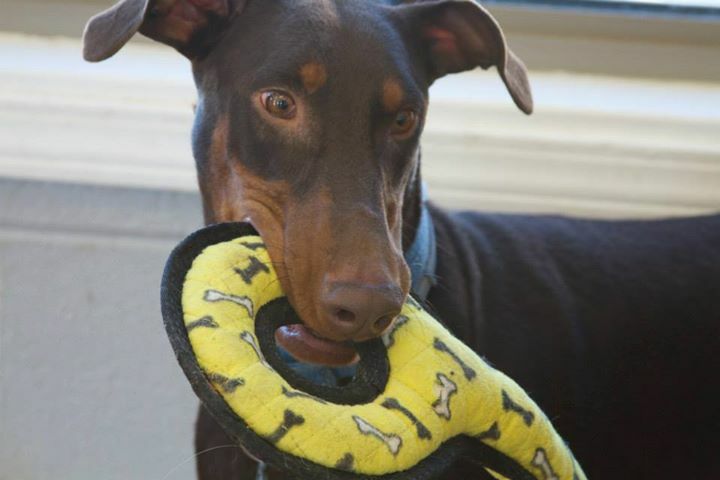 CAUGHT ON CAMERA: ELI’S FAVORITE TOY…! 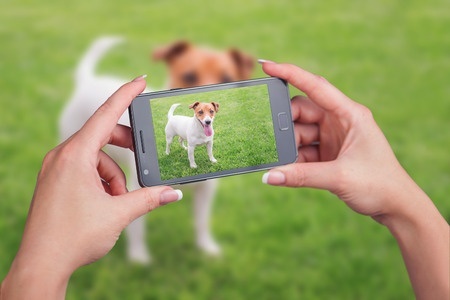 11 TECHY TOOLS AND GADGETS FOR THE TECH SAVVY PET! CAUGHT ON CAMERA! BUT, IT’S … RIGHT THERE!! 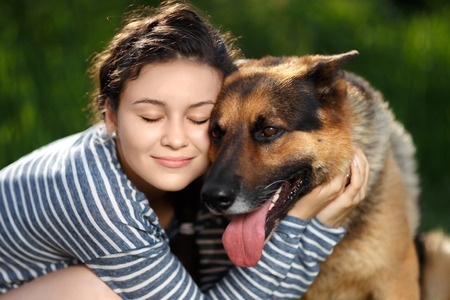 WHY PEOPLE LOVE THEIR DOGS SO MUCH, ACCORDING TO SCIENCE! CAUGHT ON CAMERA! VIVA LA FREAGLE!! Jake the Freagle is back (French Bulldog x Beagle) and here he is with new friend Harvey! 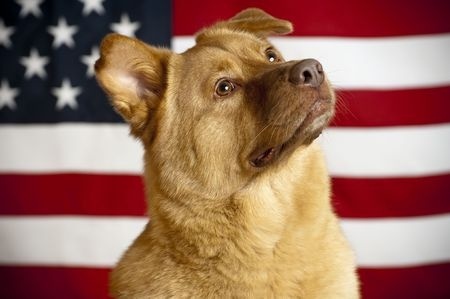 10 REASONS WE NEED A DOG TO RUN FOR PRESIDENT! CAUGHT ON CAMERA! JOSHUA AND MAYBELLE—ADORABLE!! ARE YOU HAPPY? DISGUSTED? YOUR DOG CAN TELL THE DIFFERENCE! CAUGHT ON CAMERA! BETTY AND THE GUMMY BEAR! 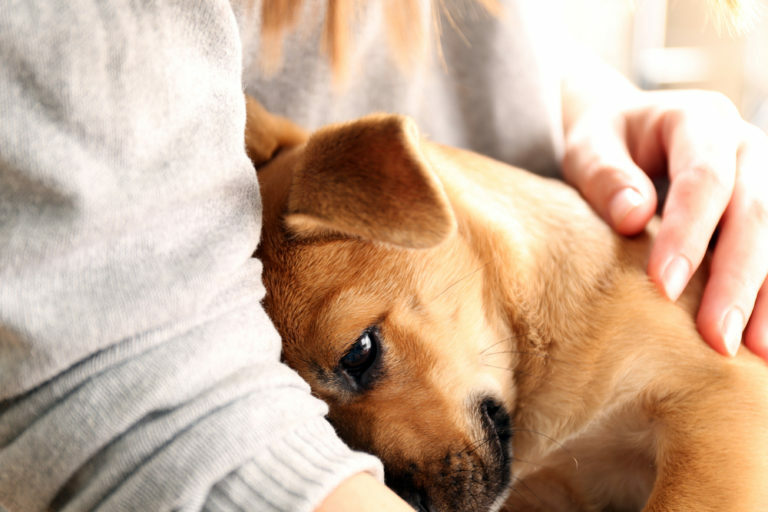 5 SIGNS YOUR DOG IS IN PAIN! PUP-PHOTO: THE MIGHTY SHIP “NO CATS ALLOWED” SETS SAIL!! CAUGHT ON CAMERA! LOVE IS IN THE AIR! 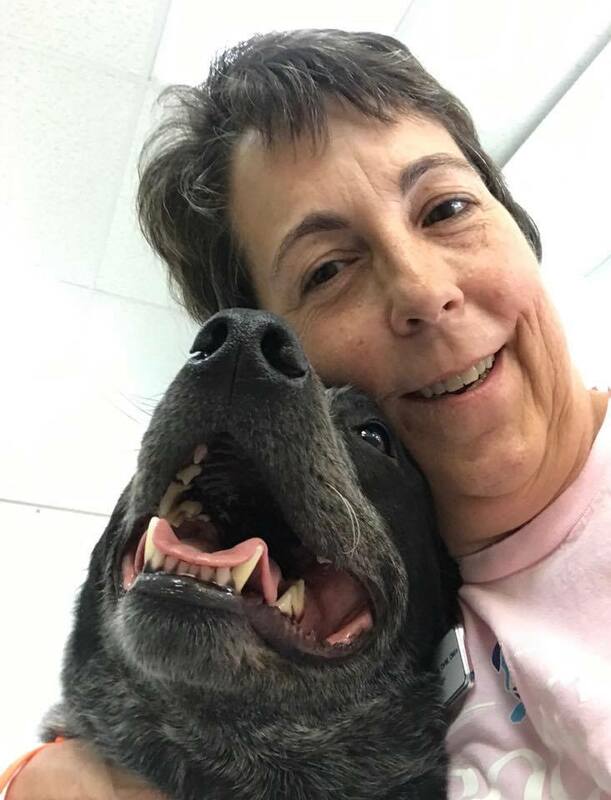 DOGS DON’T BITE OUT OF THE BLUE – PSYCHOLOGY TODAY! 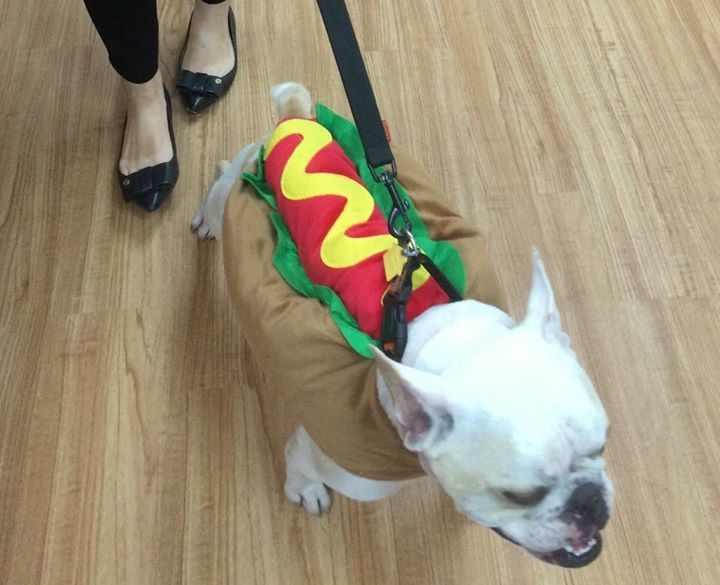 PUP-PHOTO: SULLIVAN IS A HOT DOG!! CAUGHT ON CAMERA! 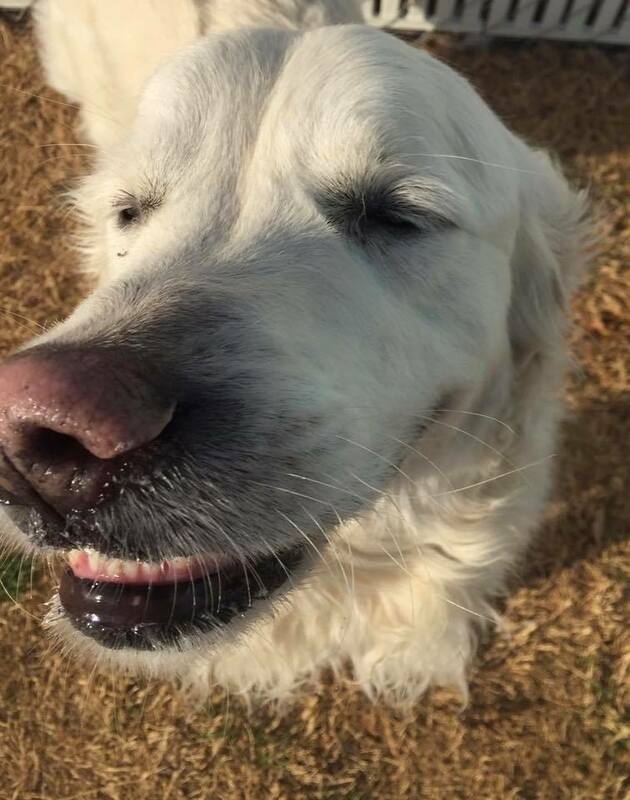 ONE HAPPY DOG…! Peter is a happy camper! 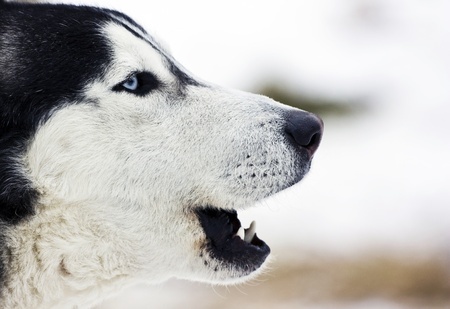 A LOOK INTO HOW AND WHY DOGS COMMUNICATE! 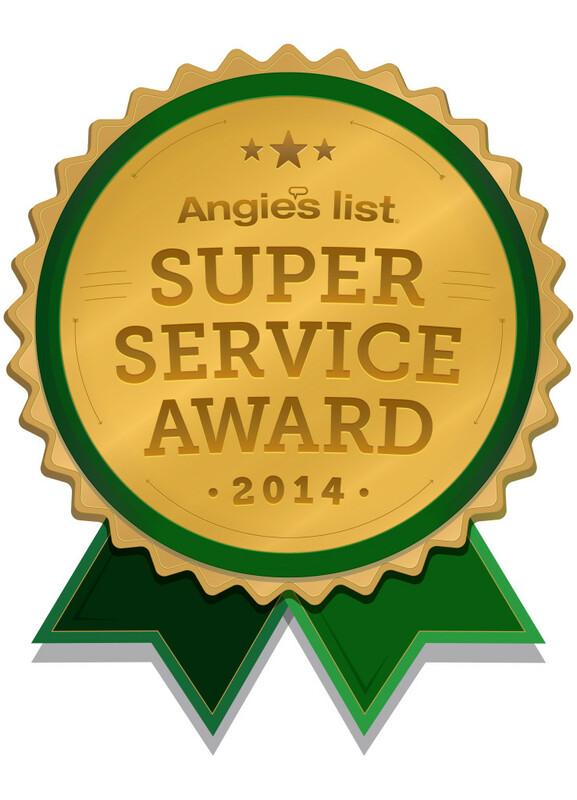 DOGVILLE RECEIVES ANGIE’S LIST “SUPER SERVICE AWARD” FOR 2014! CAUGHT ON CAMERA! 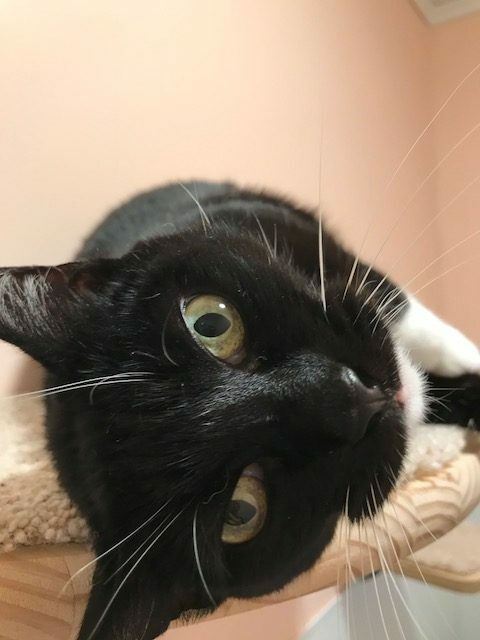 GREETINGS FROM GRACIE! 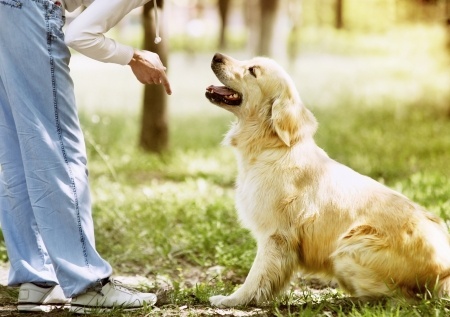 IS ONE-ON-ONE DOG TRAINING RIGHT FOR YOU AND YOUR DOG?! 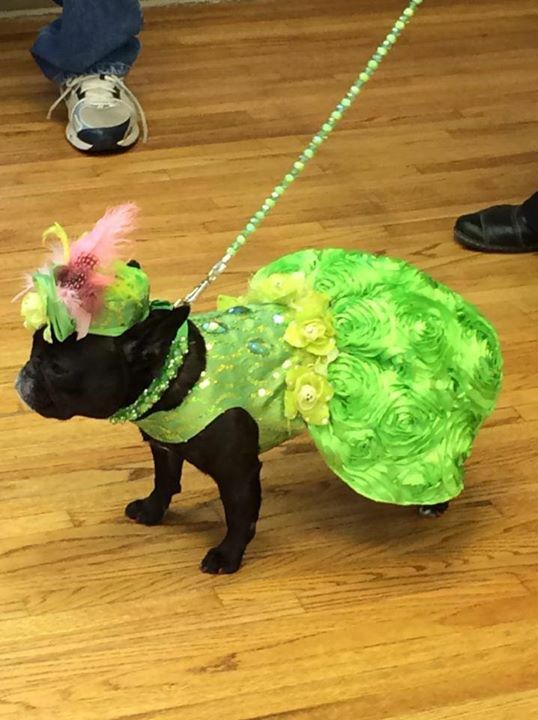 PUP-PHOTO: JING JING IN HER BIRTHDAY REGALIA! 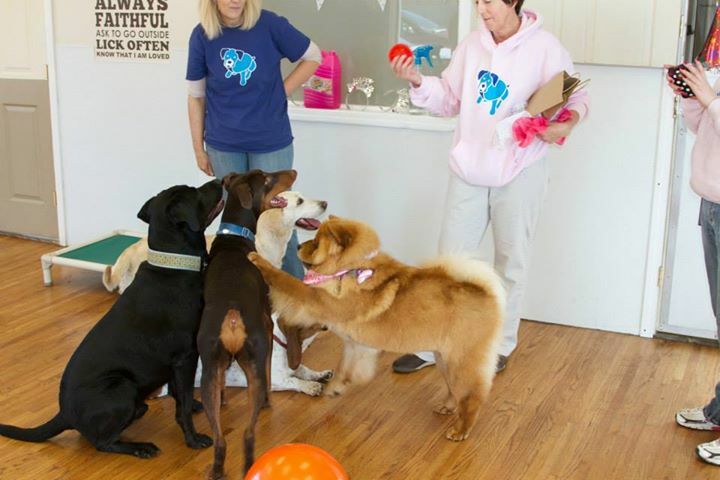 At Dogville, we are always up for a good Pawty. 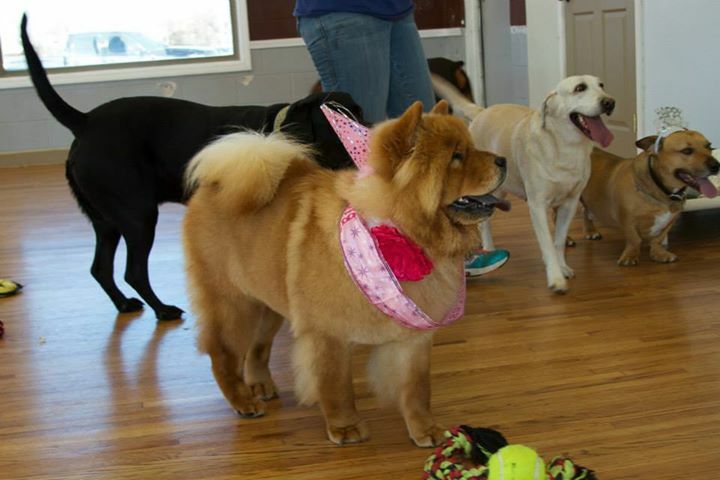 This is the beautiful Jing Jing at her birthday party. 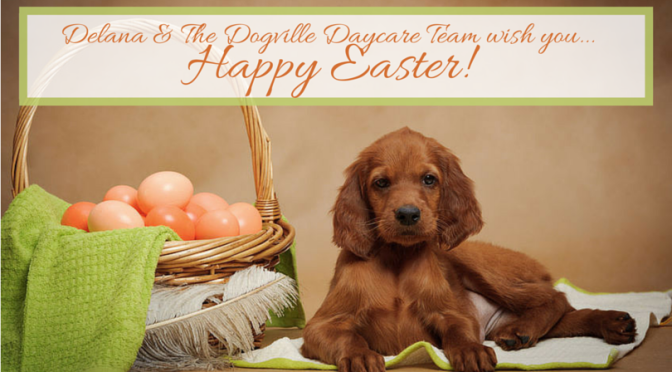 Delana & The Dogville Daycare Team wish you a Happy Easter! 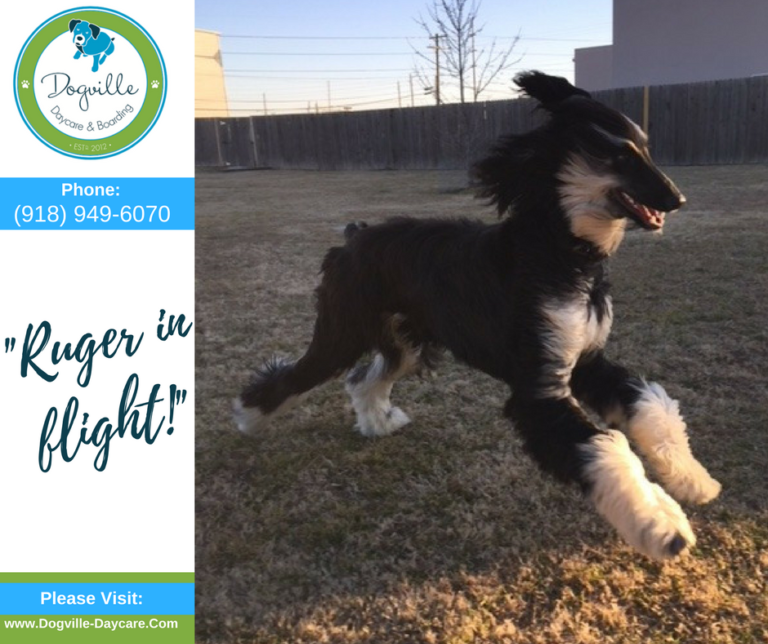 HOP INTO SPRING WITH OUR APRIL DAYCARE SPECIAL!! 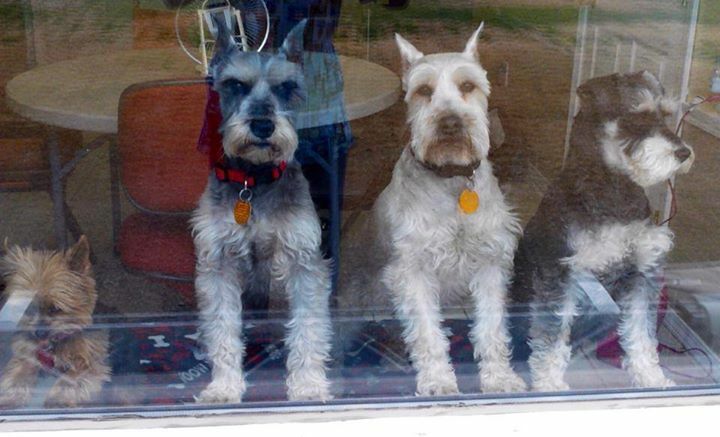 PUP-PHOTO: THE WINDOW WATCH PACK! CAUGHT ON CAMERA! A HERD O’ PUPPIES! 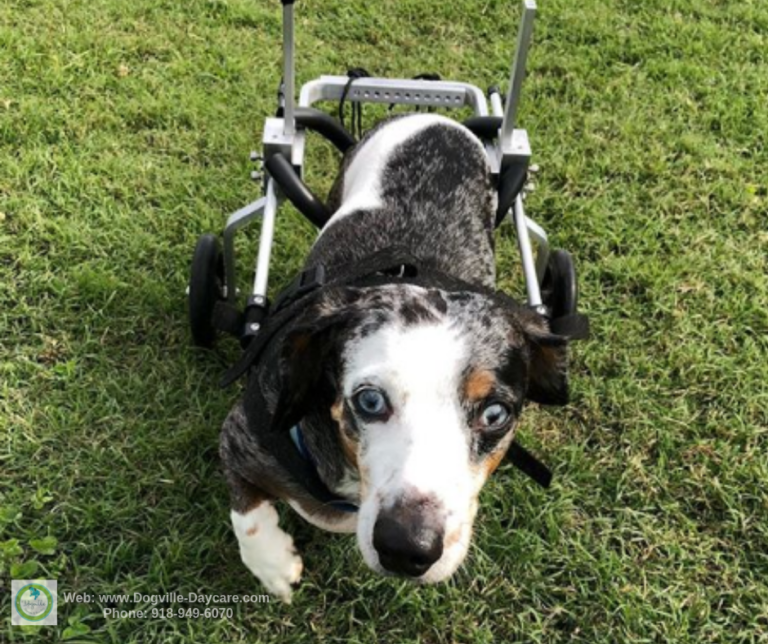 DOG WITH CANCER GETS SWEET RIDE FROM HOME DEPOT EMPLOYEE! CAUGHT ON CAMERA: ASKER GIVES DELANA MORE THAN SHE BARGAINED FOR…! 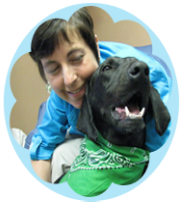 CANCER TREATMENT OPTIONS FOR DOGS! CAUGHT ON CAMERA! MURPHY & ABBY PLAYING! 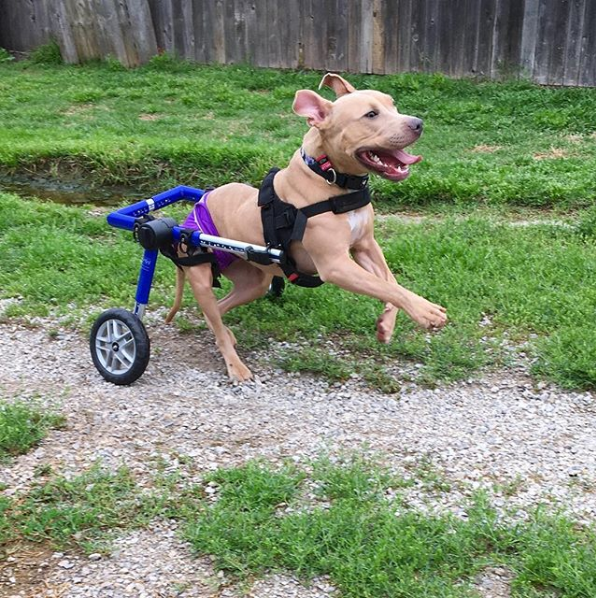 HULK THE GIANT PIT BULL IS CHALLENGING PERCEPTIONS & CHANGING HEARTS! CAUGHT ON CAMERA! GIRLS JUST WANNA HAVE FUN!! 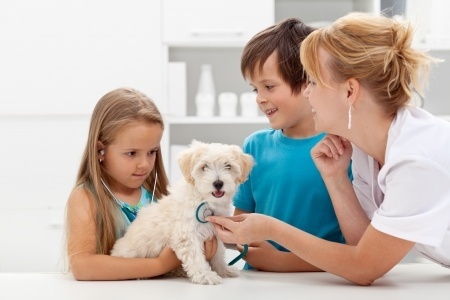 SCREENING PETS UNCOVER CONDITIONS EARLY! 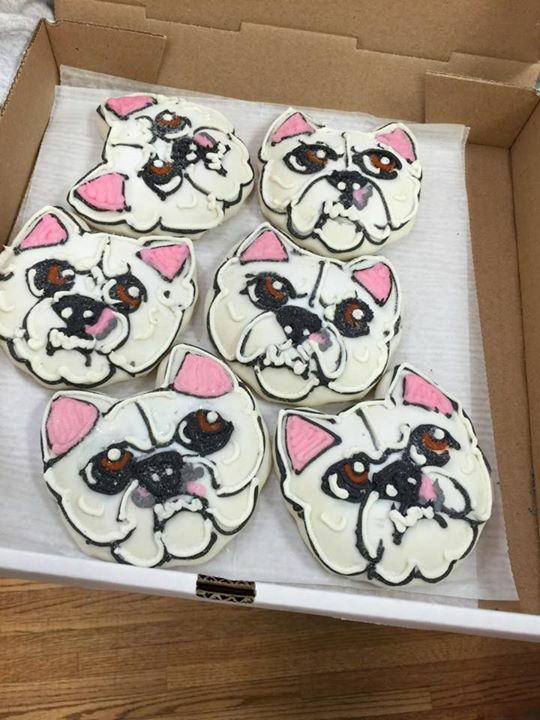 PUP-PHOTO: SULLIVAN TREATS … FOR HUMANS!! Look at the wonderful surprise Sullivan’s family brought us! And they look just like him!! CAUGHT ON CAMERA! SLUMBER PAWTY GUESTS!! Time to meet some of our Slumber Party Room guests! 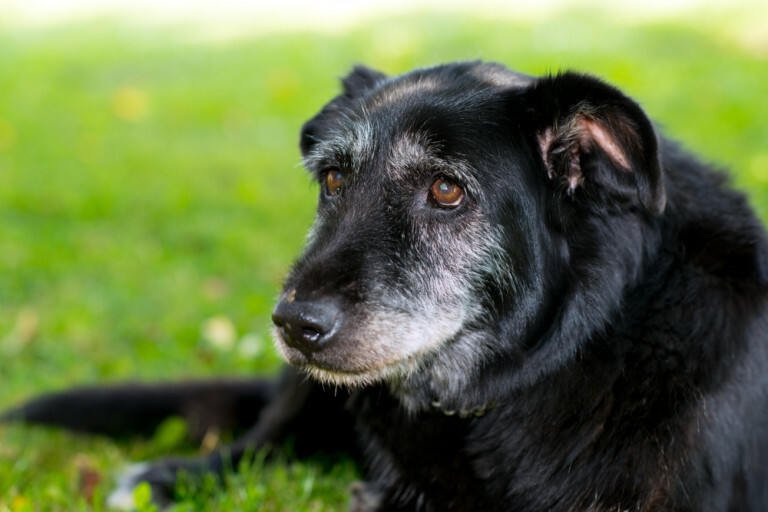 CANINE VESTIBULAR DISEASE: A COMMON SENIOR DOG MALADY! 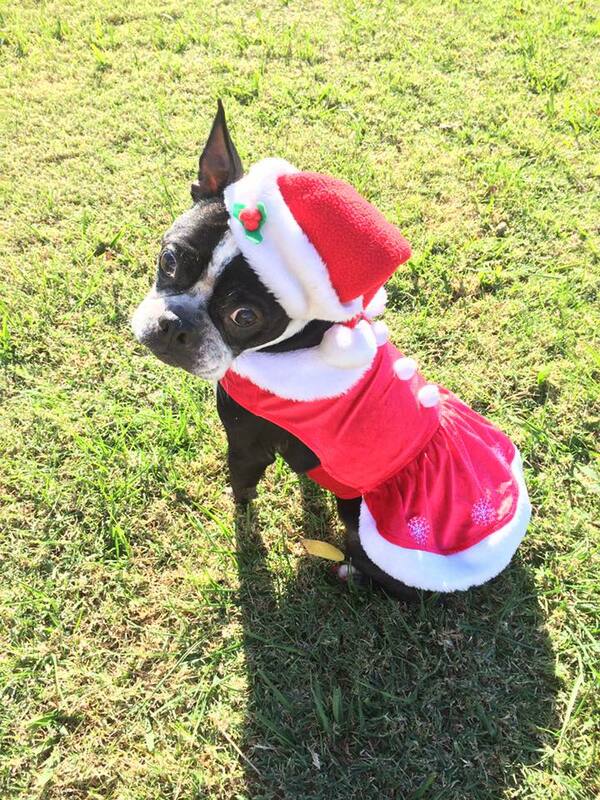 PUP-PHOTO: THE BEAUTIFUL BELLA ROSE! Dogville doesn’t require fancy attire, but we don’t mind it either. Bella Rose is beautiful! CAUGHT ON CAMERA! BORIS GONE WILD!! I think Boris is feeling good and comfy. 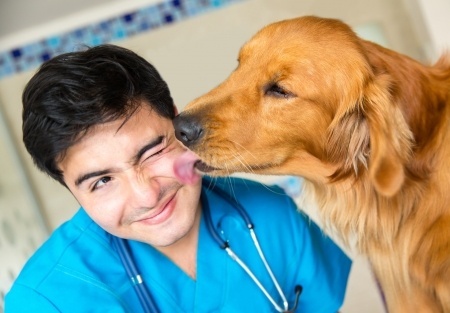 DOG DENTAL CARE IS IMPORTANT IN MORE WAYS THAN ONE! 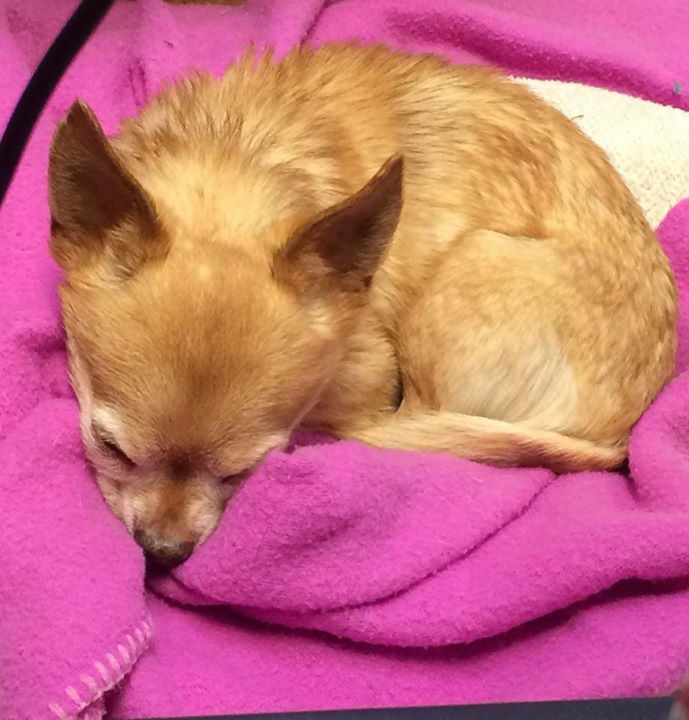 Carlos is doing what I wish I was doing… –Hi to Mom Katie! CAUGHT ON CAMERA! 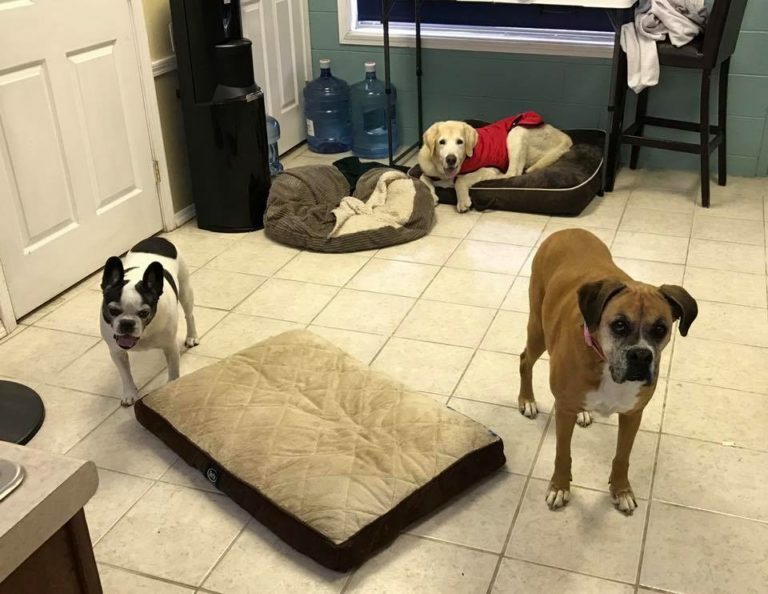 EVENING SHENANIGANS AT DOGVILLE! The littles having a fun time in the yard. CAUGHT ON CAMERA! FUN SUMMER MEMORY OF MADDIE & HANNAH PLAYING! Here is some fun summer memories (may the warmth return quickly) of Maddie and Hannah playing in the yard. 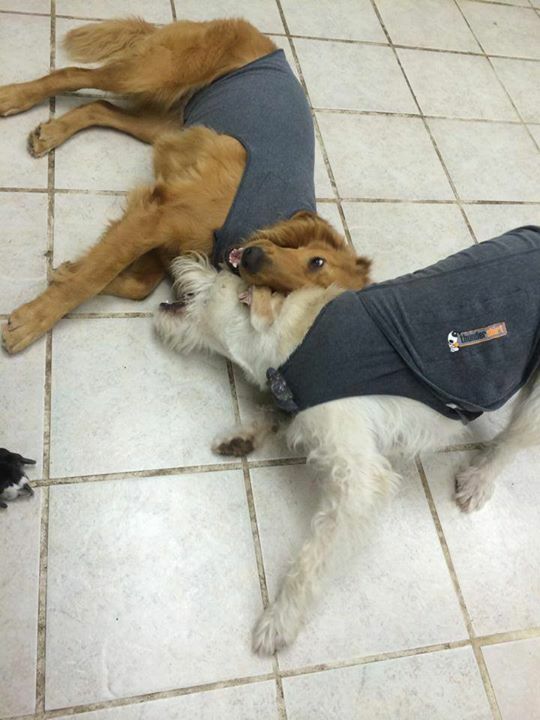 PUP-PHOTO: THE THUNDER SHIRT RUMBLE! Because if you are going to wear thunder shirts, you might as well wrestle. CAUGHT ON CAMERA! SABRA THE DOGVILLE FISHING PROFESSIONAL (SUMMER MEMORIES)! 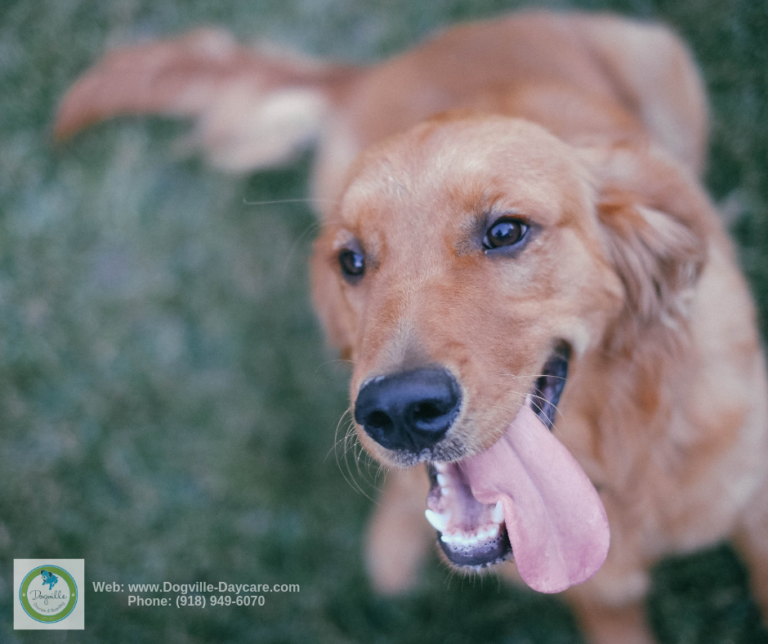 5 FACTS ABOUT FLATULENCE IN DOGS (AND CATS) YOU NEED TO KNOW! 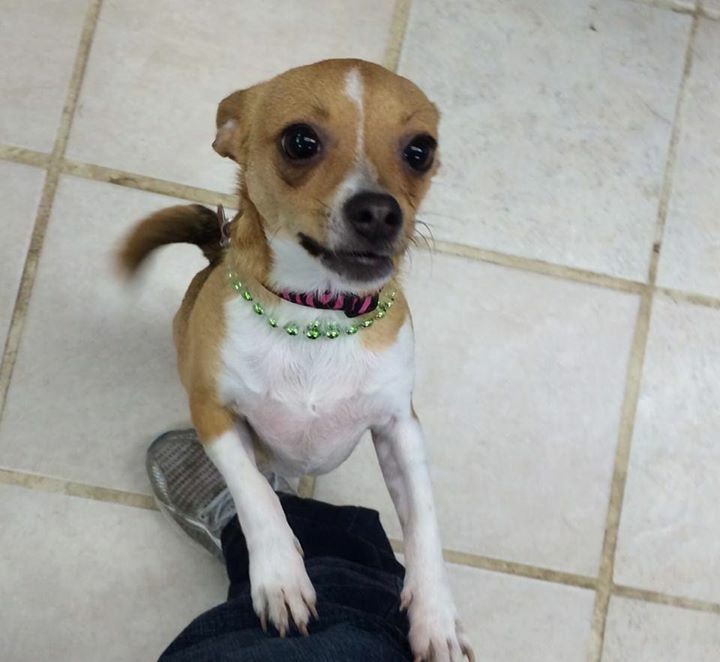 Trixie knows how to pull at your heart strings … just look at those eyes! CAUGHT ON CAMERA! LOVEE LU VS. THE BUMBLE BALL! WHY DO MY DOG’S PAWS SMELL LIKE FRITOS?! 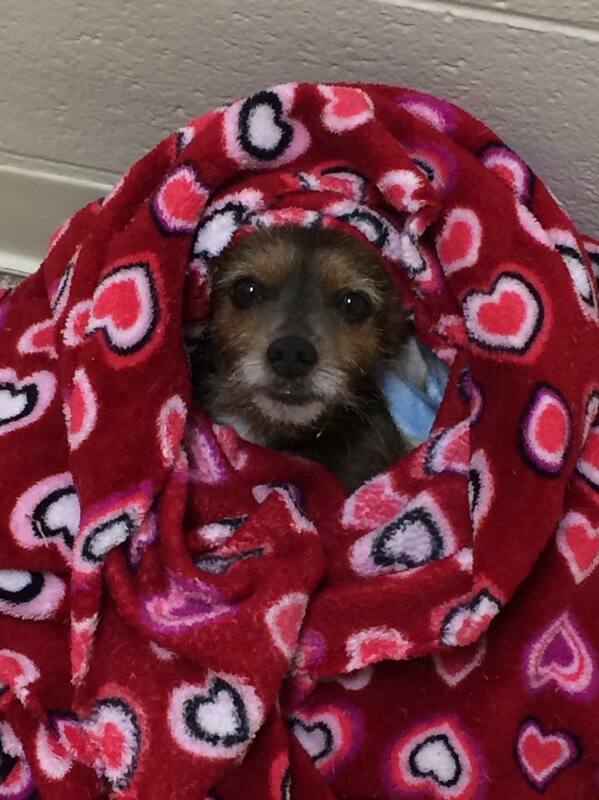 PUP-PHOTO: LUCY KNOWS HOW TO STAY WARM!! Look at adorable Lucy all bundled up for the evening–she told me to tell Mom and Dad hi!! CAUGHT ON CAMERA! THE SNUGGLEBUGS SAMMY AND SADIE! WHY DOES MY PET SCOOT?! CAUGHT ON CAMERA! PARTY PUPPIES! 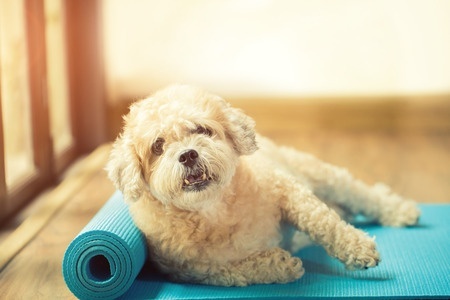 TIPS FOR EXERCISING WITH DOGS AND CATS! 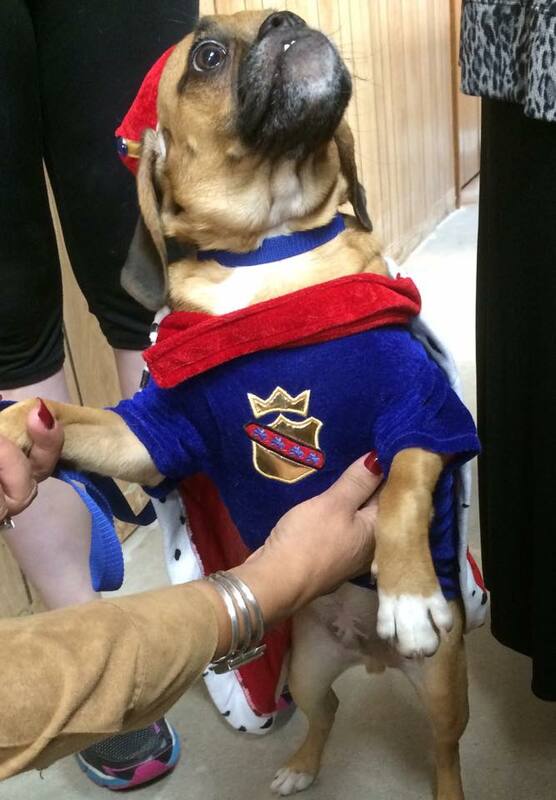 PUP-PHOTO: WHO’S KING? KOTA-KAI IS KING!! Kota-kai, his majesty the king!! HAVE A PAWS-ITIVELY HAPPY NEW YEAR!! 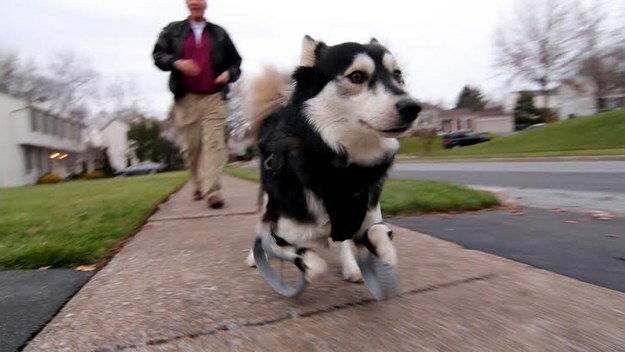 3D PRINTING GIVES HIGH ENERGY DOG A NEW LEASE ON LIFE! CAUGHT ON CAMERA! 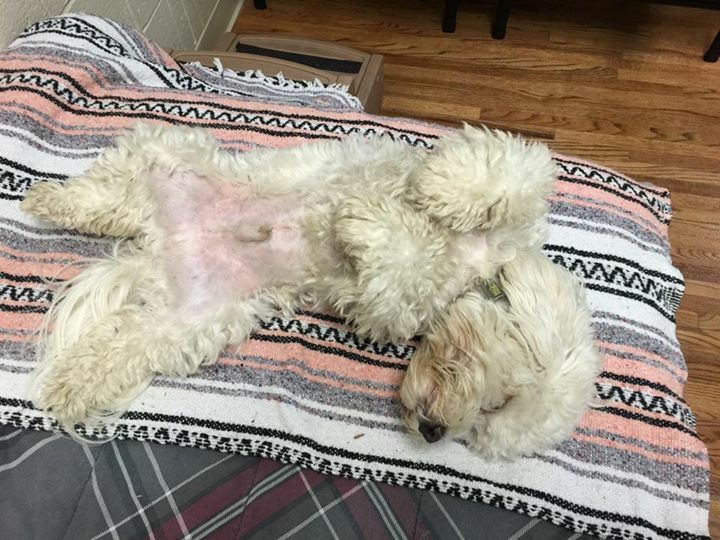 LUCKY KNOWS HOW TO GET COMFORTABLE! 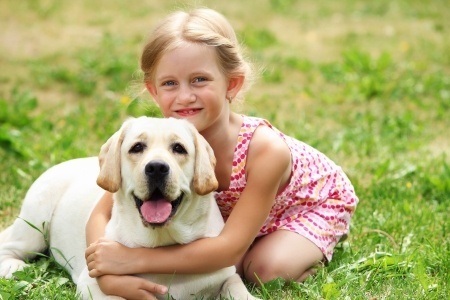 MOST POPULAR DOG NAMES OF 2014! 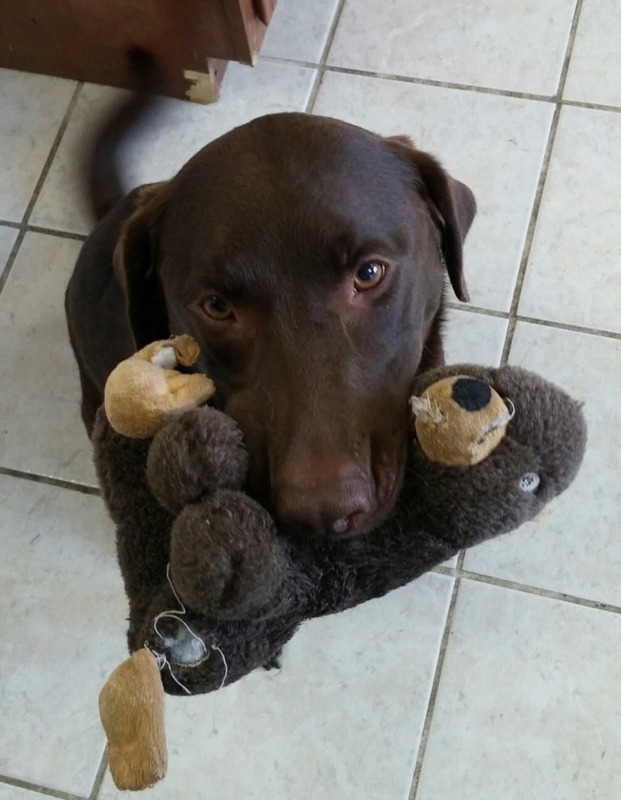 Marshall is staying with us while mom is out of town–this is his “Bear.” Isn’t he adorable? CAUGHT ON CAMERA! GRACIE & SULLIVAN PLAYING AROUND! CAUGHT ON CAMERA! RING AROUND THE TRAMPOLINE! 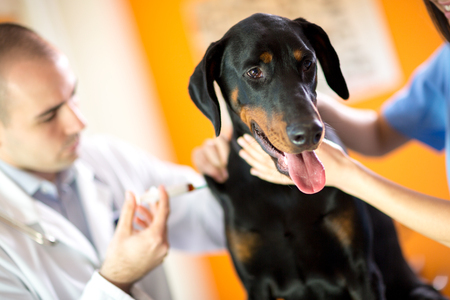 DIAGNOSING SEIZURES AND EPILEPSY IN DOGS AND CATS! 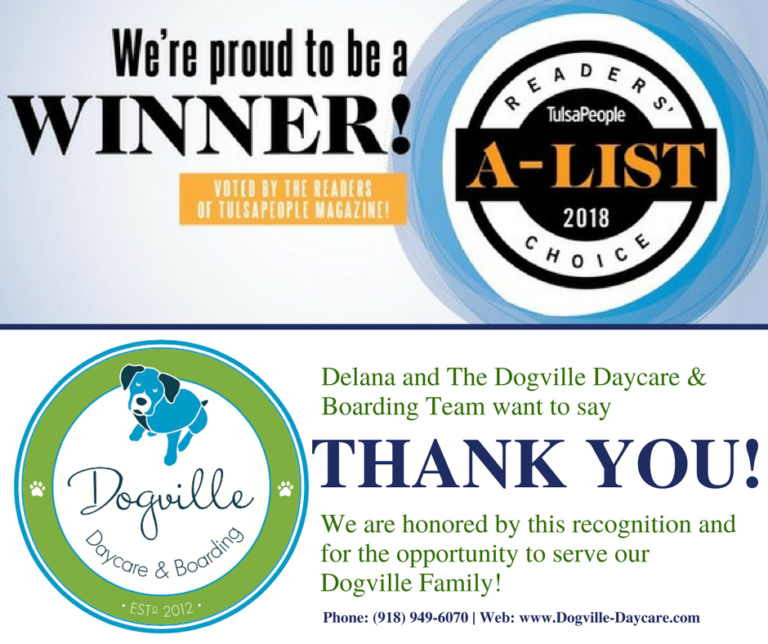 Delana and the team here at Dogville Daycare & Boarding truly hope you had a deeply blessed and memorable Thanksgiving. THANKSGIVING CAN BE A CHALLENGING HOLIDAY FOR DOGS! Mabel and Marshall enjoying our pirate ship! Barrrrggggh! DOGS OF WAR GET HEROES’ SALUTE AT NEW YORK VETERANS’ DAY PARADE! PUP-PHOTO: THE PUP-ARAZZI CAUGHT UP WITH THE DIVA …! CAUGHT ON CAMERA! TANK PLAYING…! 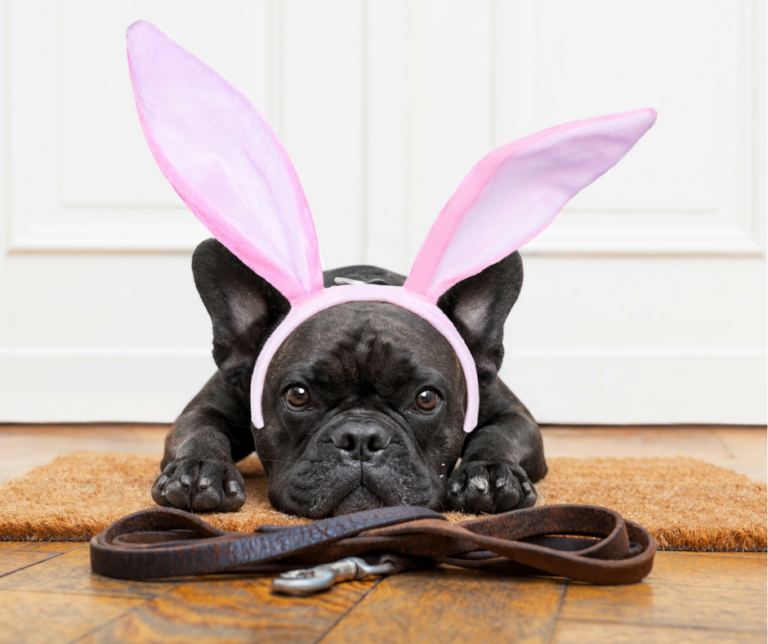 ELECTRONIC “SHOCK” COLLARS MIGHT DISTRESS YOUR DOG! 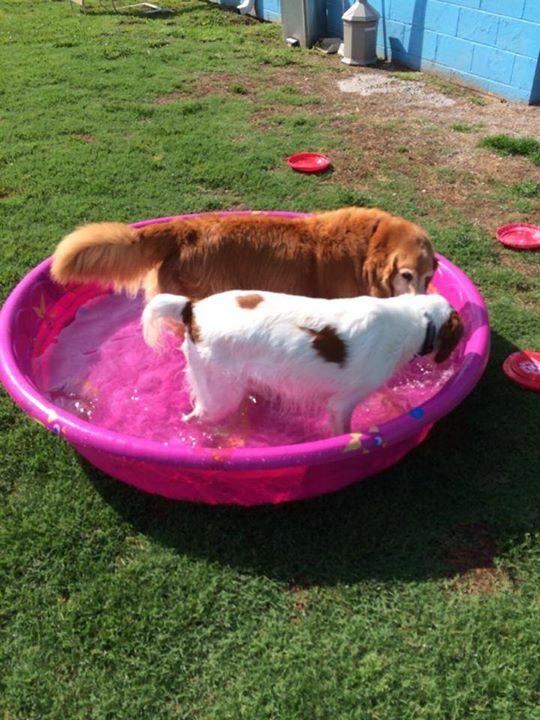 UP-PHOTO: YOGI & PHILLIPS POOL PALS! CAUGHT ON CAMERA! FITTING RIGHT IN …! 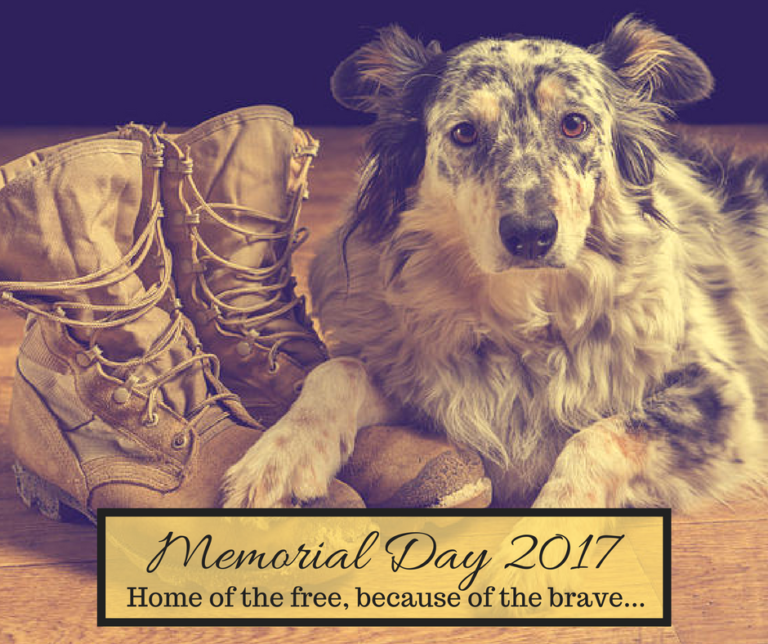 DON’T ABANDON OUR DOGS OF WAR! PUP-PHOTO: BEAR SETTLES IN TO PLAY FRISBEE! CAUGHT ON CAMERA! FELIX & RUSTY AND THE GREAT BUMBLE BALL ESCAPE!! 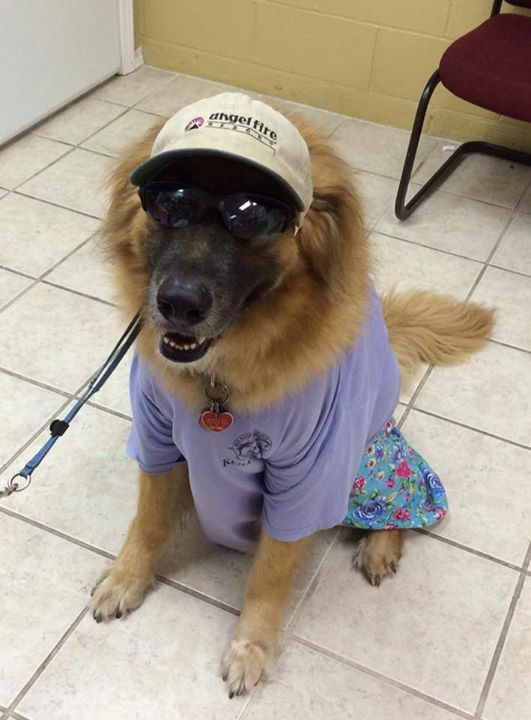 PUP-PHOTO: MS. MOLLY’S TROPICAL STYLE! CAUGHT ON CAMERA! NEW FRIENDS ELI AND MILO! 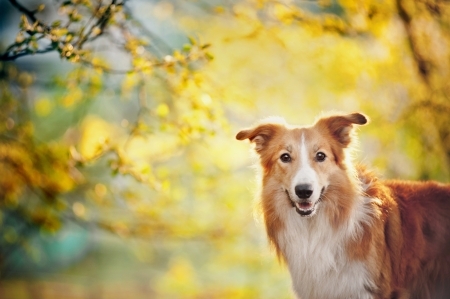 6 THINGS I WISH I KNEW BEFORE GETTING A DOG! 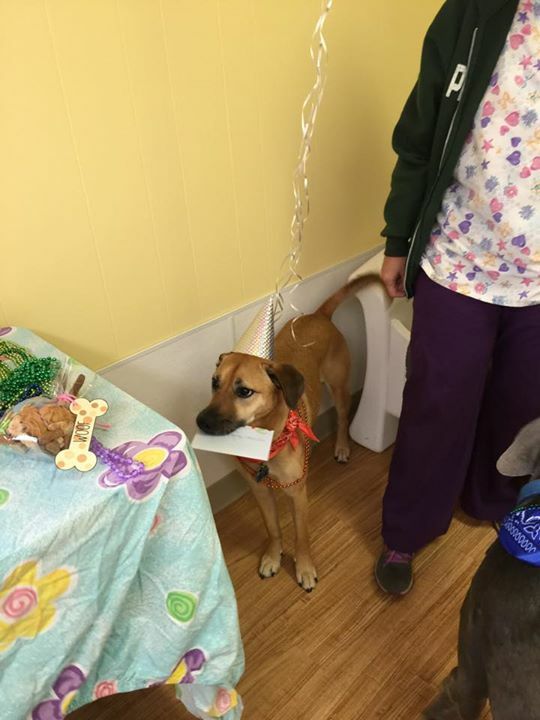 PUP-PHOTO: EVERY BIRTHDAY IS IMPORTANT! CAUGHT ON CAMERA! SAMUS MEETS THE KONG WOBBLER! 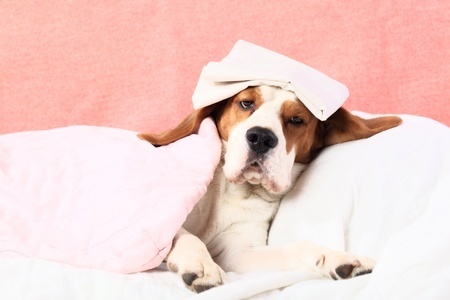 THE SUBTLE SIGNS OF ILLNESS IN YOUR PET! CAUGHT ON CAMERA! MARSHALL BOARDS THE PIRATE SHIP!! 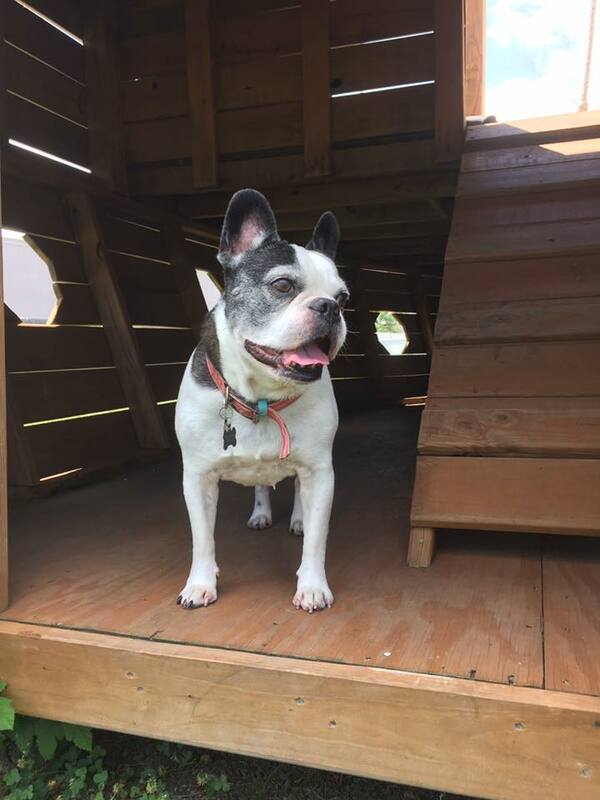 Marshall is the first dog to come aboard our new pirate ship, the No Cats Allowed! Baaarrgggh! 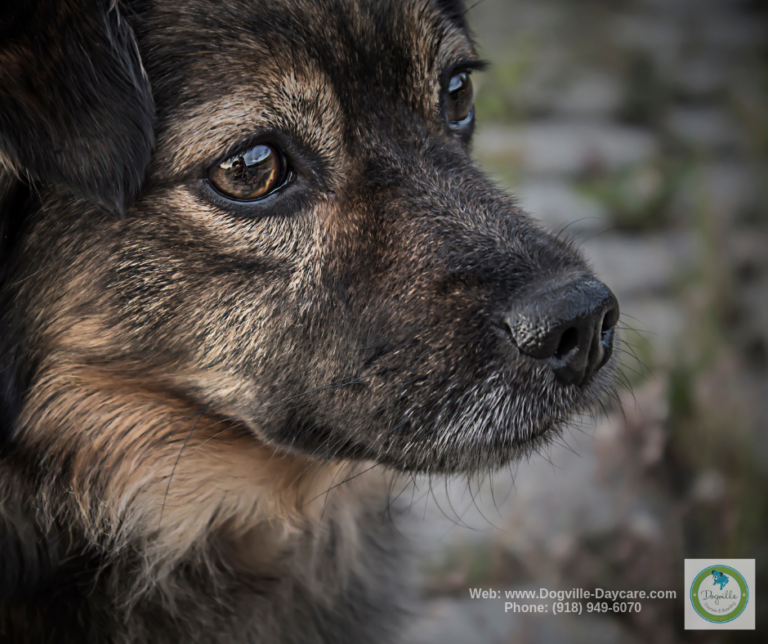 HOME CARE FOR DIARRHEA IN DOGS! 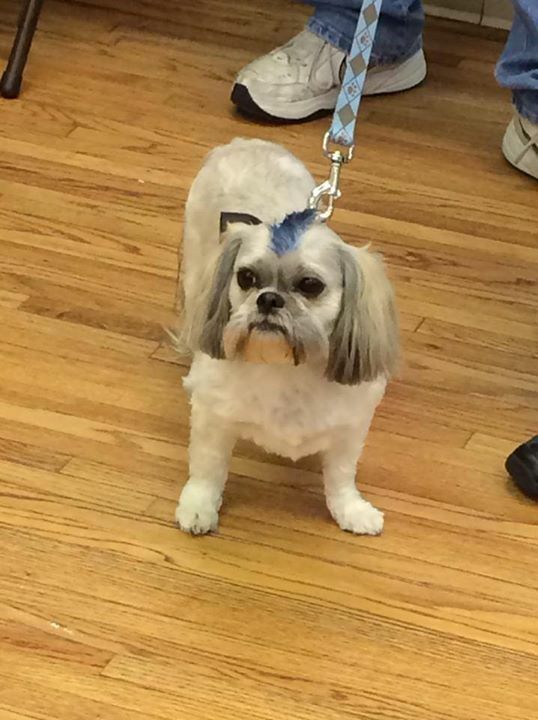 PUP-PHOTO: BANJO WITH A BLUE MOHAWK! This is Banjo, and this past April he was sporting his blue Mohawk especially for Prom Night! CAUGHT ON CAMERA! 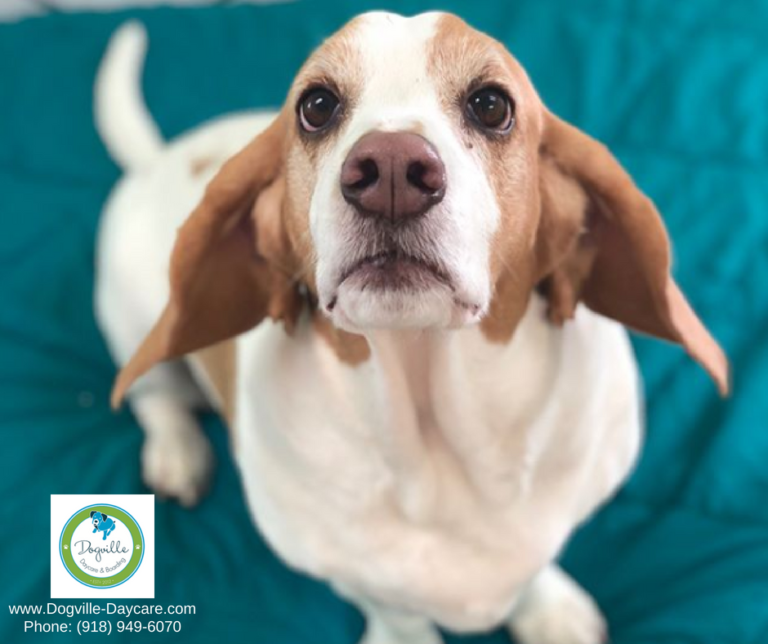 MABEL IS EXCITED ABOUT COMING TO DOGVILLE! PUP-PHOTO: A CAST OF CHARACTERS! CAUGHT ON CAMERA! THE LITTLES PLAYING IN THE YARD! HOW TO HELP YOUR OVERWEIGHT CAT OR DOG! 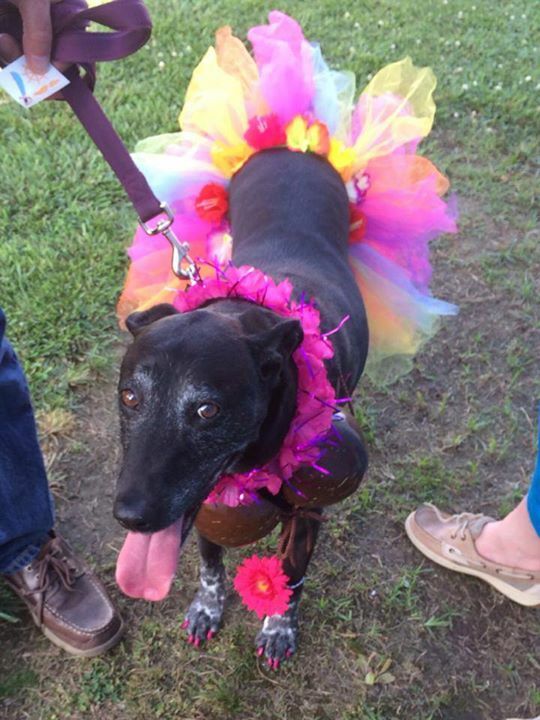 PUP-PHOTO: SHE’S A PRETTY PRINCESS! CAUGHT ON CAMERA! 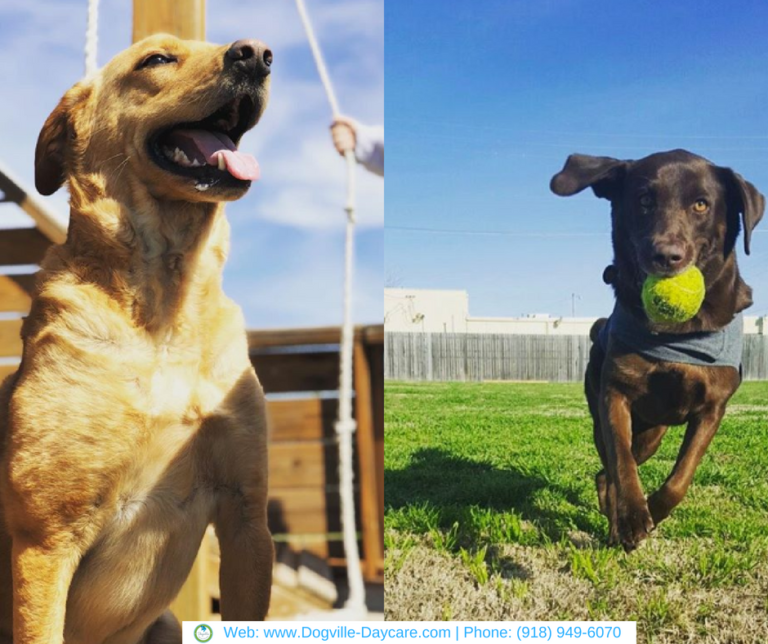 DOGS + TRAMPOLINES = FUN!! HOW TO CLEAN YOUR DOG OR CAT’S EARS! 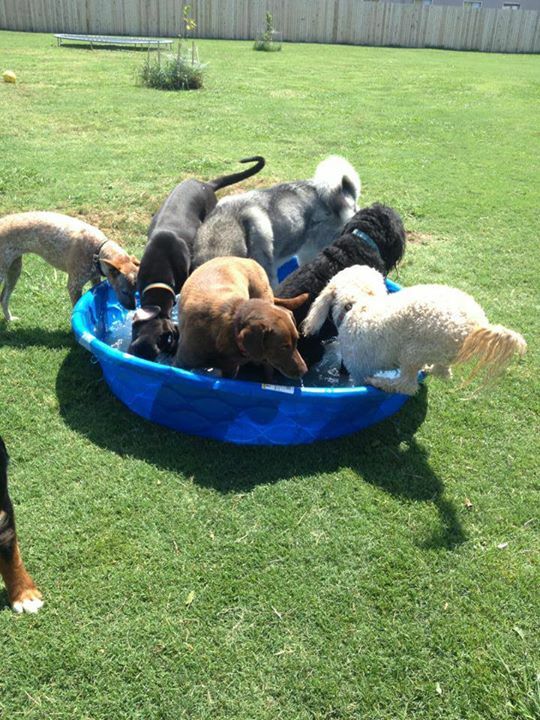 PUP-PHOTO: “EVERYBODY IN THE POOL!”! CAUGHT ON CAMERA! DOG DANCING AT ITS FINEST!! 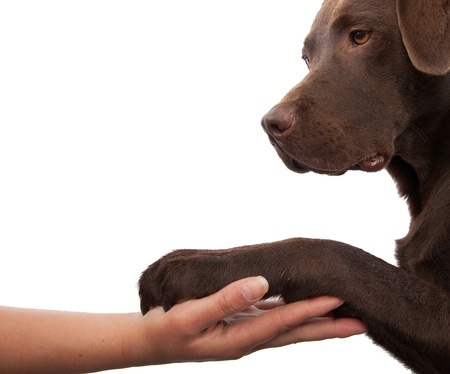 ANTIBODY TREATMENT DEVELOPED FOR DOGS WITH CANCER! 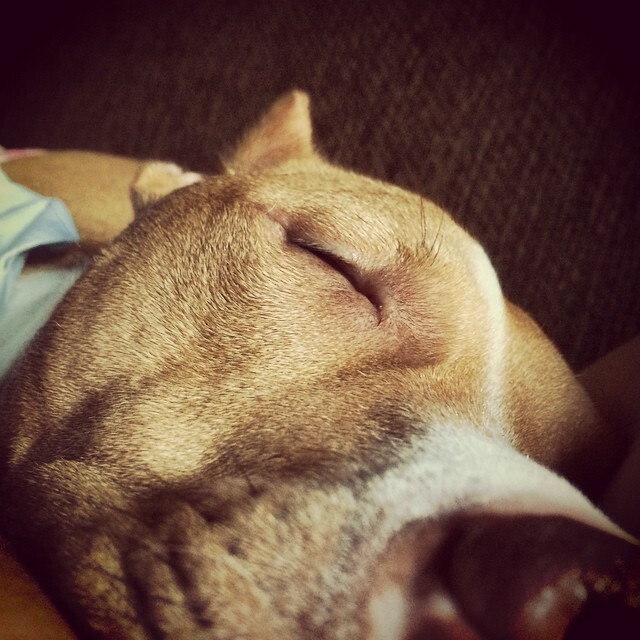 PUP-PHOTO: SHHHH… ZEKE IS SLEEPING …! CAUGHT ON CAMERA! 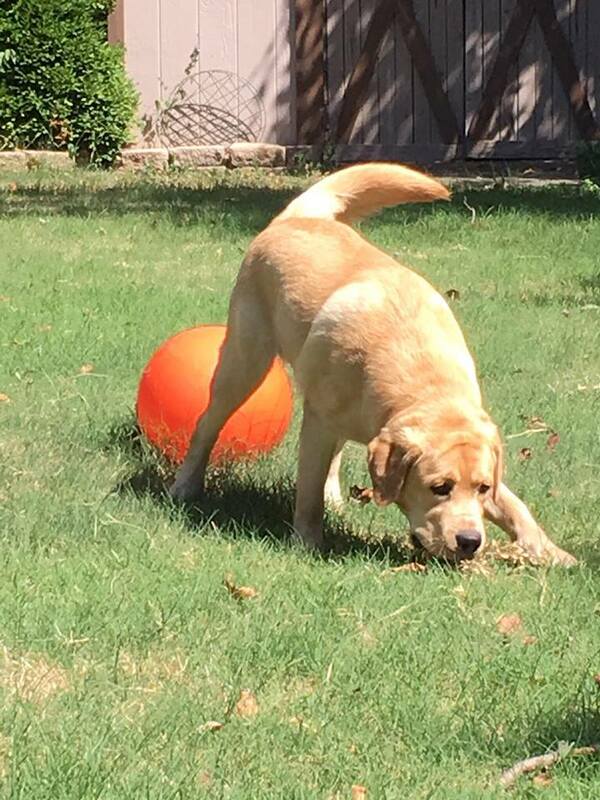 KAISER & THE BIG ORANGE BALL! 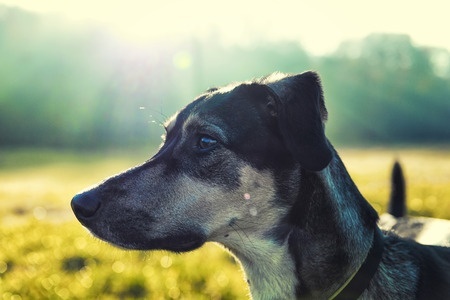 SAFE MOSQUITO AND INSECT REPELLENT FOR DOGS AND CATS! CAUGHT ON CAMERA! GO SHELBY GO!! 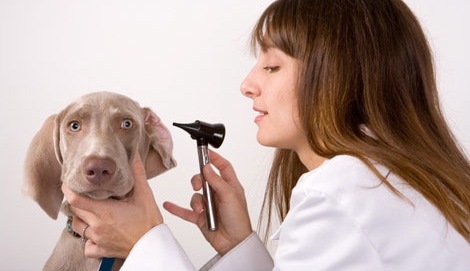 NEW E-CIGS RAISE CONCERNS FOR PETS! CAUGHT ON CAMERA! BORIS & MAGGIE PLAYING! 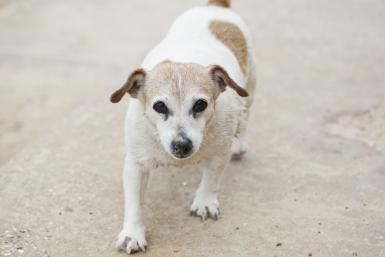 HOW TO RECOGNIZE SIGNS OF ARTHRITIS IN PETS! PUP-PHOTO: MILO AND ABBY WELCOME ELI! CAUGHT ON CAMERA! YOU SEE, SHANE AND I HAVE A SYSTEM …! ENGINEER + FUR KID = TENNIS BALL CATAPULT!! 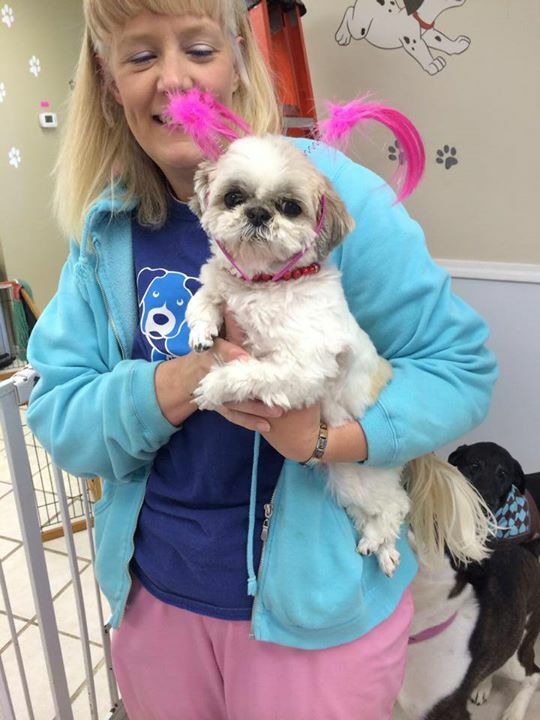 PUP-PHOTO: NANNY IS PRETTY IN PINK! Look at this cute little angel. Pink definitely suits Nanny well. CAUGHT ON CAMERA! FLYNN & FRIENDS SEND A VIDEO POSTCARD! 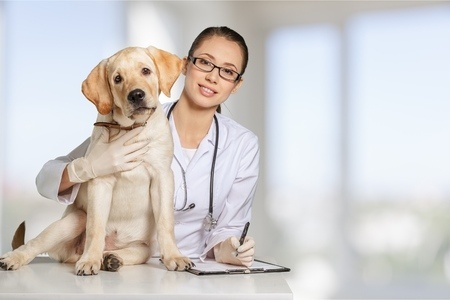 FLEAS ON DOGS AND WHAT YOU CAN DO ABOUT THEM! 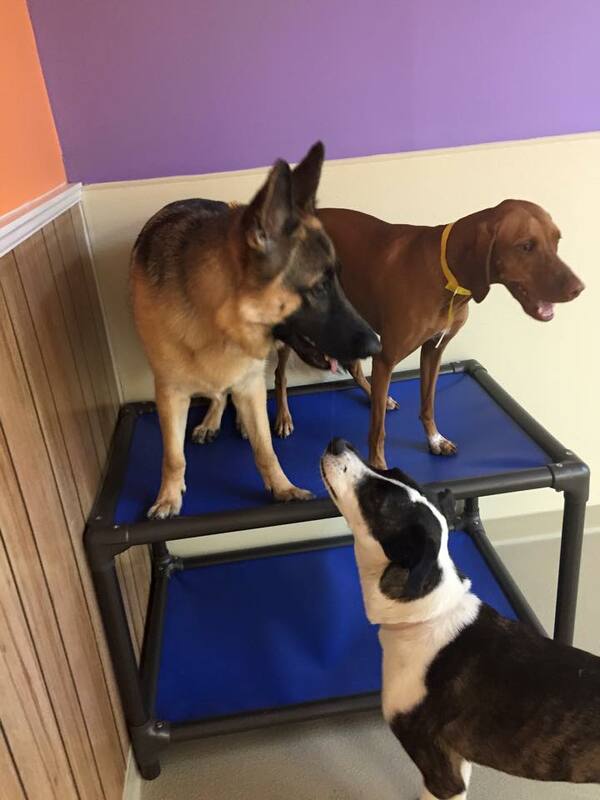 PUP-PHOTO: LUCY, JAX, AND JEFFREY … ON A TRAMPOLINE! 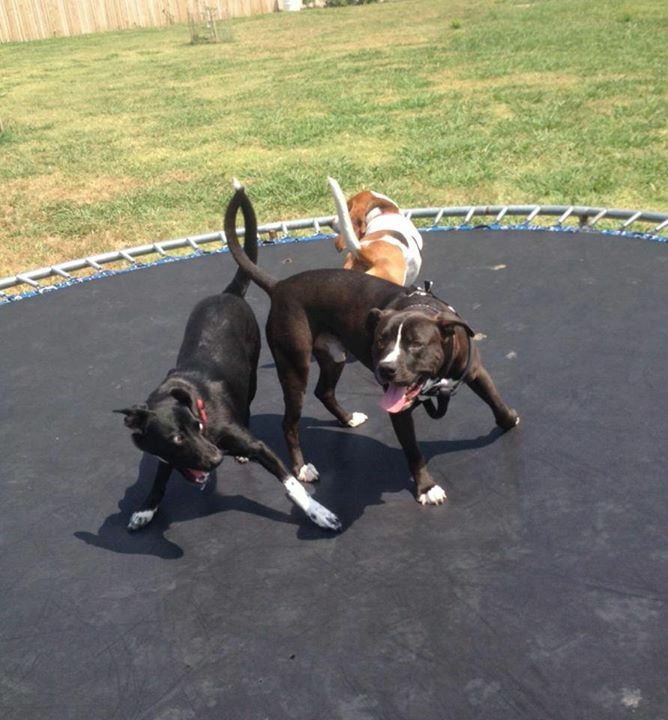 Lucy, Jax and Jeffrey on the trampoline–Lucy looks like she’s getting ready to put some Kung Fu move on Jax–lol!! CAUGHT ON CAMERA! LUCY LOVES TO PLAY! 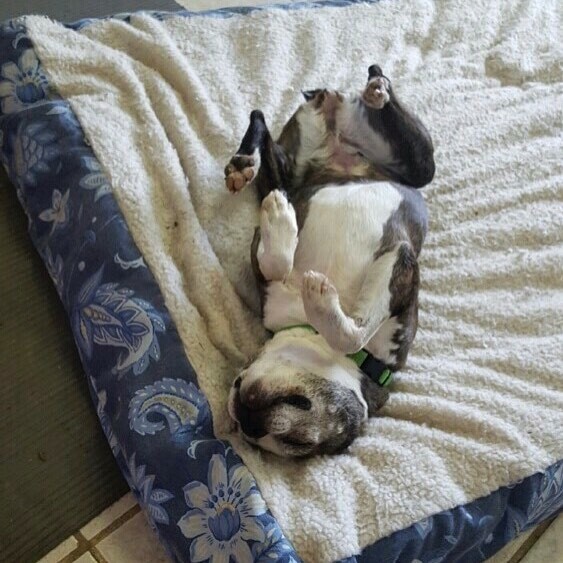 PUP-PHOTO: SARALEE TAKES UP RESIDENCE …! CAUGHT ON CAMERA! BELLA & MOLLY ENJOY PLAYING IN THE YARD! Bella and Molly had a great time playing in the yard. Good fun and friendship. 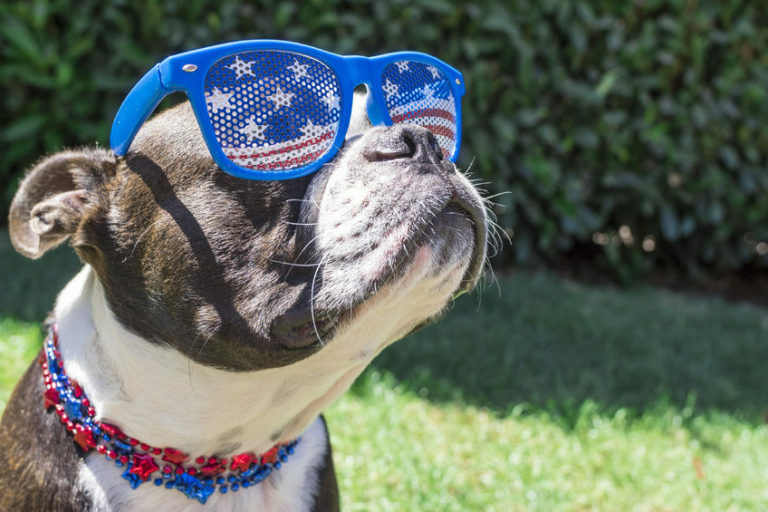 WHAT ARE THE SIGNS OF HEAT STROKE IN PETS?! 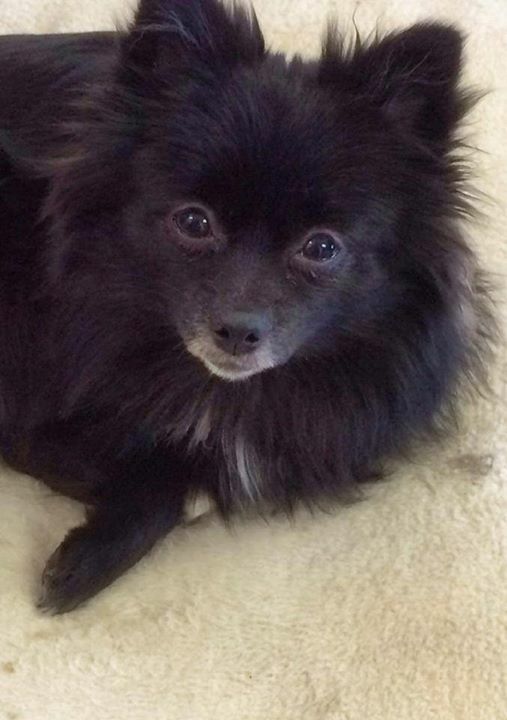 Molly is a sweet Pomeranian; what an adorable face. CAUGHT ON CAMERA! HOW TO BURY TREASURE …! PUP-PHOTO: TRIXIE KEEPING ME COMPANY! PUP-PHOTO: JING JING WANTS SOME ATTENTION! CAUGHT ON CAMERA! THE DOGVILLE DOG RACES!! 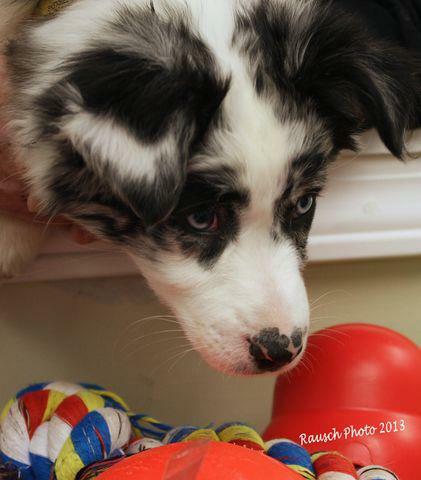 PUP-PHOTO: MISCHIEVOUS GUS WANTS TO PLAY! 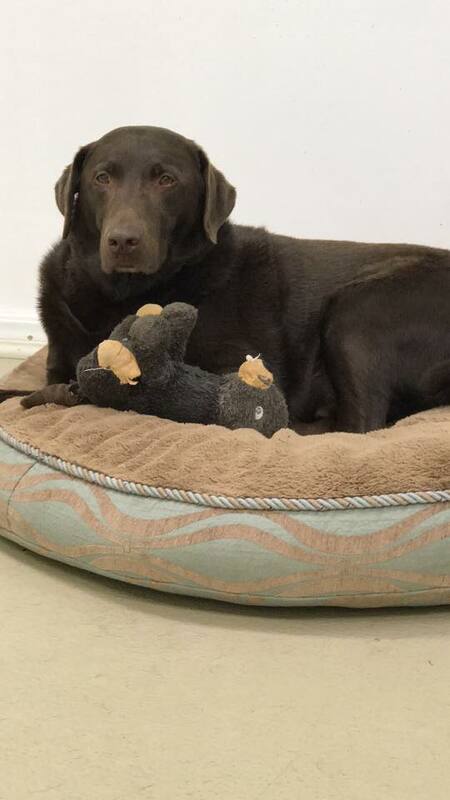 Gus is looking handsome here with his toy. Wanna’ play? CAUGHT ON CAMERA! ELI AND THE POOL! YOU DID IT AGAIN! 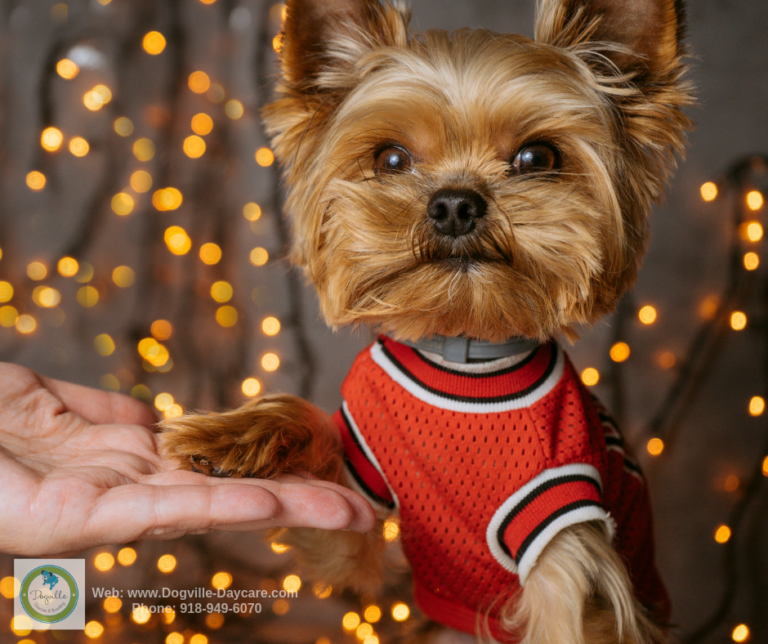 TULSA PEOPLE’S A-LIST IN PET BOARDING 2014! CAUGHT ON CAMERA! THE BATTLE OVER BORIS’ BED! This photo is of Brownie’s birthday party last September. However, Lola’s birthday was April 13th! Aren’t they cute! CAUGHT ON CAMERA! SOMEONE IS READY FOR DINNER …! 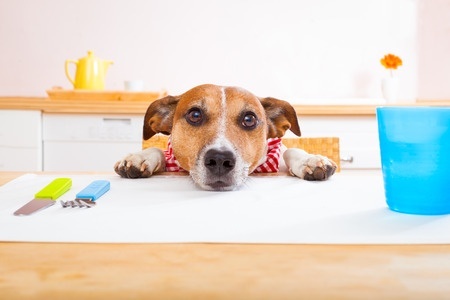 It is dinner time and this is what it’s like to be the Dogville Chef–tough crowd! CAUGHT ON CAMERA! A RUDY SURPRISE! 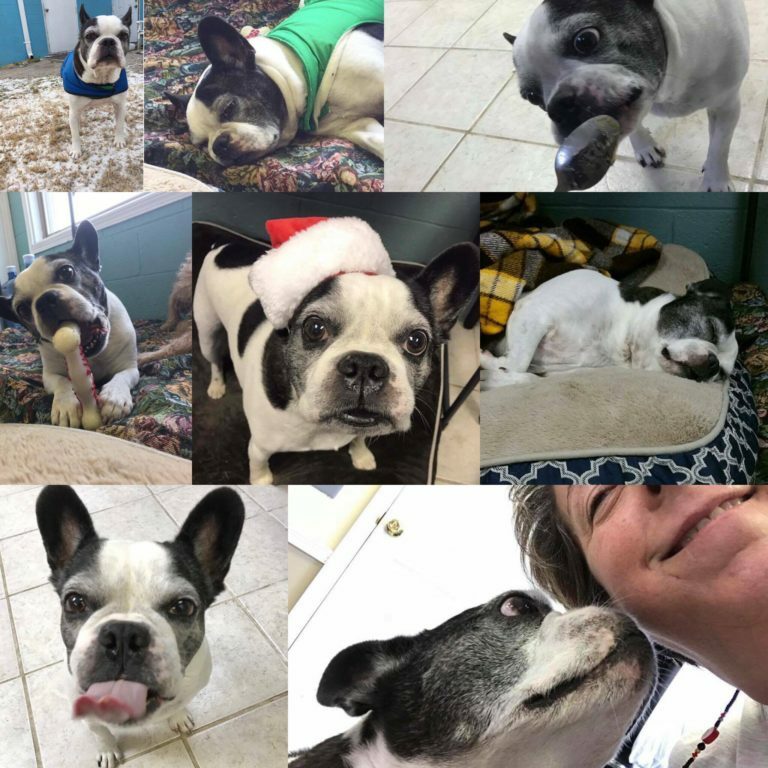 BIGGEST LOSER DOGVILLE EDITION—UPDATE ON MOMMA DOG! 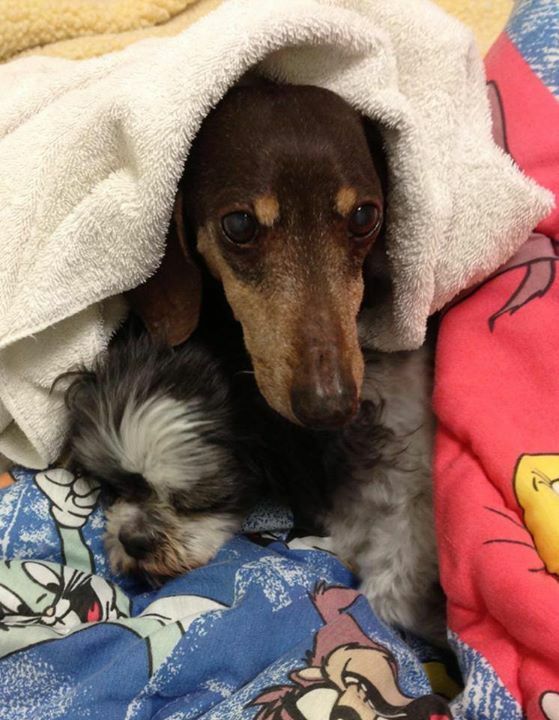 These two precious seniors are Nicky and Weenie Boy. Nicky the Shih Tzu is 18 and Weenie is almost 15. CAUGHT ON CAMERA! TAZ AND PELLI PLAYING! 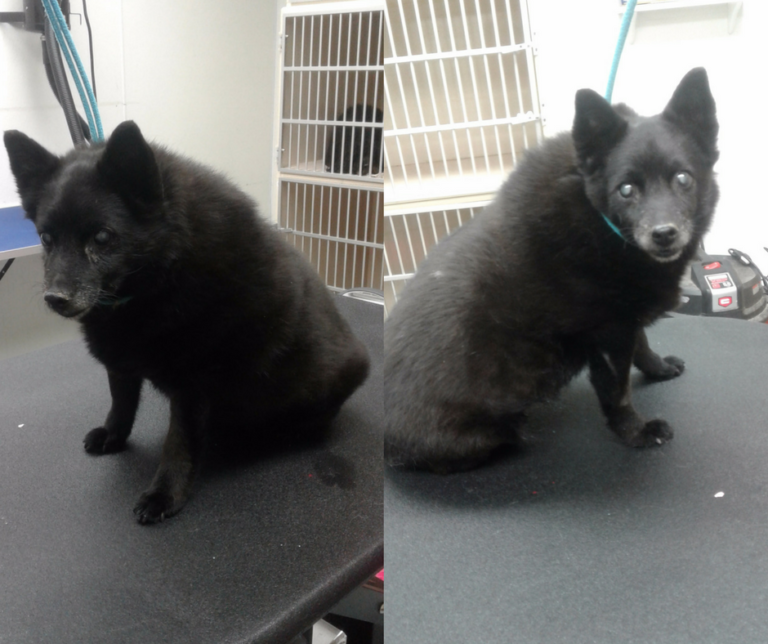 Meet Taz, our new friend the Schipperke and his new friend Pelli. They are having a good time playing! We had a birthday party for Punky!! Oliver and Lottie were dressed and ready to go! CAUGHT ON CAMERA! PLAYING WITH GRACIE & ROSIE! CAUGHT ON CAMERA! 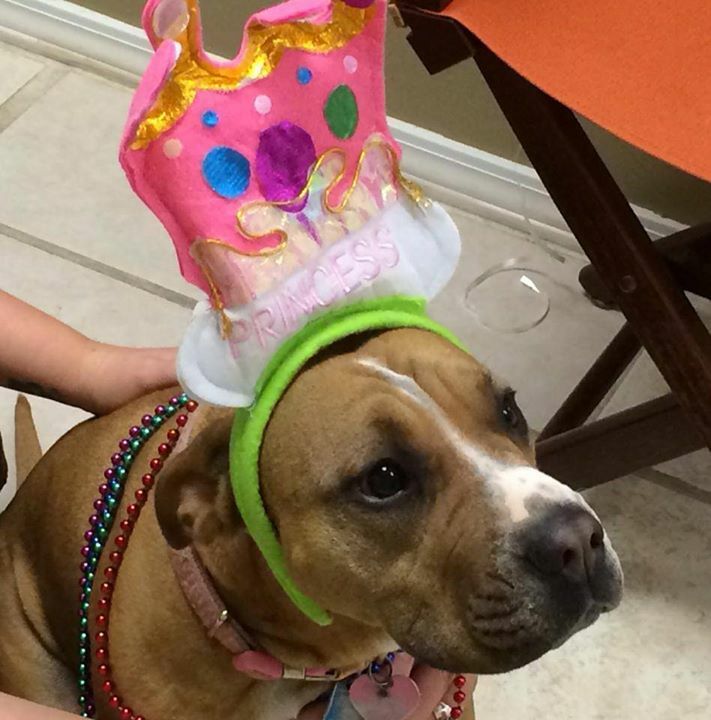 DOGS IN PARTY HATS!! Caught On Camera! 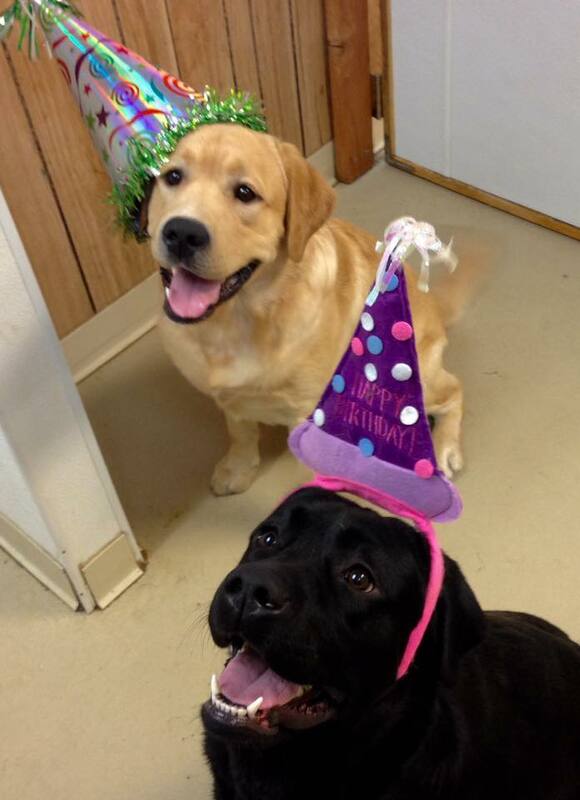 Dogs In Party Hats! Just about the time I think dogs can’t get any cuter, here are Sophie and her brother Bentley. CAUGHT ON CAMERA! GABBY AND HER CHICKEN …! 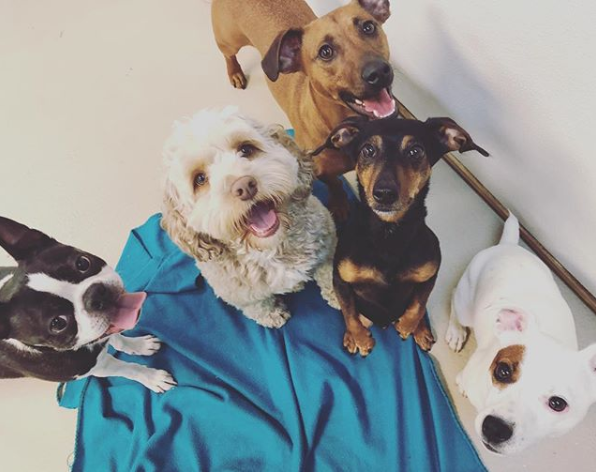 PUP-PHOTO: THE GANG IS ALL HERE!! CAUGHT ON CAMERA! HAPPY TAILS …! CAUGHT ON CAMERA! WARM OR COLD, SUKI LOVES TO DANCE! 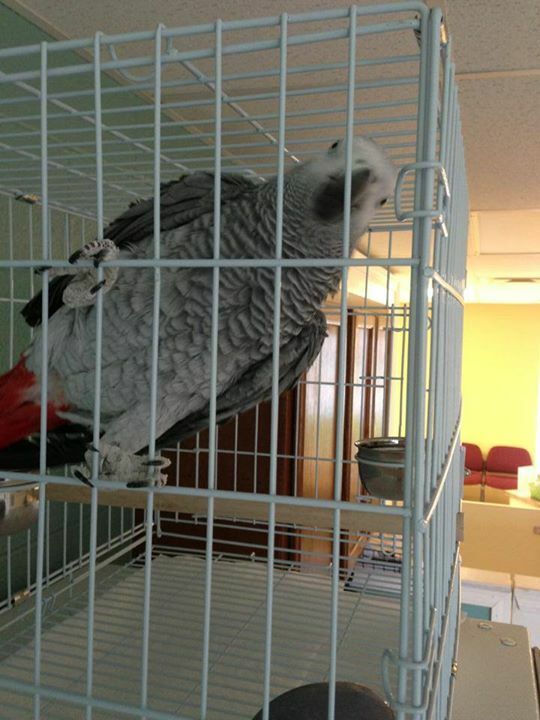 PUP … NO WAIT … PARROT-PHOTO: WHEN QUINCY CAME TO VISIT!! CAUGHT ON CAMERA! 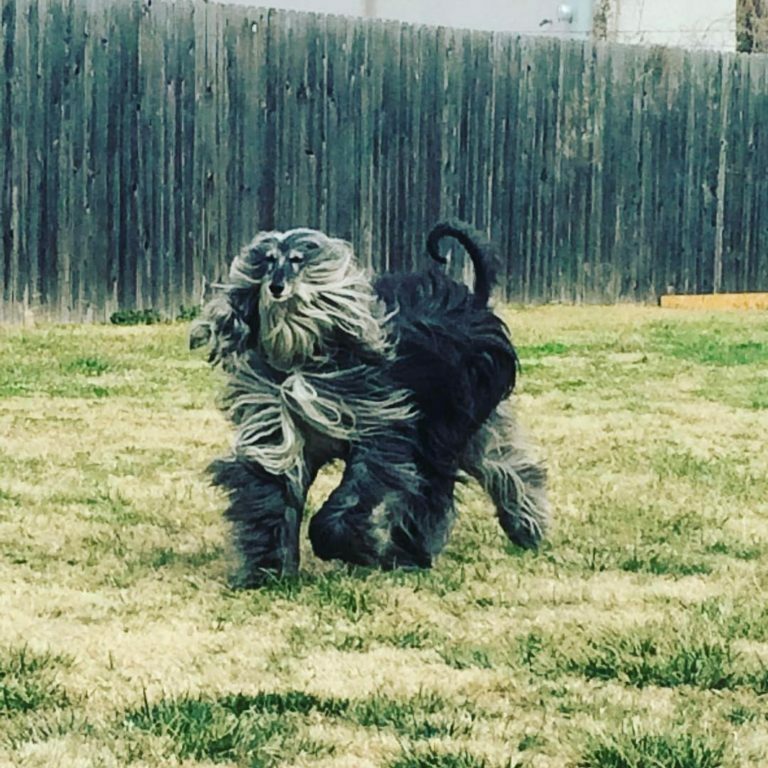 PLAYING BALL WITH A WOOKIE! 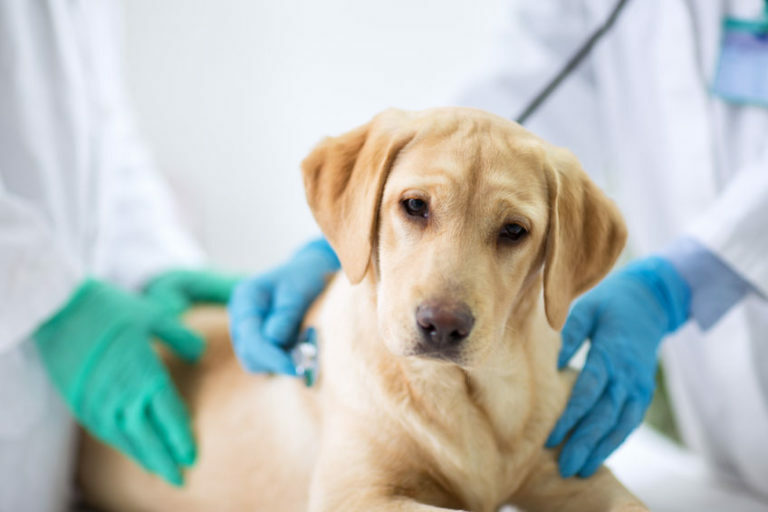 WHY WE REQUIRE KENNEL COUGH (BORDETELLA) VACCINATION EVERY SIX MONTHS! CAUGHT ON CAMERA! THE BATTLE FOR THE ORANGE PIG!! 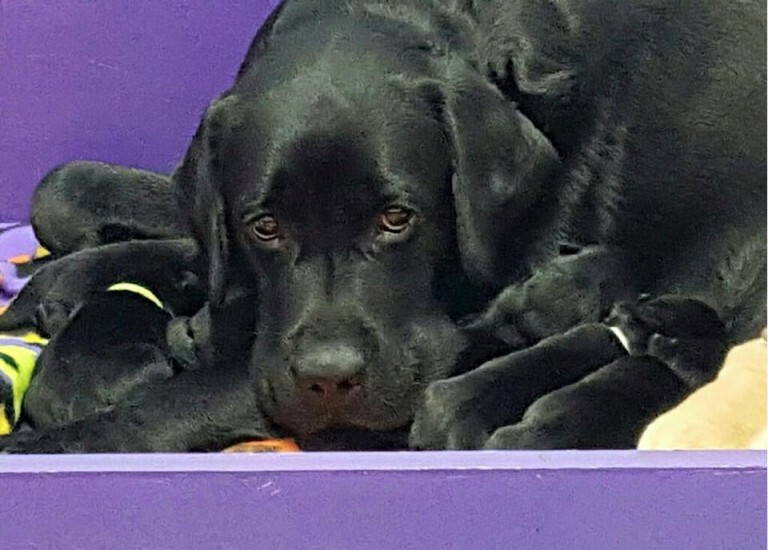 Apparently the orange pig is a prized possession, and the victory goes to the clever pup ???? PUP-PHOTO: ALL SIDES OF THE BED = MY SIDE OF THE BED! CAUGHT ON CAMERA! 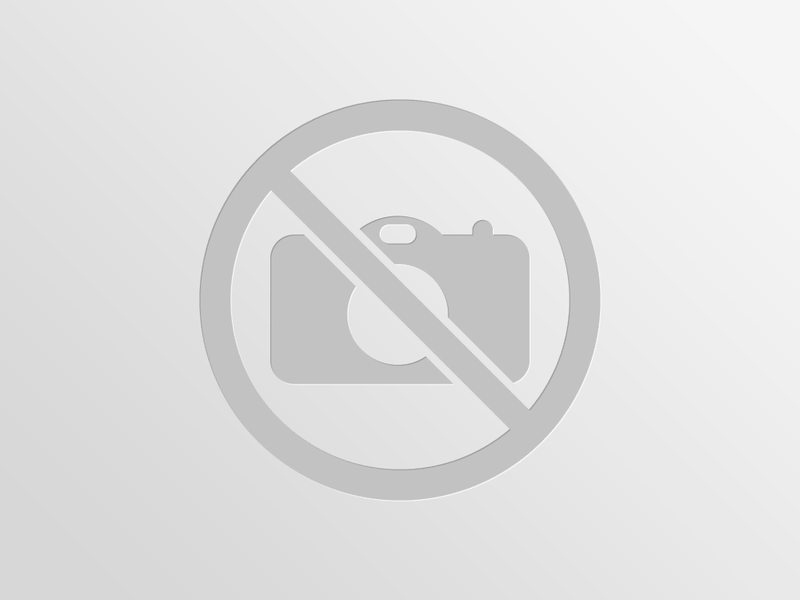 – THE SOCCER PLAYING BOXE! SUPER SERVICE AWARD FROM ANGIE’S LIST! CAUGHT ON CAMERA! JAX IS NOT A FAN OF FLEECE! 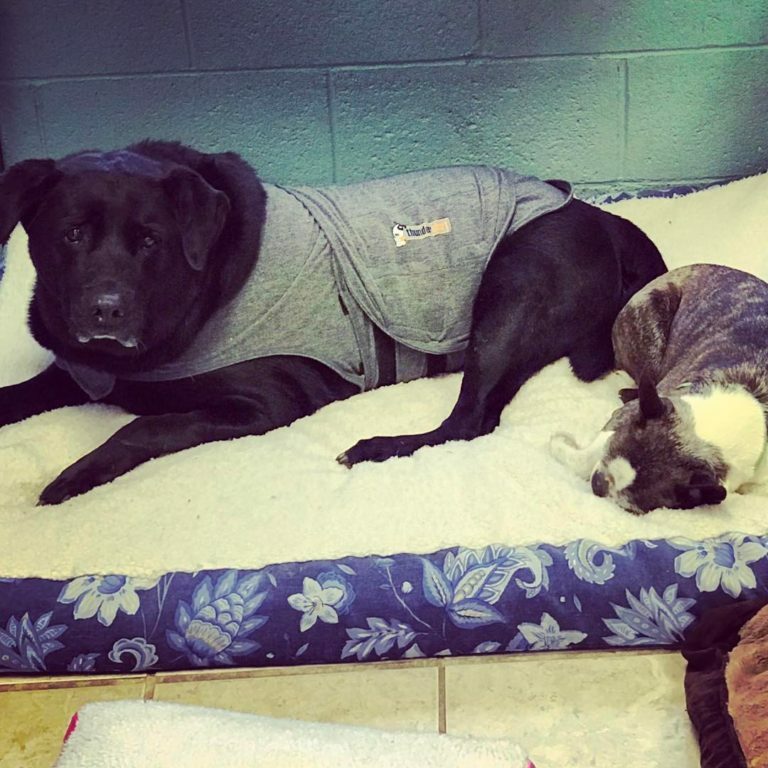 PUP-PHOTO: LOLA’S ITTY BITTY THUNDERSHIRT! CAUGHT ON CAMERA! PARTY + HATS = PLAY TIME!! 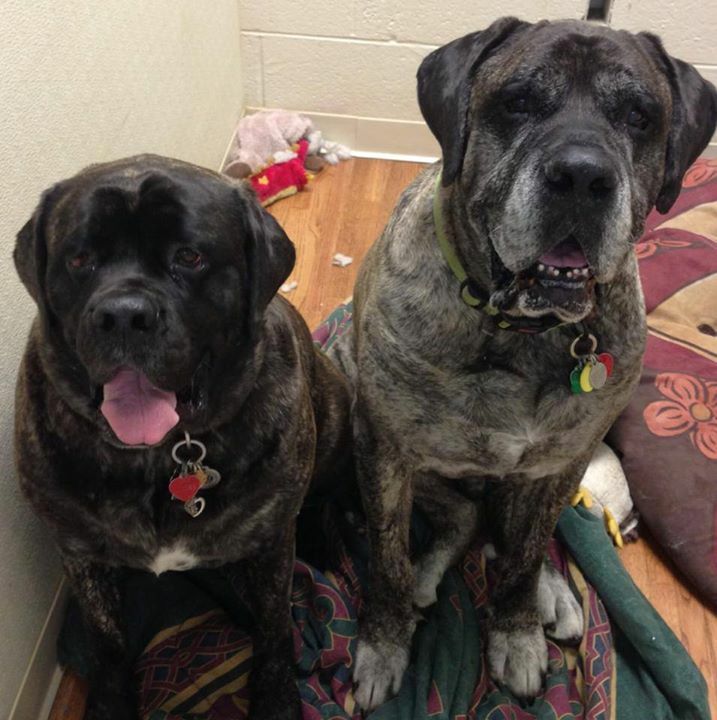 PUP-PHOTO: MIMI & DOZER SAY GOODNIGHT …! CAUGHT ON CAMERA! CHARLOTTE’S FAREWELL PARTY! 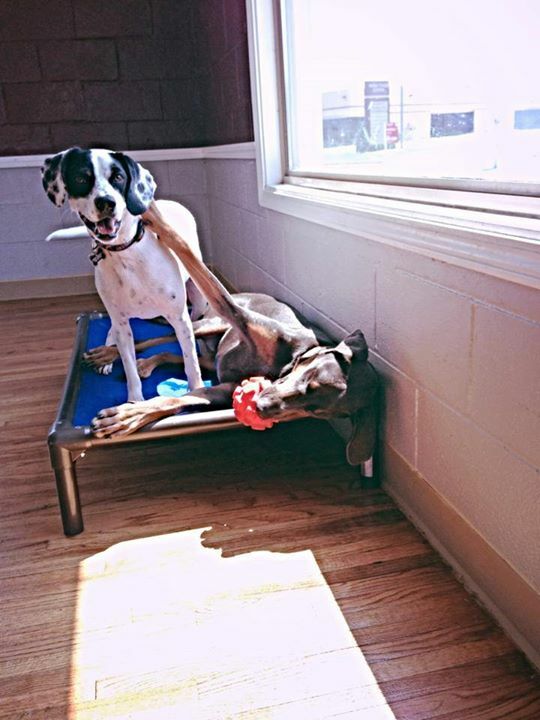 PUP-PHOTO: SAMUS AND ODIE CLOWNING AROUND! Happy New Year! 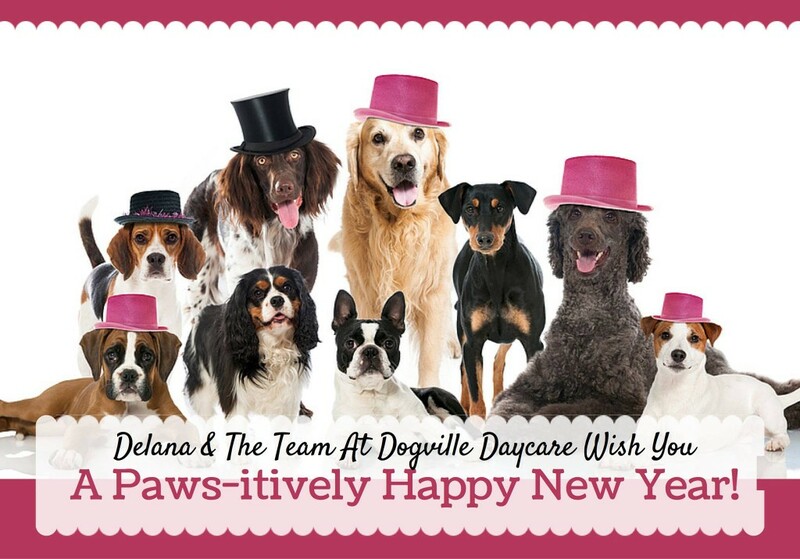 All of us here at Dogville want to wish you a very Happy and Blessed 2014! PUP-PHOTO: THE MOMENT WHEN TANK MET CHEWIE! 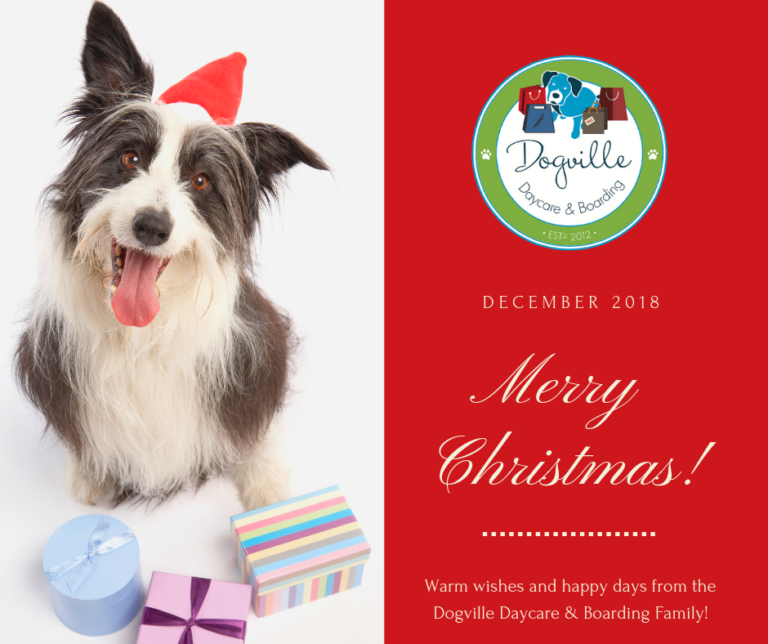 CHRISTMAS GREETINGS FROM DOGVILLE DAYCARE & BOARDING! (VIDEO)! 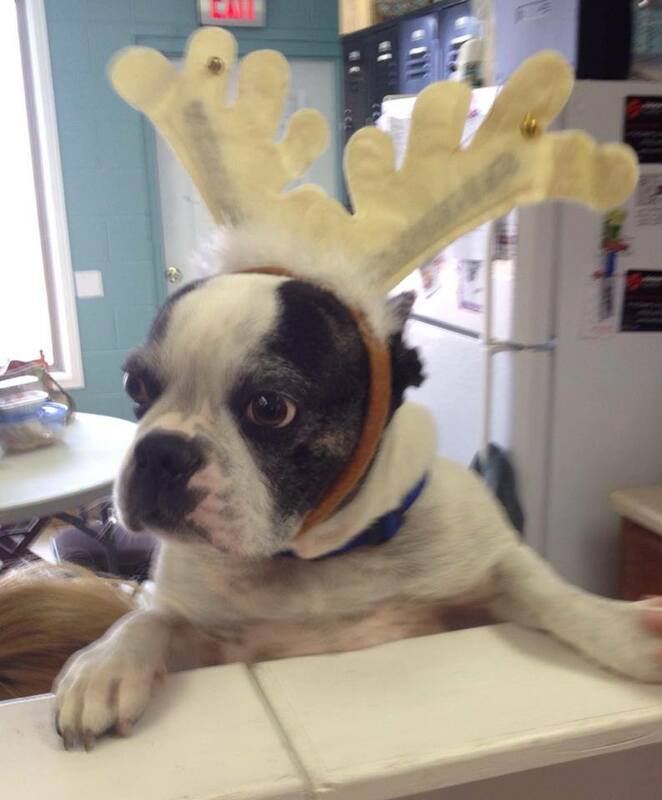 This is who we nominate to be Santa’s Co-Pilot! CAUGHT ON CAMERA! 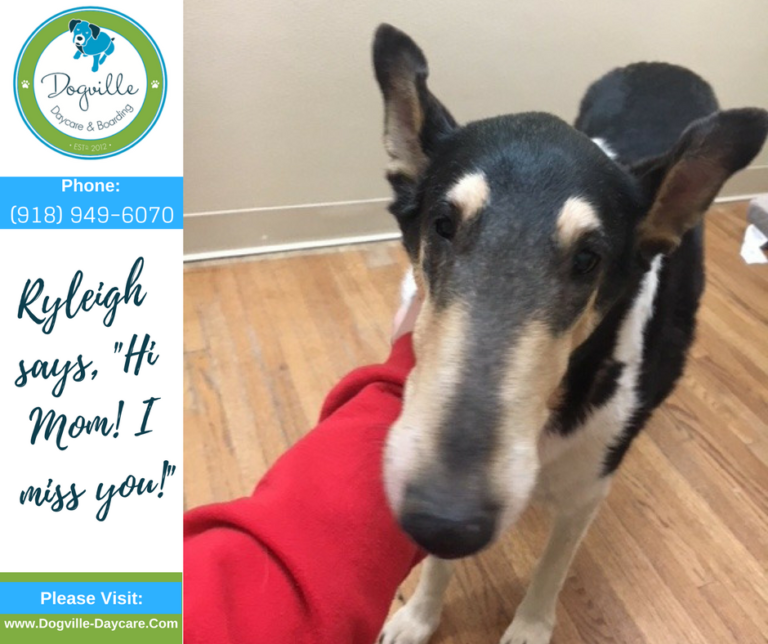 SARALEE LOVES VISITING DOGVILLE!! Caught on Camera! 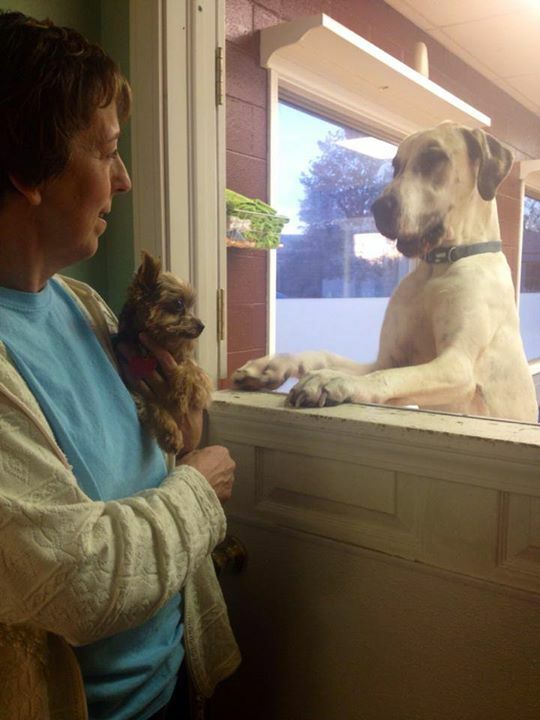 Saralee Loves Visiting Dogville! This is one happy dog :). PUP-PHOTO! 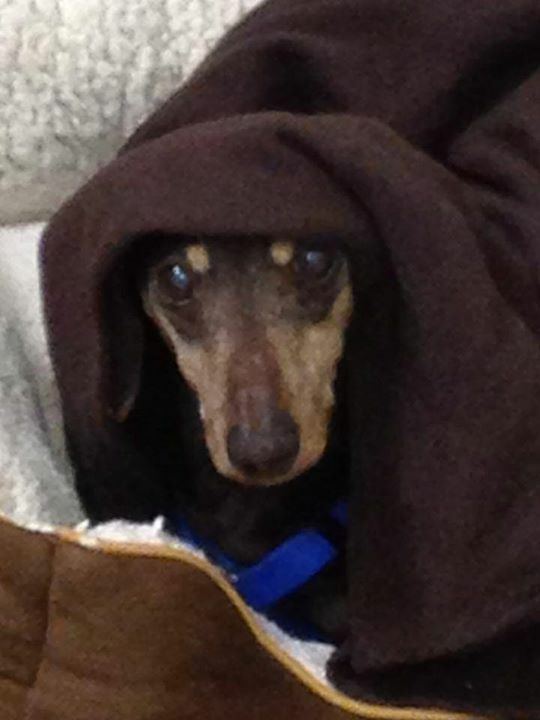 THE FORCE IS STRONG WITH THIS ONE! 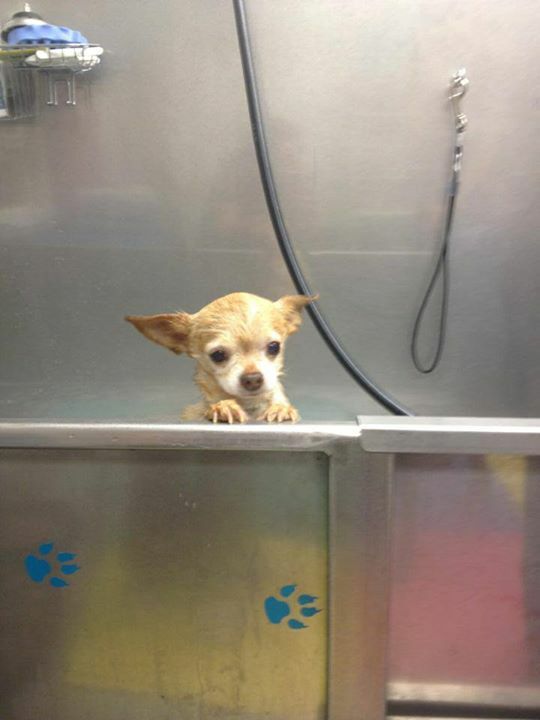 PUP-PHOTO: KYRA IS CLEANED UP & READY TO GO!! 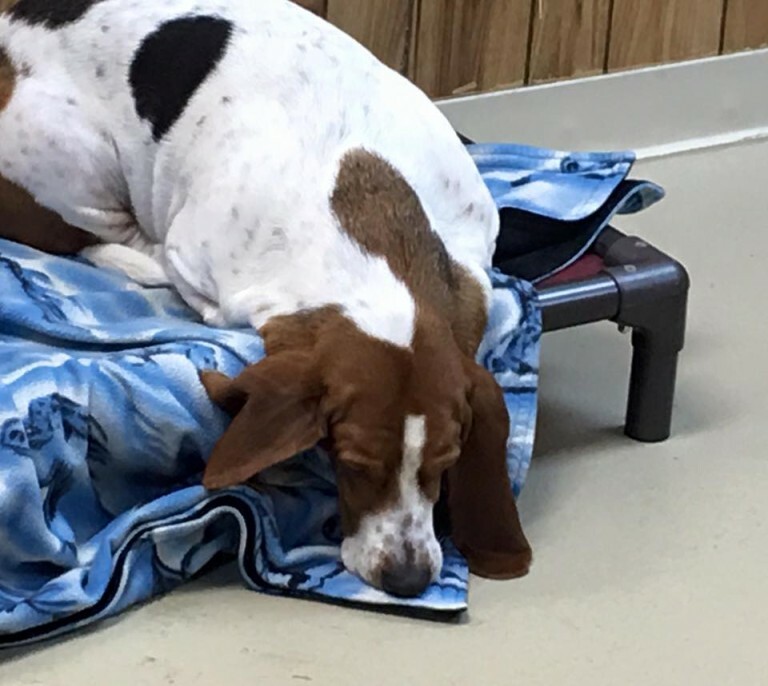 PUP-PHOTO: NAP TIME FOR CALLIE! Callie needed a nap so we made sure our friend was comfy and warm. CAUGHT ON CAMERA! A SLEEPY PUPPY SAYING GOOD NIGHT …! IS YOUR DOG A SCOOTER?! 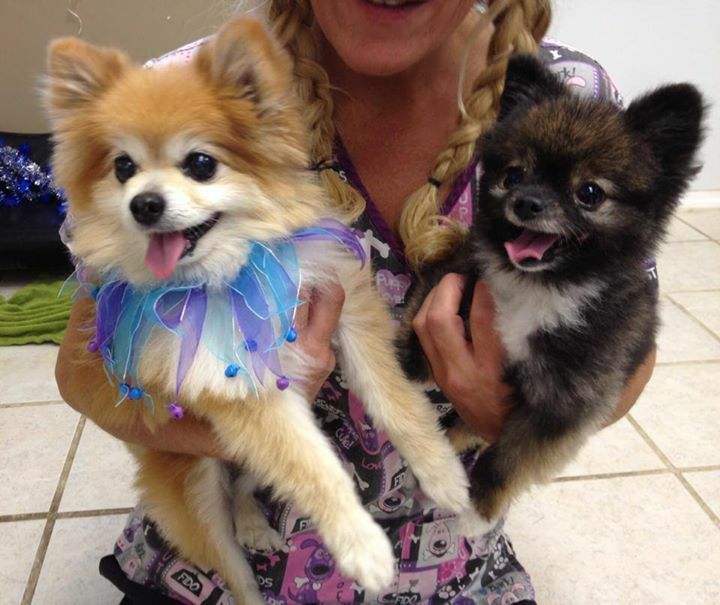 PUP-PHOTO: NEW FRIENDS GABBY & BOB BARKER! 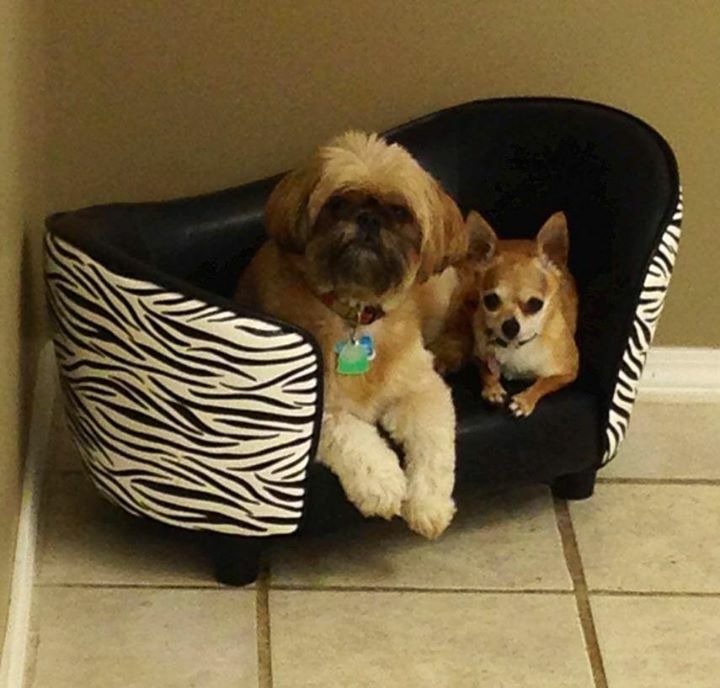 Pup-Photo: New Friends Gabby & Bob Barker lounging in the play room. CAUGHT ON CAMERA! 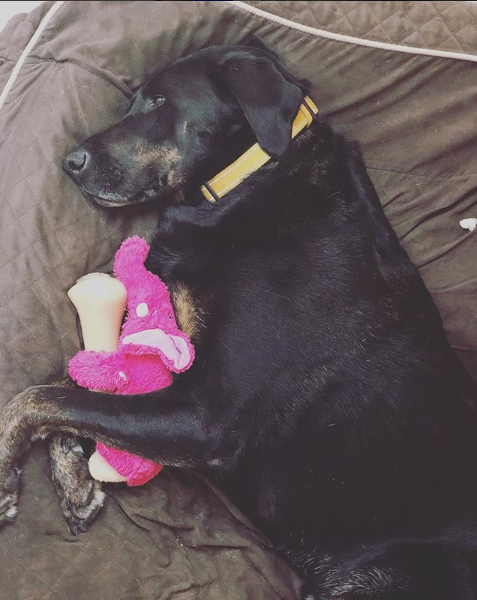 PETER + NYLABONE + PIG = DOGGY BLISS! 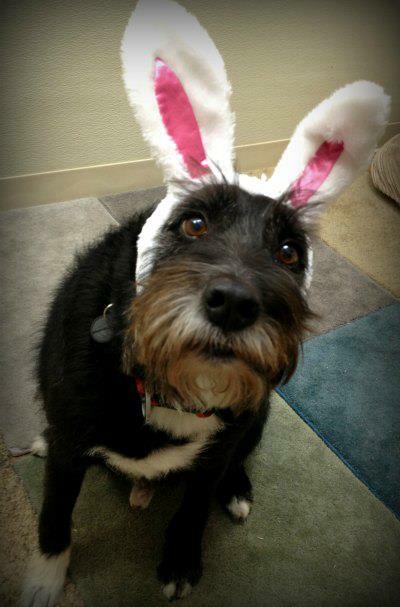 PUP-PHOTO: POPS IN BUNNY EARS! CAUGHT ON CAMERA! THE LITTLES AT PLAY …! 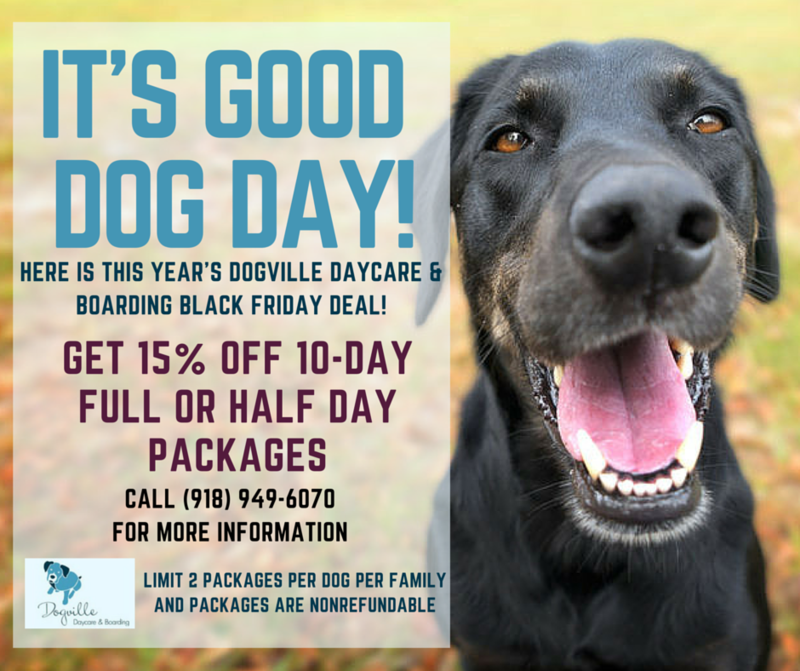 GRATITUDE AND NOVEMBER DAYCARE SPECIAL!! THE 1ST ANNUAL HOWL-O-WEEN PAW-TY IS TONIGHT!! 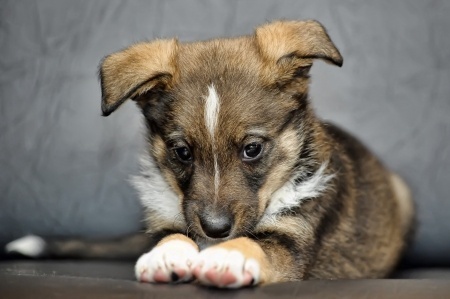 PUP-PHOTO: SOMEONE IS LOOKING UP TO YOU! CAUGHT ON CAMERA! BOONE + KERRILYN + BUBBLES = GREAT FUN!! YOU’RE INVITED! 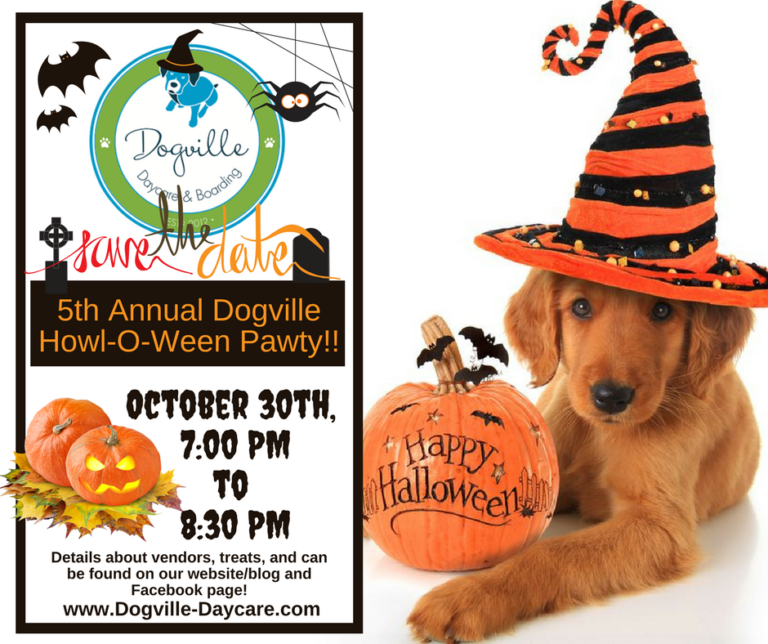 1ST ANNUAL DOGVILLE HOWL-O-WEEN PAW-TY!! You’re Invited! 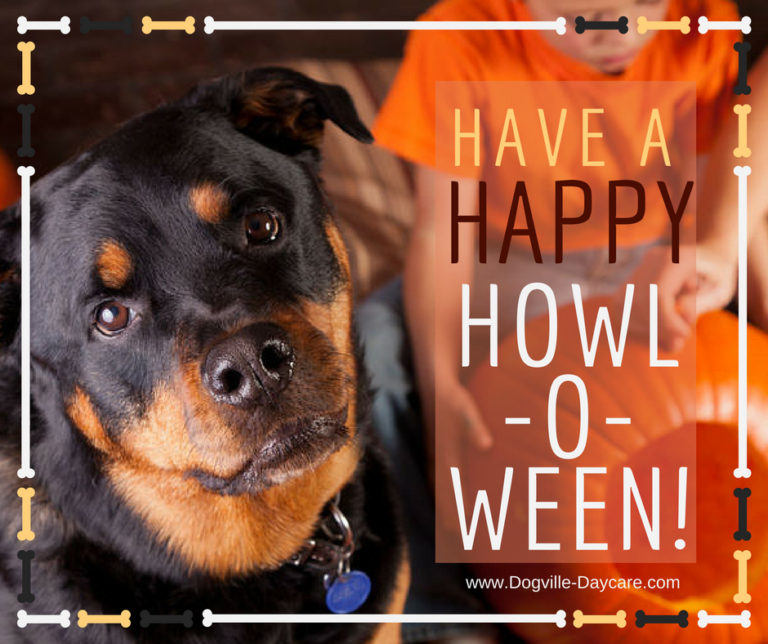 1st Annual Dogville Howl-O-Ween Paw-ty! Click the invitation below to see a larger version. CAUGHT ON CAMERA! BIG? LITTLE? DOESN’T MATTER … PLAY TIME WORKS FOR THESE TWO!! Caught On Camera! Big? Little? Doesn’t matter … play time works for these two! PUP-PHOTO: BRITCHES IN THE TOY-BOX!! CAUGHT ON CAMERA! – DOGVILLE FEATURED IN TELEVISION INTERVIEW! 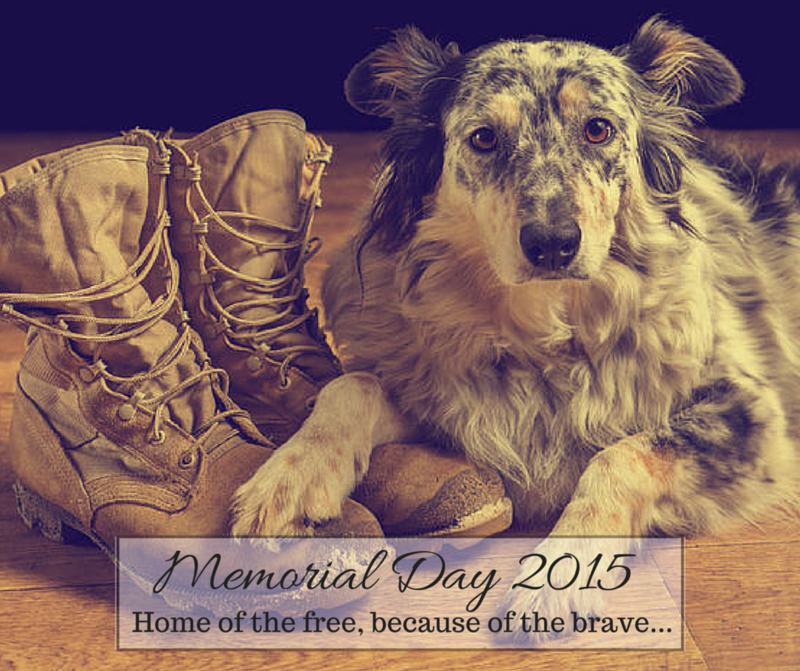 “PAWS TO REMEMBER” MEMORIAL PRESENTATION NOW AVAILABLE ONLINE (VIDEO)! CAUGHT ON CAMERA! THE SUKI DANCE! 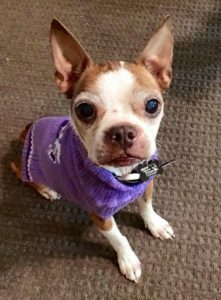 Suki sure does love to dance in her pretty sweater, and of course the attention! WHAT I LEARNED IN CHICAGO! 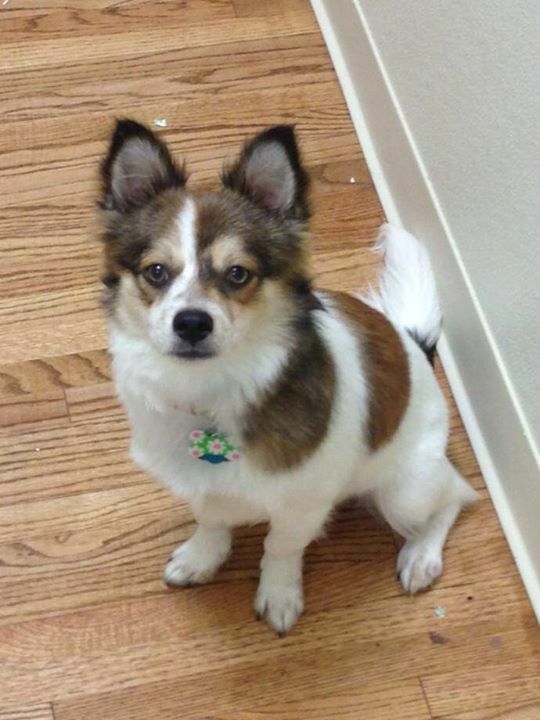 PUP-PHOTO: JACK, OUR OFFICIAL PRESS SECRETARY! CAUGHT ON CAMERA! 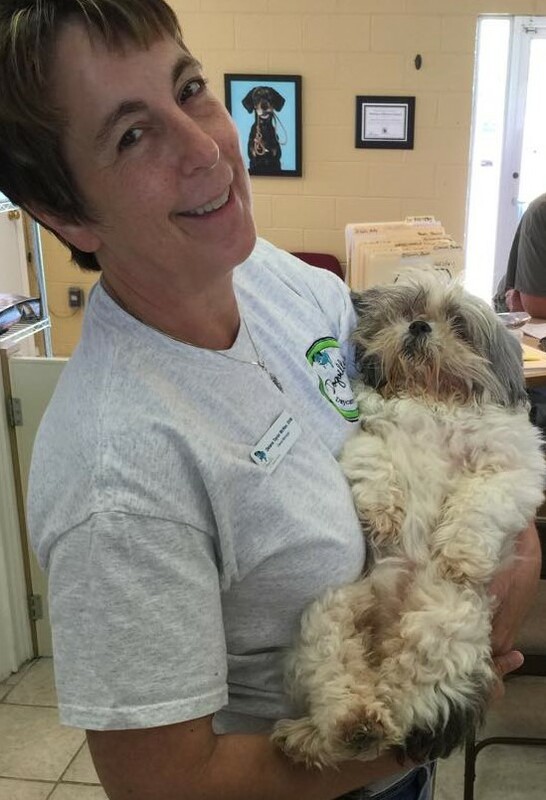 WHEN BEAR WAS FOUND!! CAUGHT ON CAMERA! A NEW YEAR = NEW PUPS (FLASHBACK)! CAUGHT ON CAMERA! – BORIS & MAGGIE! OF DOGS AND FROGS, ER, TOADS! 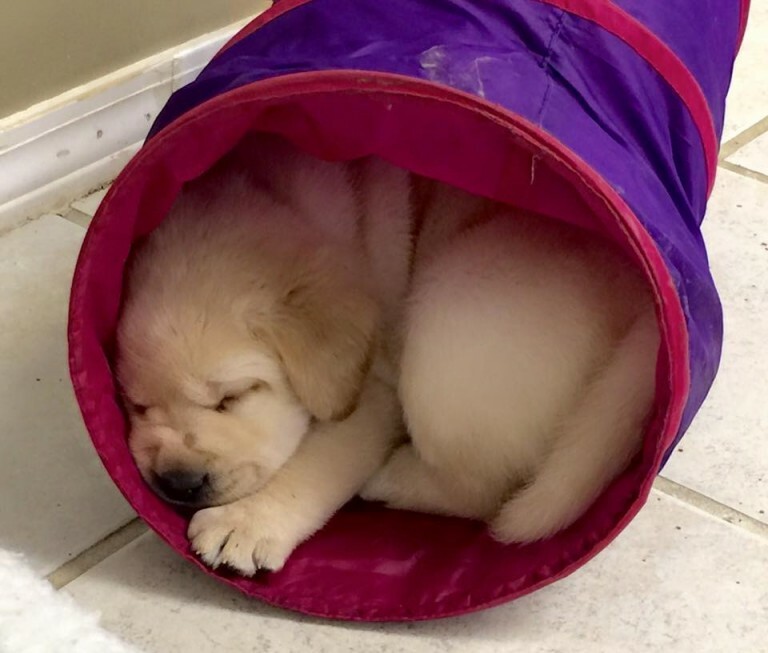 PUP-PHOTO: NAP TIME IS BETTER WHEN …! 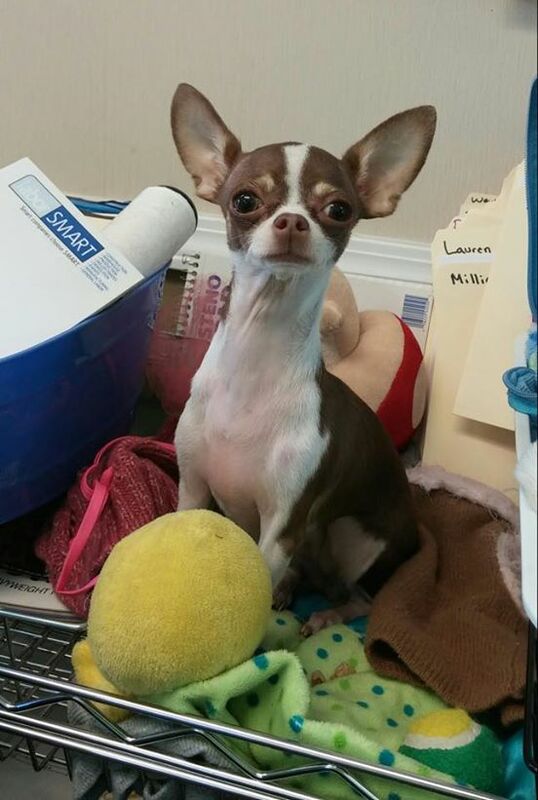 Meet the pretty in pink puppy … Terra! WELCOME TO THE BIG DOG BLOG!! 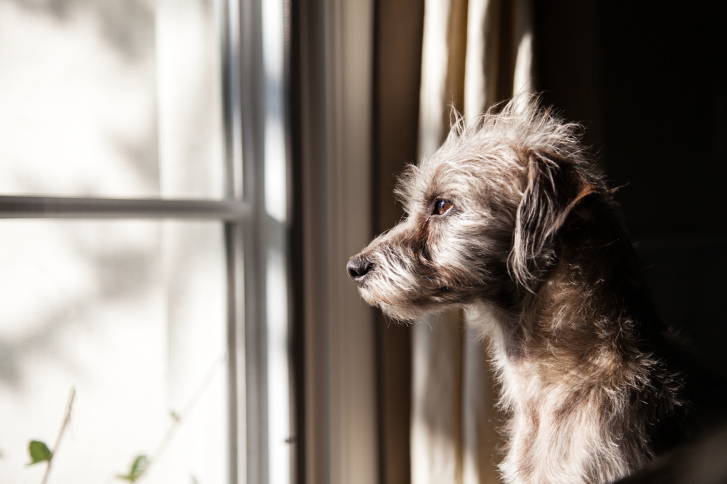 DEALING WITH A DYING PET – WHEN IS IT TIME TO LET GO?! 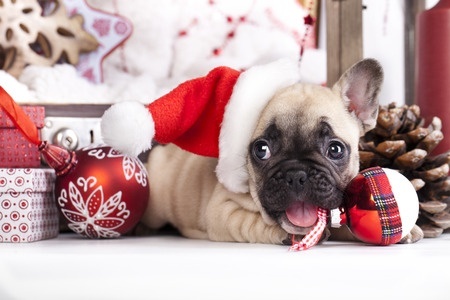 SAFETY & PROTECTION FOR YOUR PET: A HOLIDAY HAZARD GUIDE! 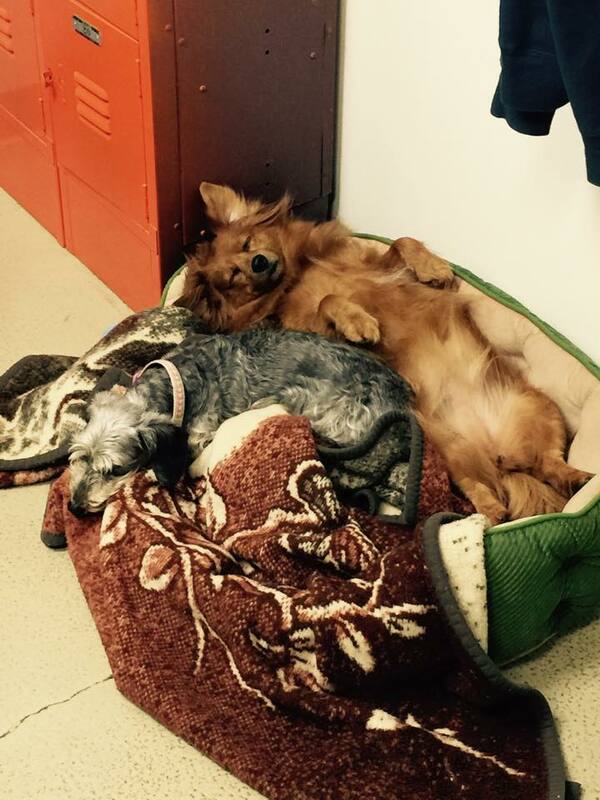 PUP-PHOTO: EVERYONE HAS A SECOND HOME AT DOGVILLE! BEHIND THE SCENES AT DOGVILLE…! 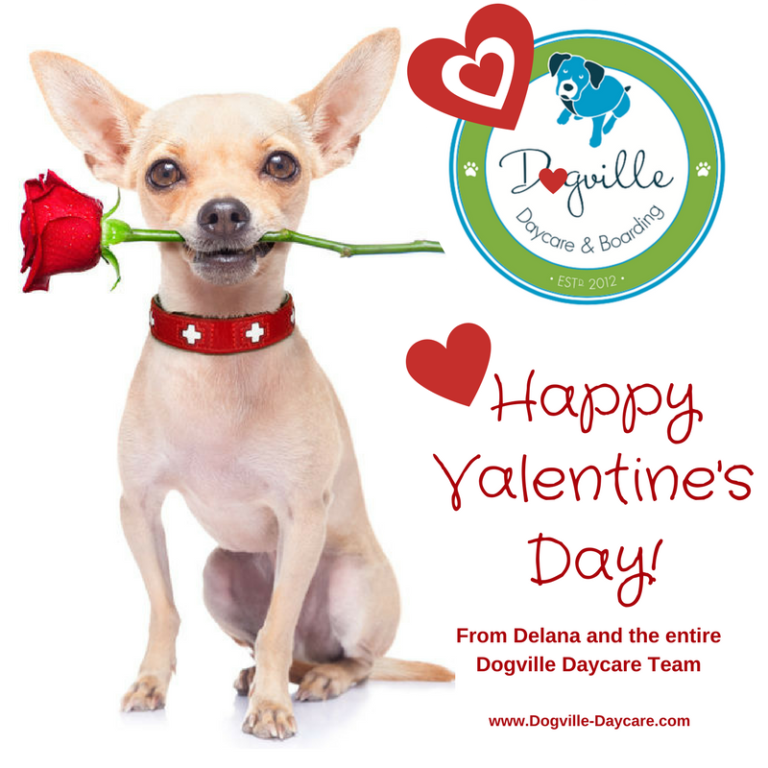 Hello, Dogville Family! This year, I’m going to be doing some short videos to show you Dogville Behind the Scenes. 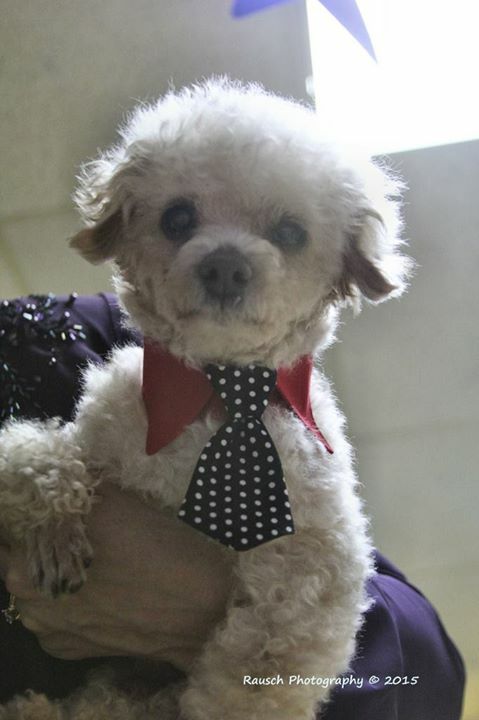 FUN PHOTO OPPORTUNITY: DRESS UP YOUR PET DAY IS MONDAY JANUARY 14TH!! 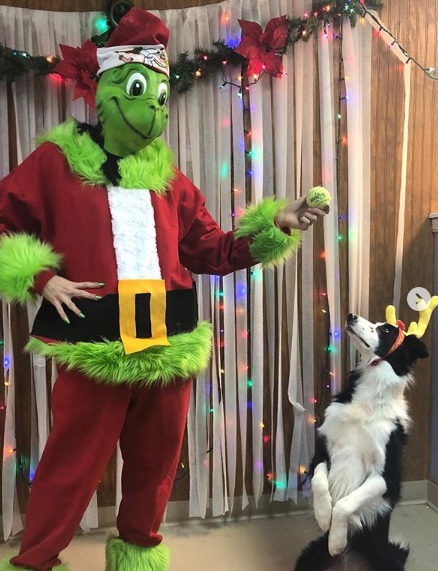 PUP-PHOTO: MISS TESSA & THE GRINCH! 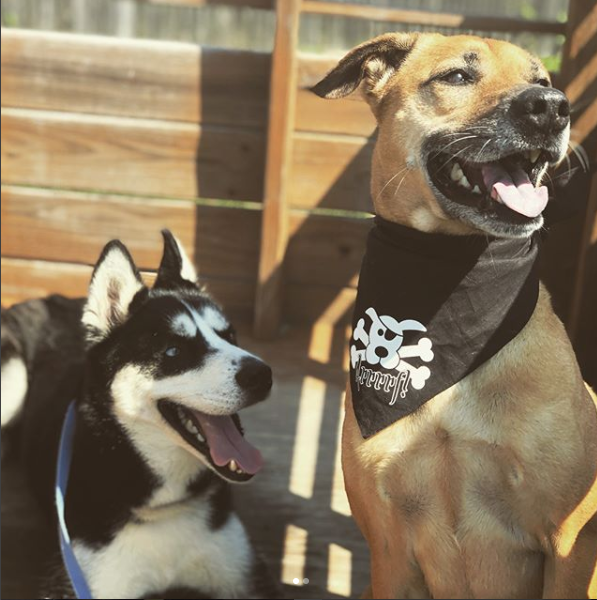 PUP-PHOTO: MISHKA + GUNNER = BEST FRIENDS! 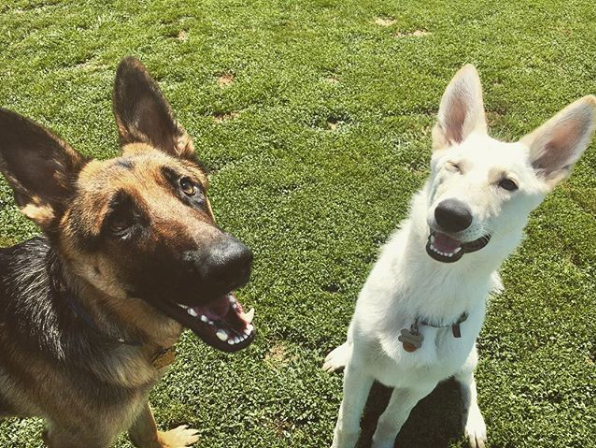 Mishka and Gunner are best friends! Pup squad goals… ????????? ?